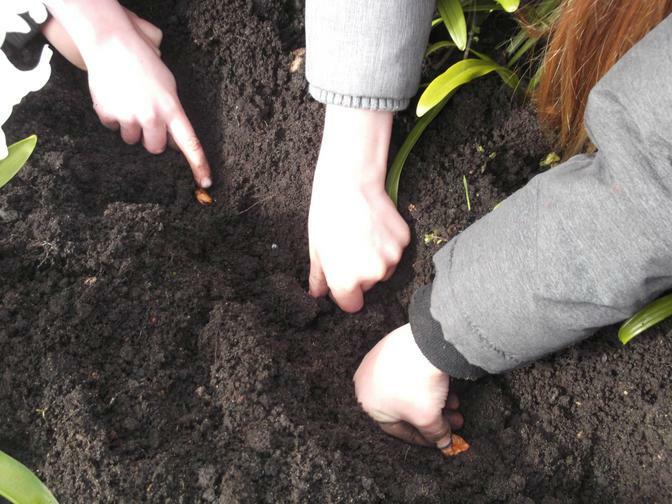 Planting seeds and plants on the last day of the spring term. 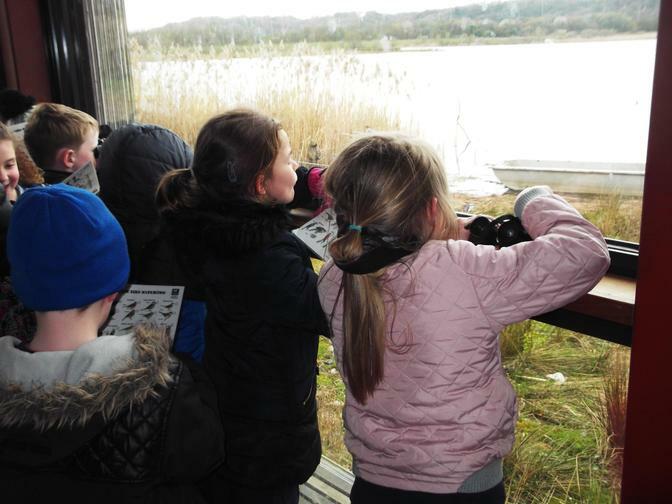 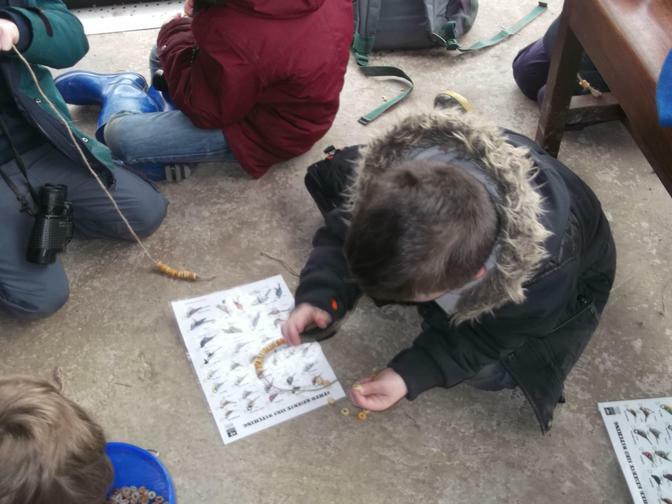 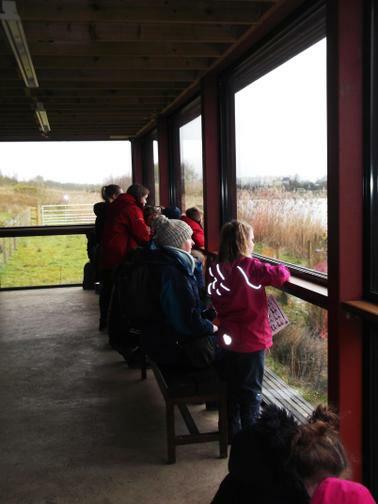 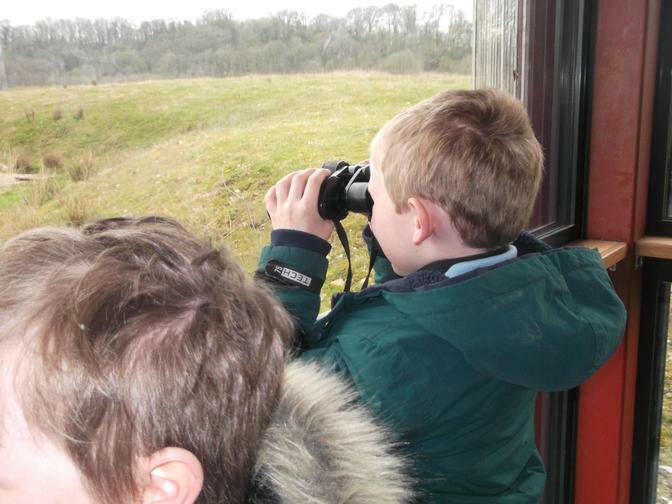 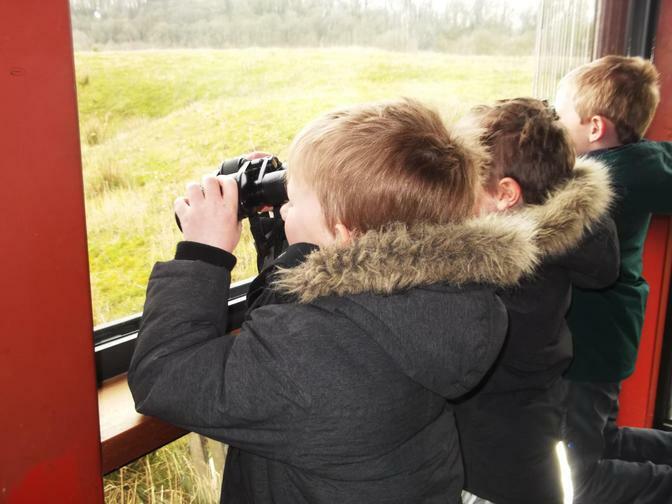 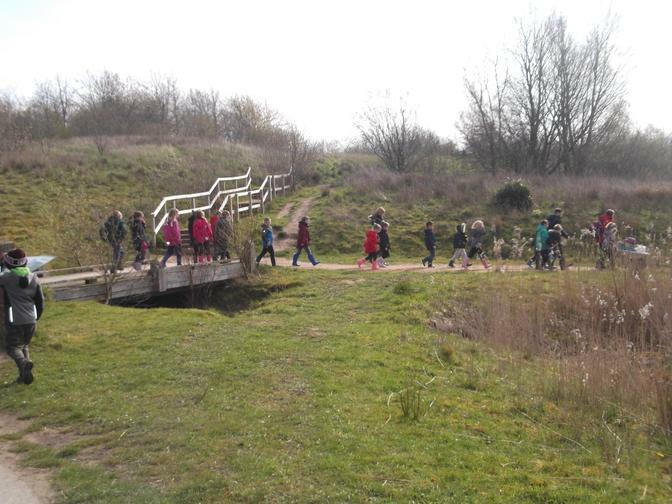 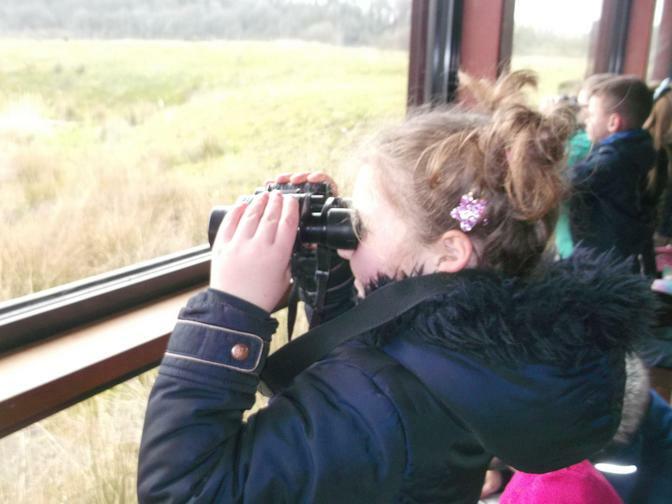 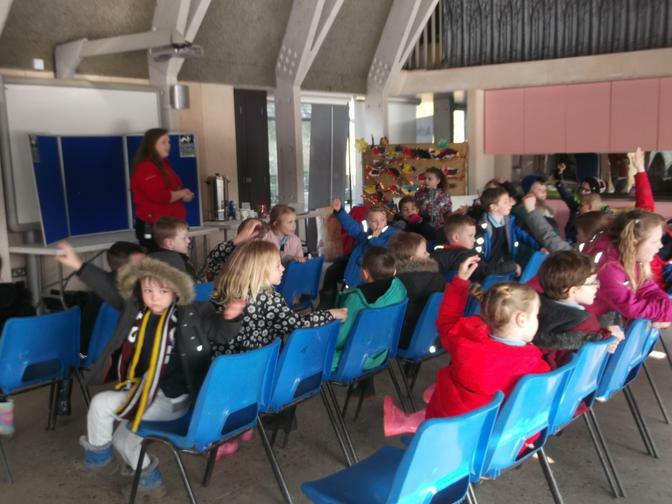 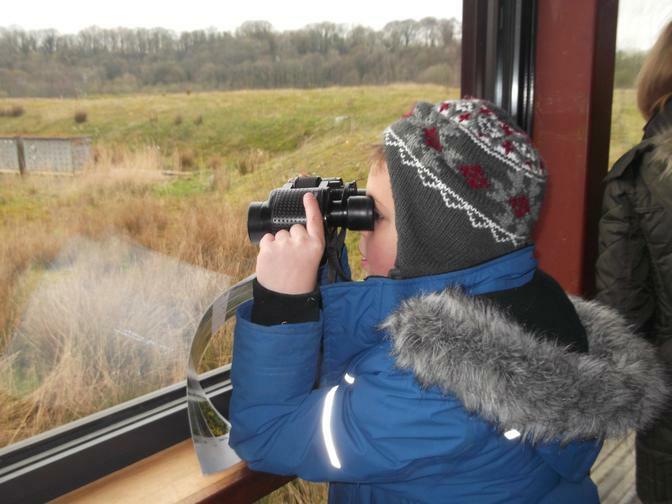 Learning all about habitats on our trip to Brockholes. 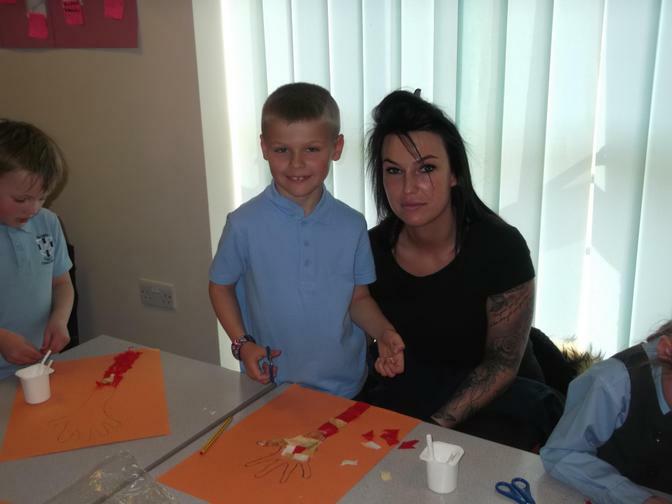 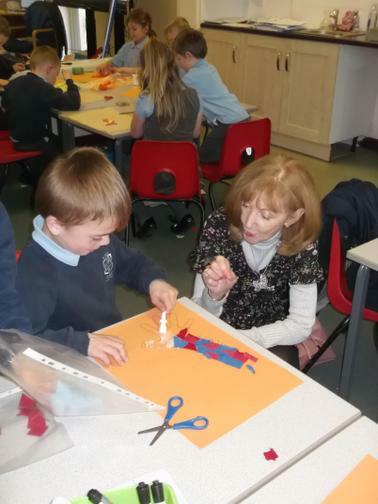 Mums helping out with our British Values art. 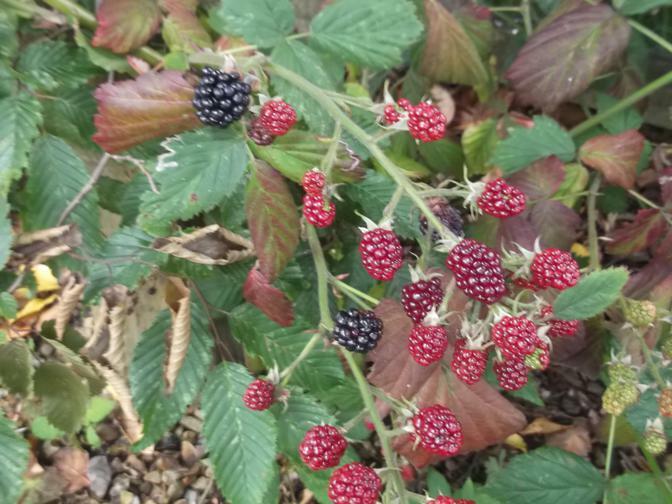 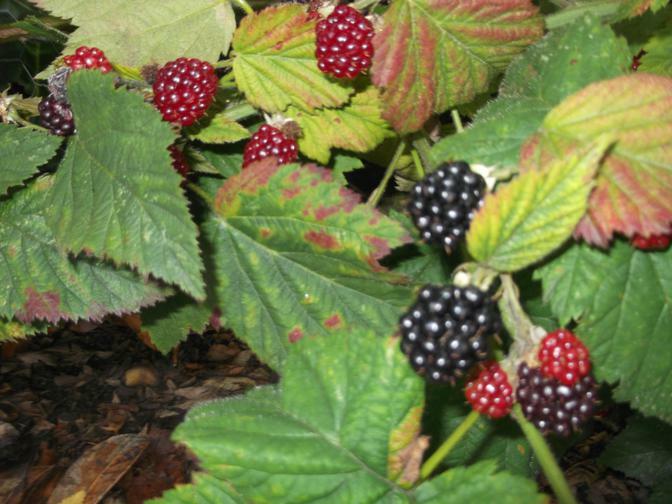 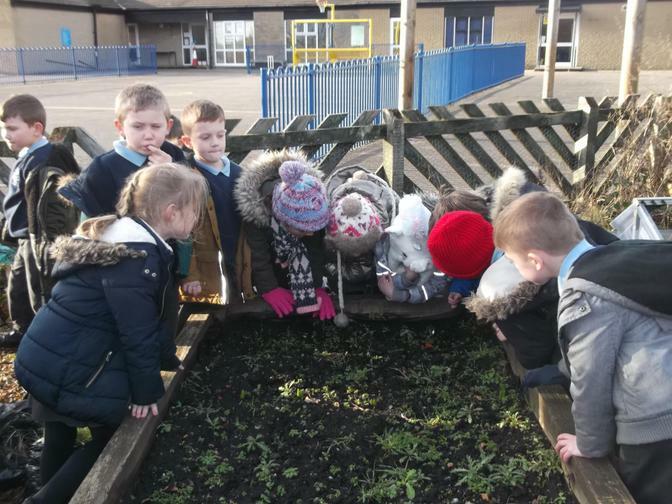 Visit to the garden to observe changes to the plants. 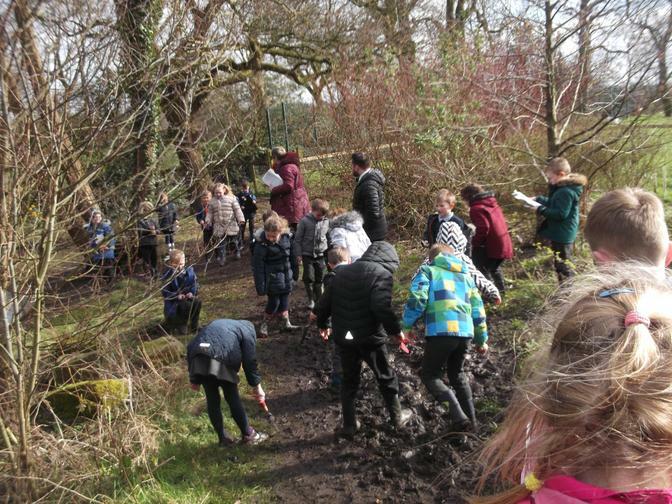 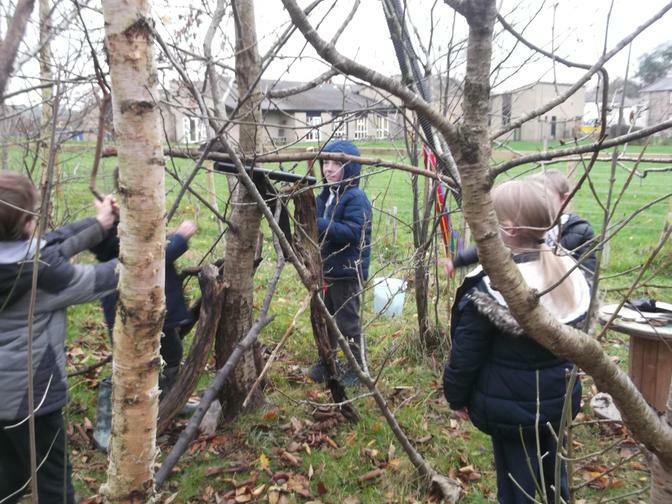 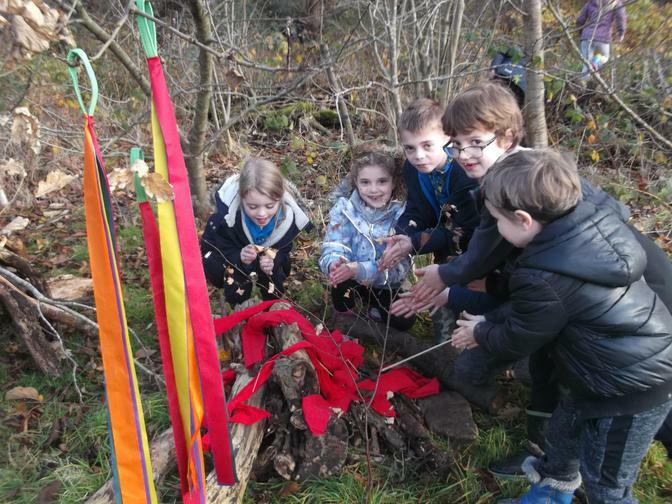 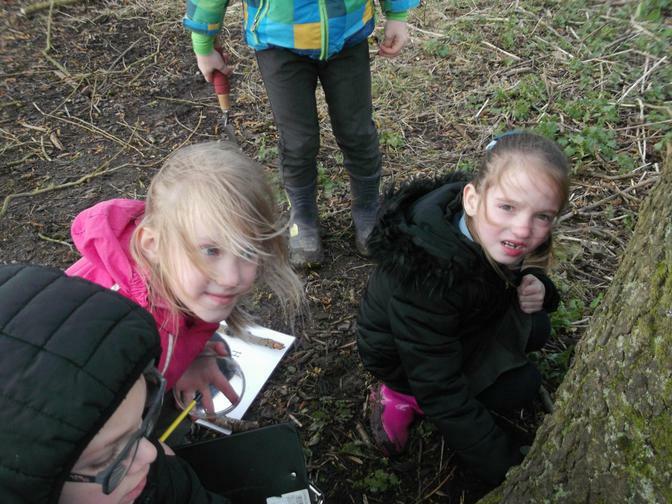 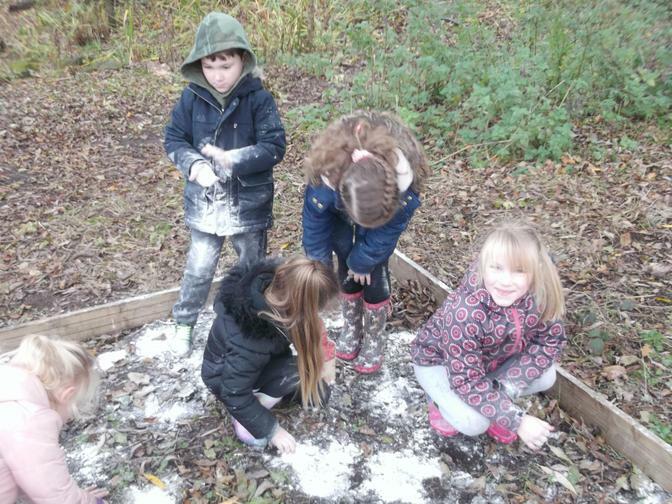 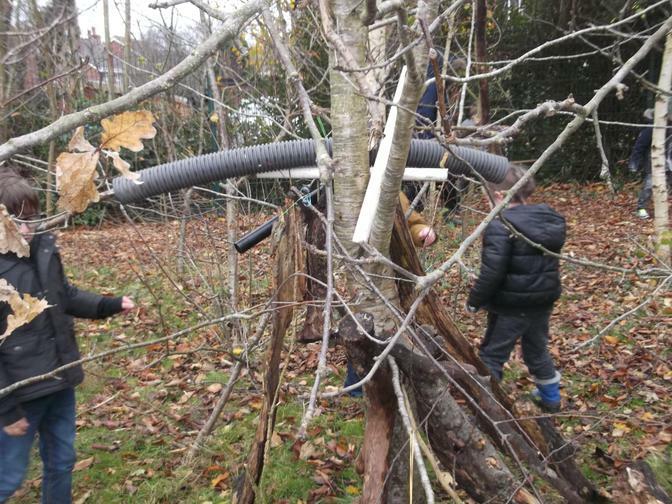 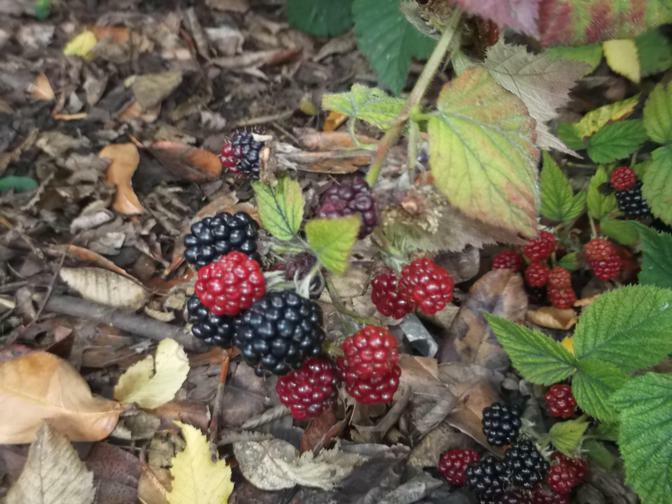 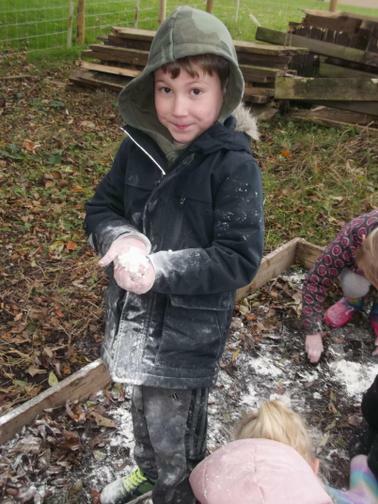 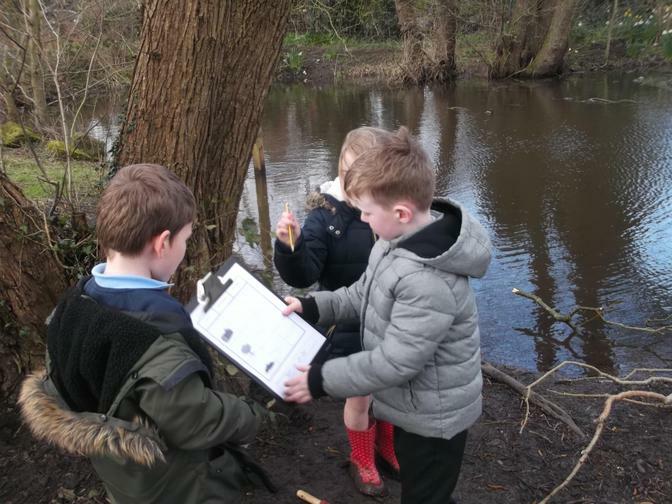 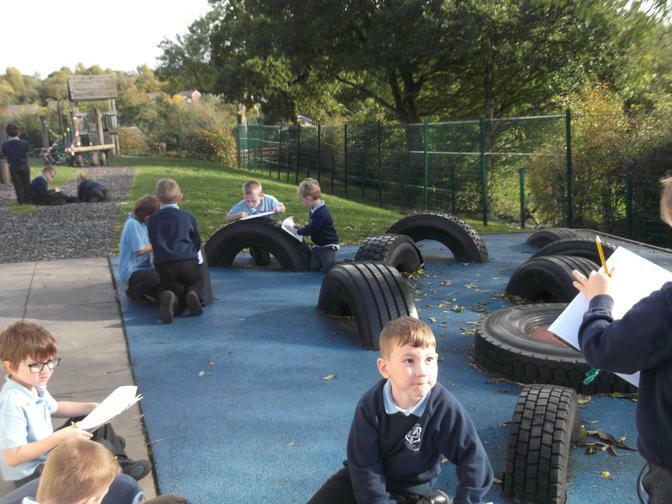 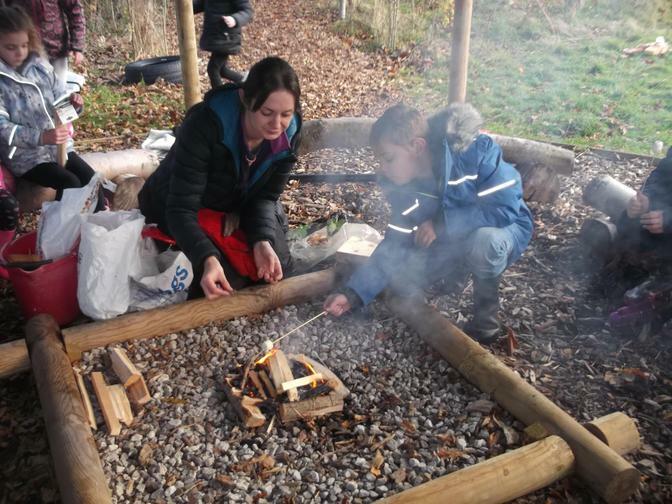 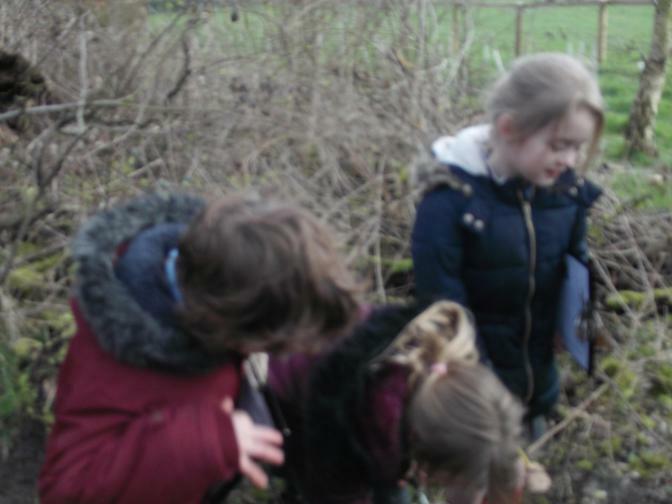 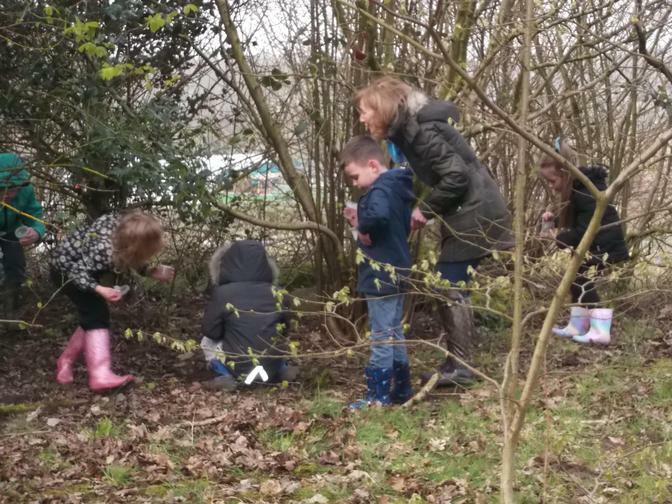 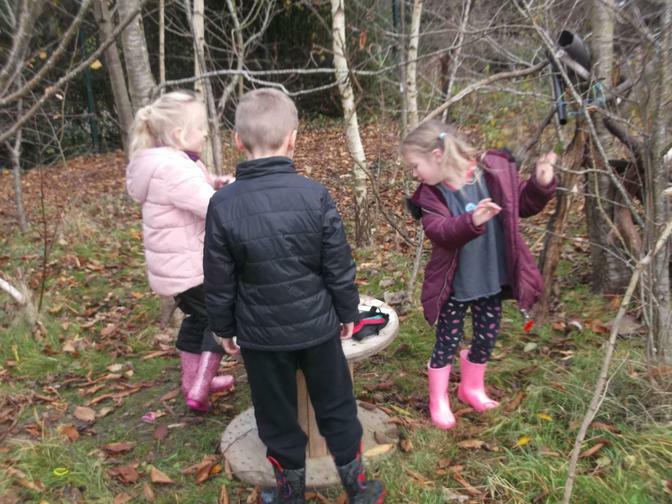 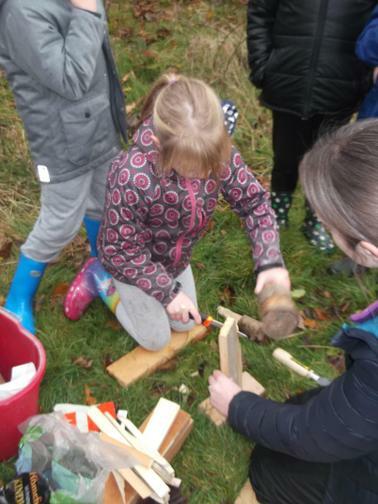 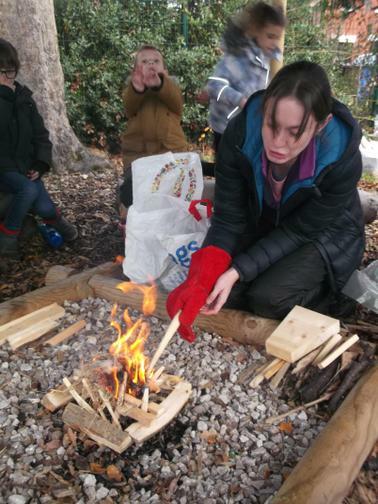 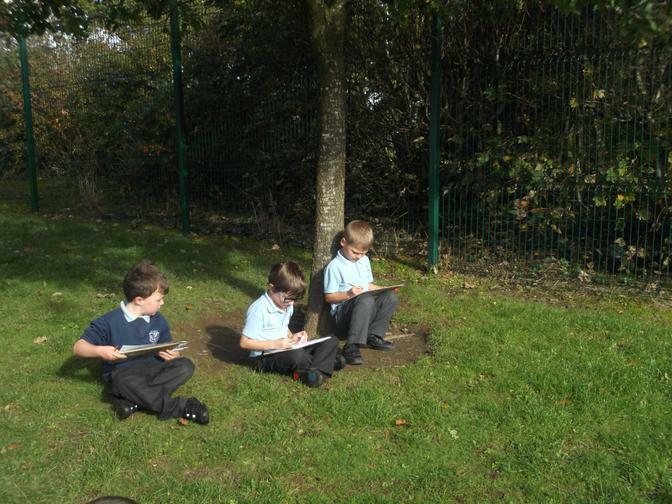 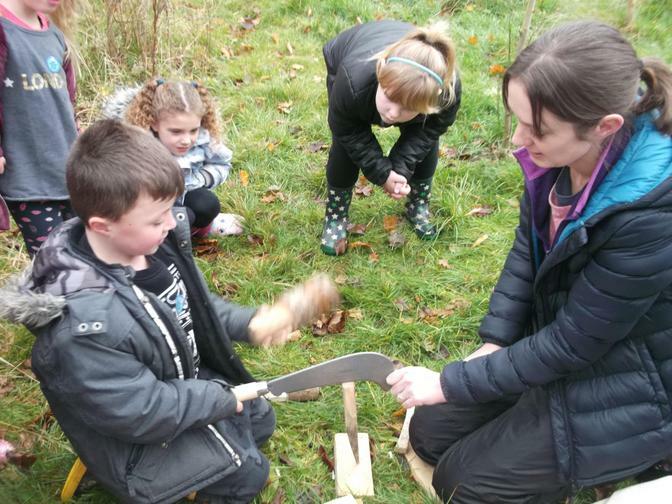 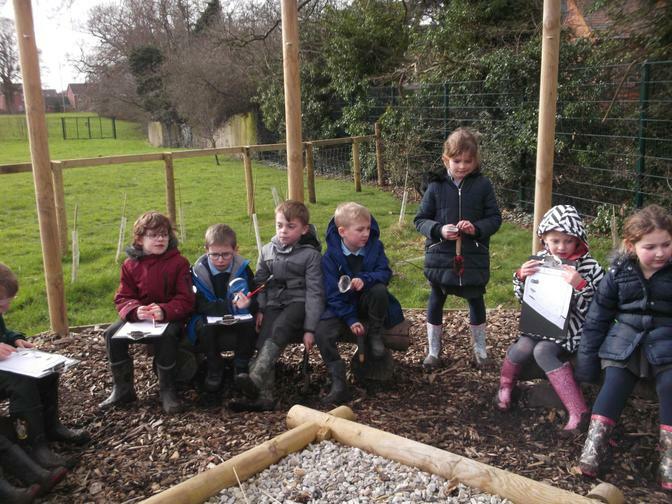 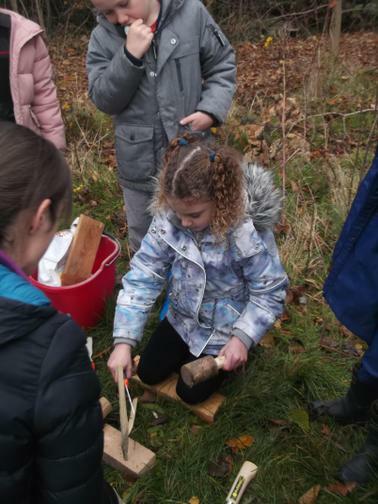 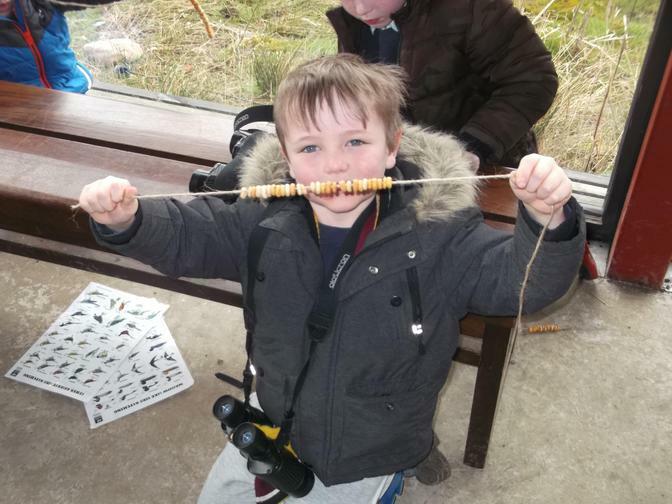 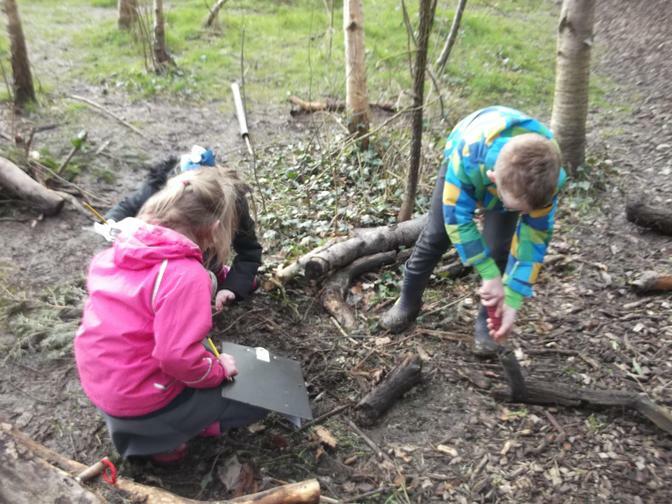 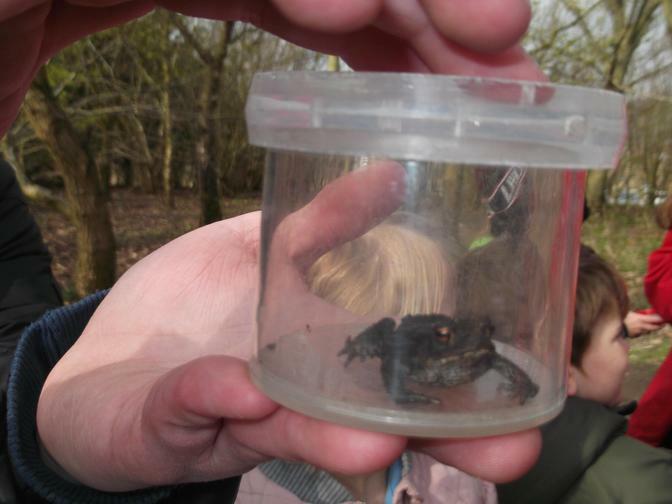 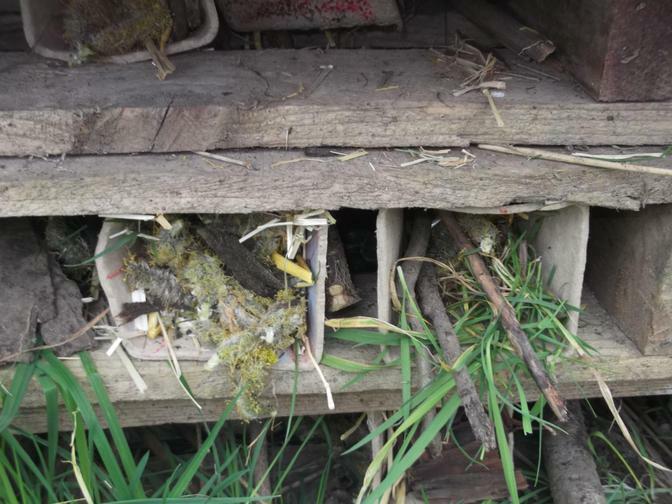 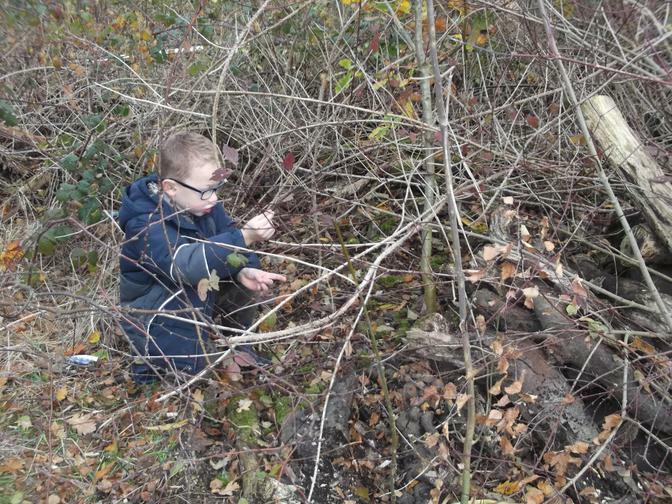 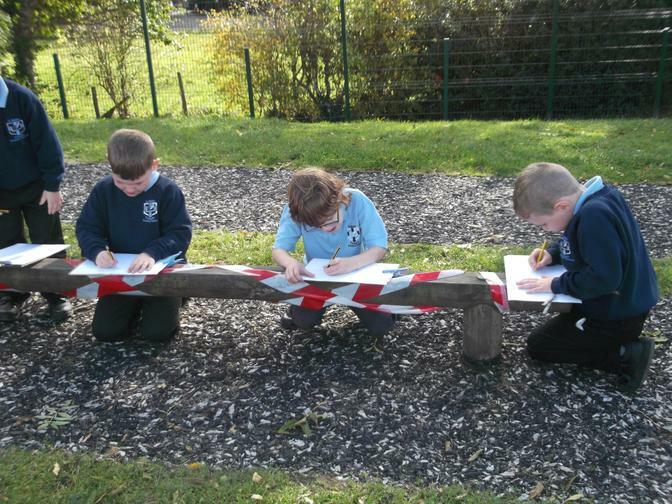 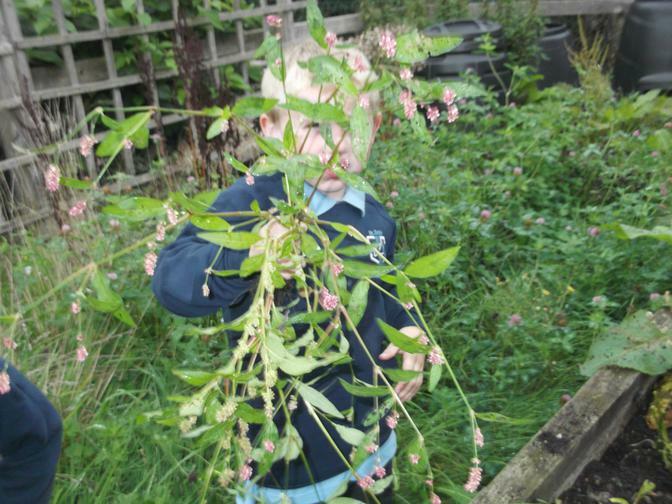 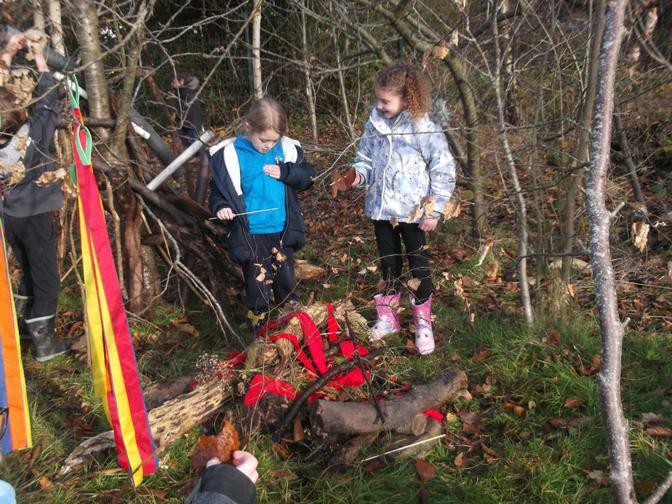 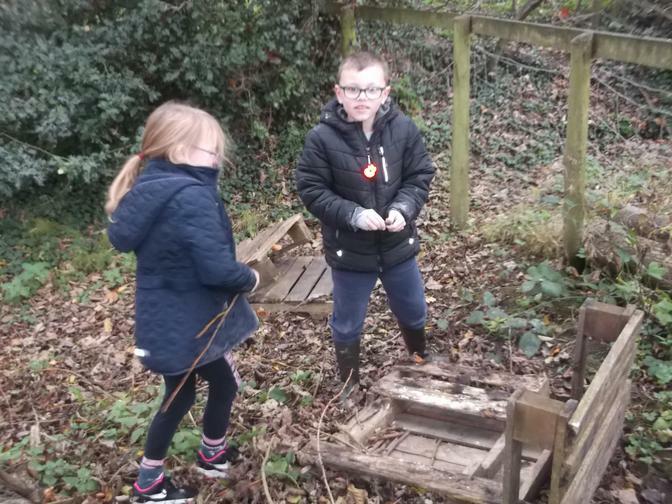 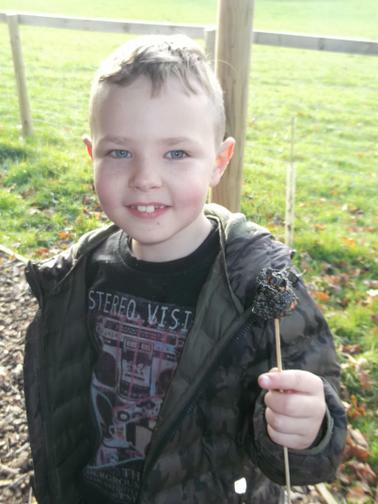 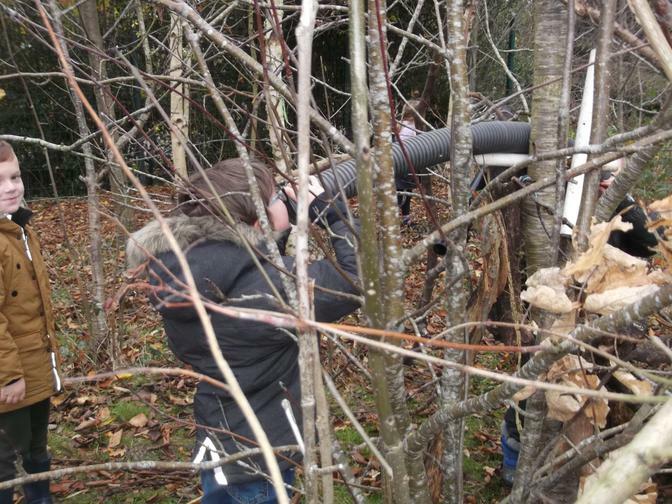 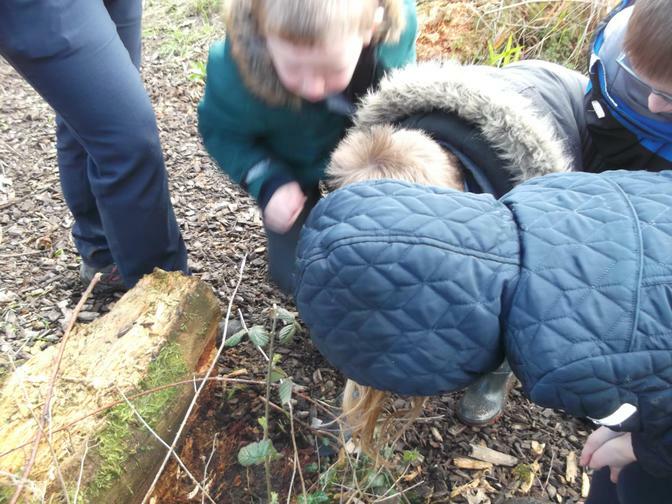 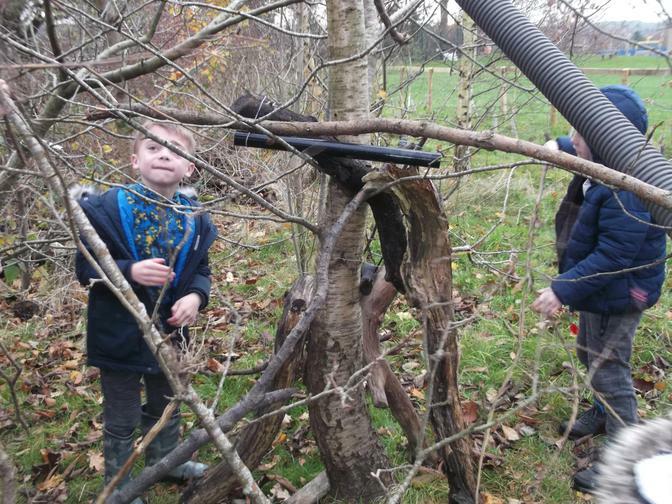 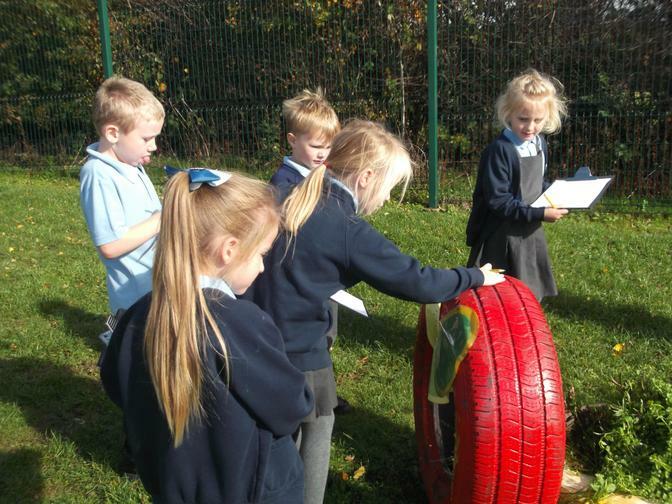 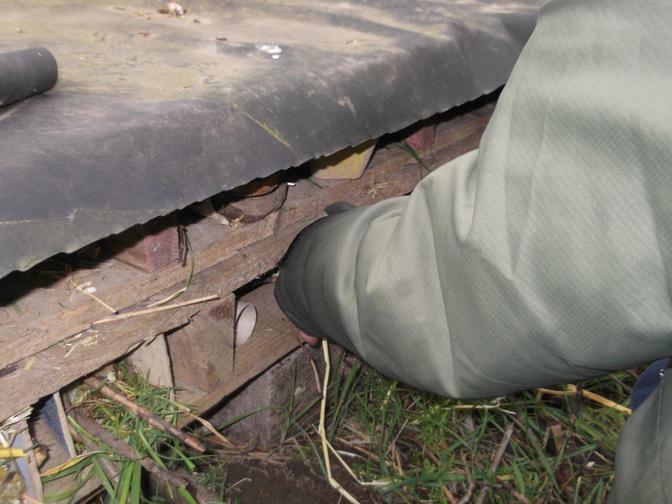 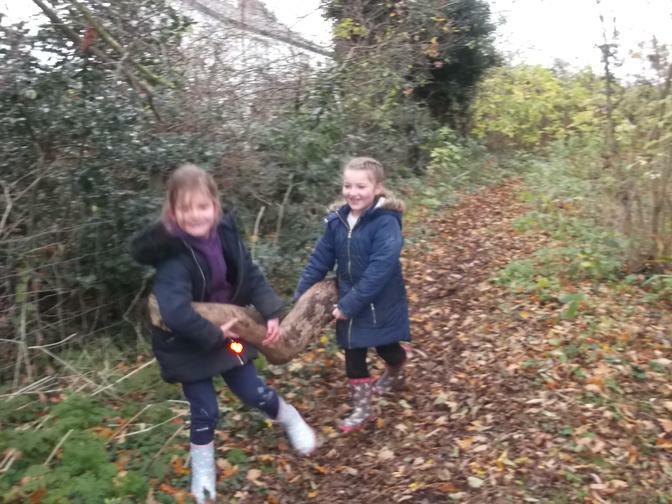 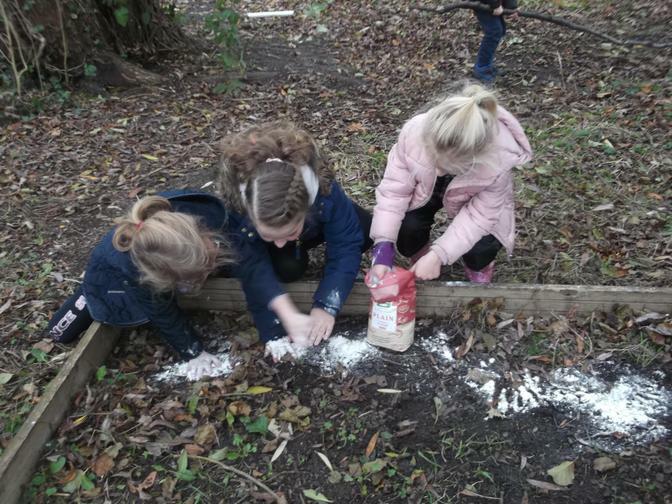 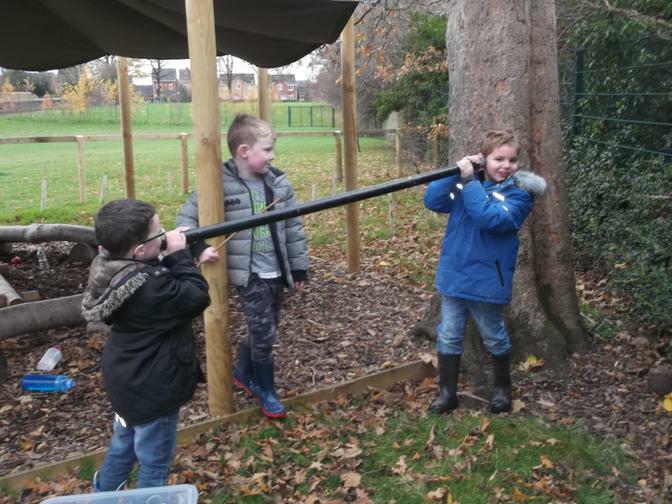 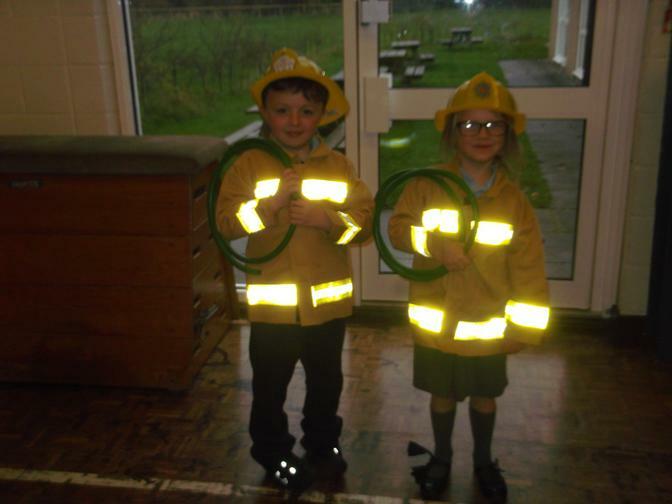 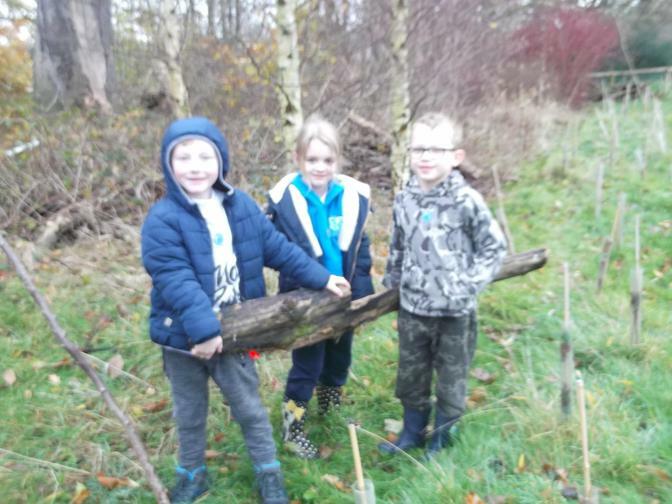 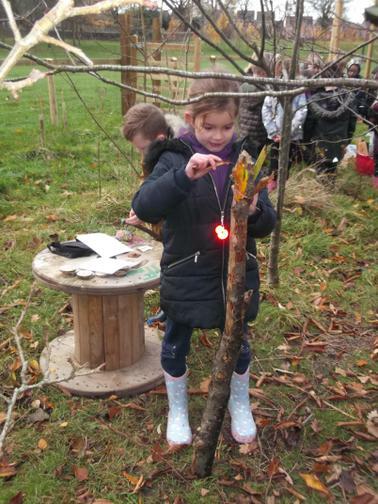 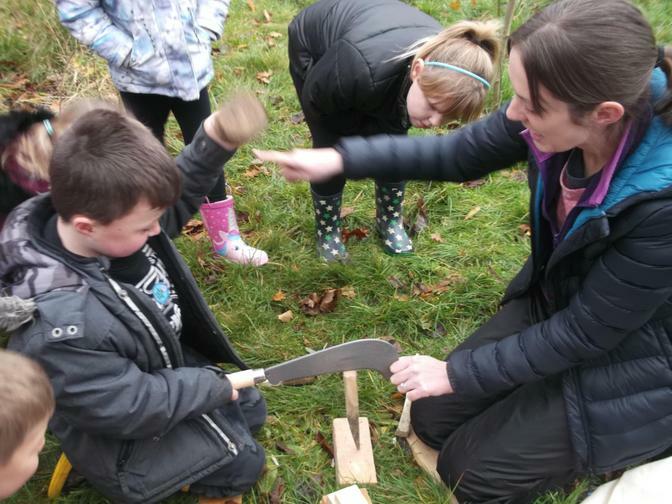 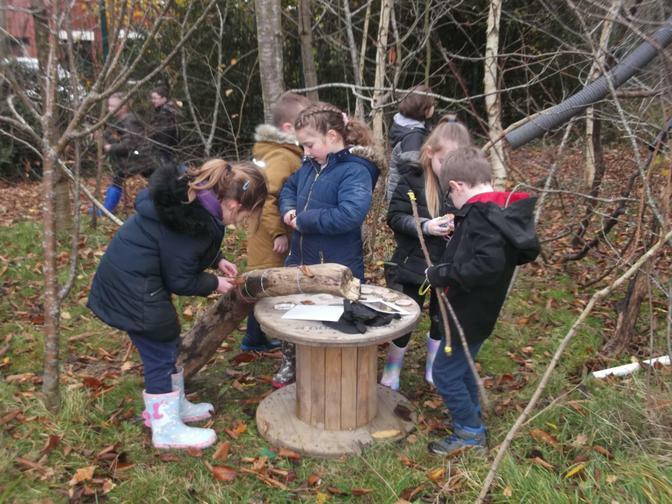 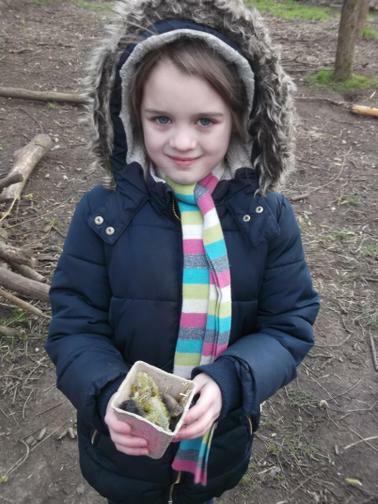 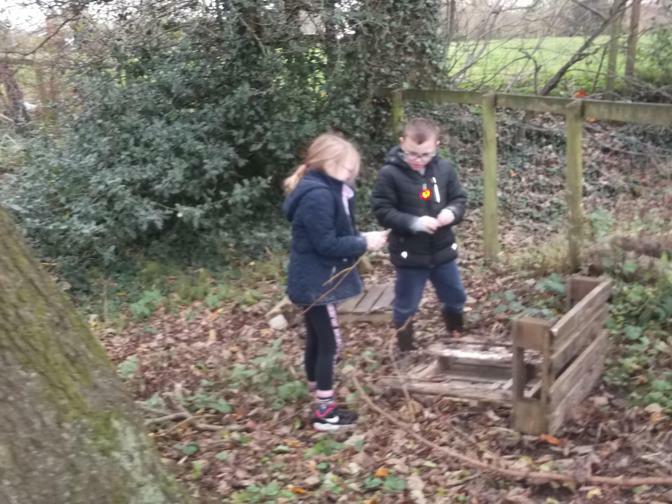 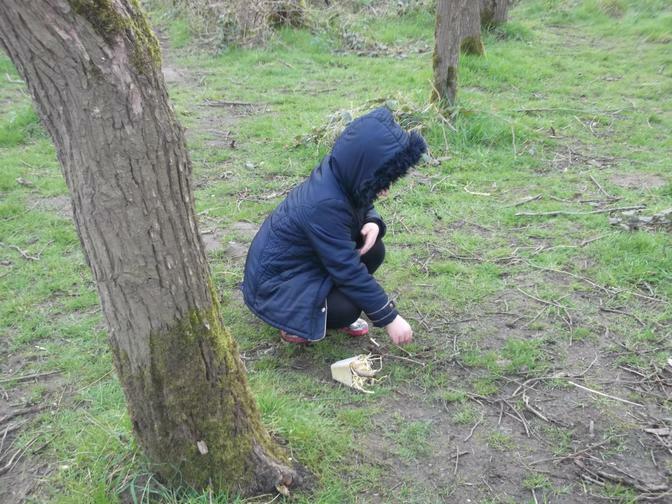 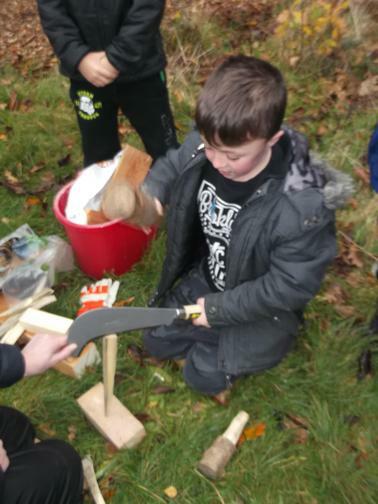 Exploring different habitats in our Forest School during Working Scientifically Week. 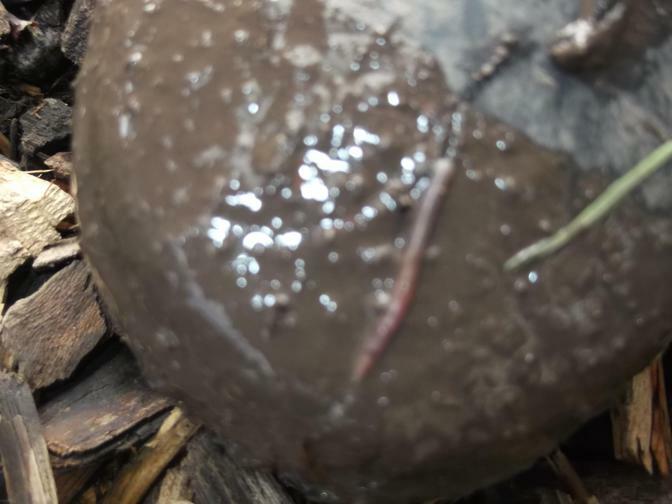 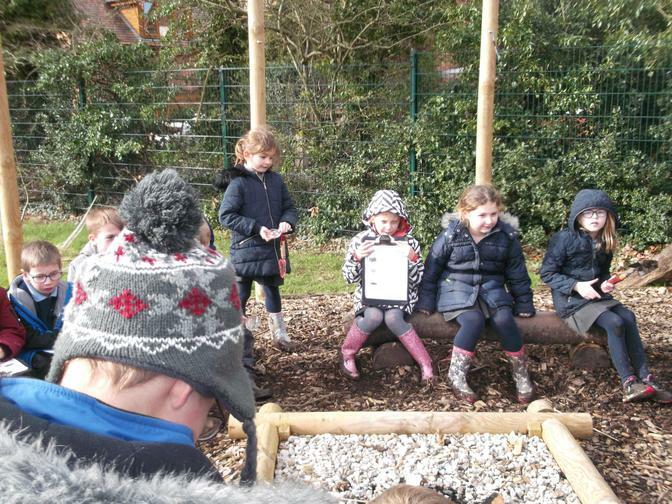 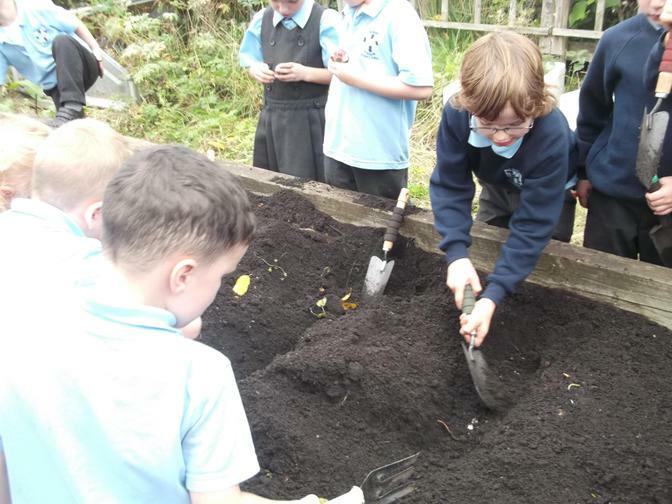 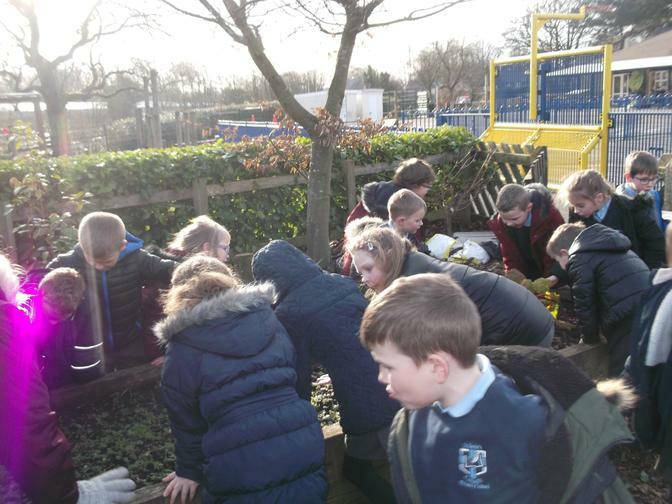 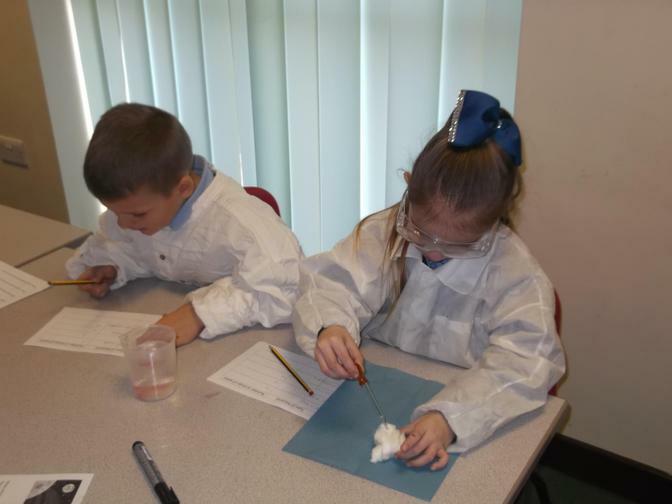 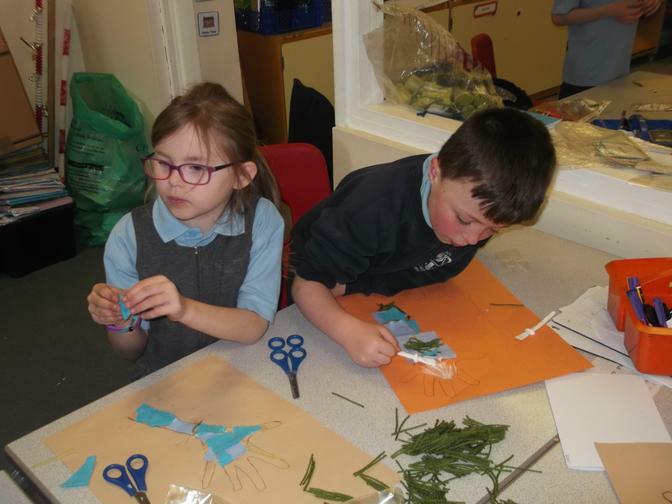 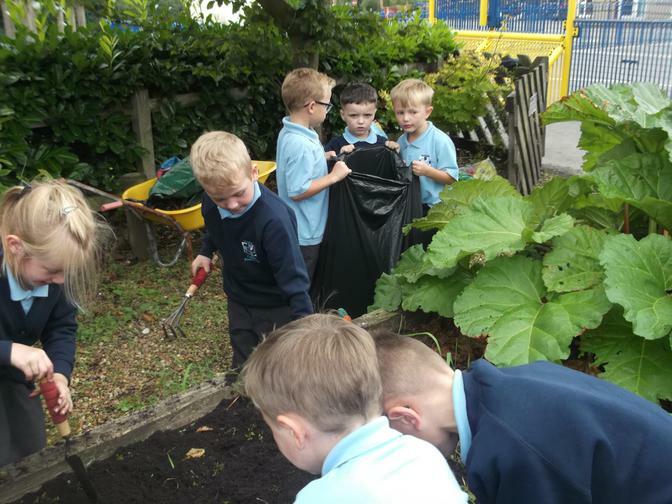 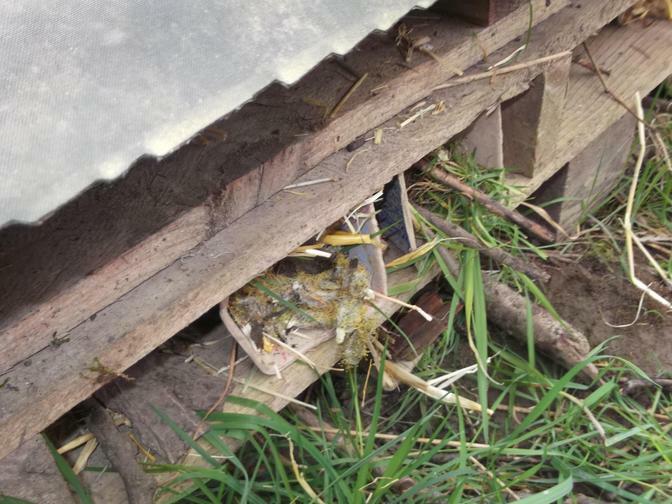 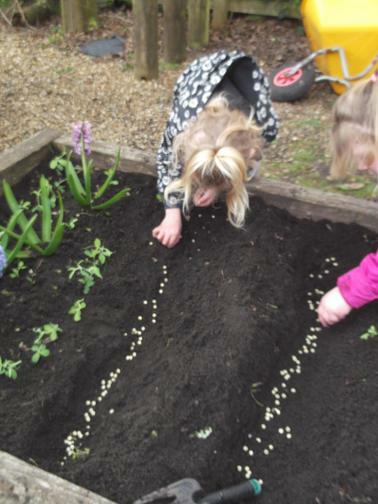 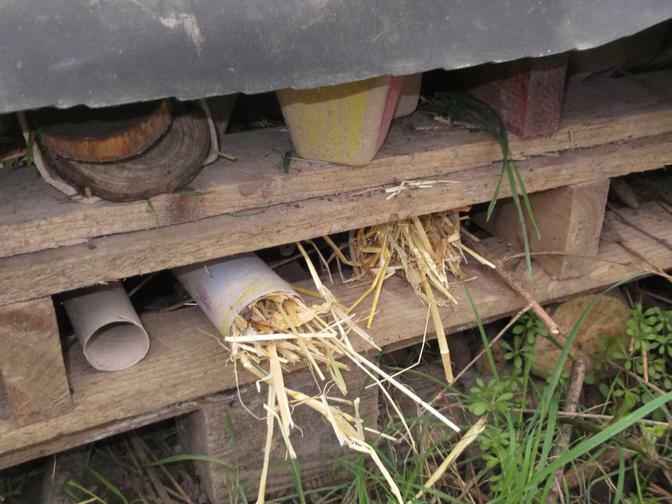 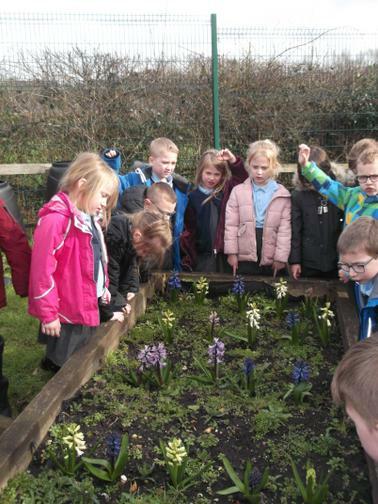 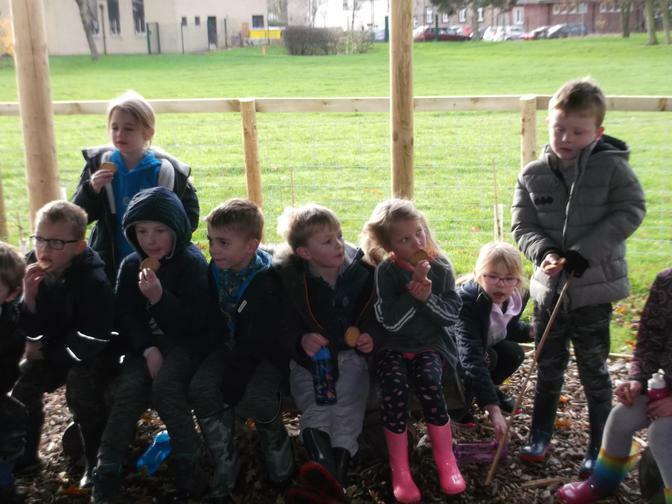 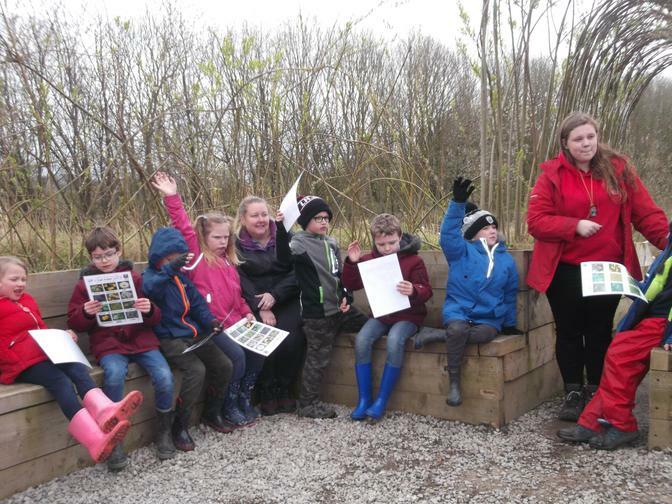 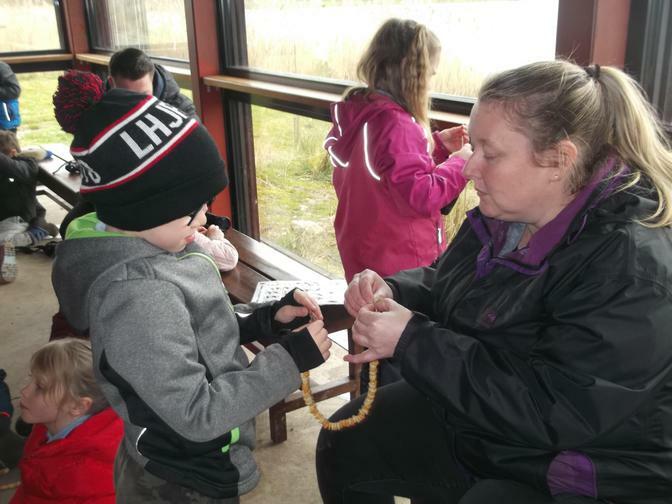 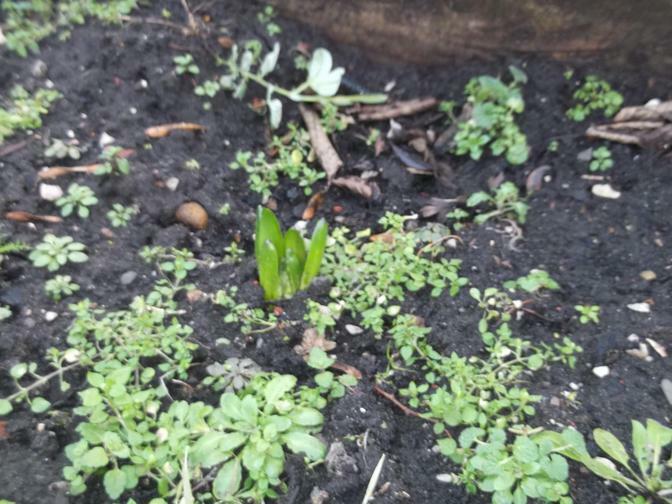 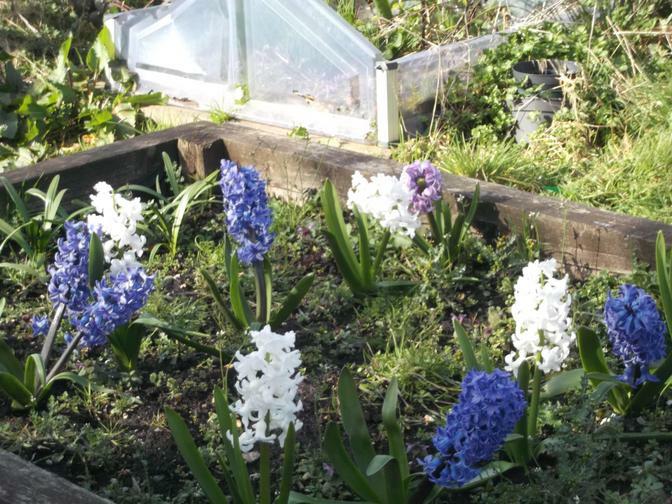 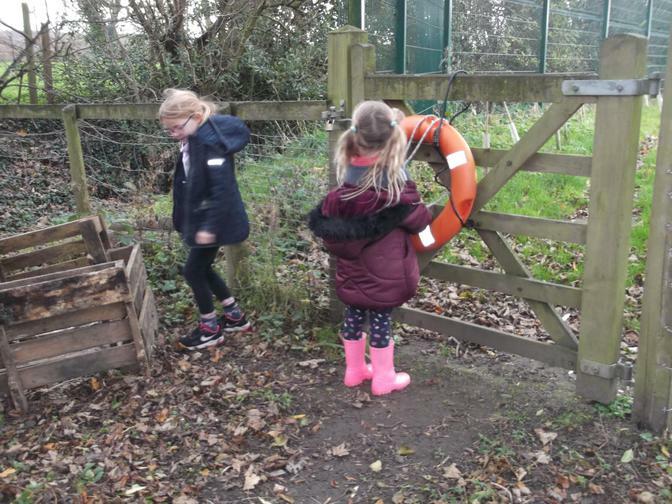 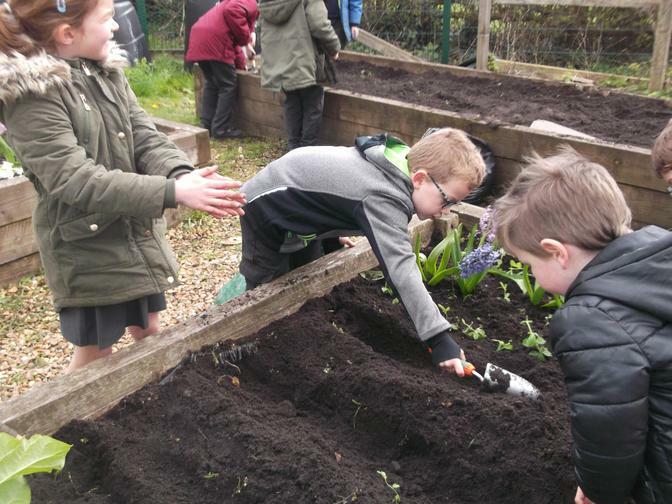 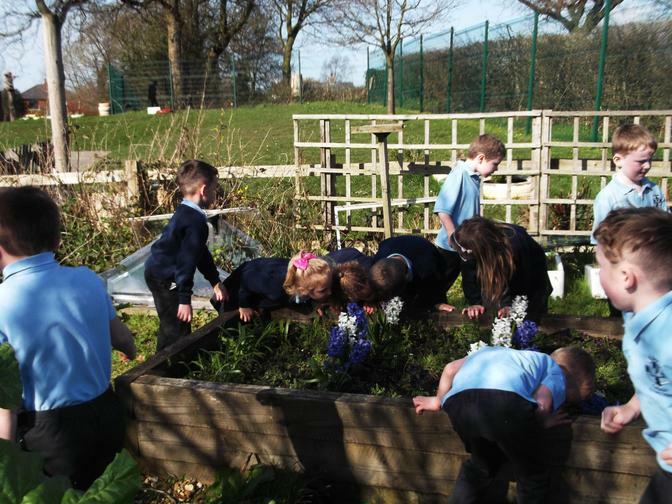 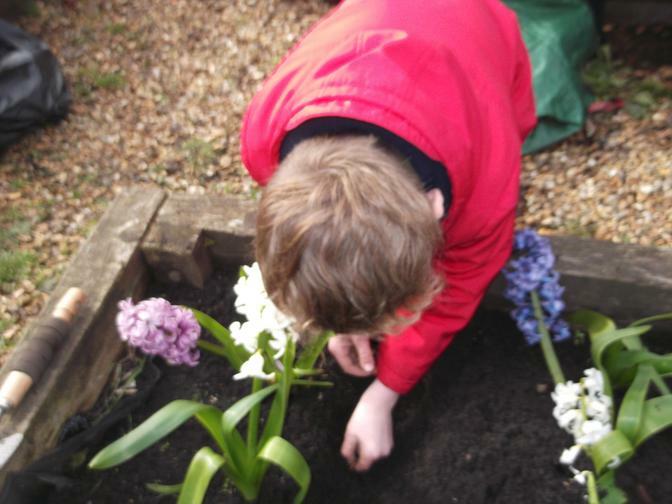 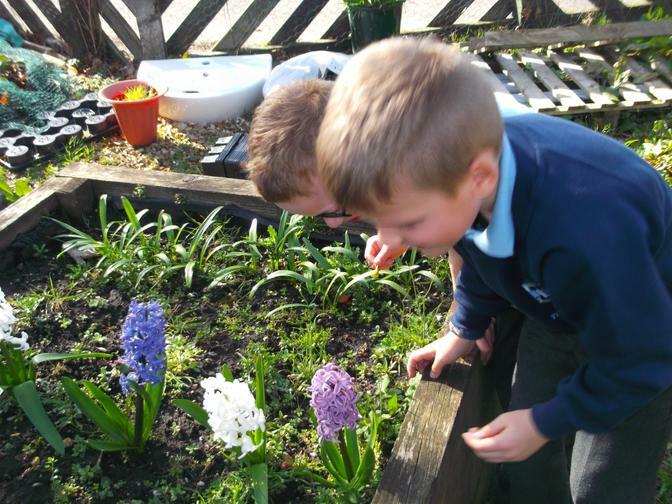 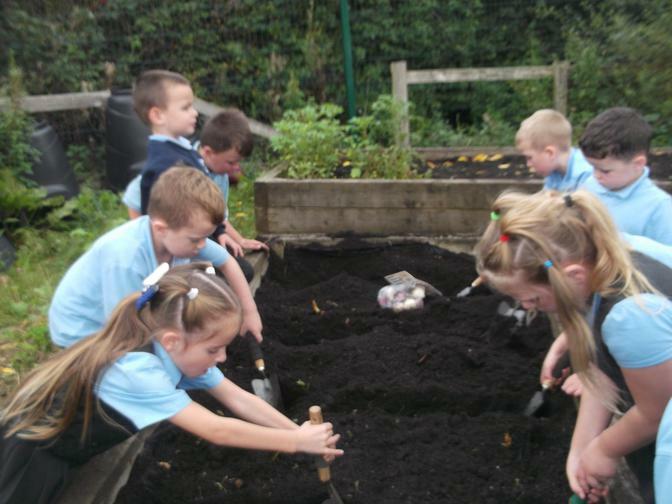 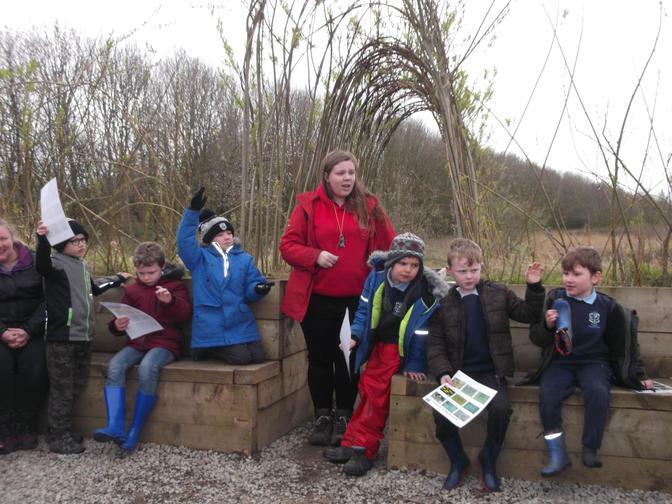 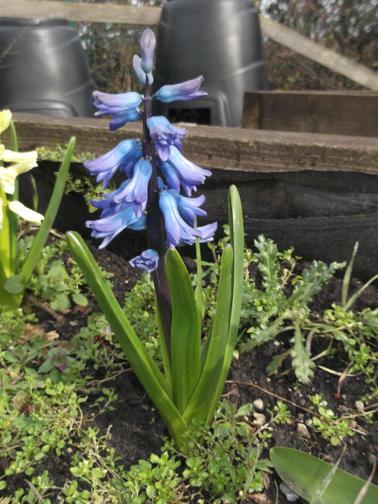 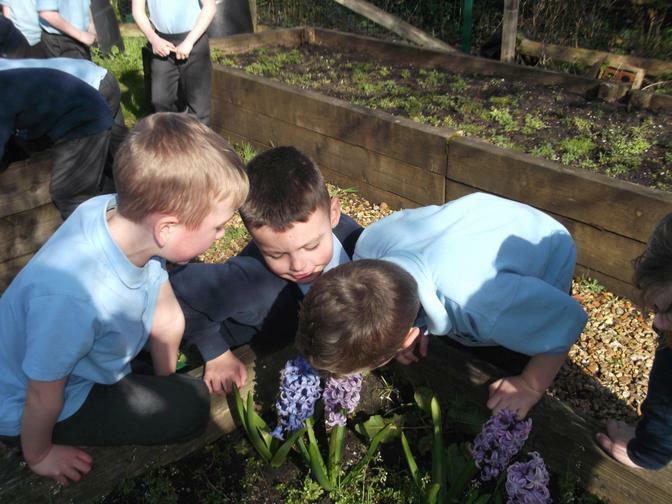 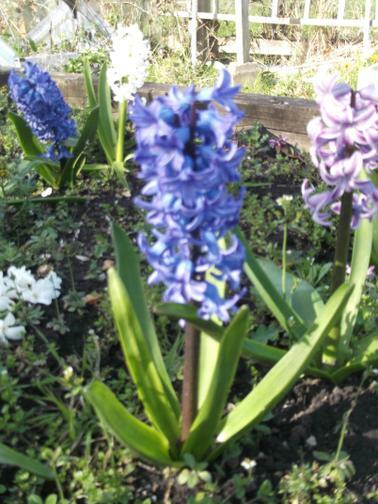 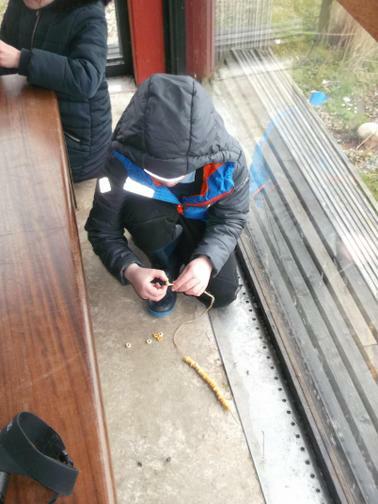 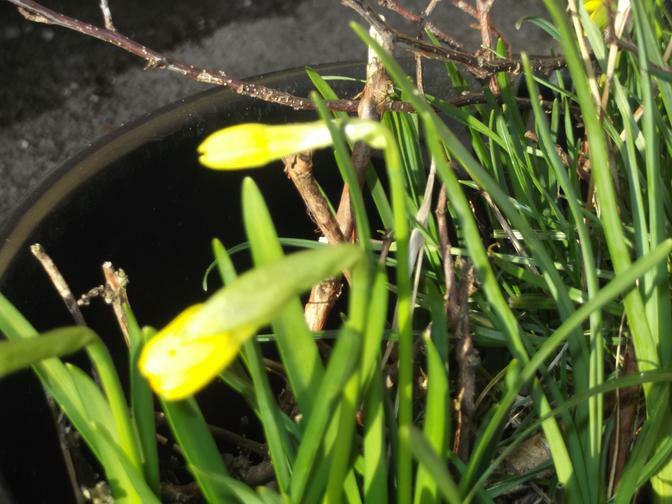 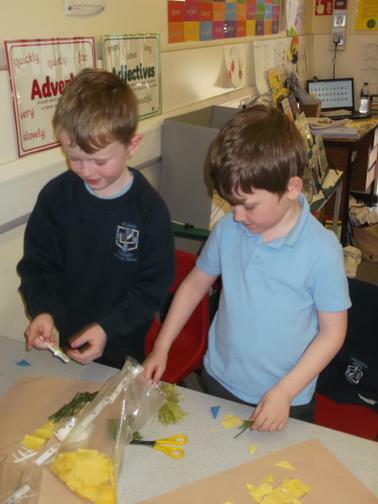 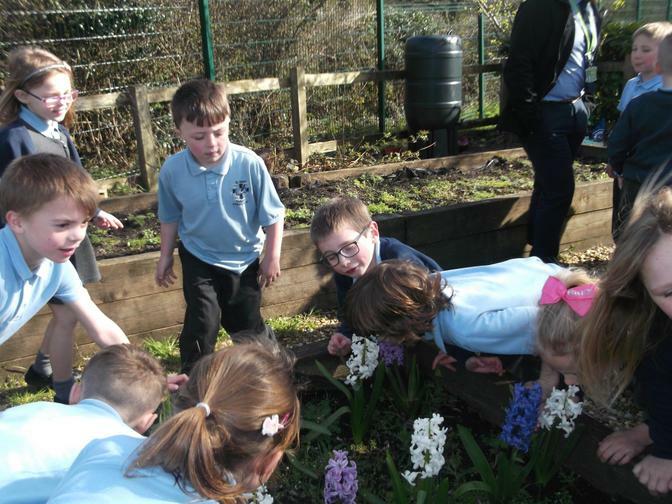 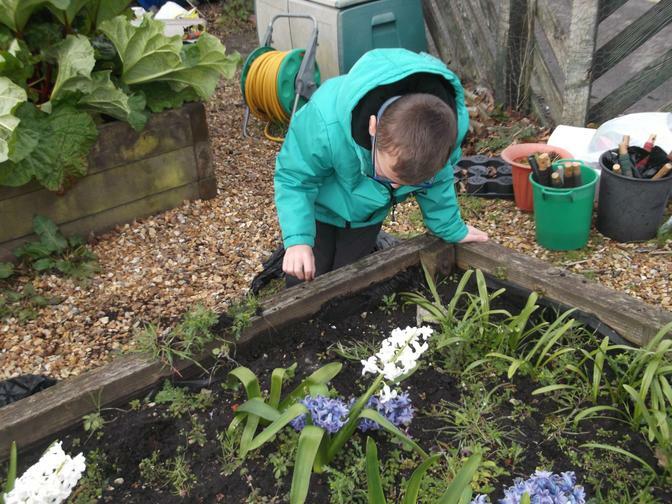 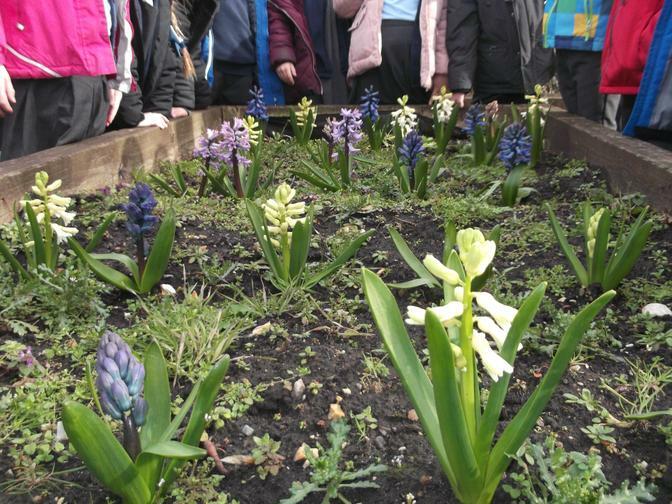 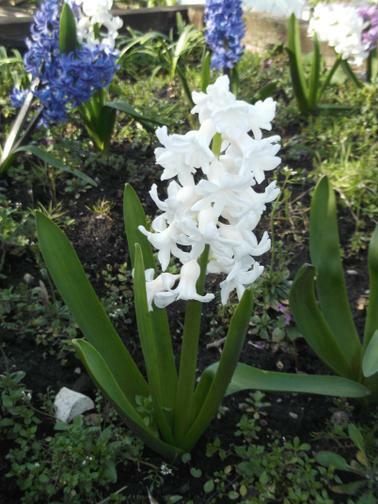 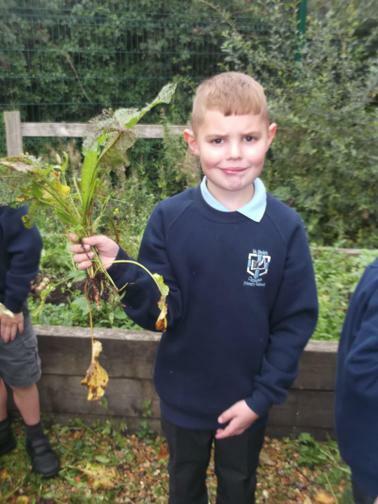 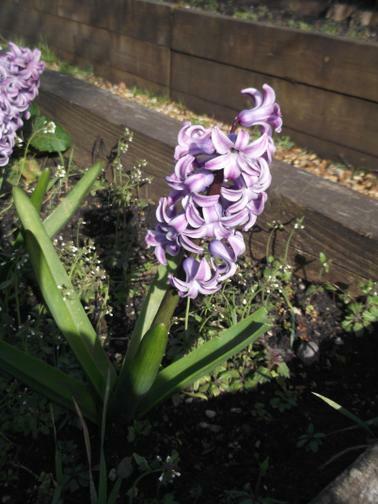 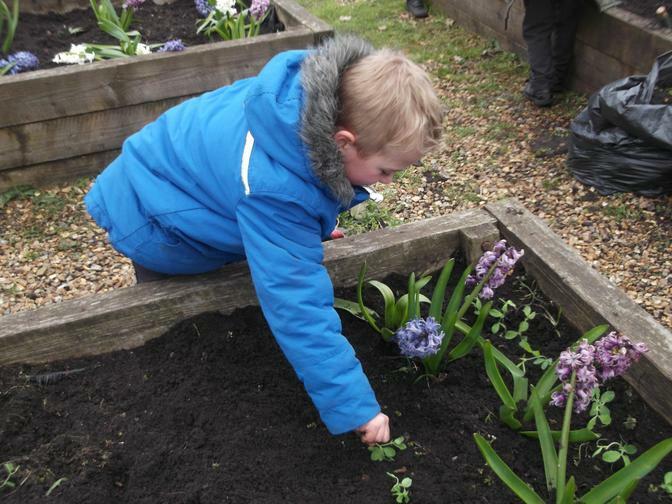 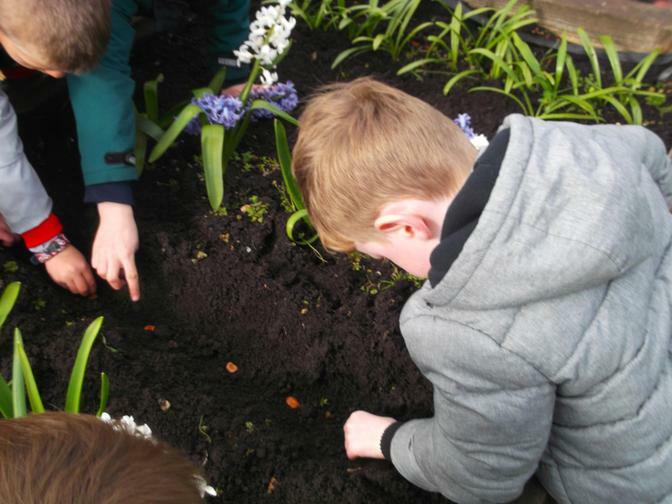 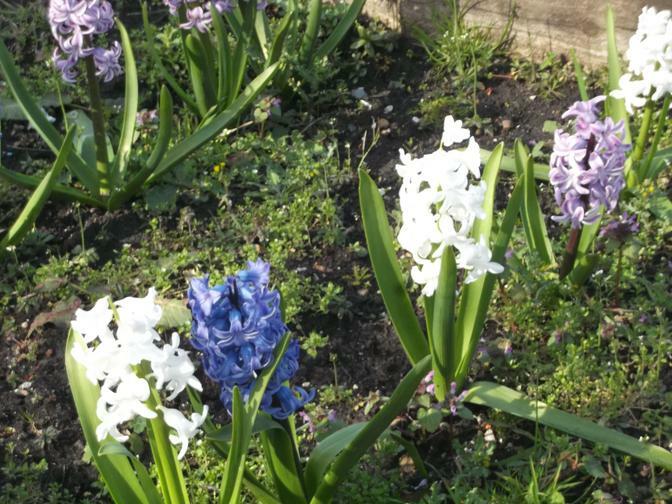 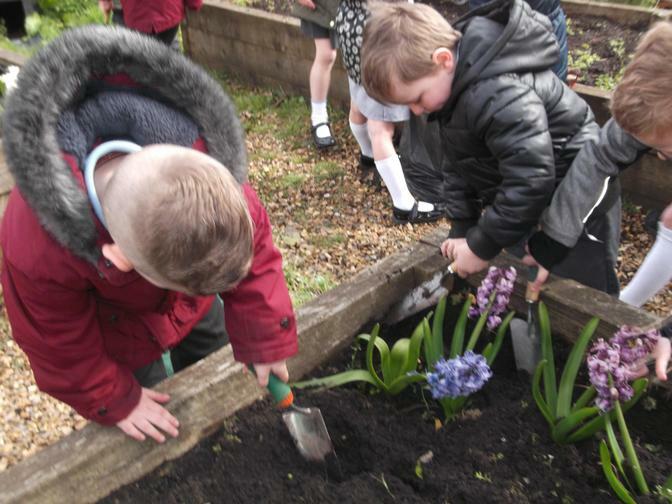 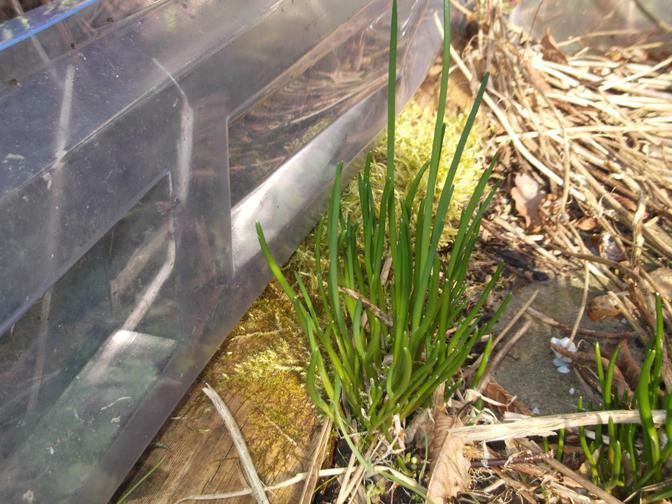 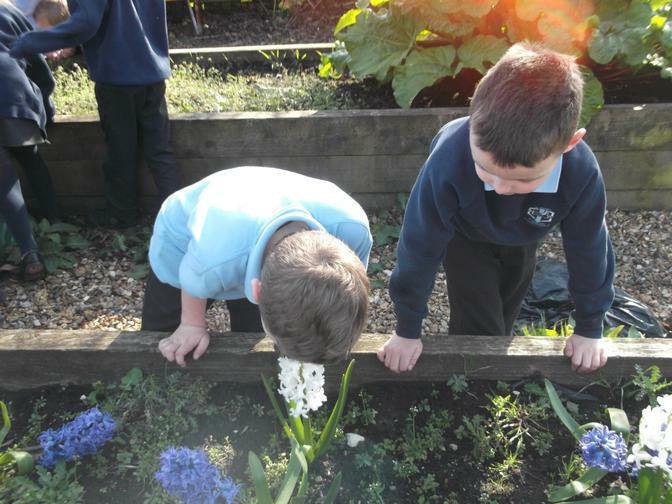 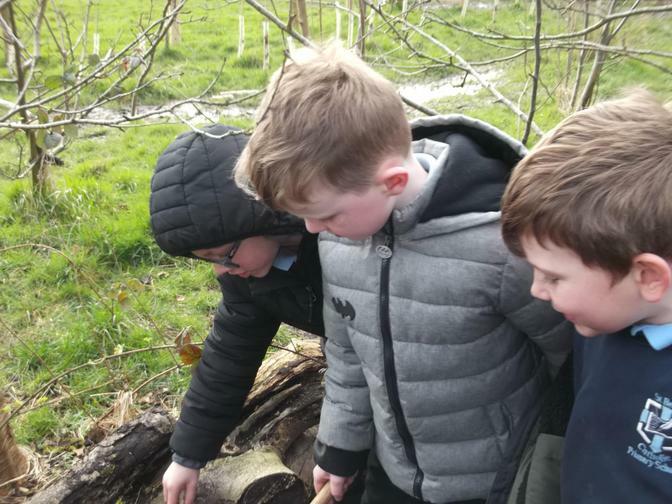 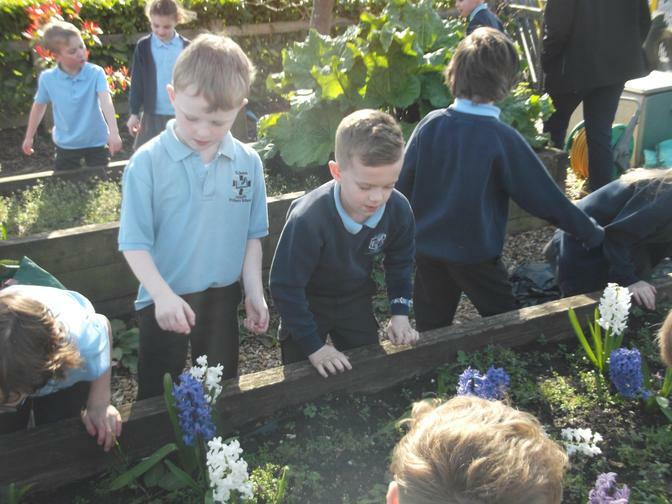 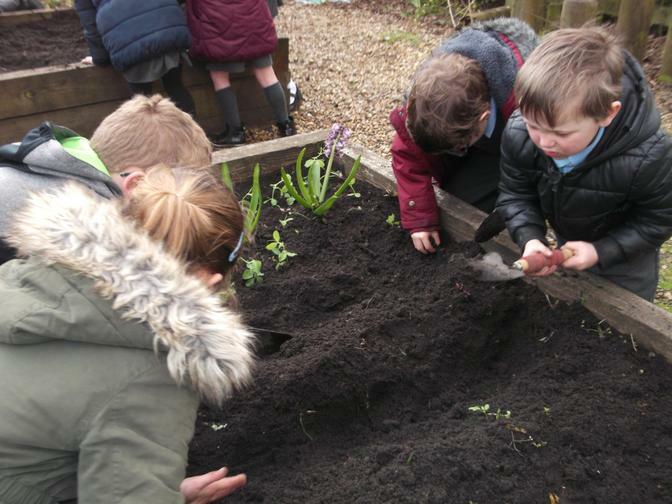 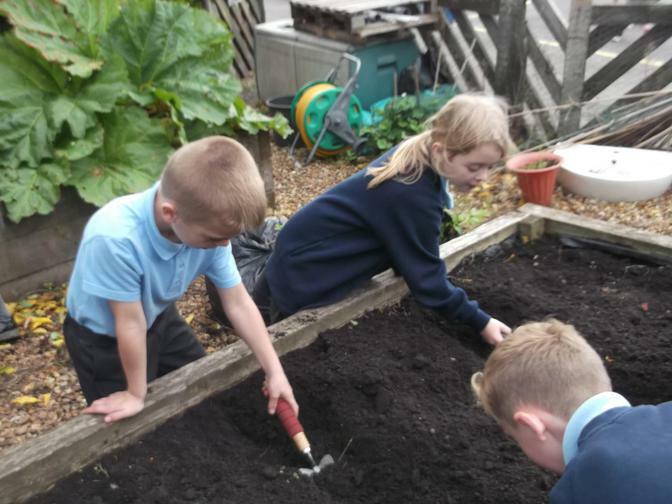 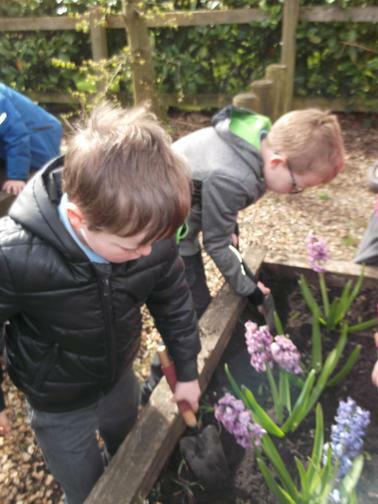 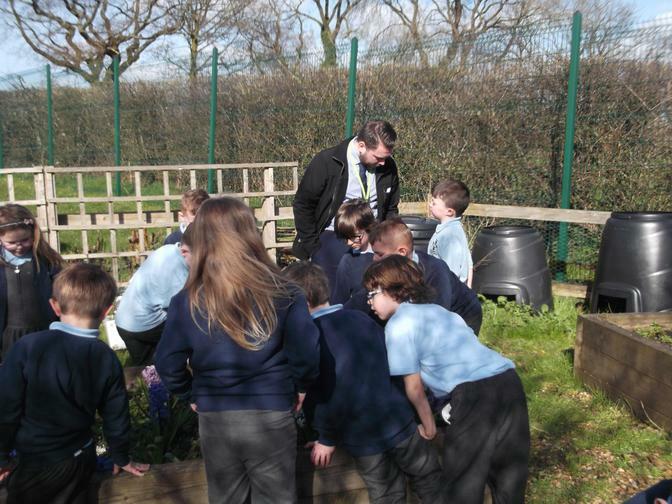 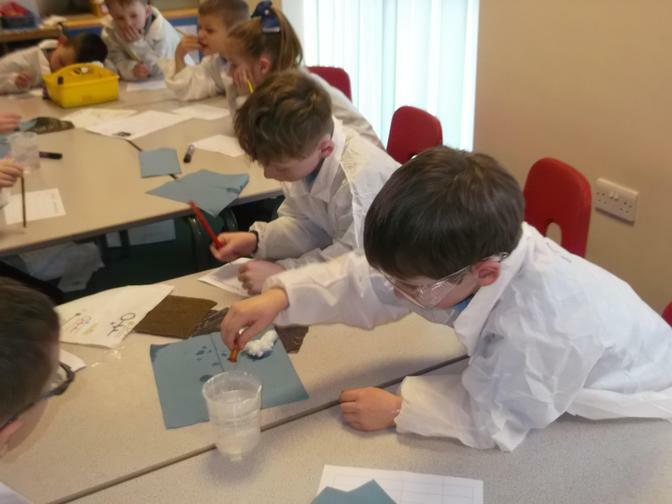 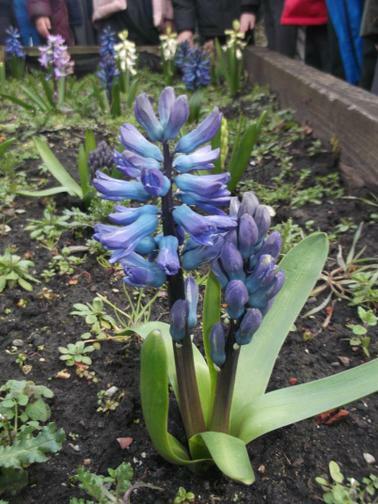 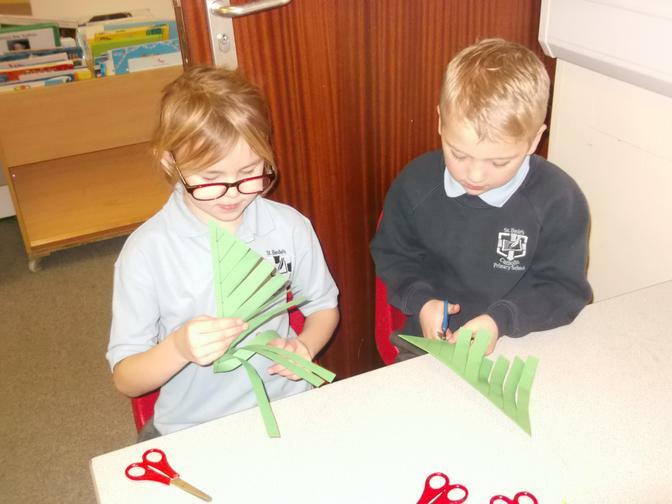 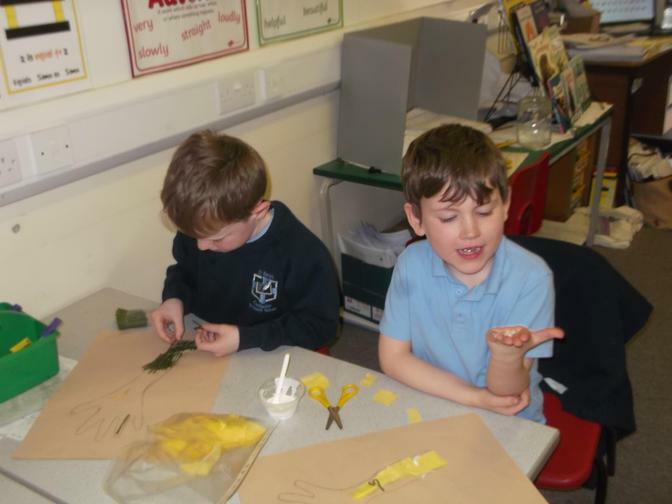 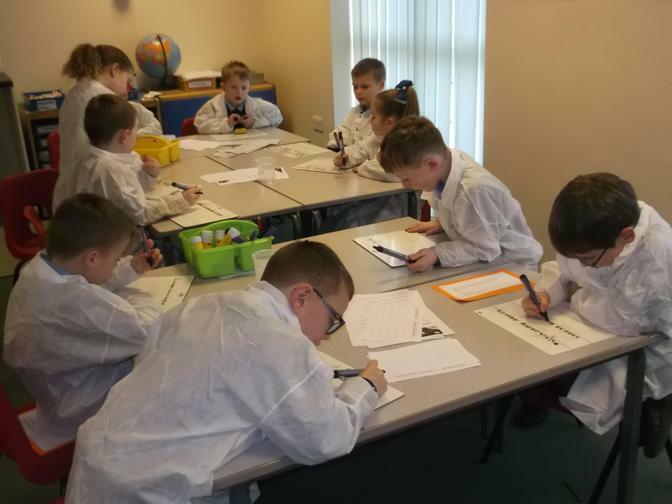 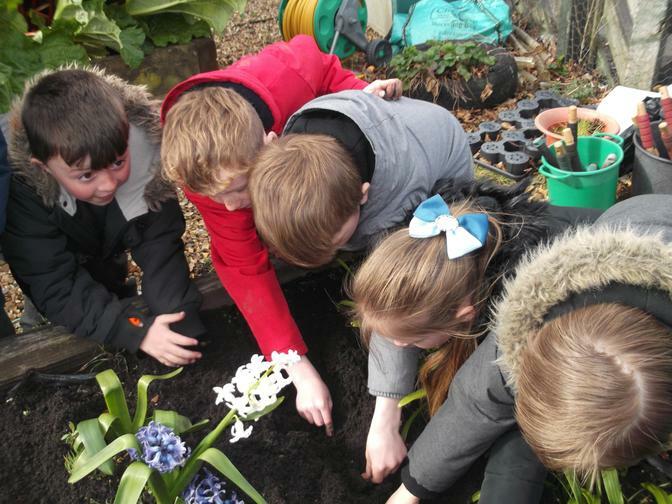 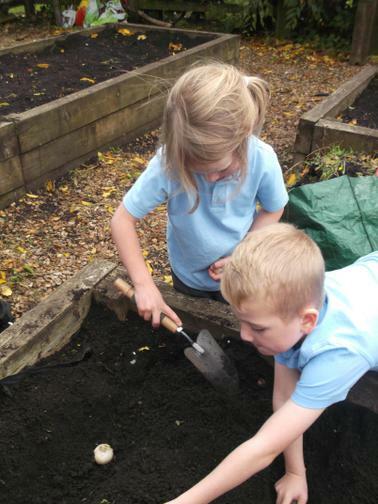 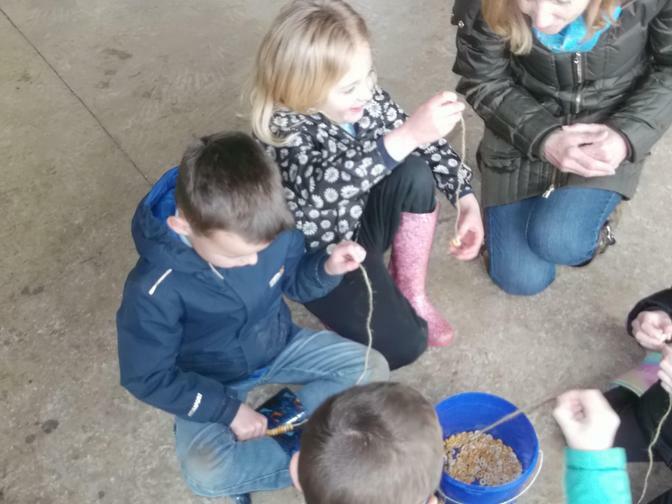 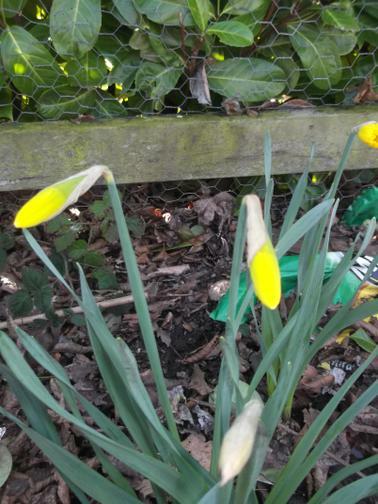 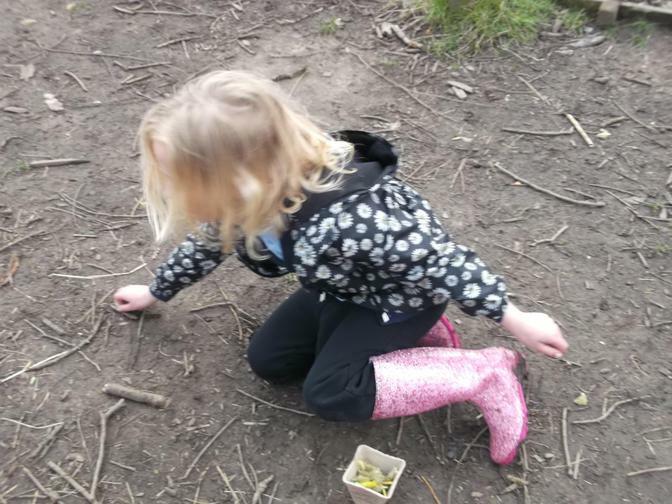 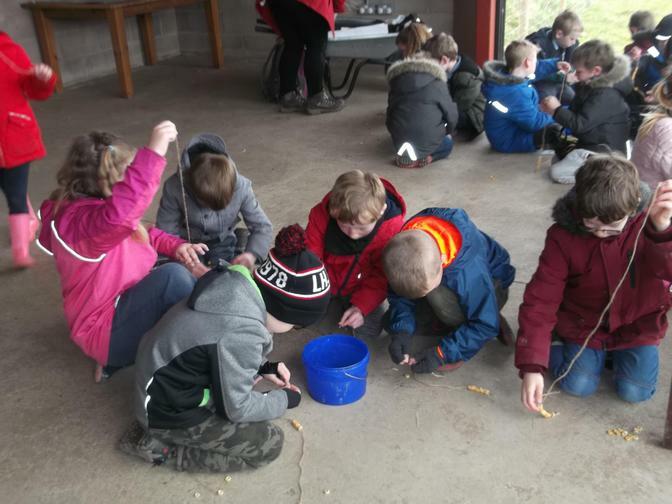 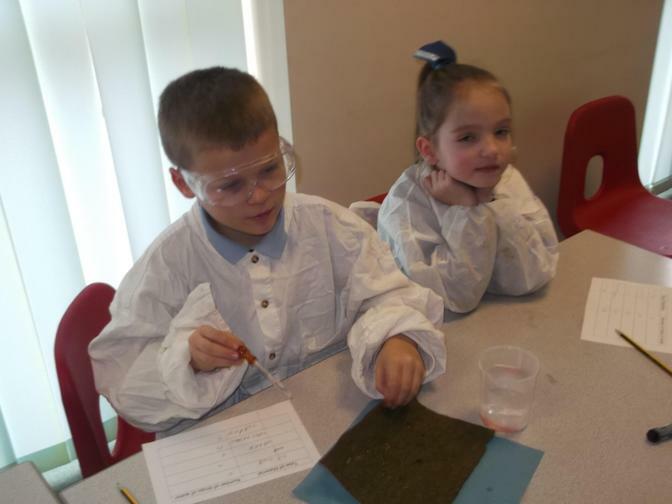 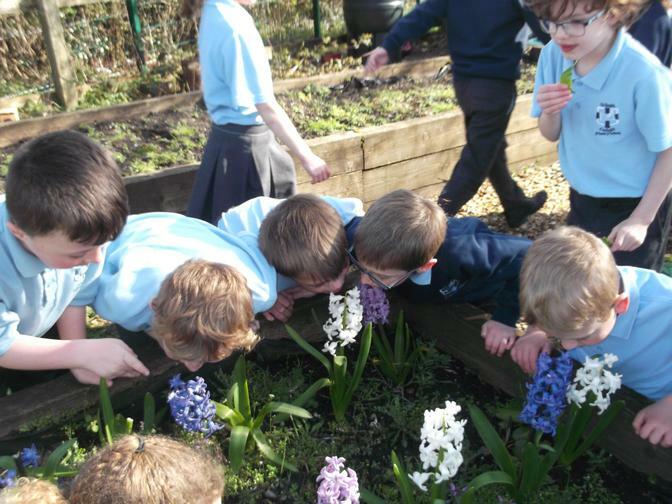 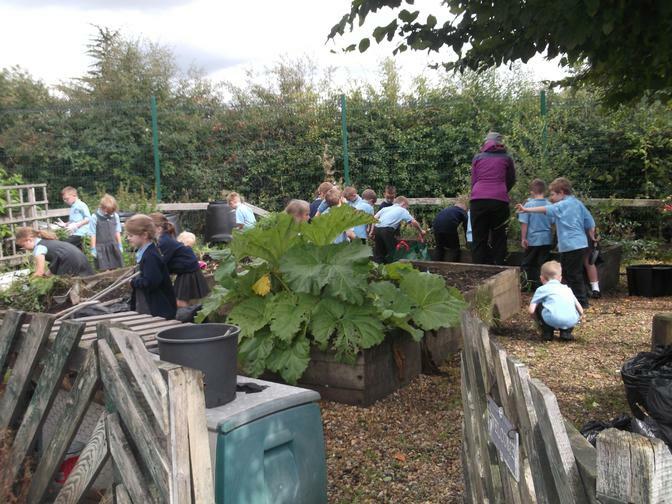 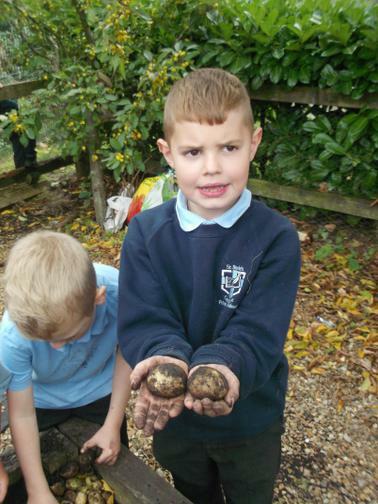 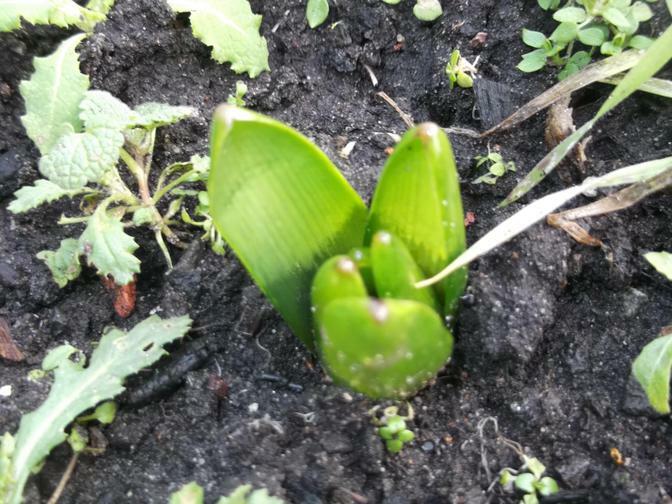 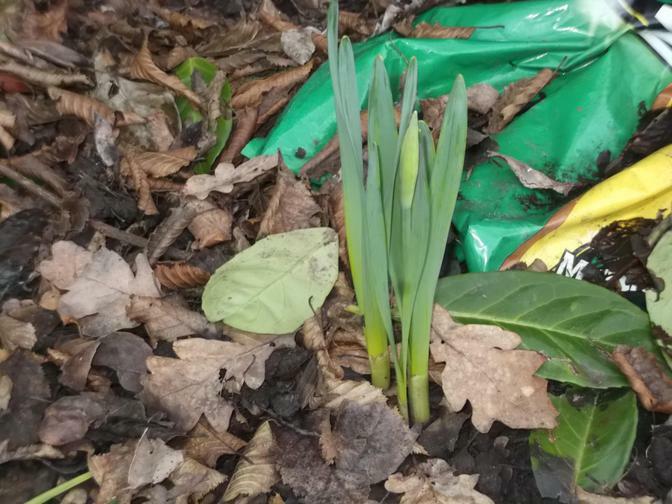 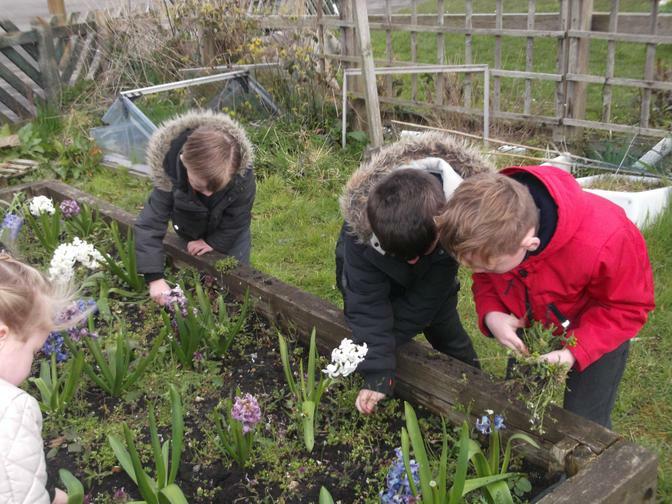 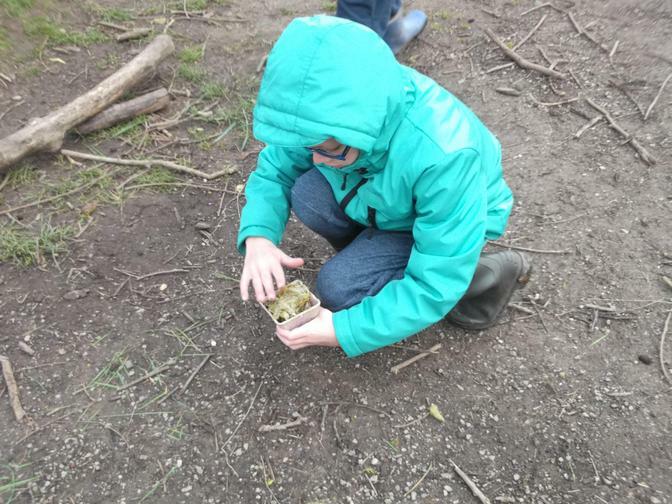 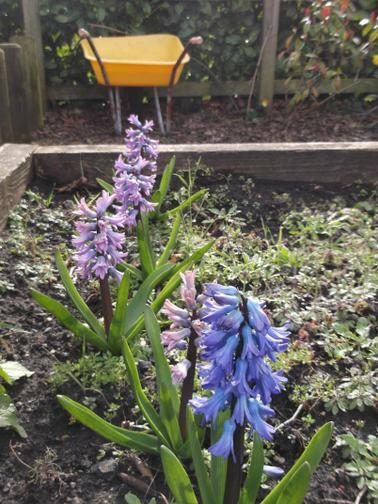 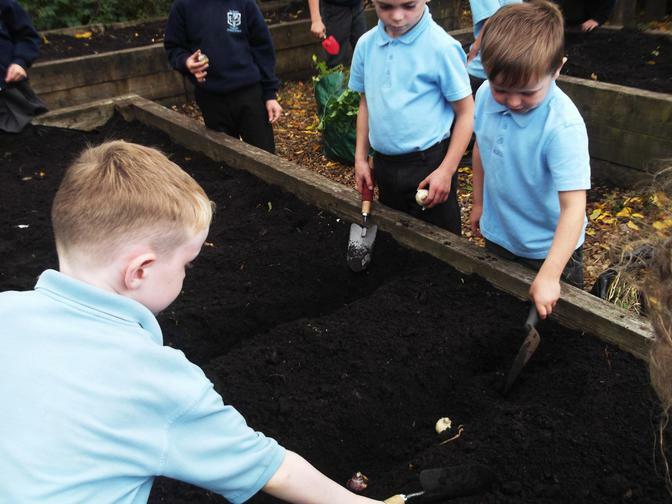 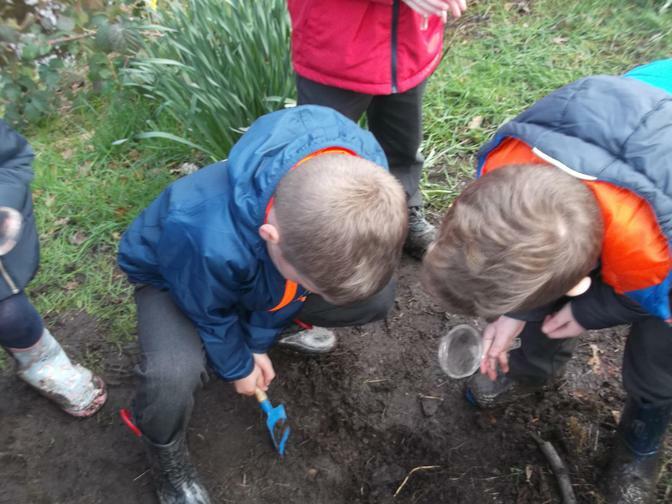 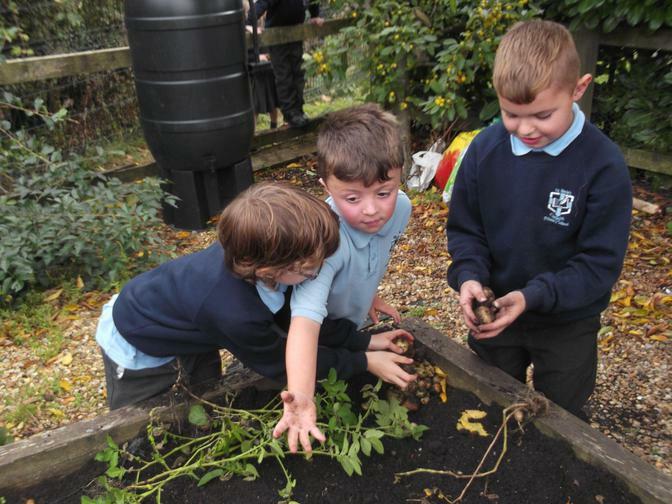 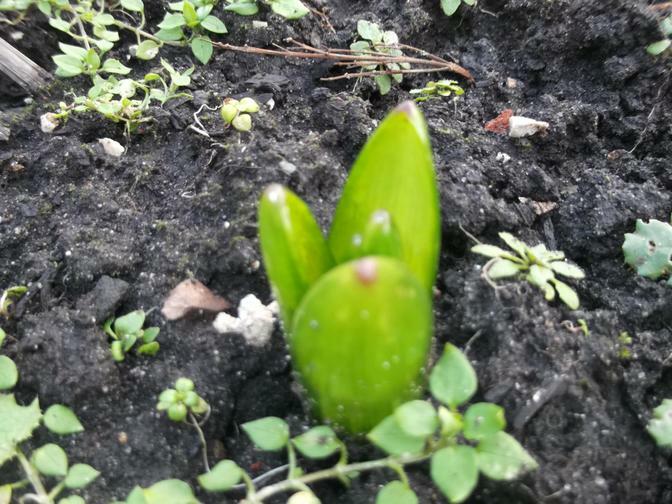 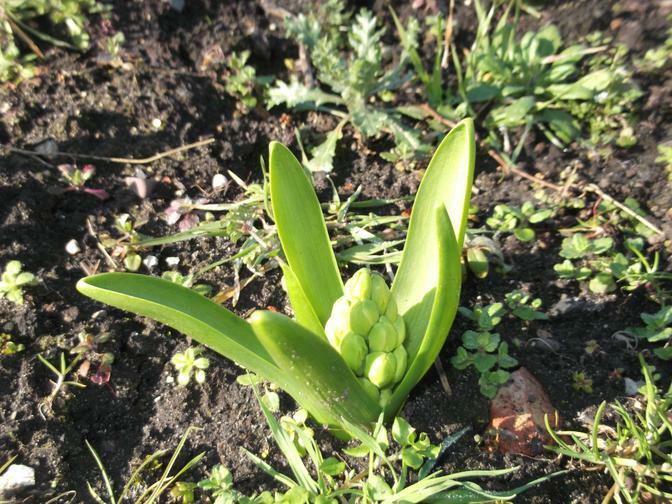 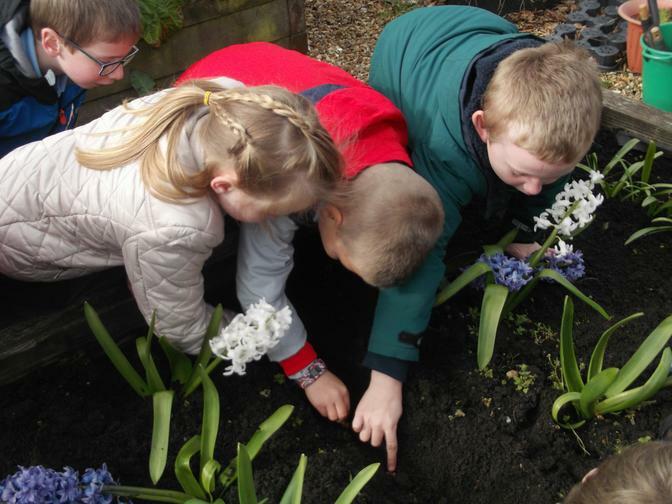 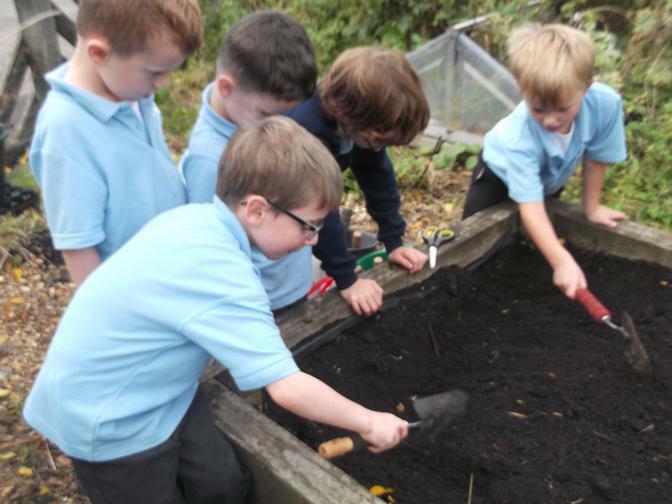 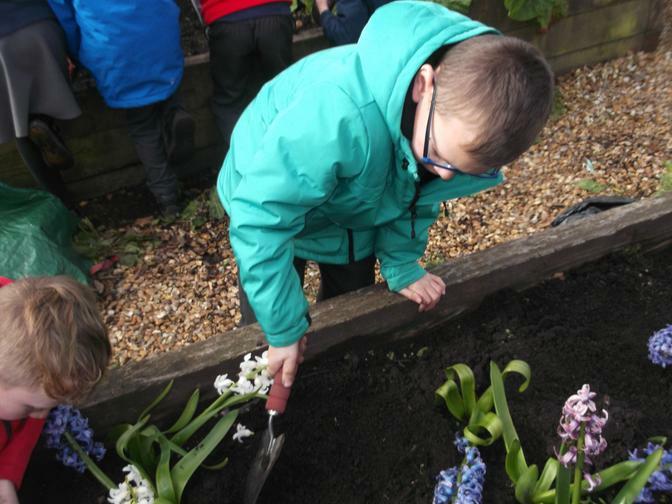 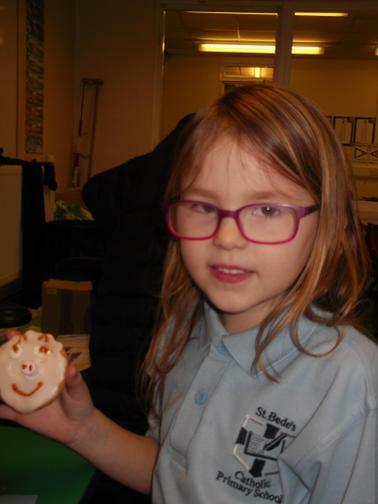 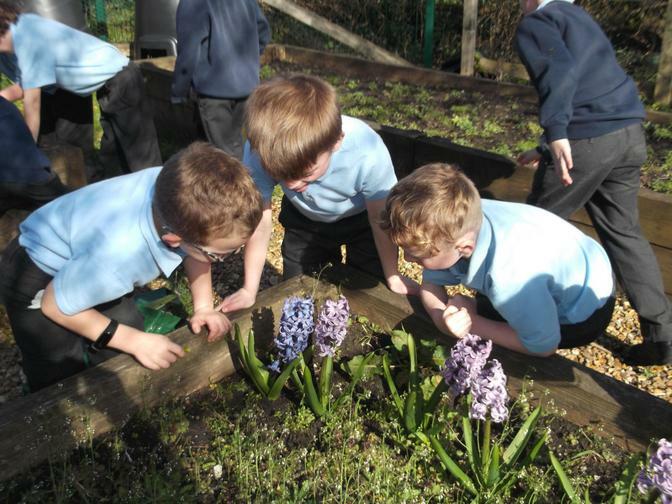 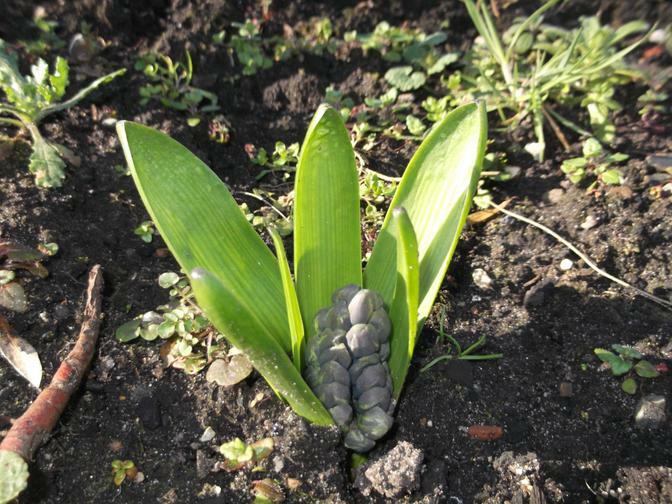 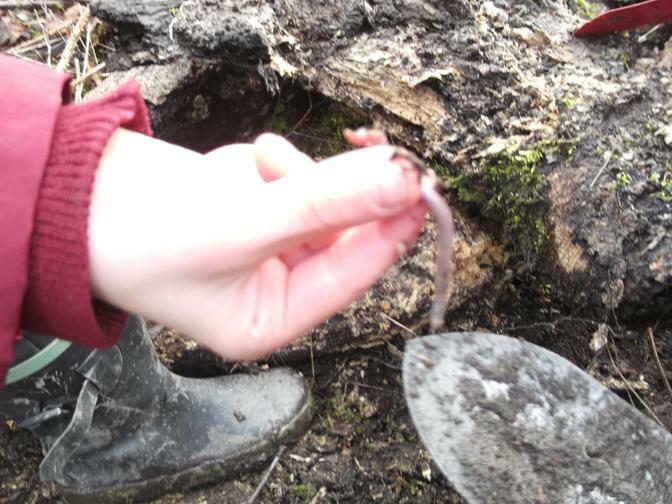 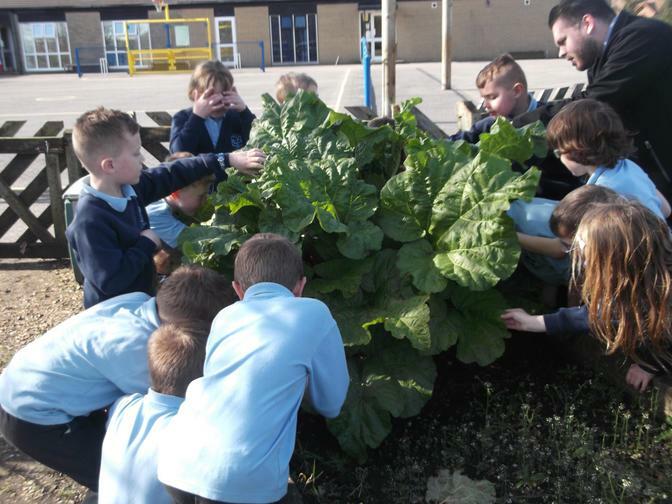 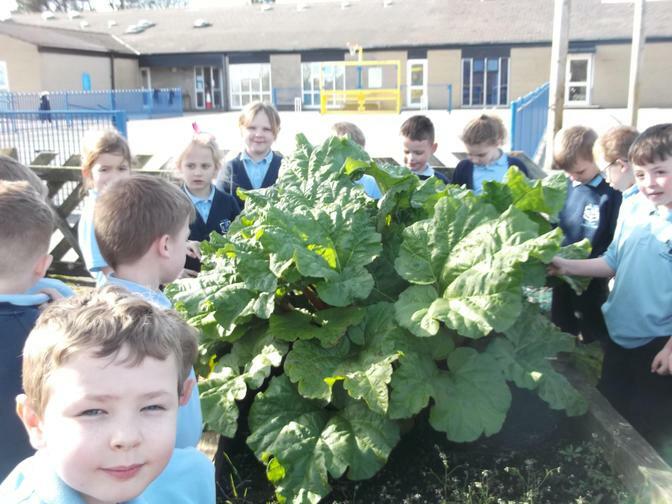 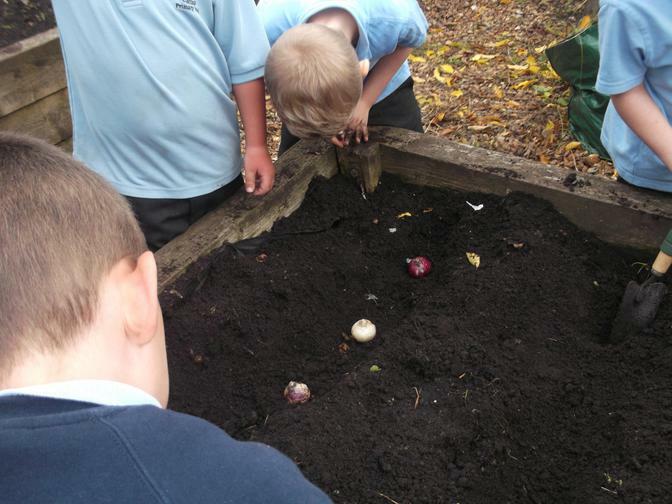 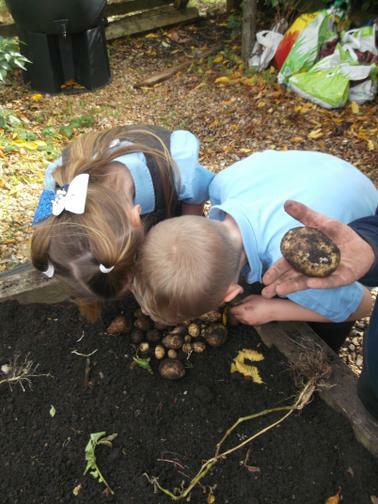 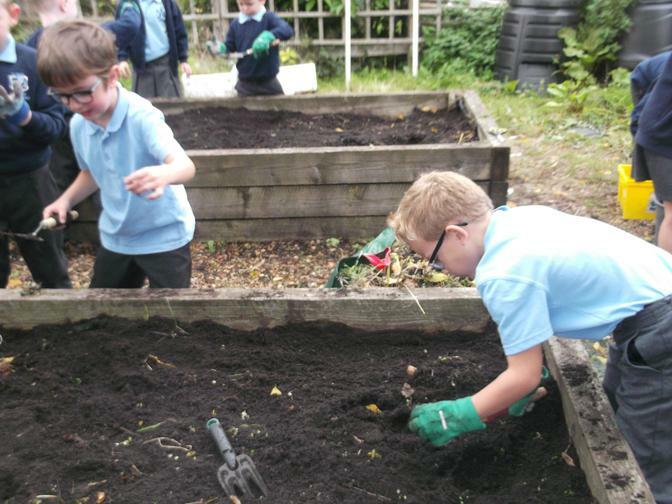 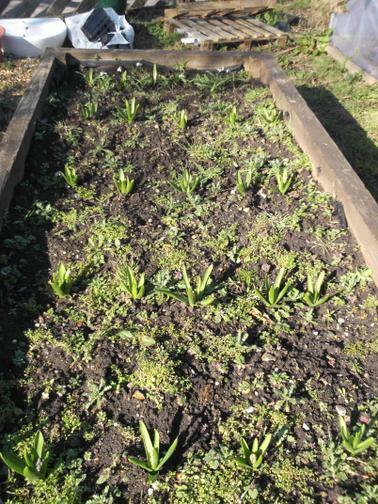 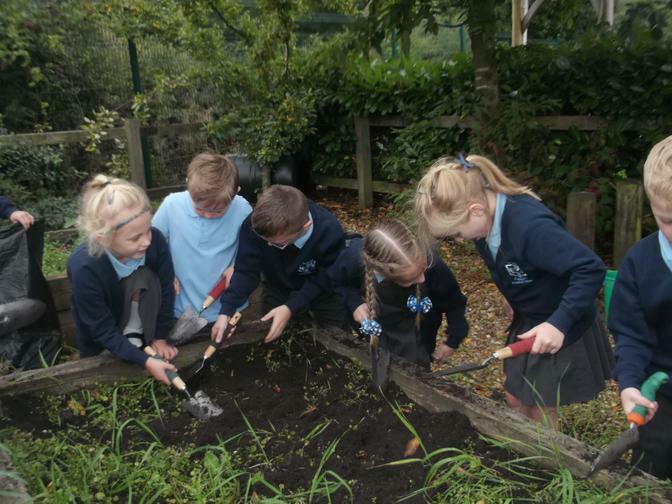 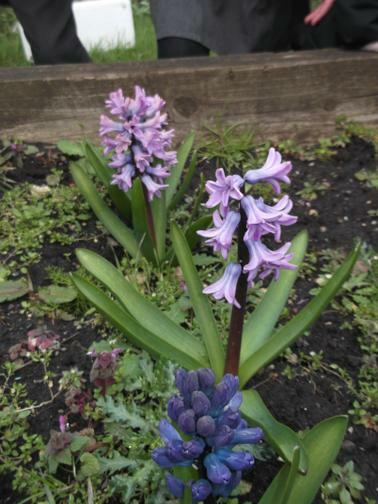 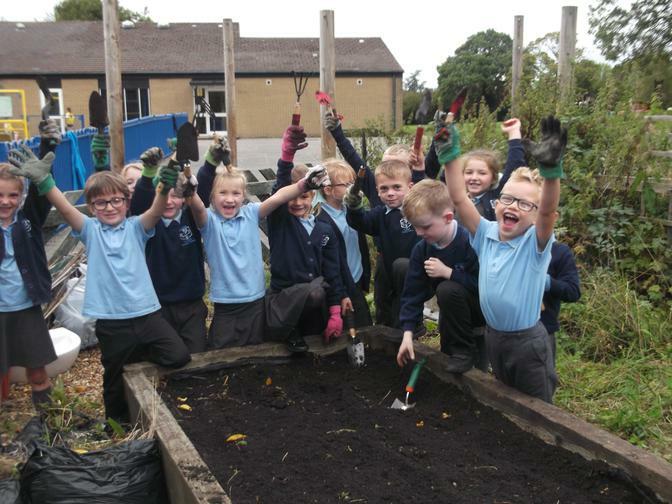 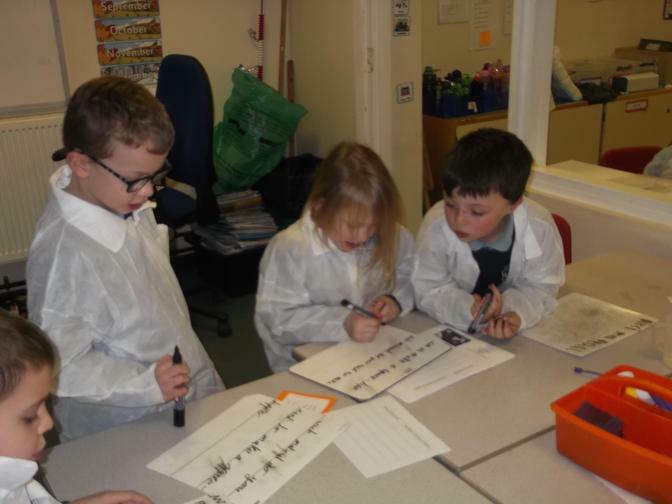 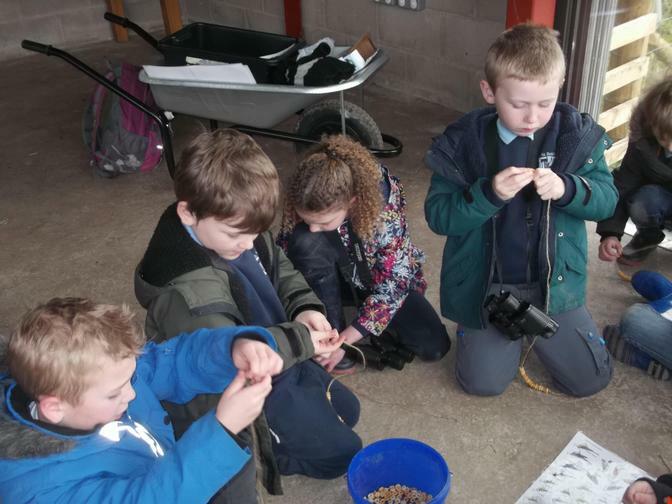 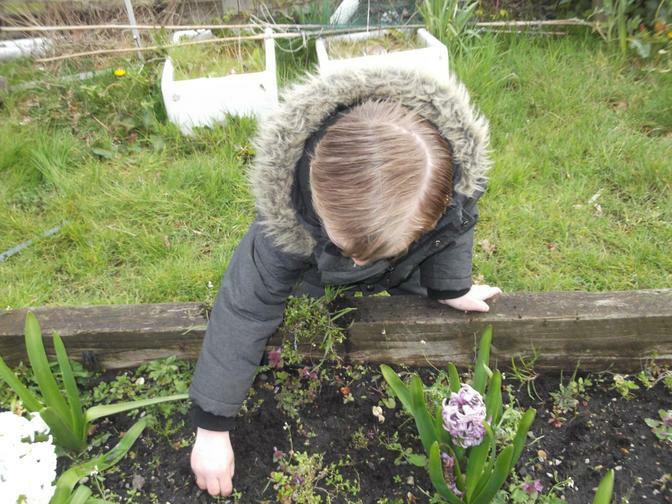 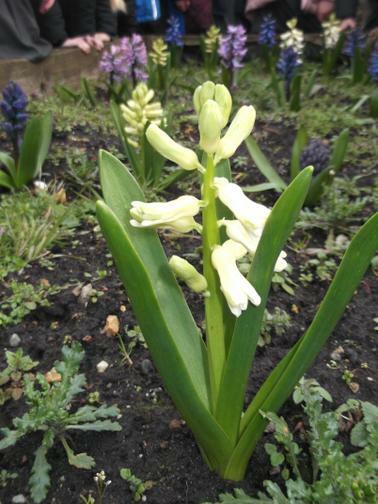 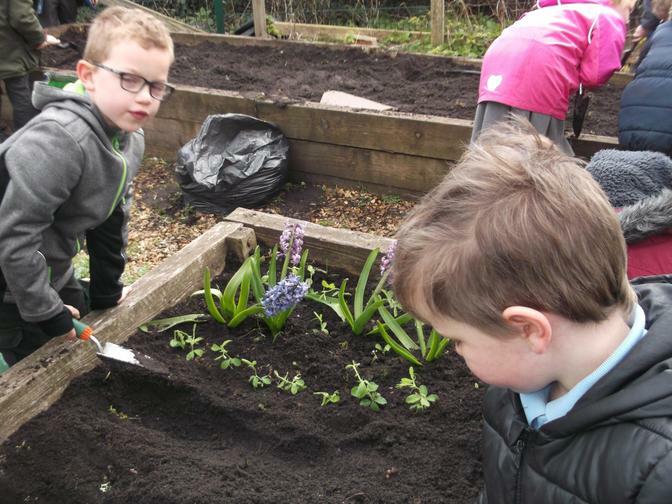 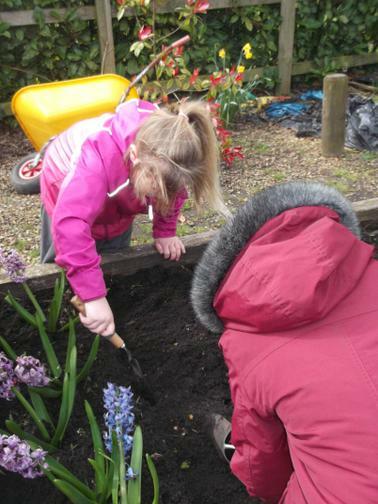 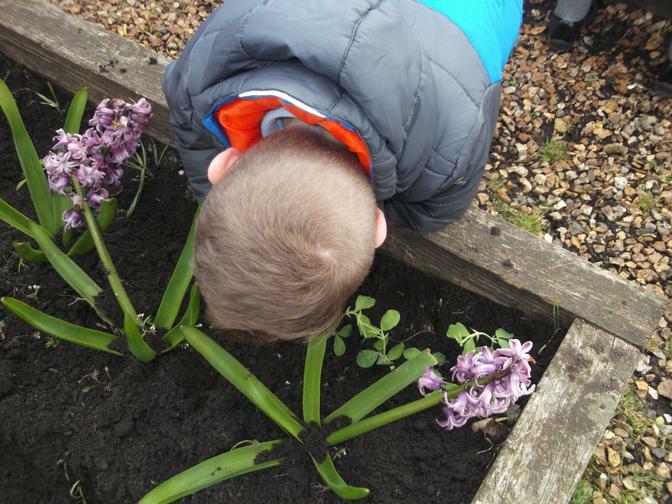 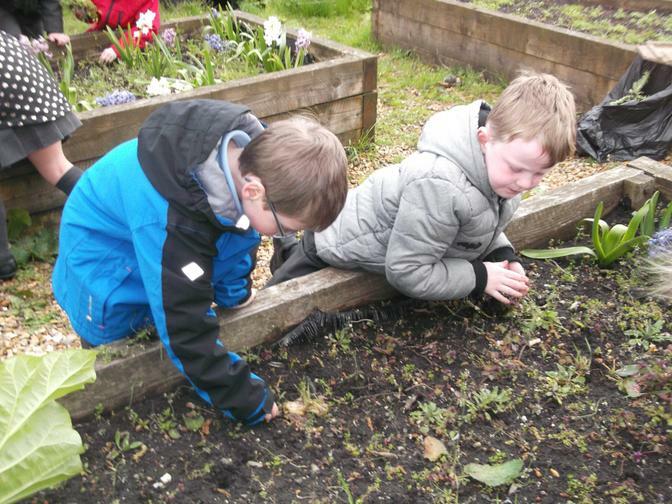 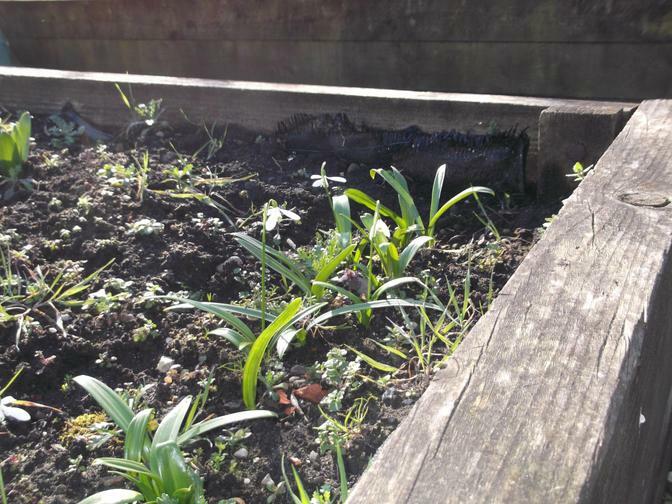 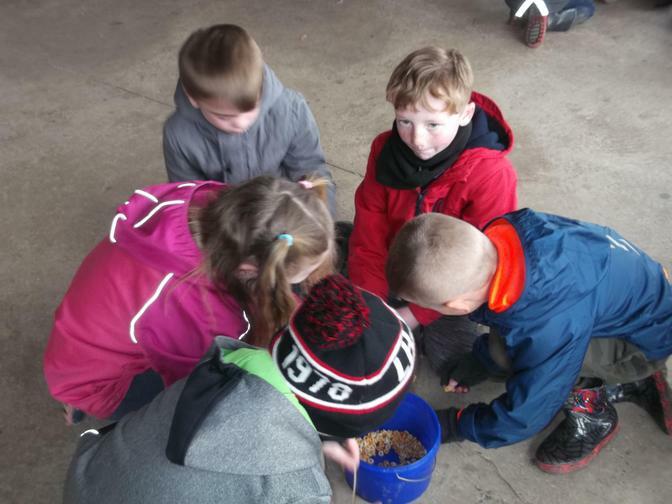 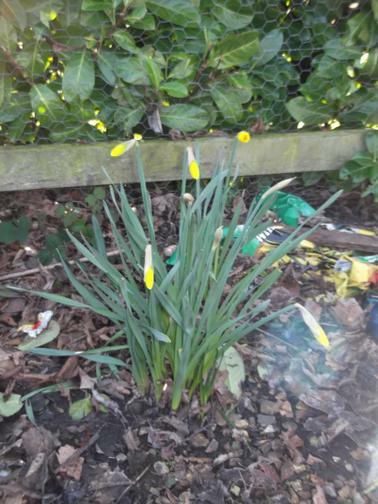 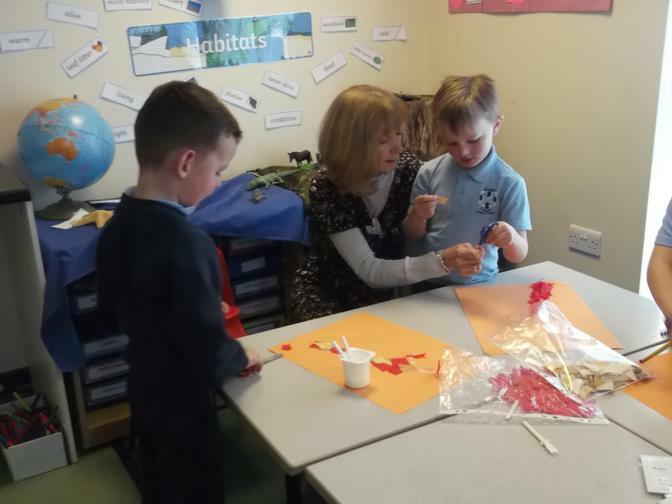 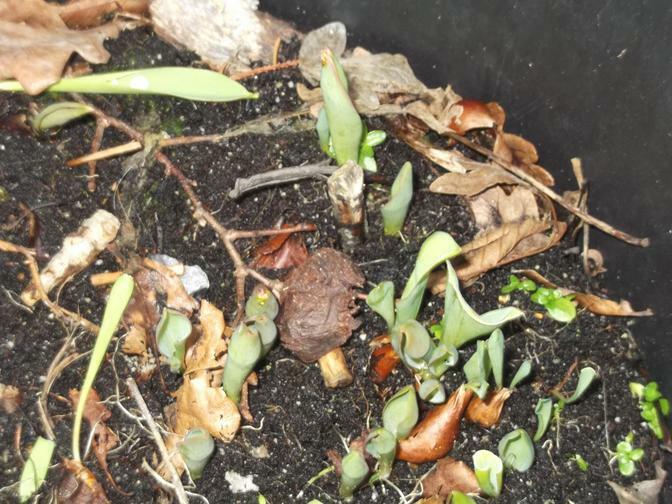 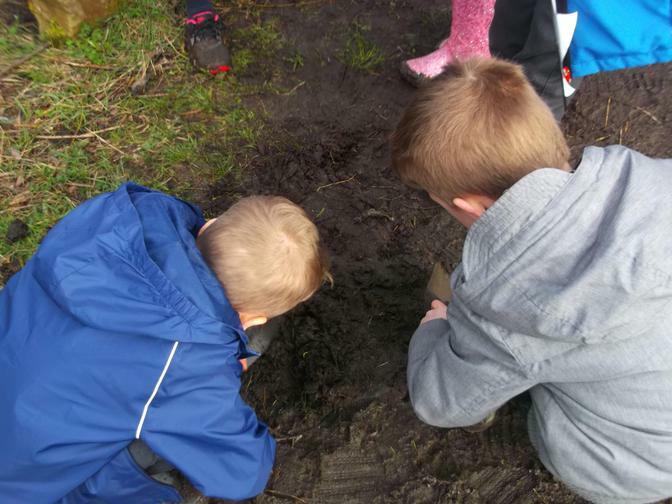 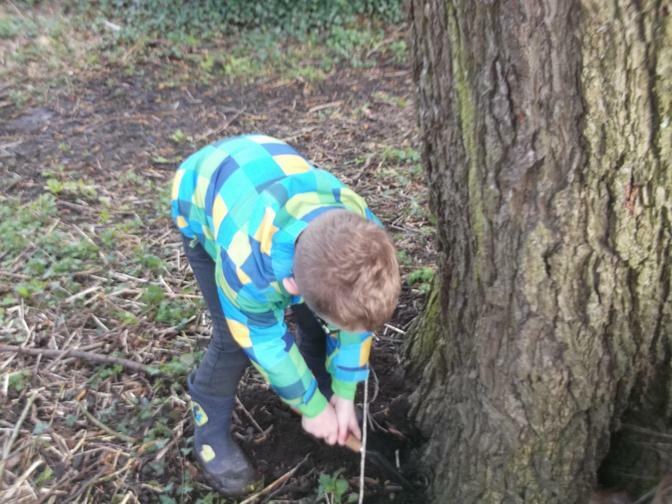 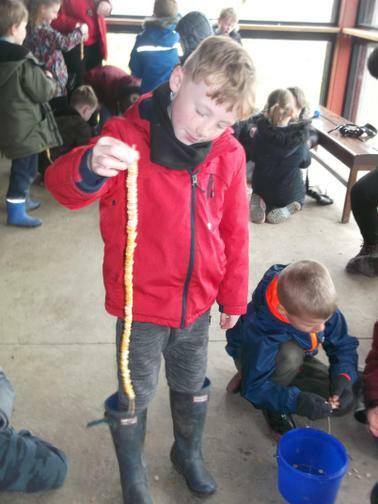 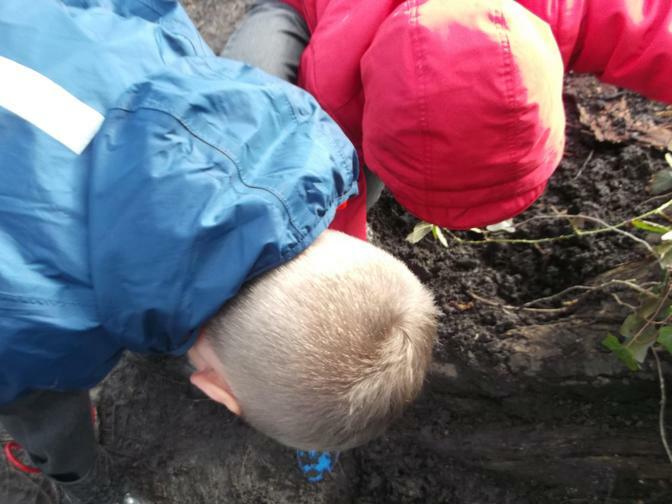 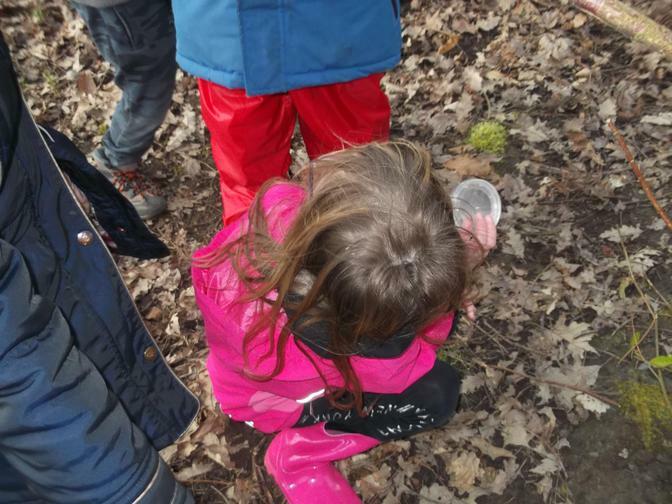 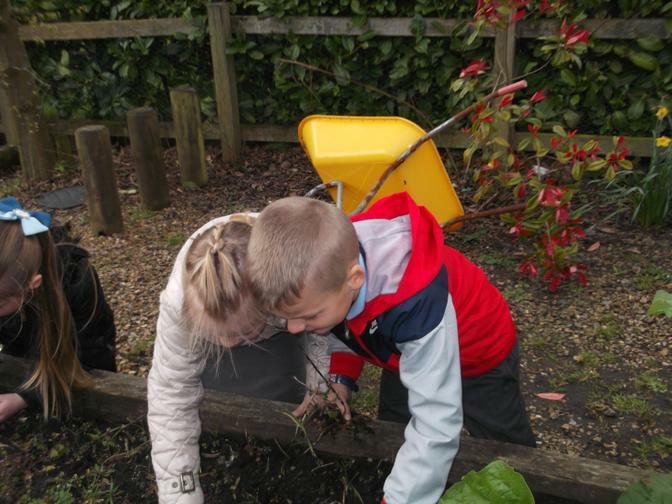 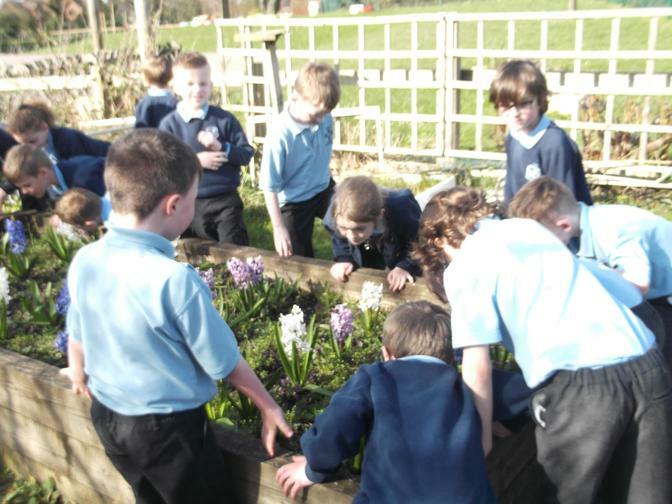 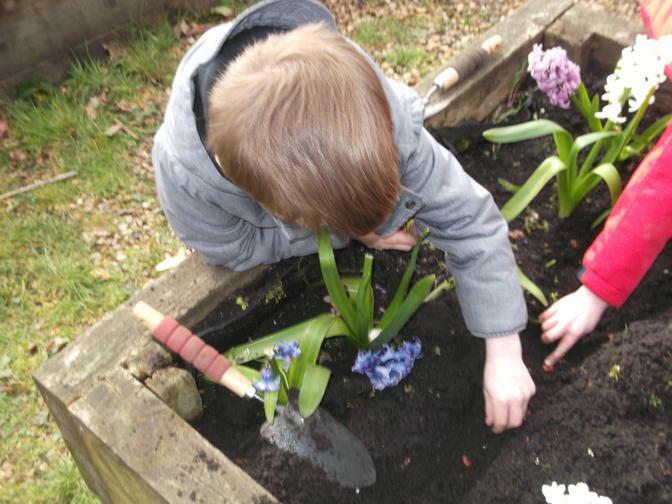 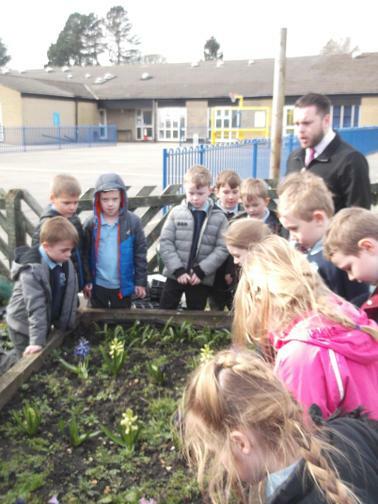 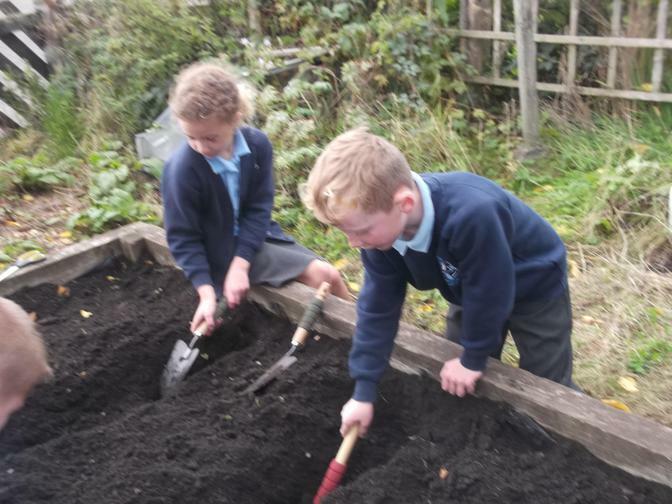 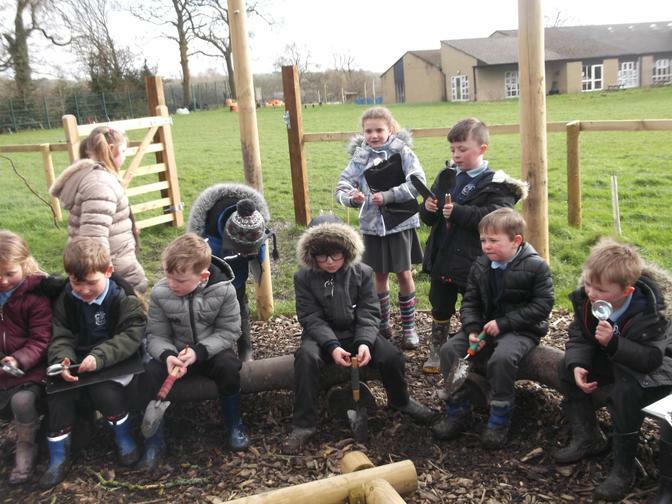 March 2019 - during science week, we discovered that our hyacinth bulbs had been planted into a suitable habitat to grow into flowering plants. 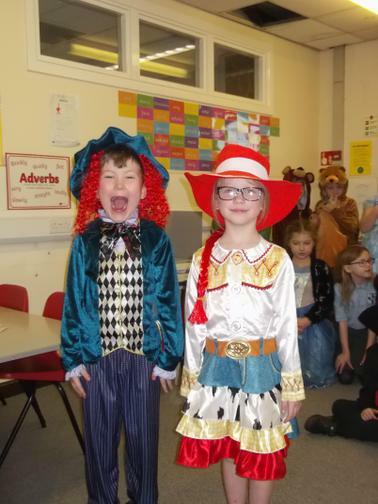 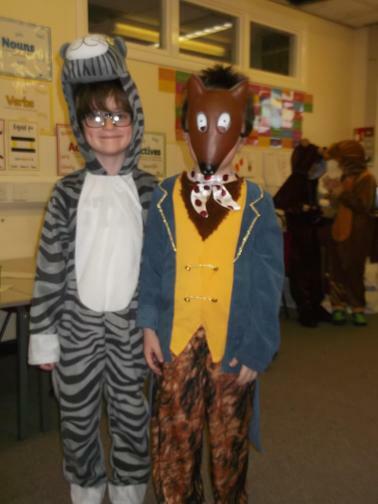 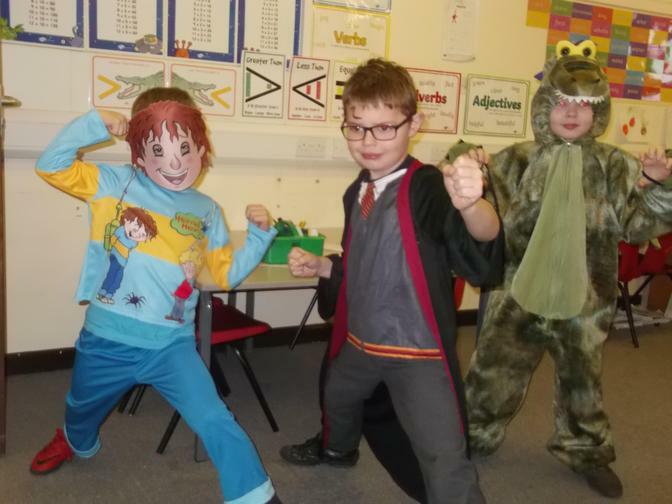 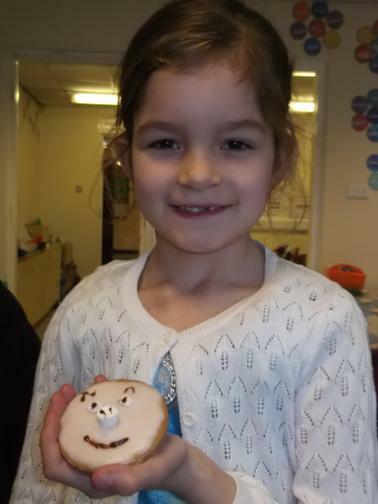 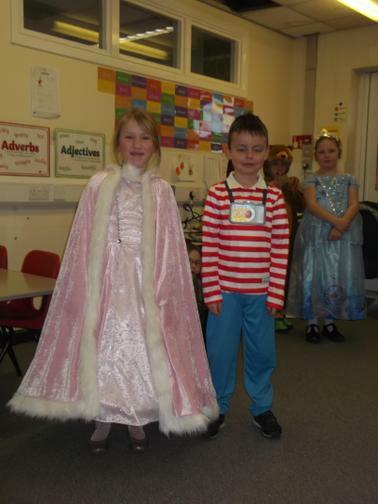 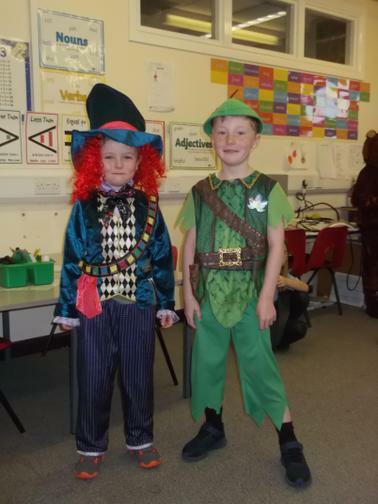 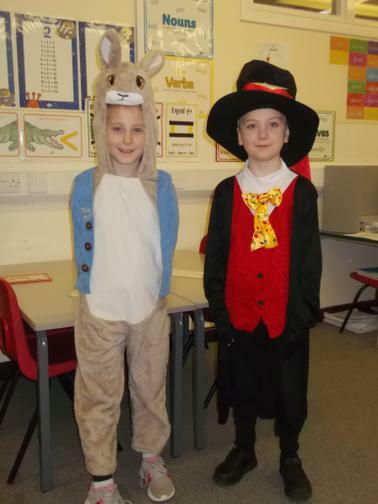 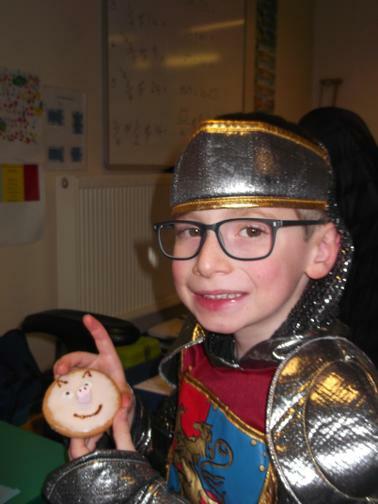 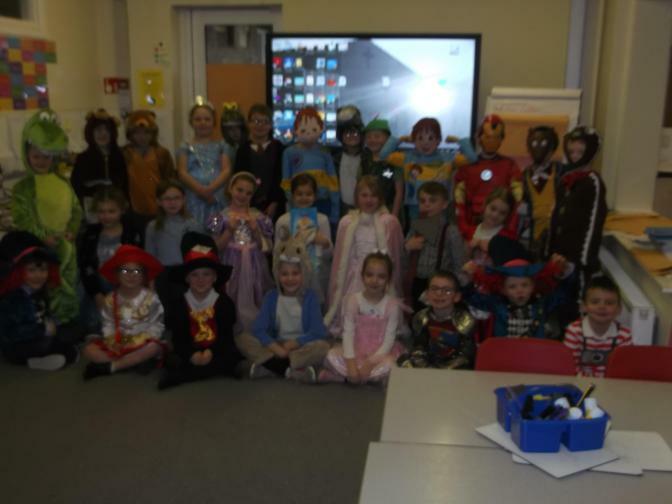 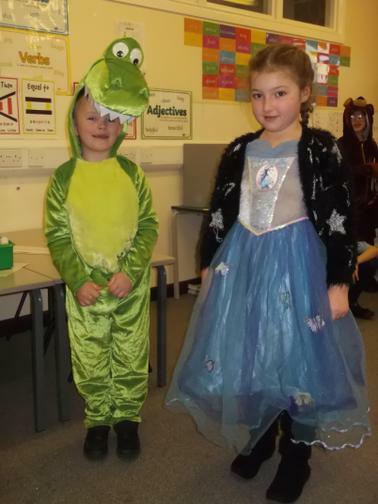 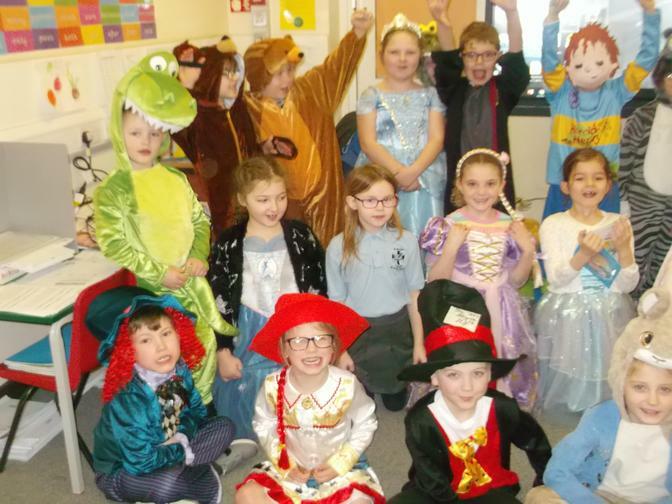 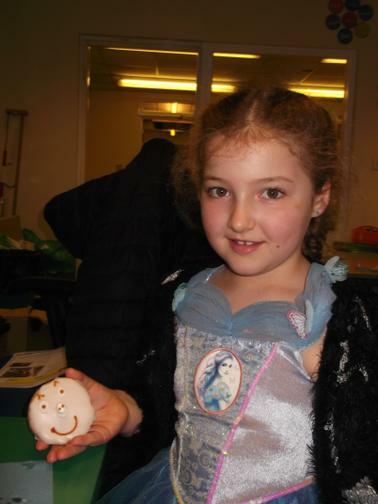 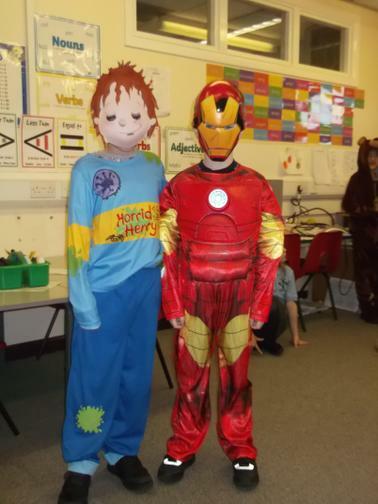 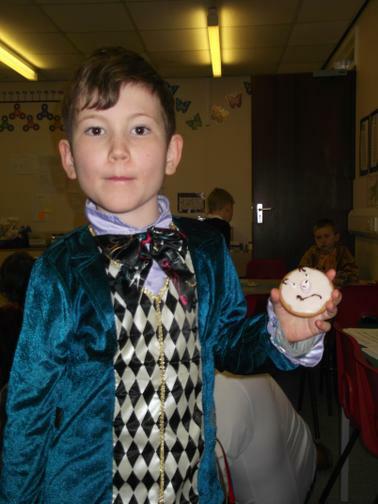 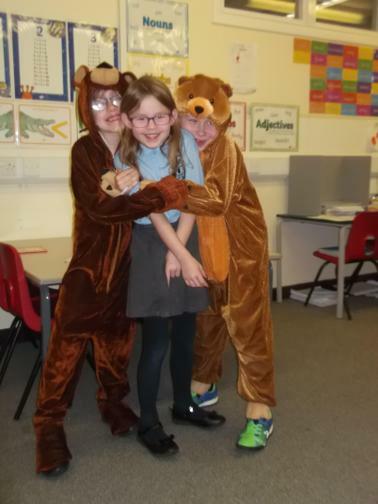 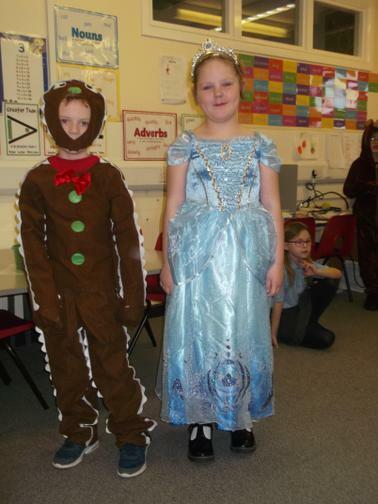 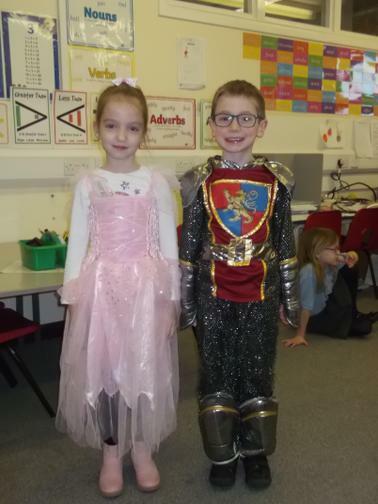 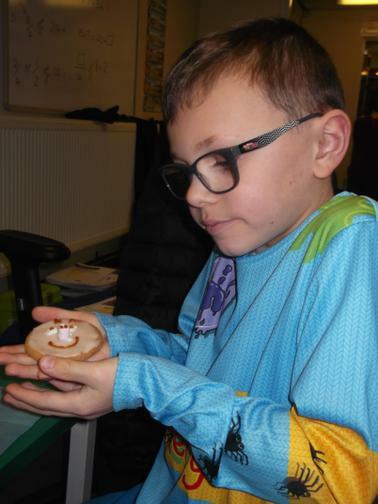 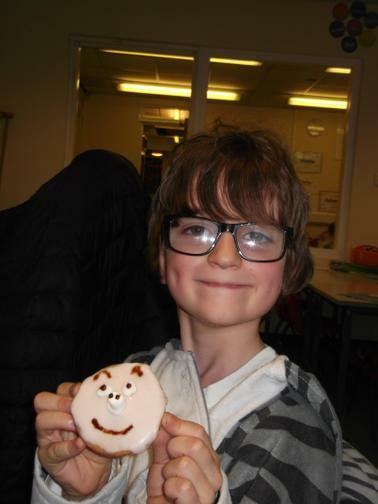 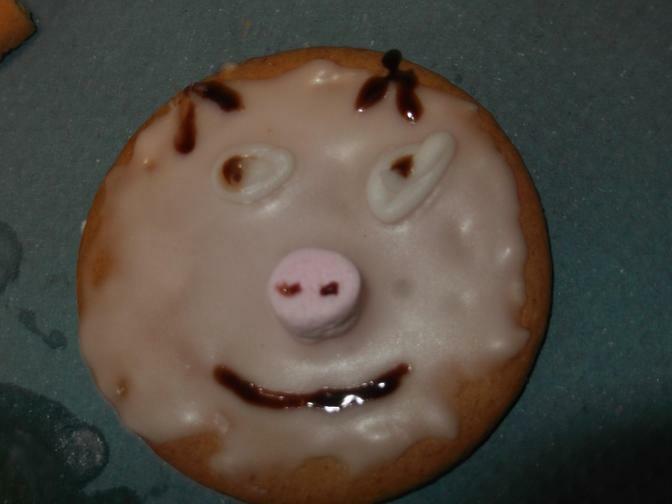 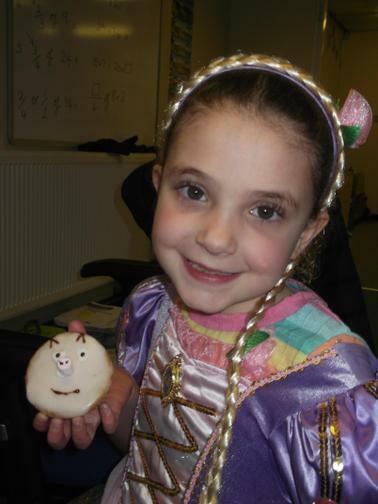 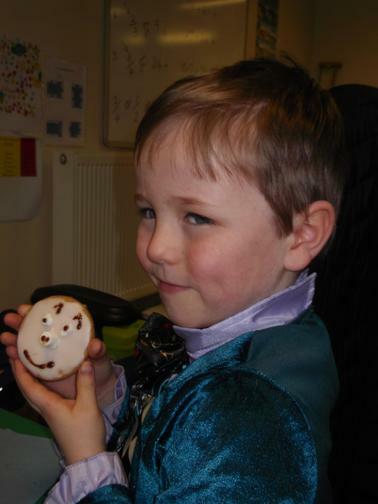 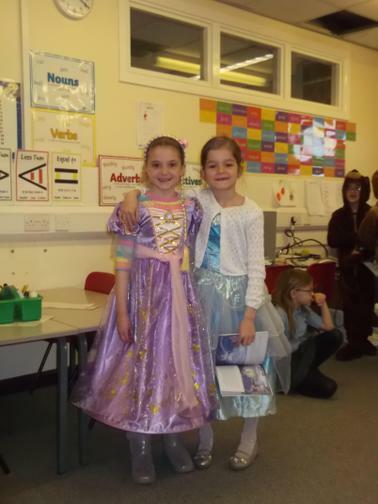 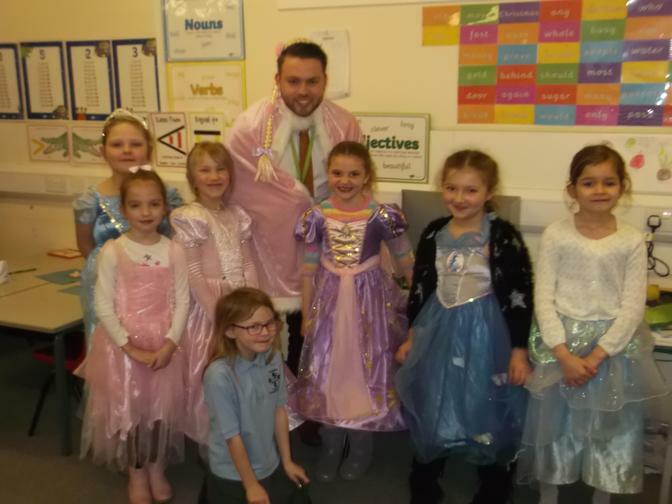 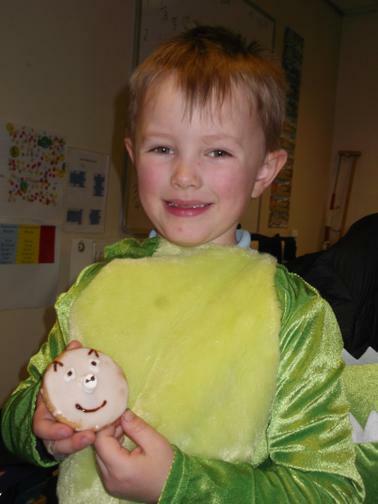 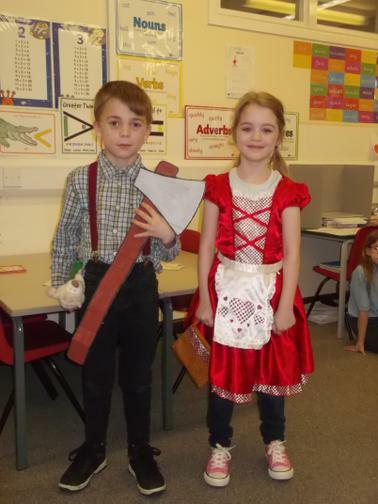 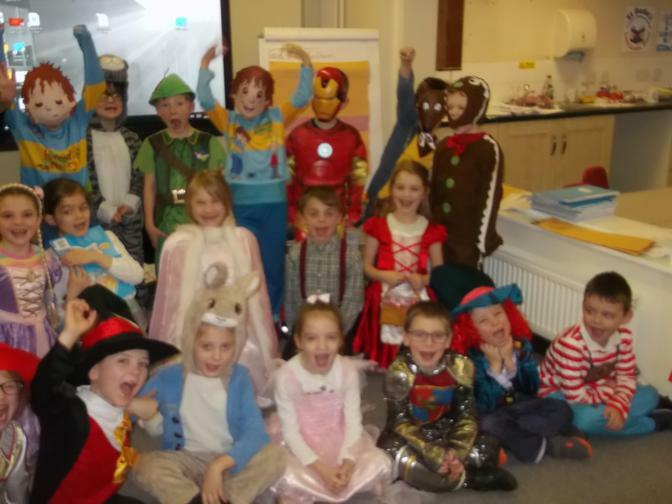 World Book Day 2019 with a fairy tale theme. 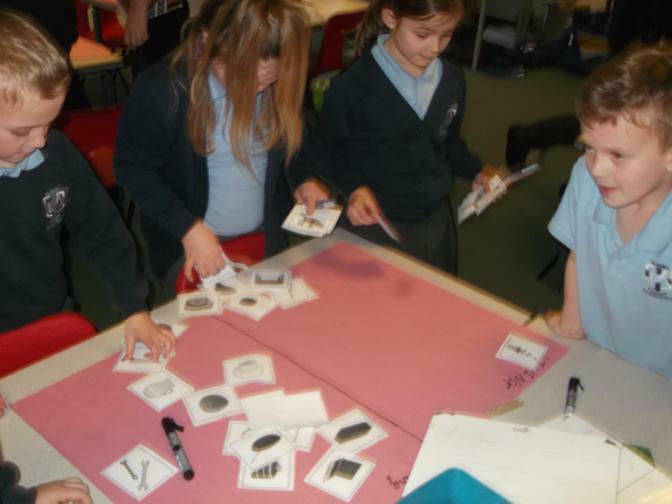 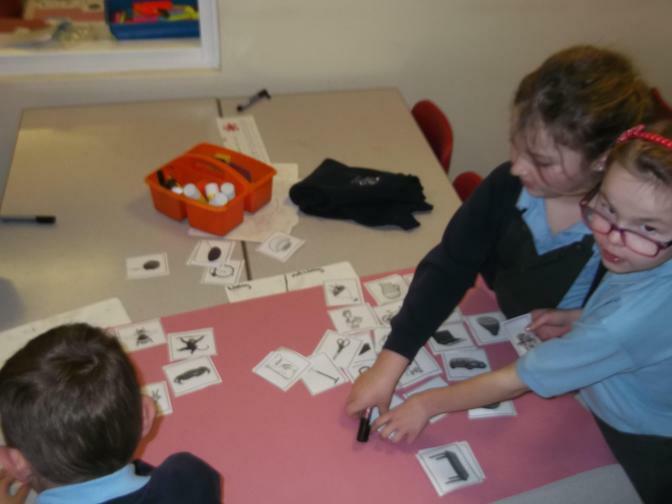 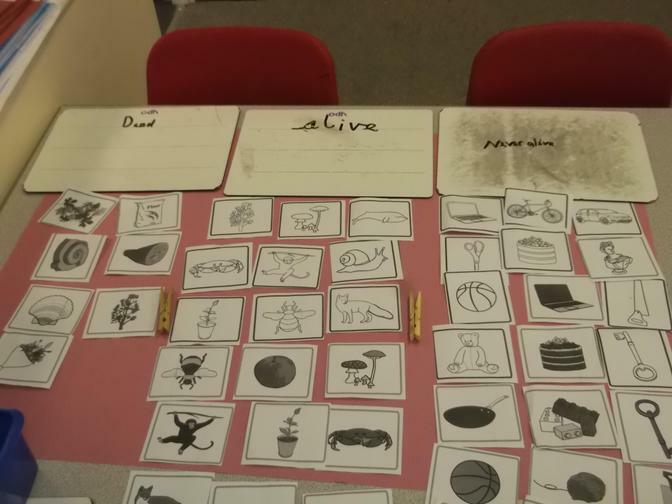 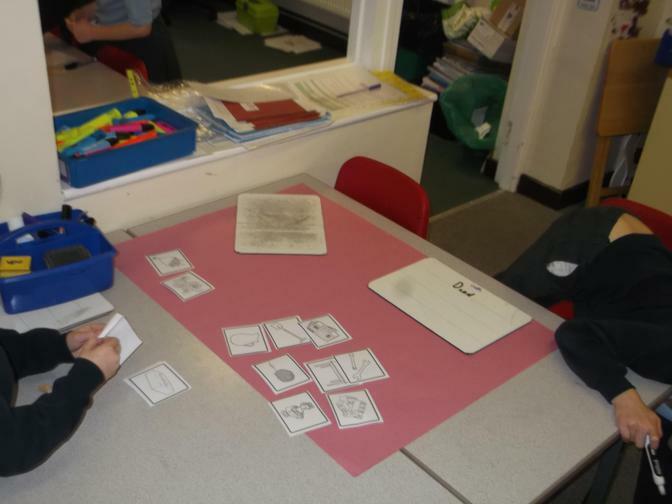 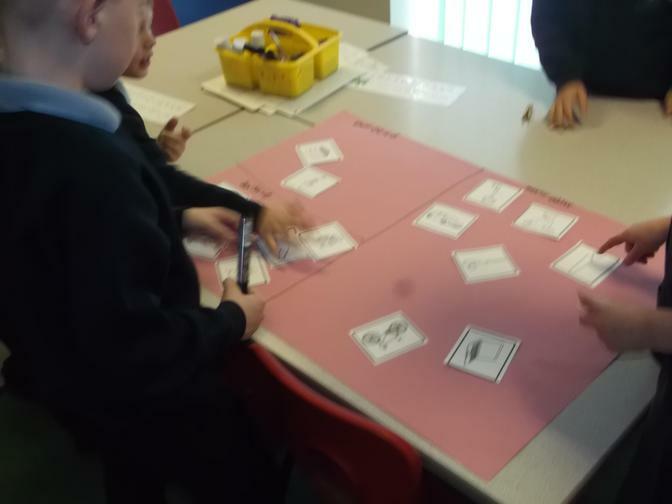 Science - Living Things - Sorting and classifying into dead, alive or never been alive. 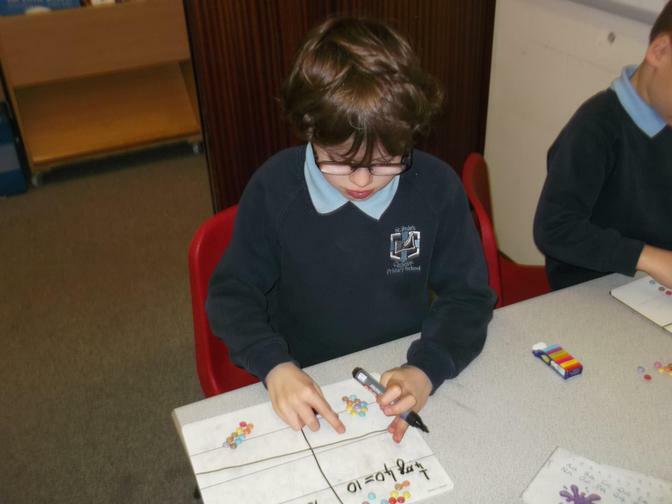 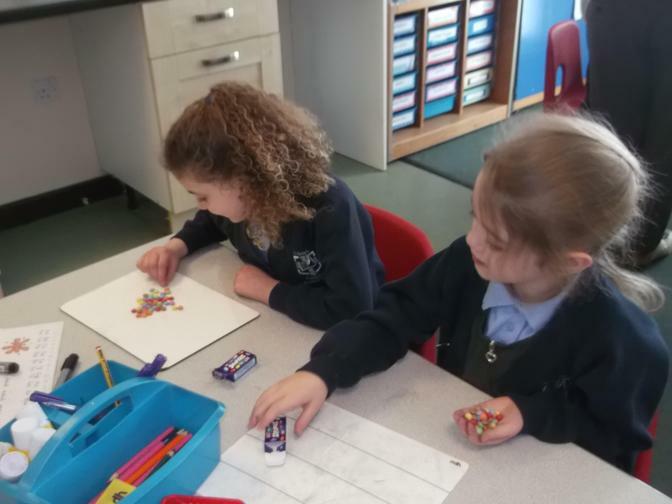 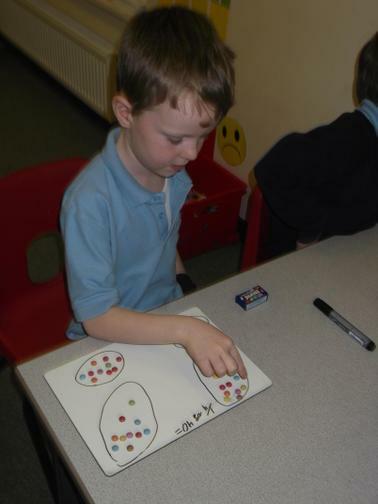 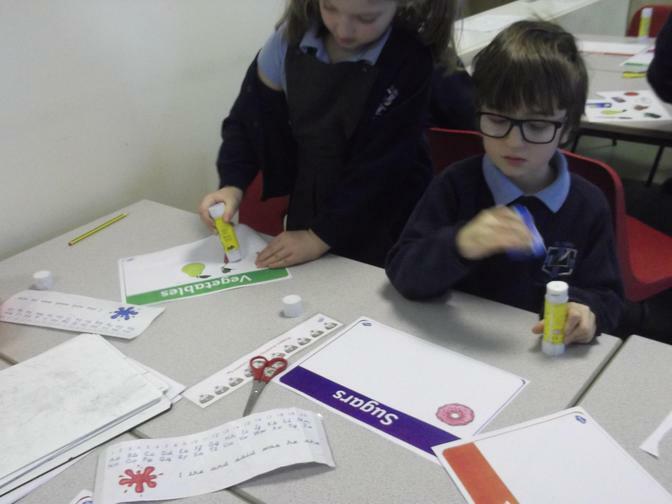 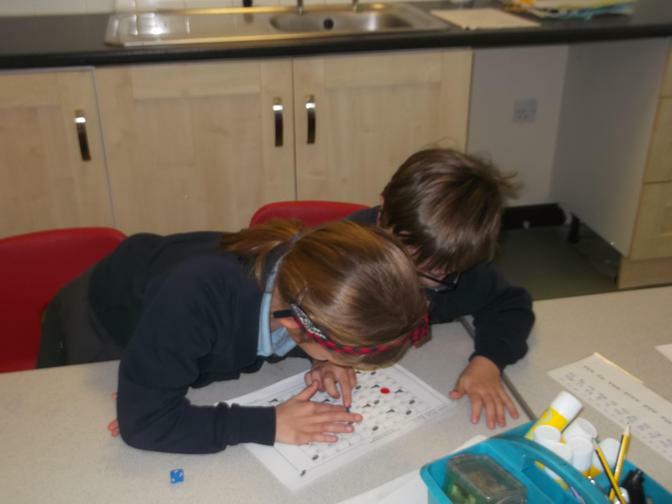 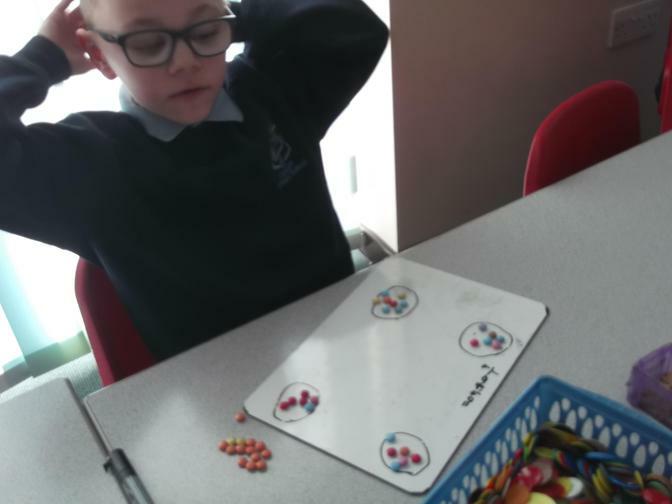 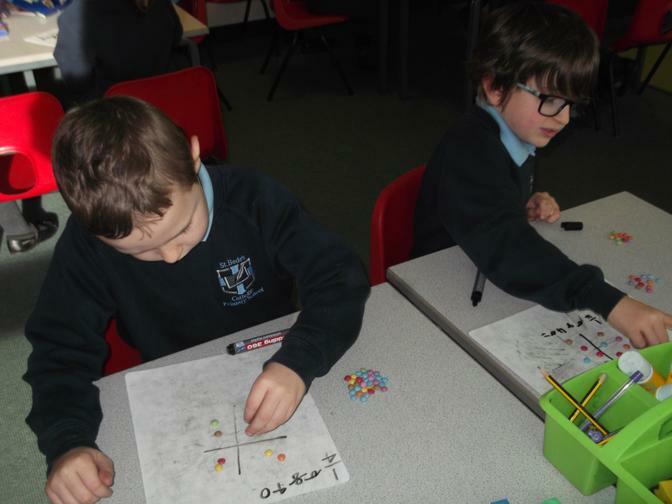 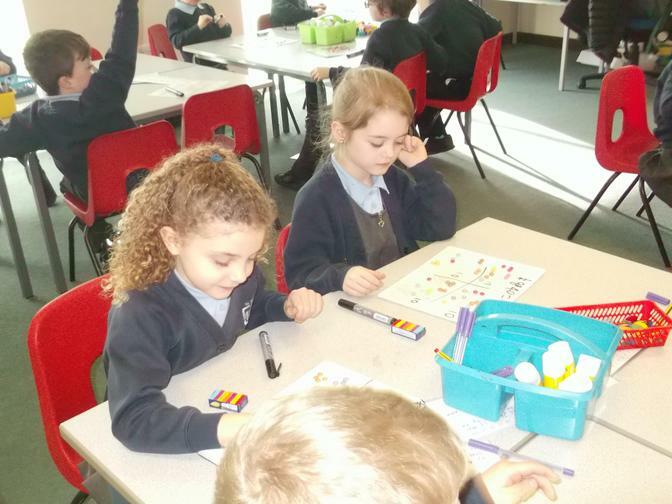 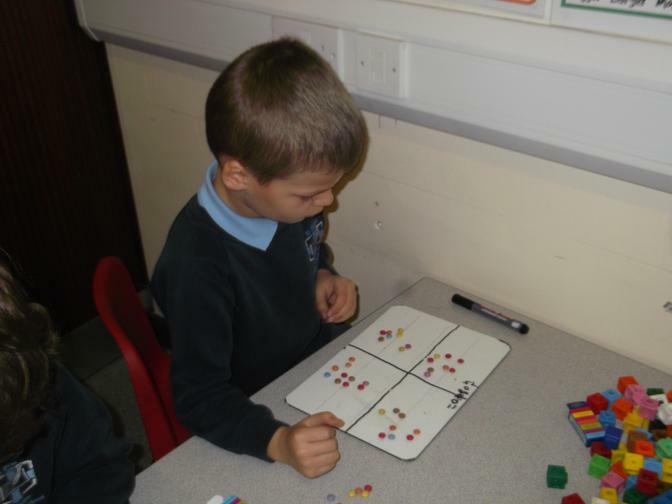 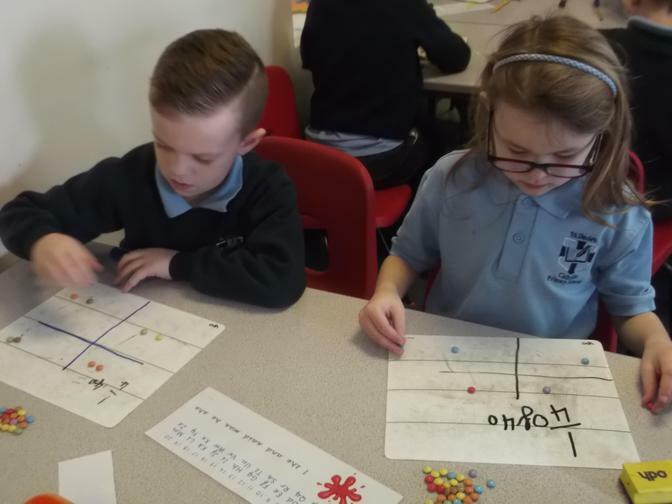 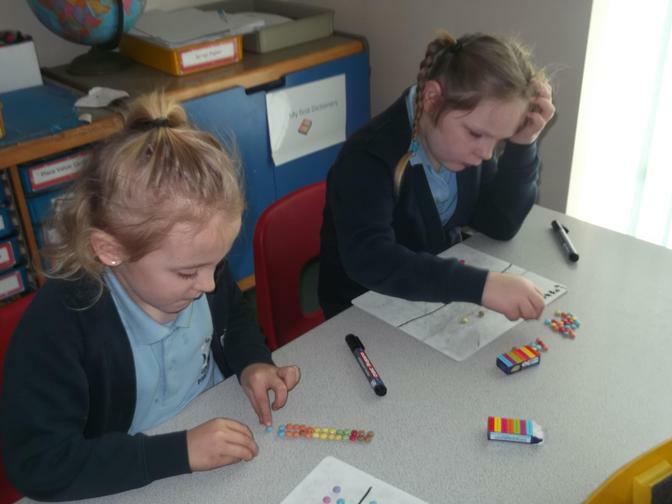 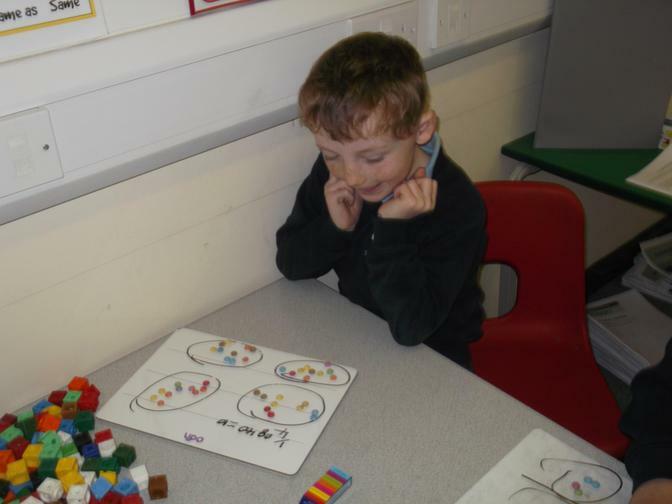 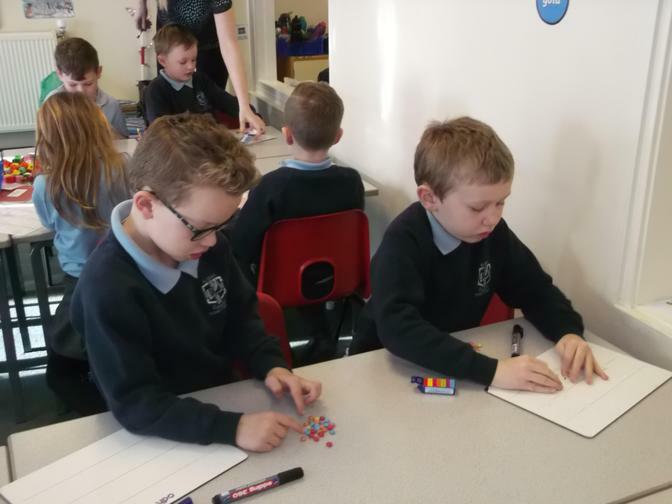 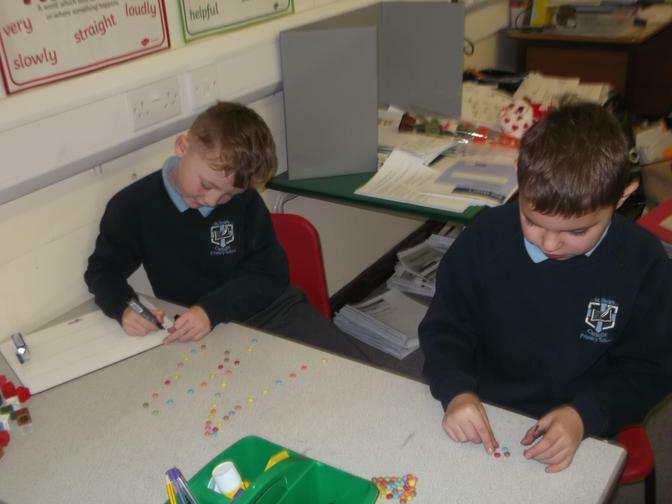 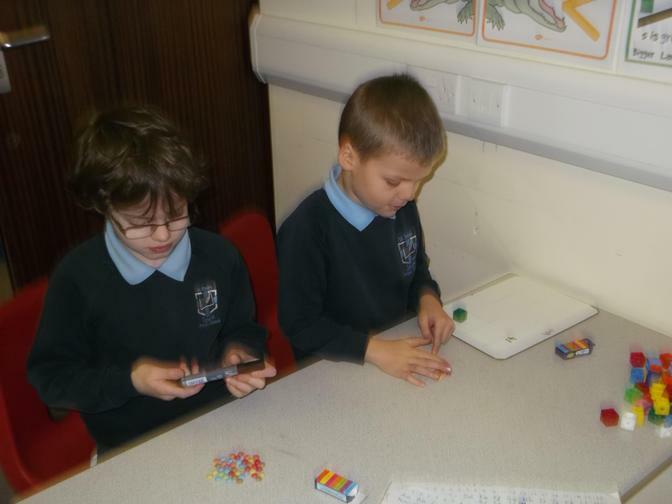 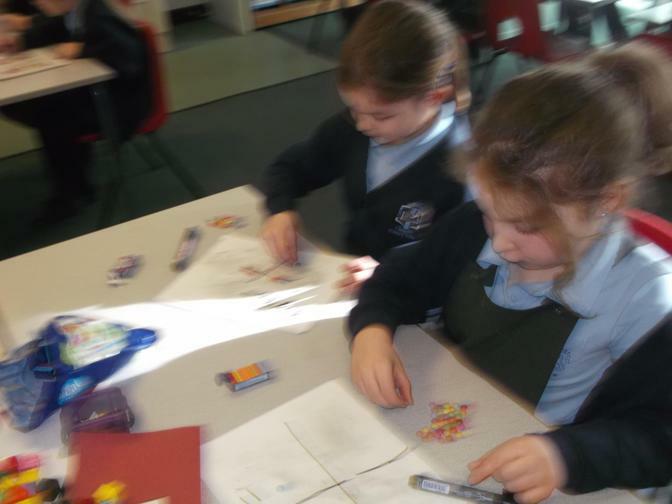 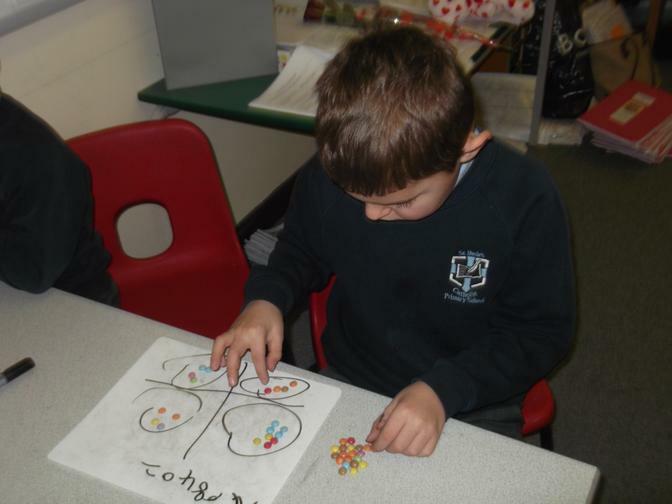 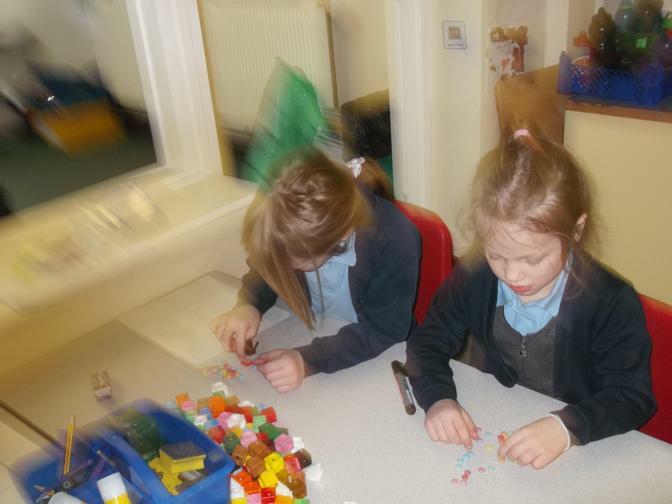 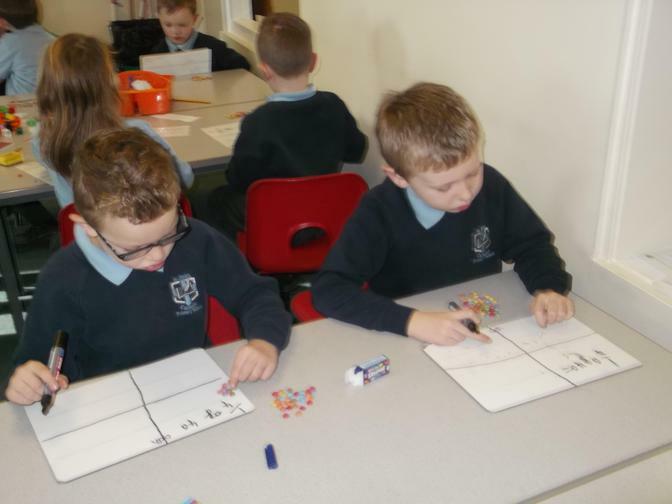 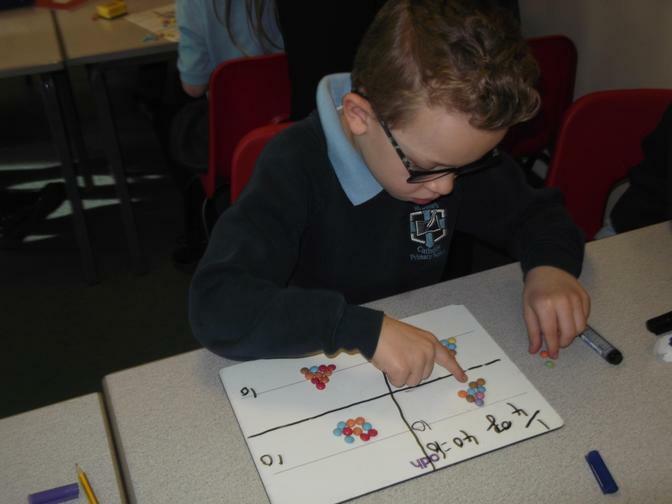 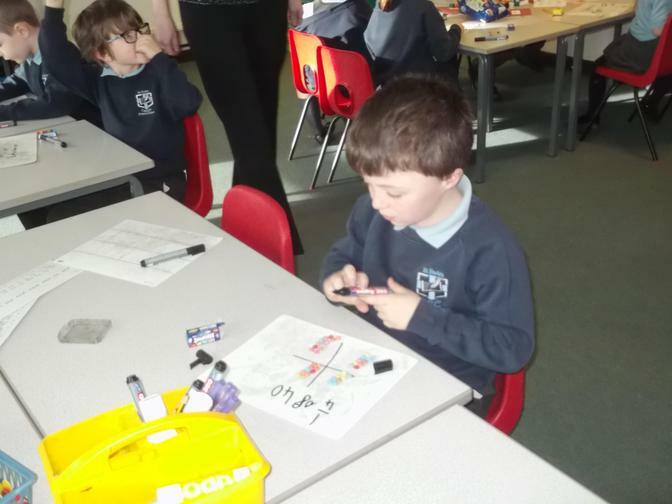 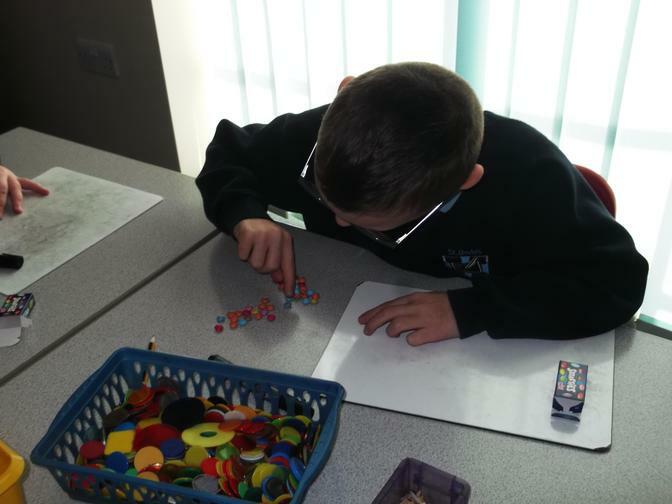 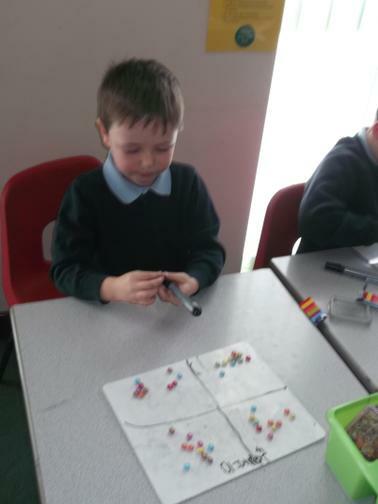 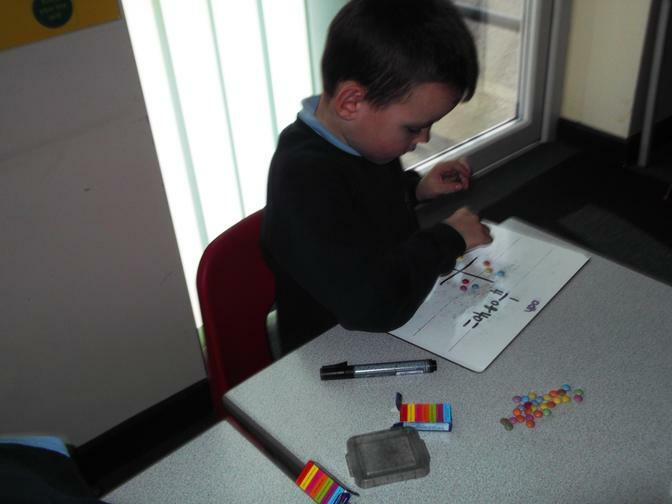 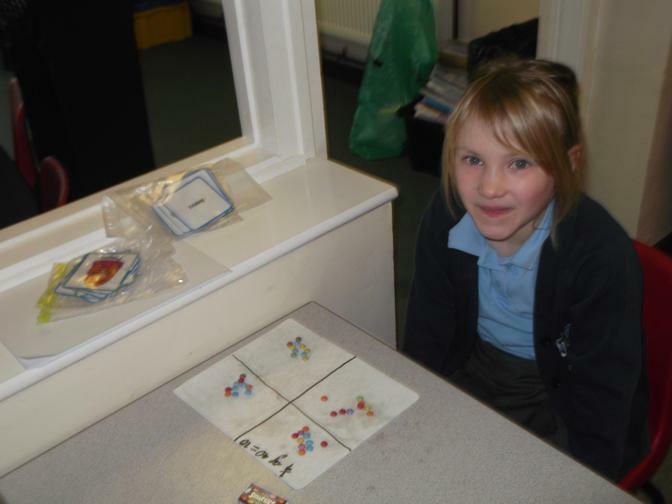 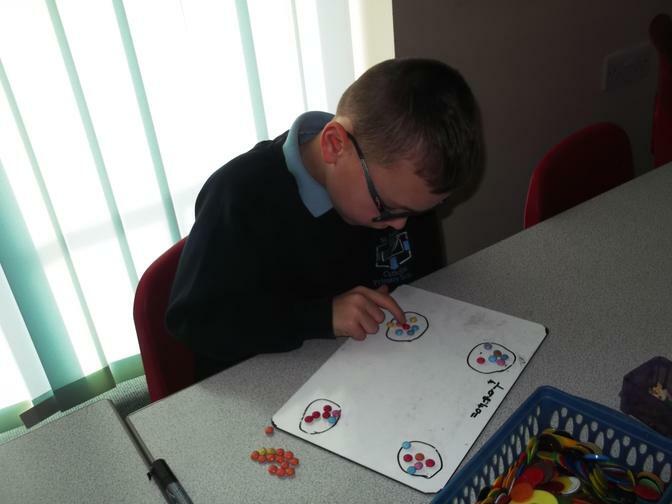 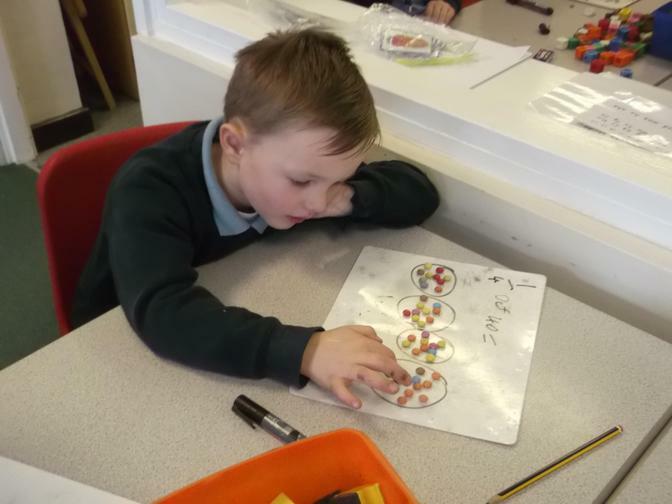 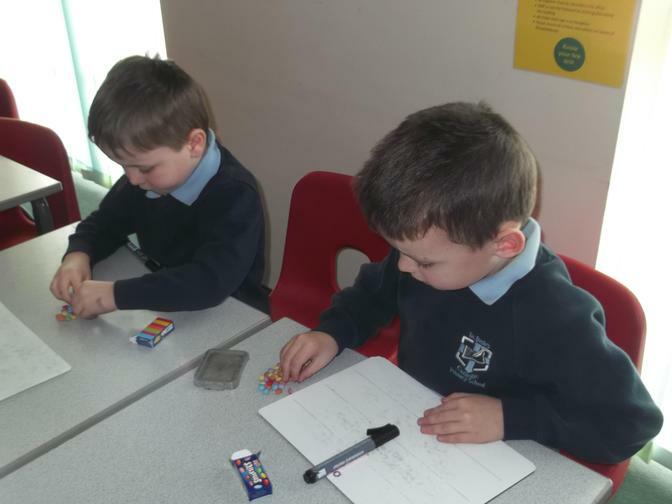 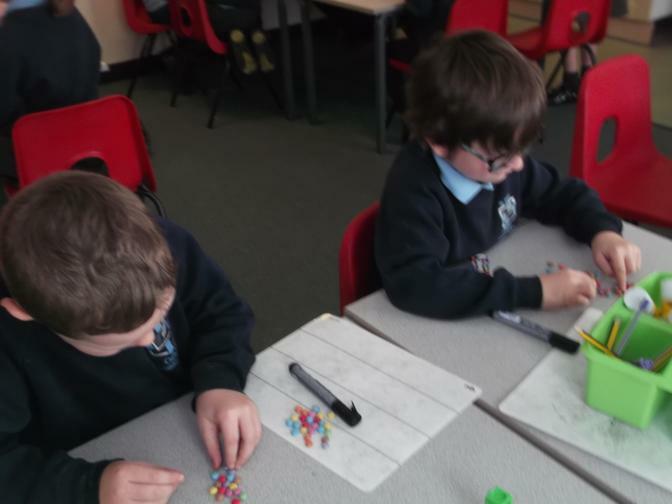 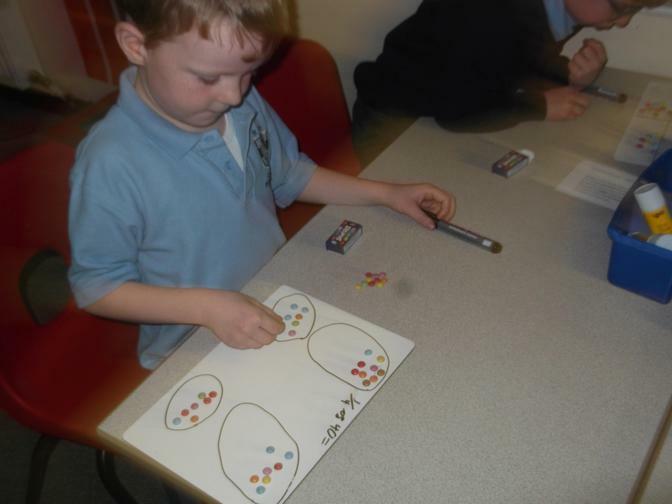 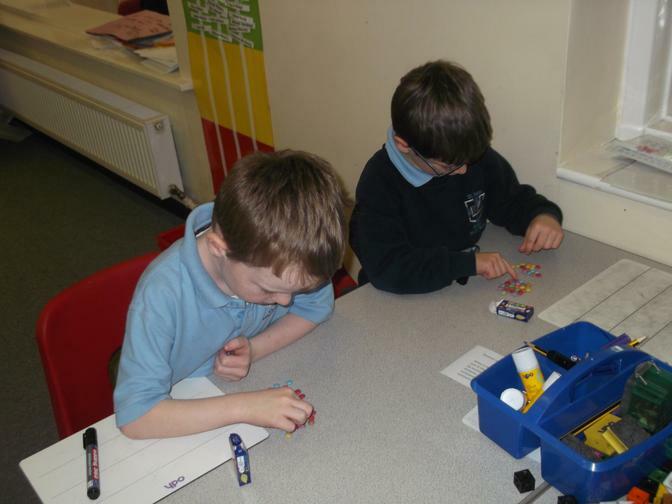 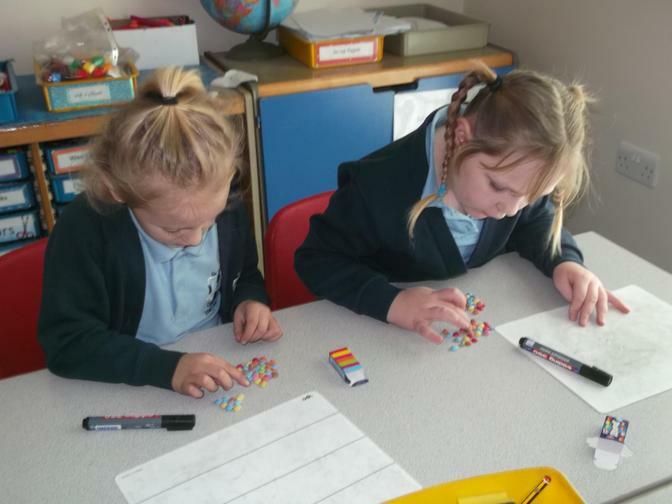 Using Smarties to find one quarter of an amount. 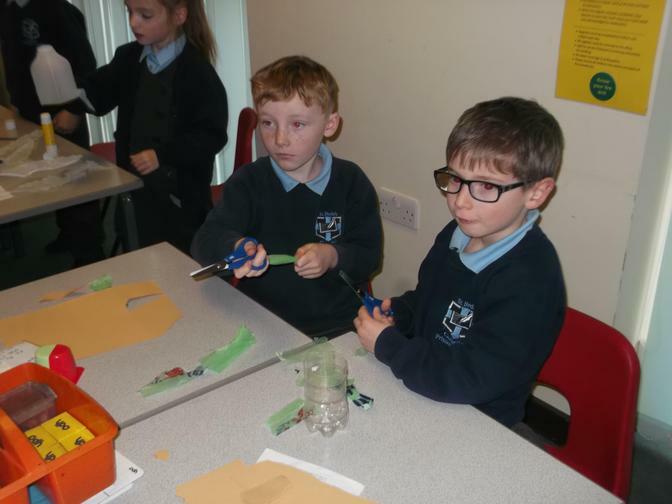 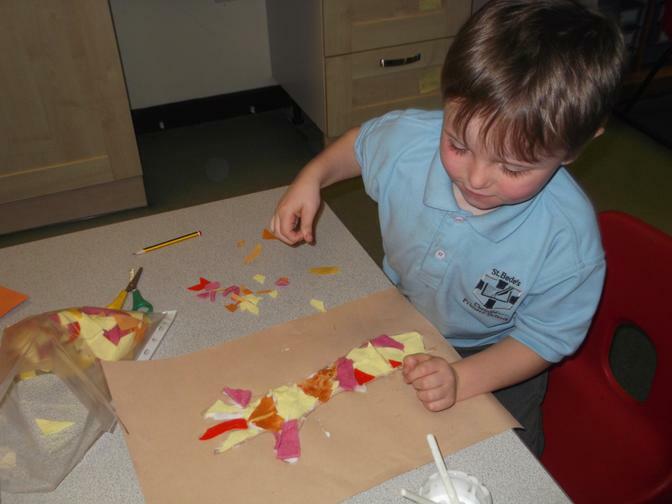 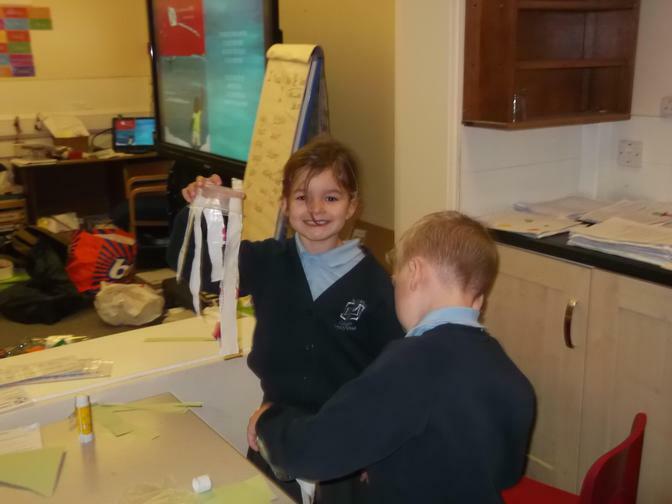 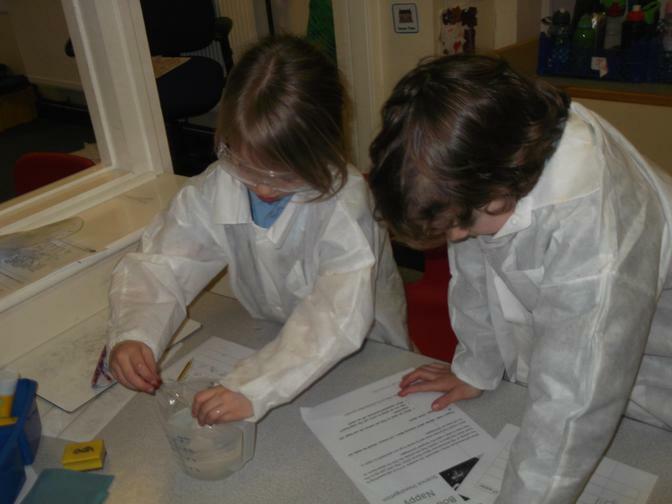 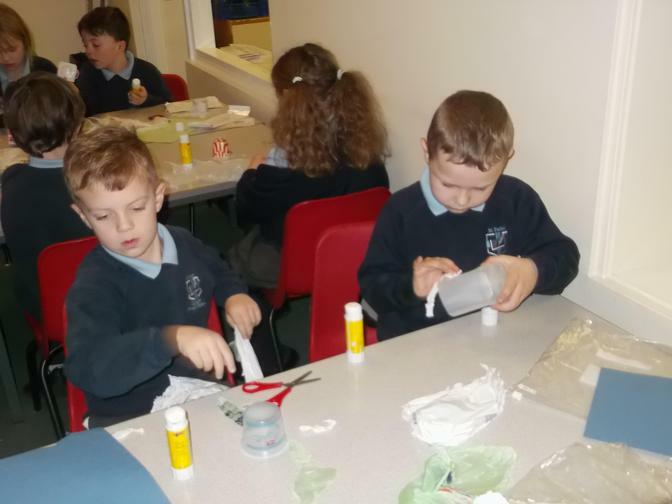 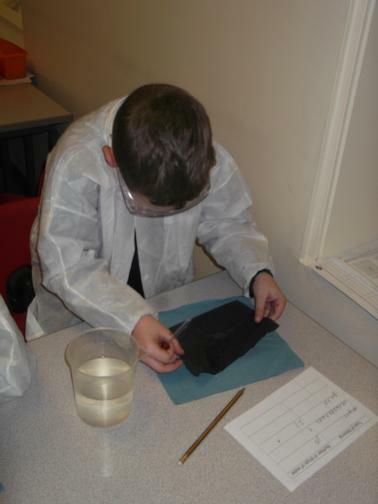 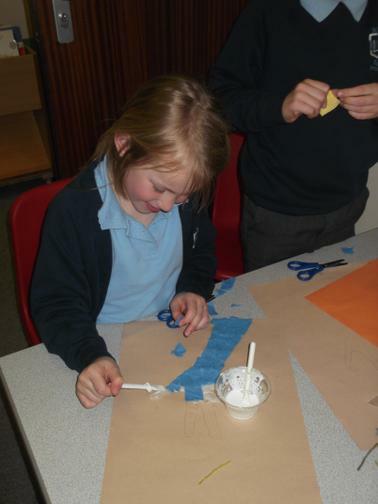 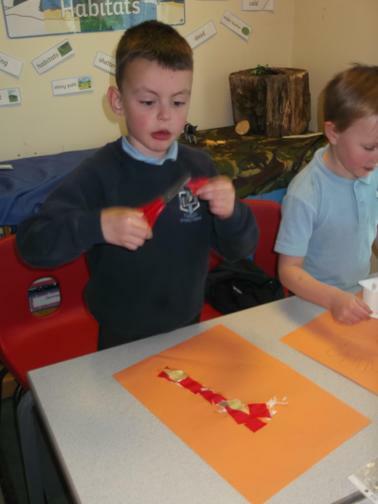 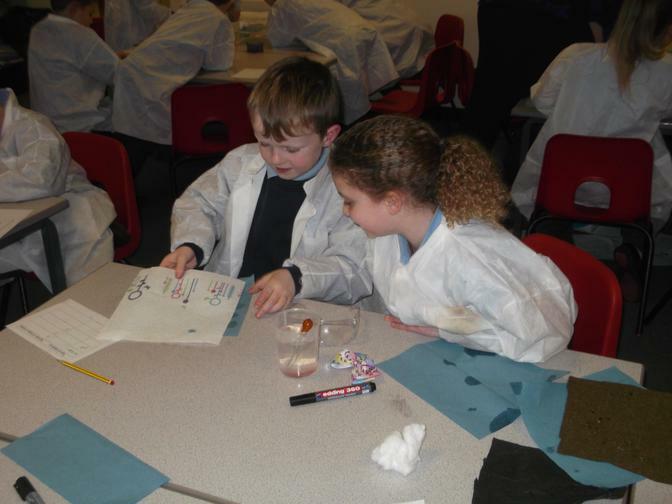 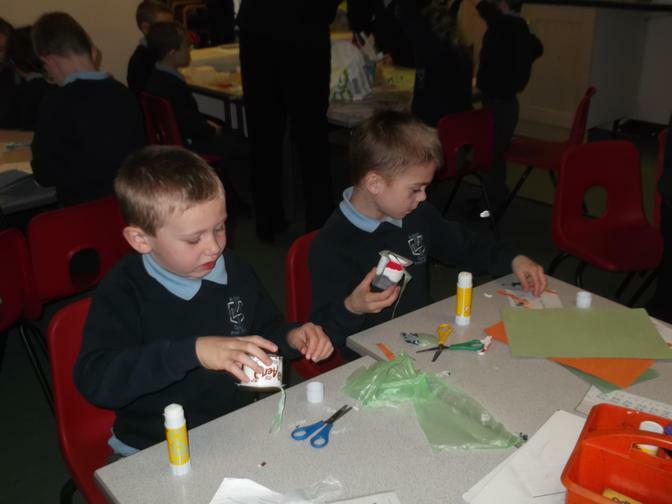 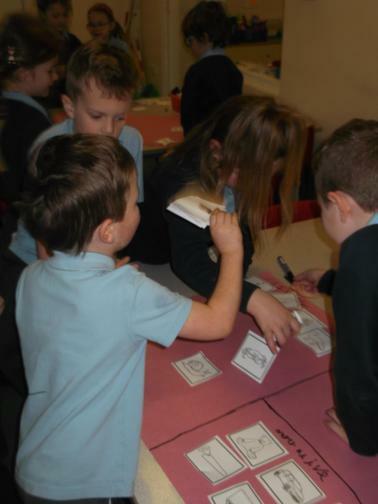 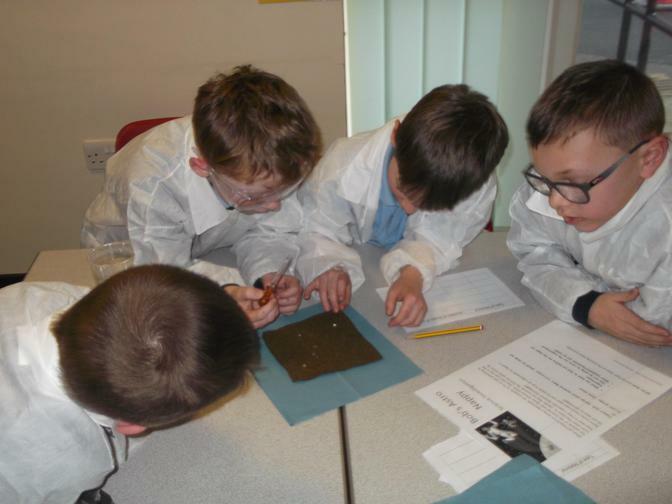 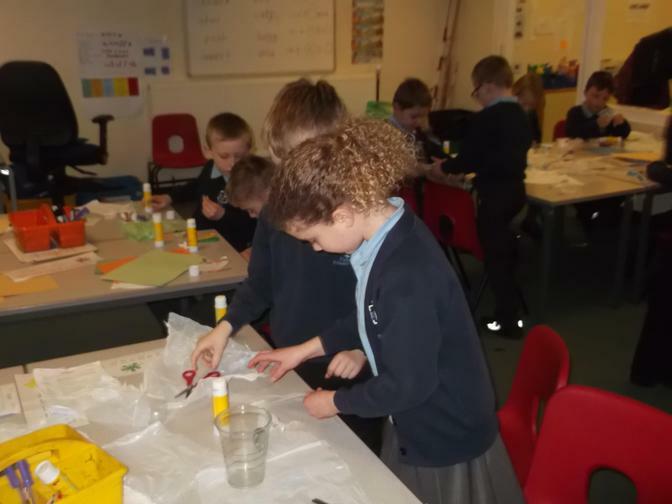 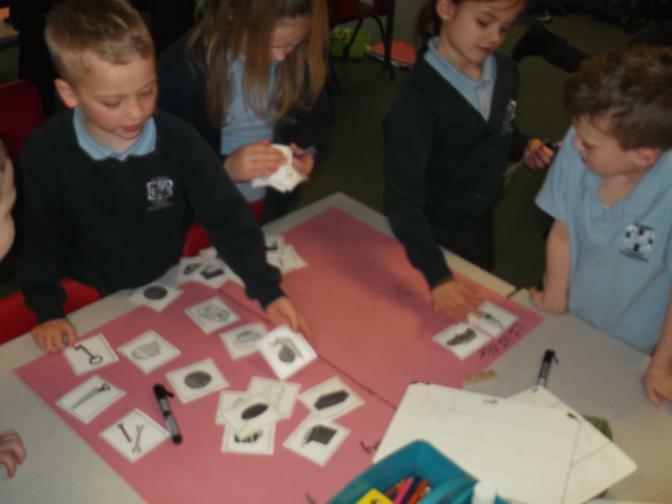 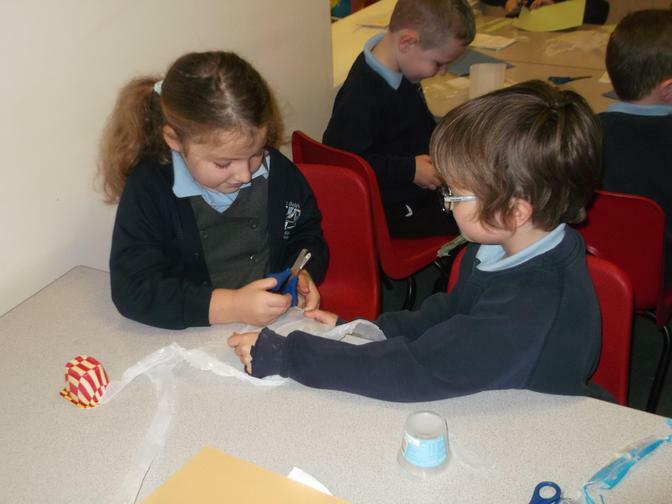 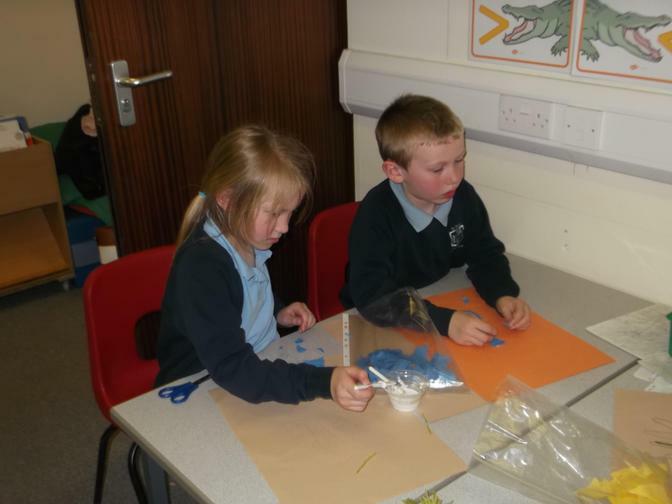 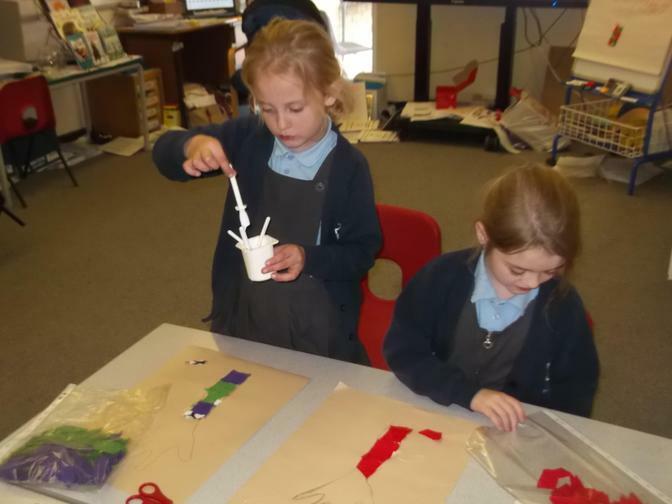 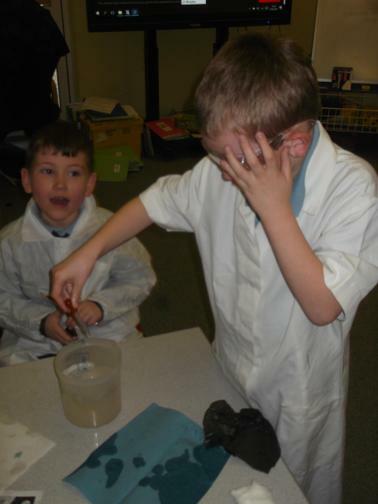 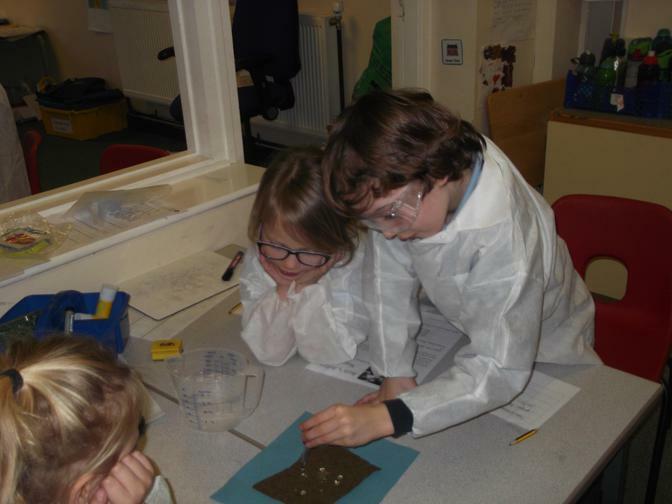 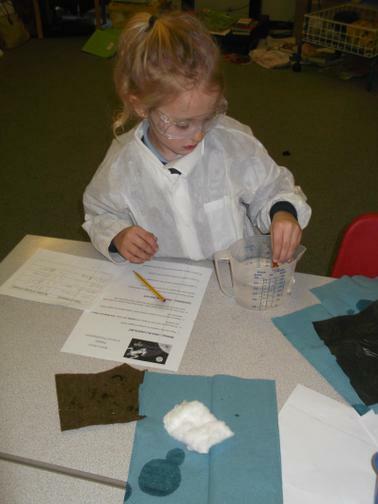 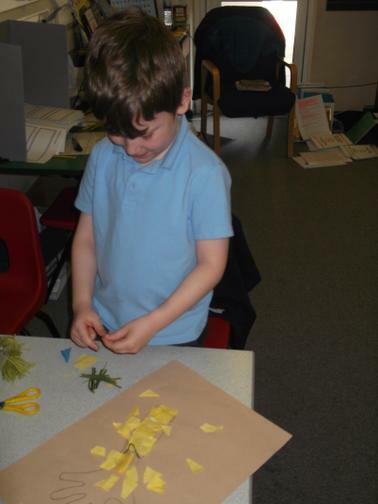 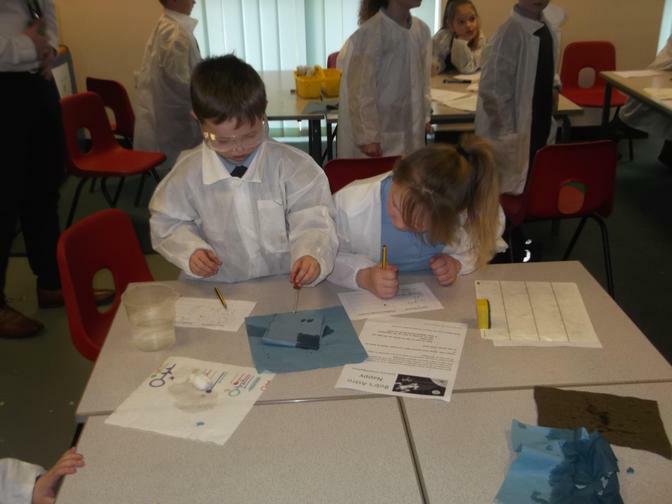 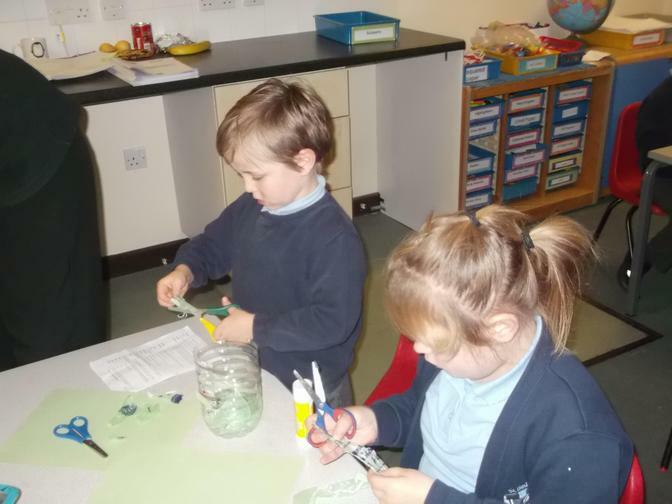 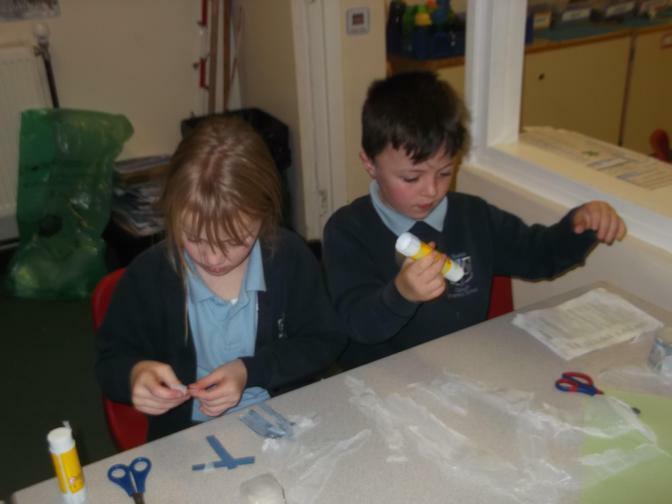 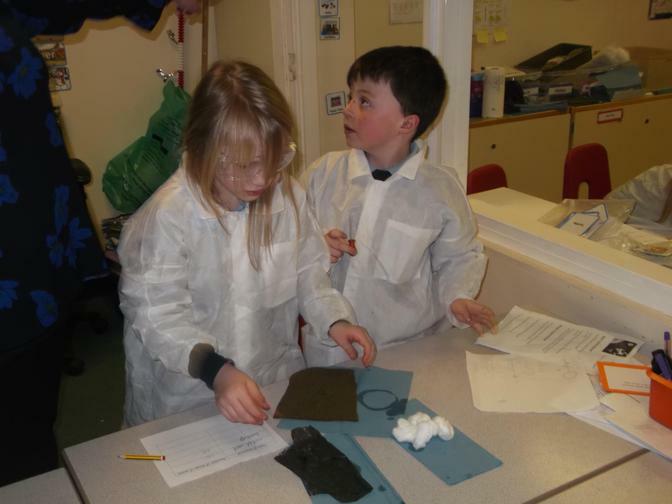 Investigating which material to use to make a space nappy for Bob, the astronaut. 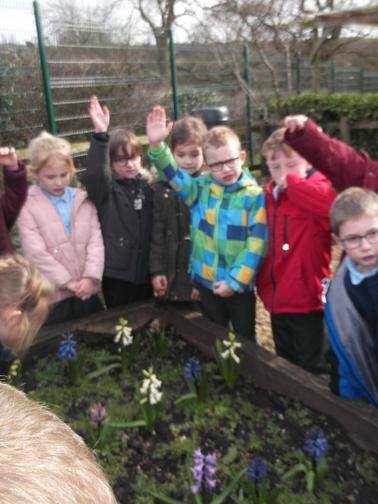 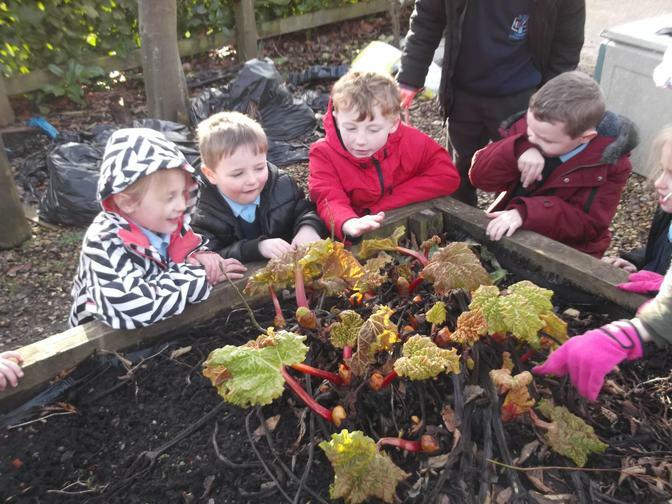 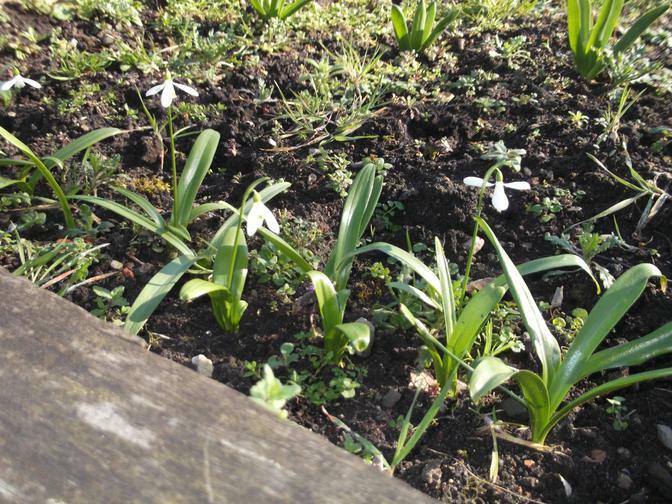 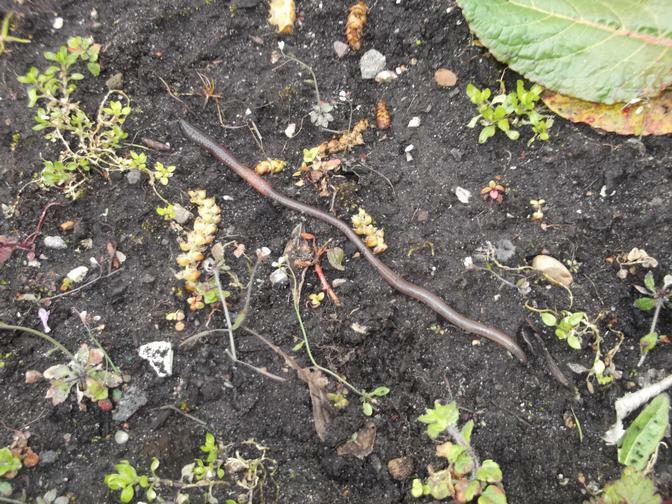 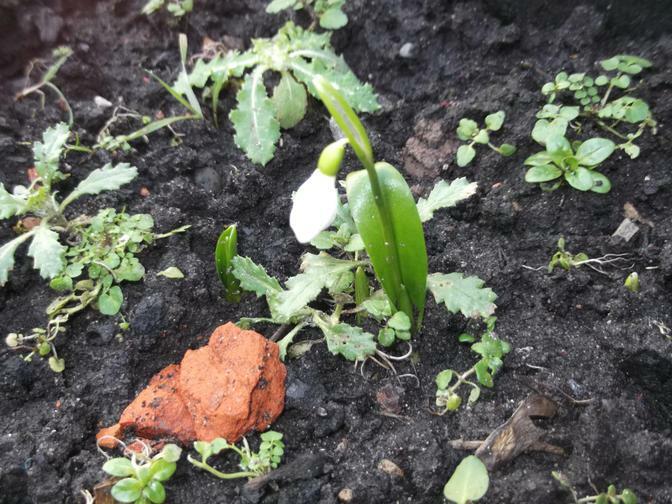 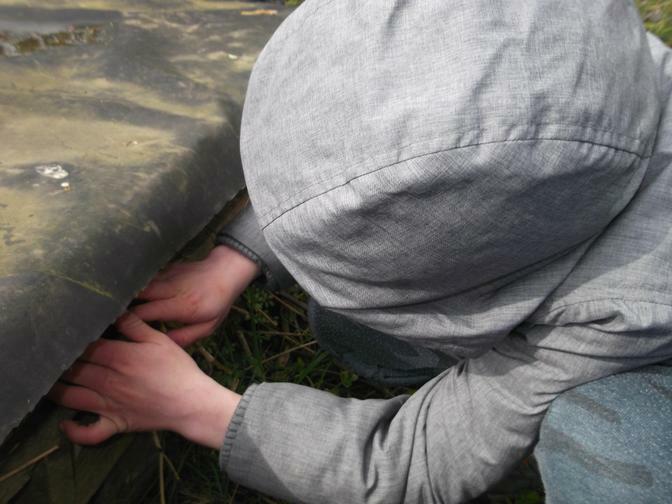 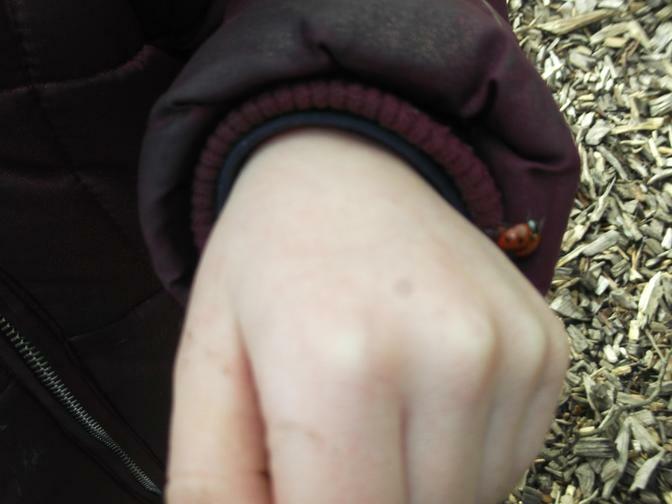 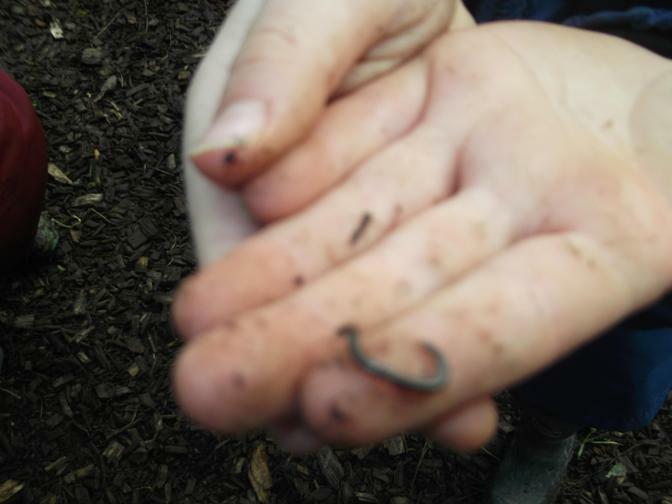 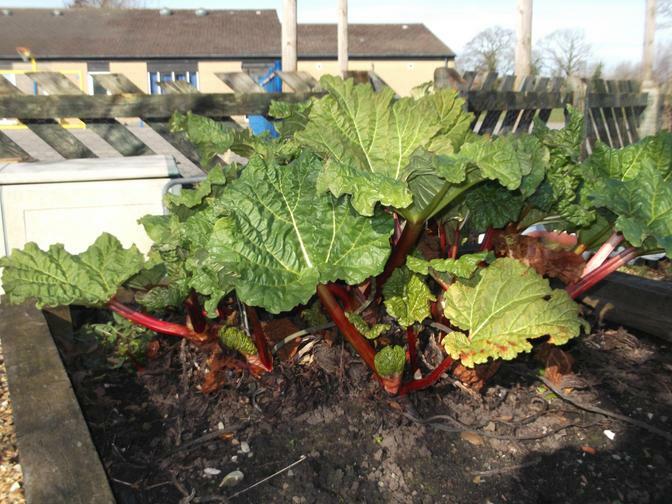 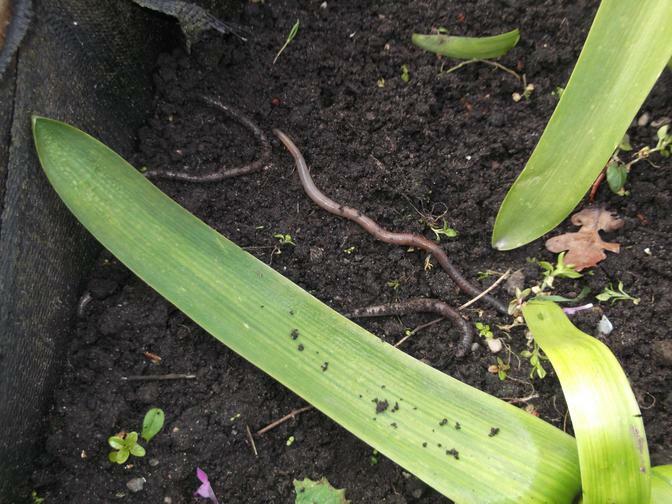 Looking for signs of spring in the school garden. 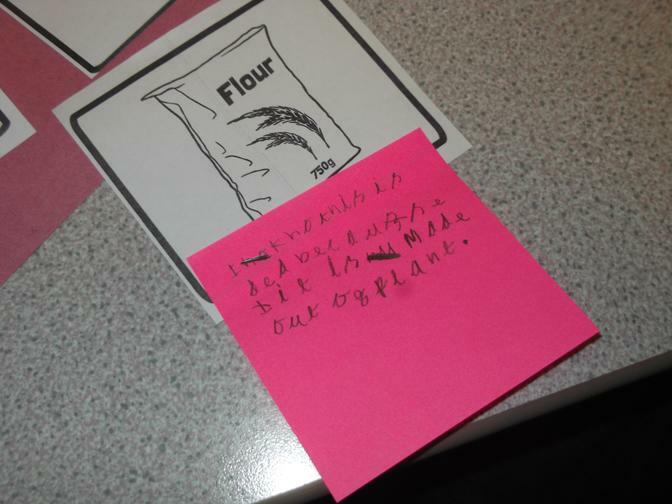 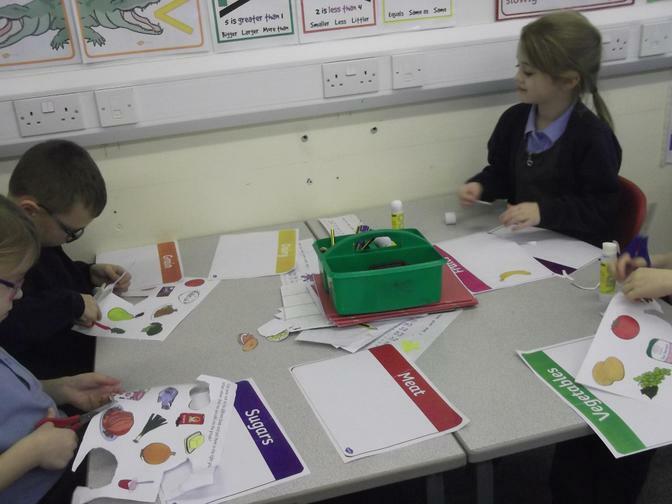 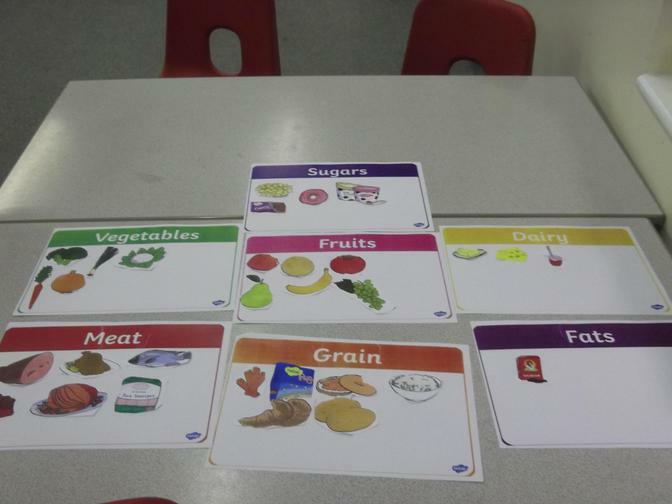 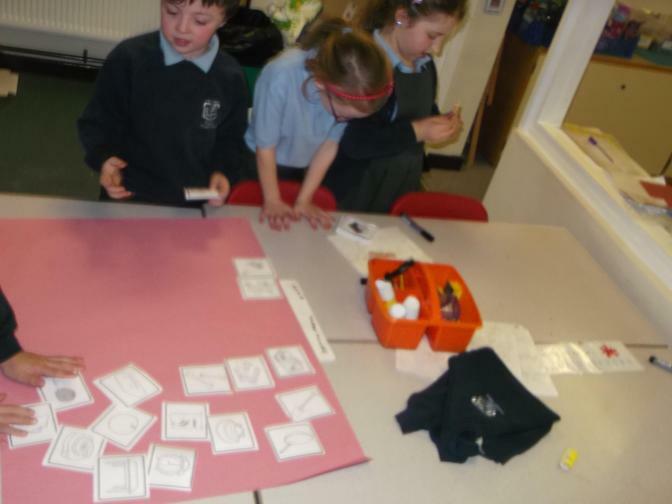 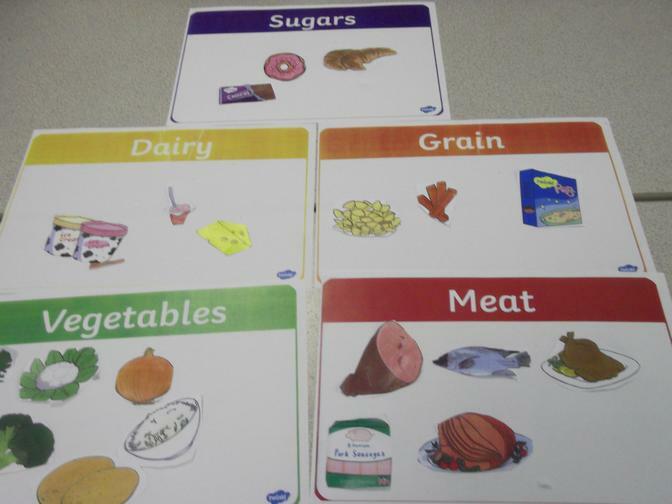 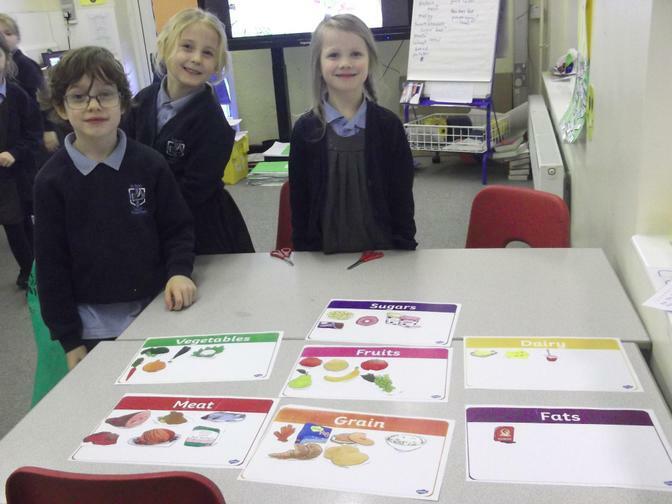 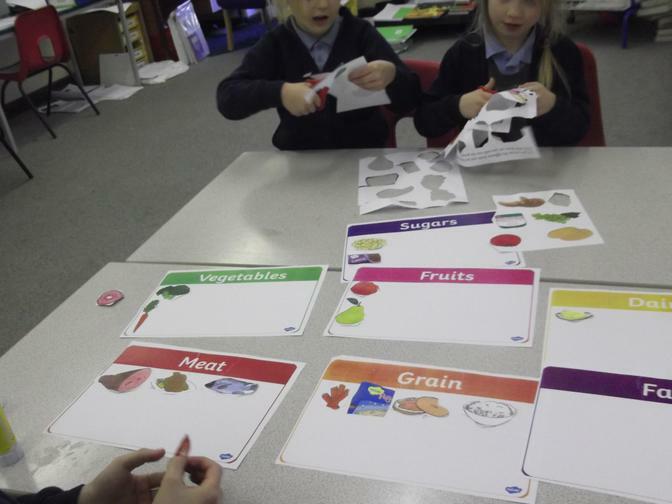 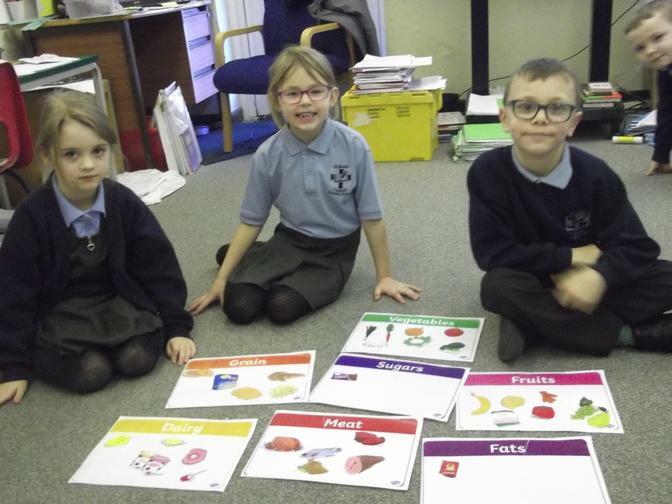 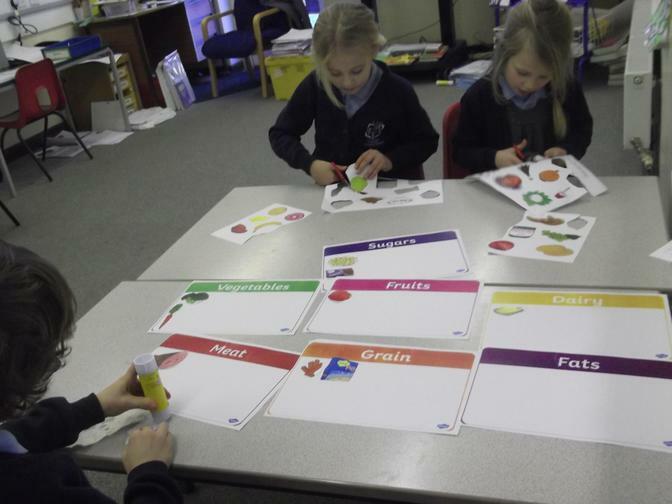 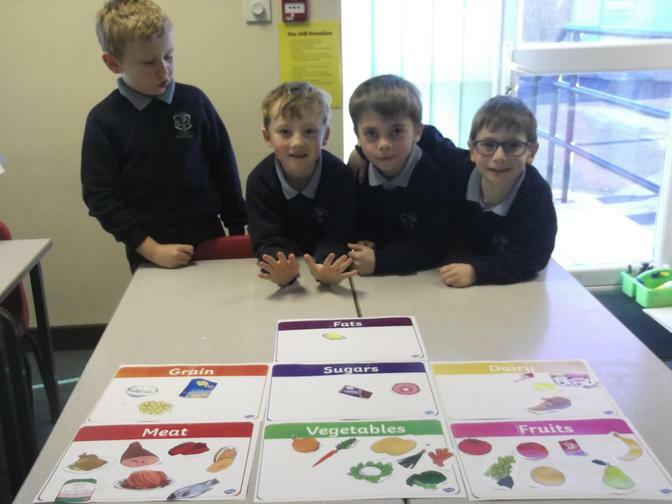 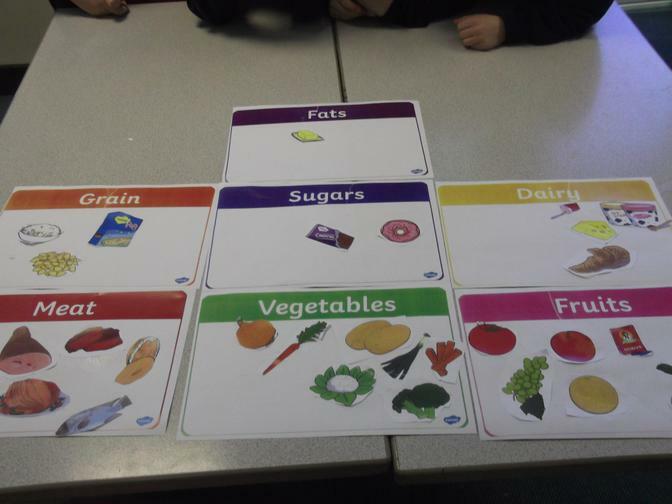 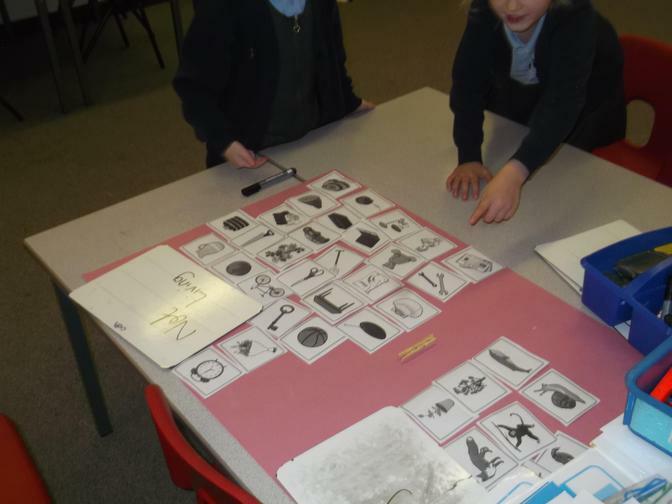 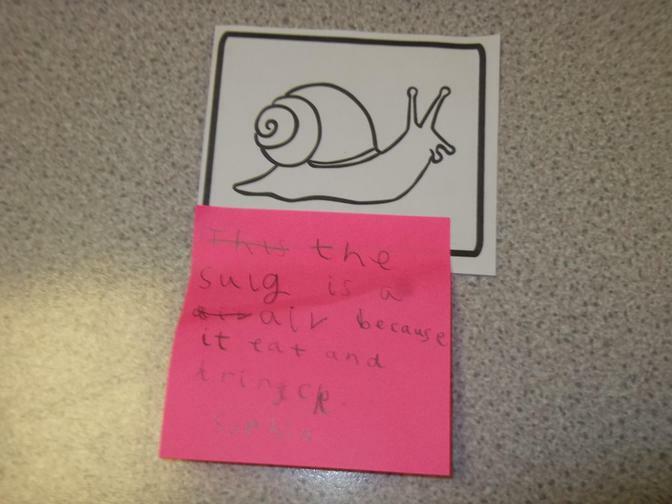 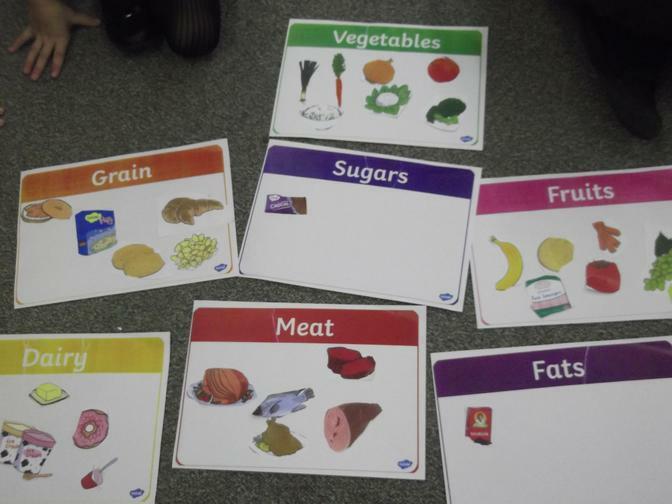 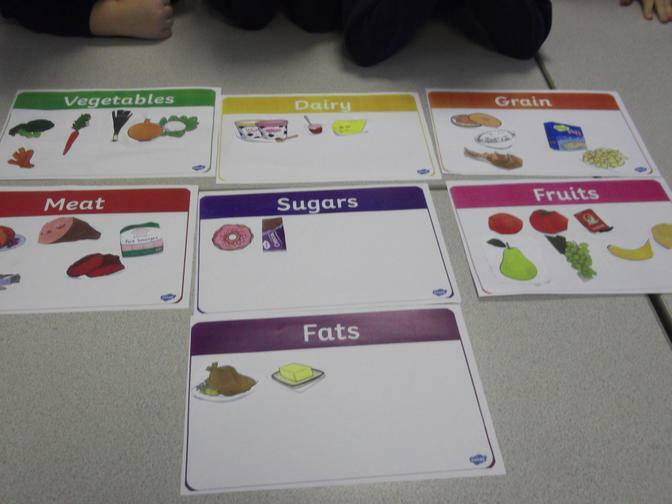 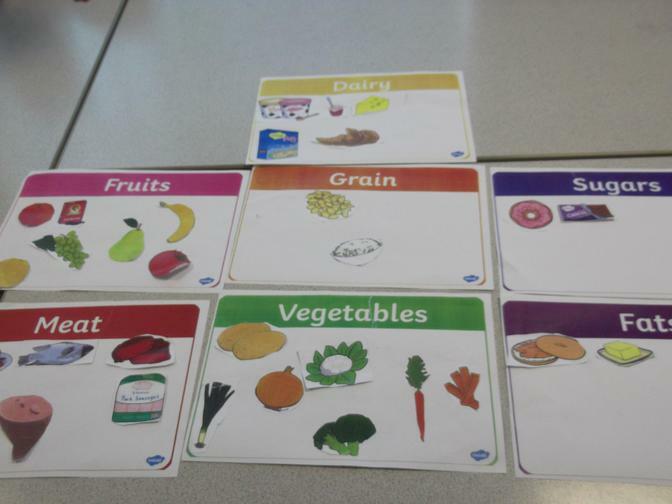 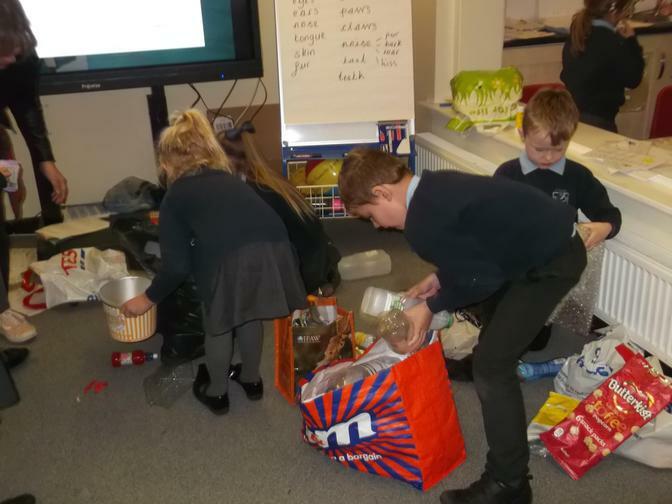 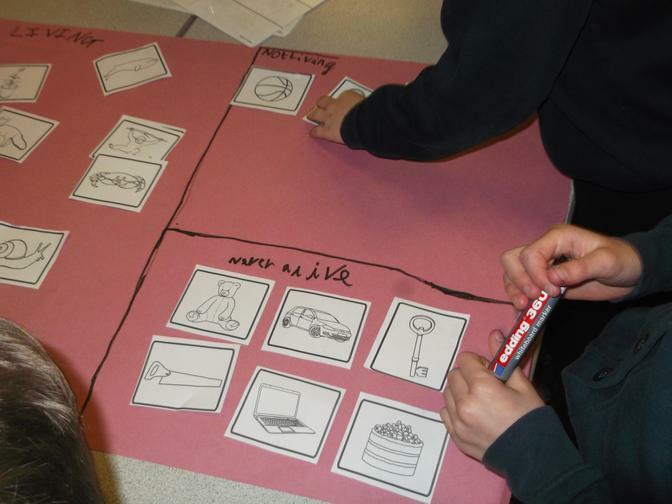 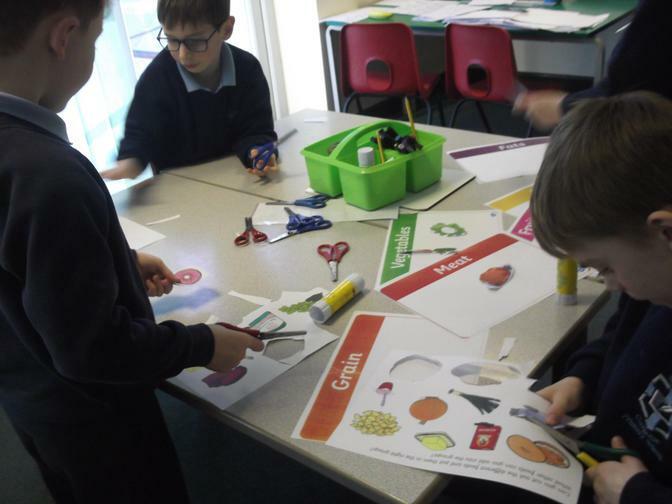 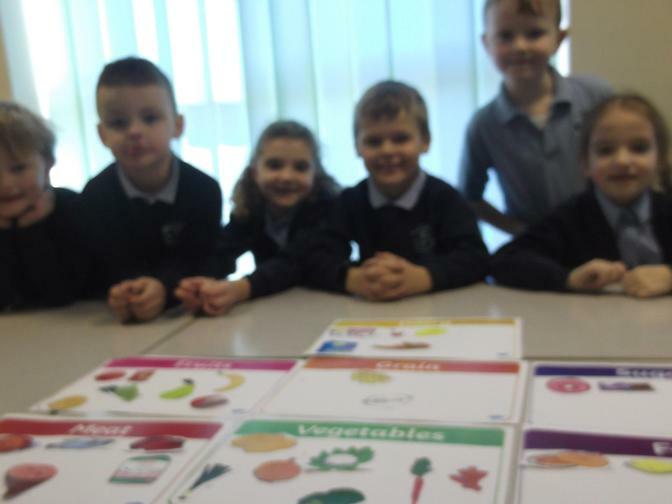 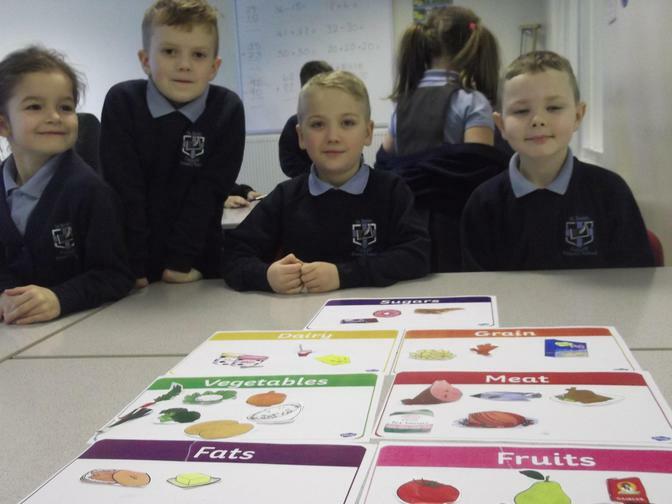 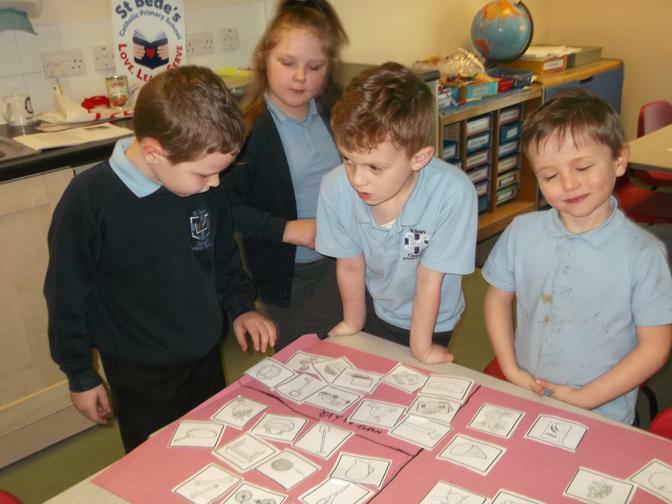 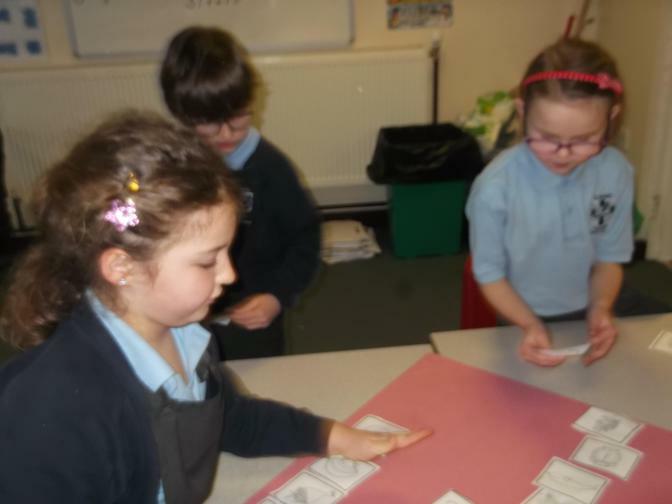 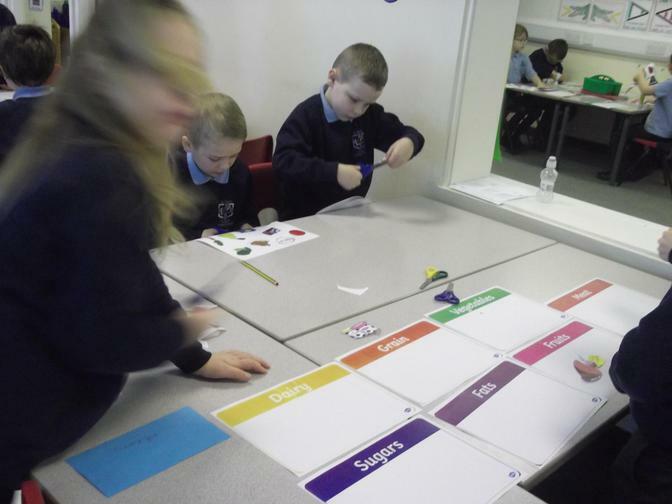 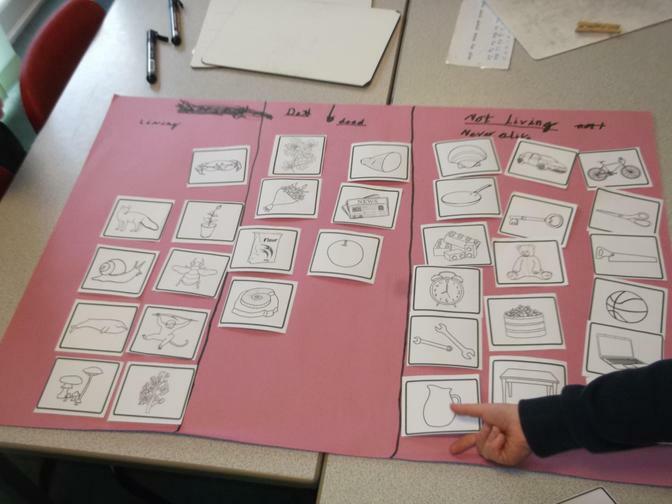 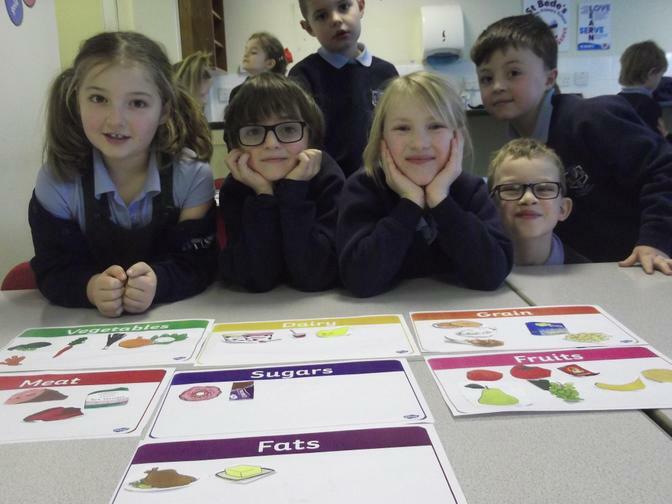 We sorted a range of foods into the different food groups. 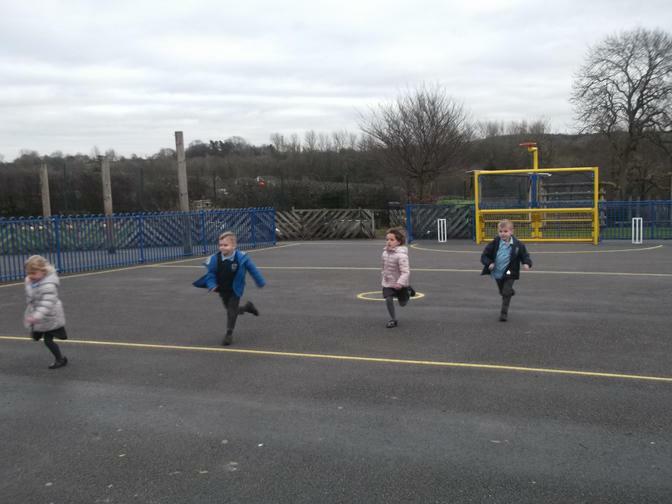 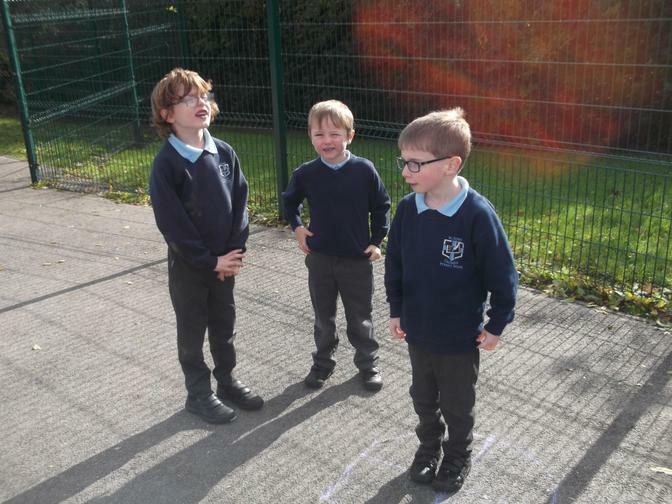 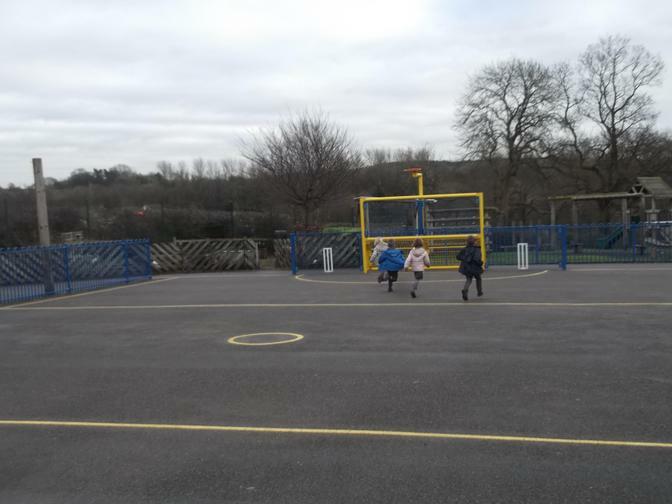 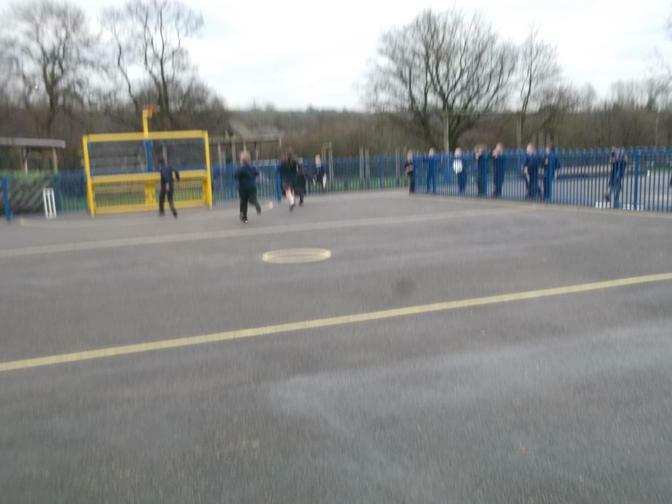 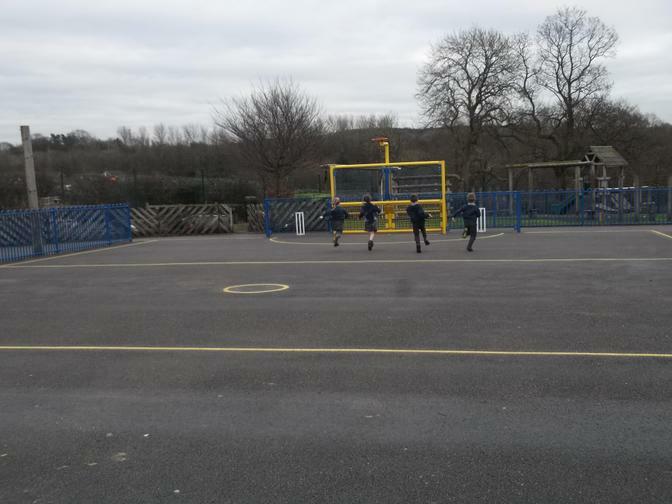 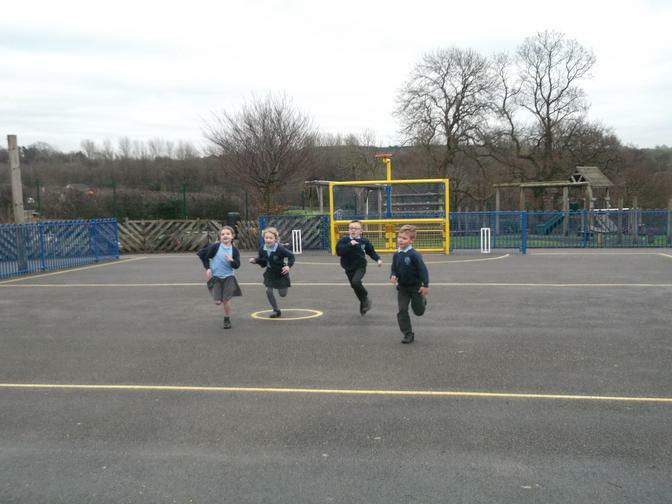 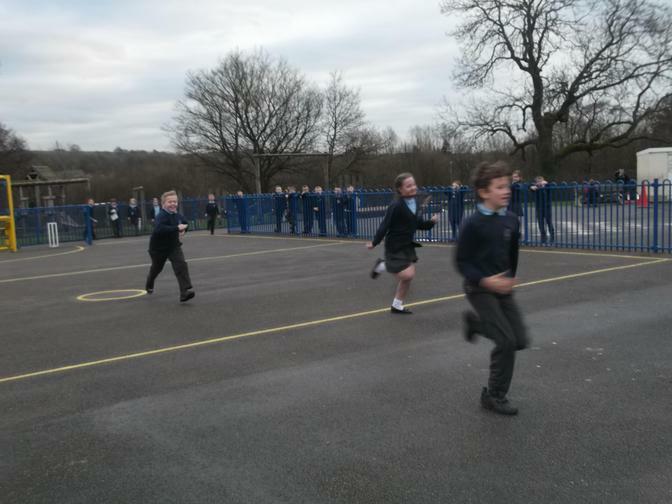 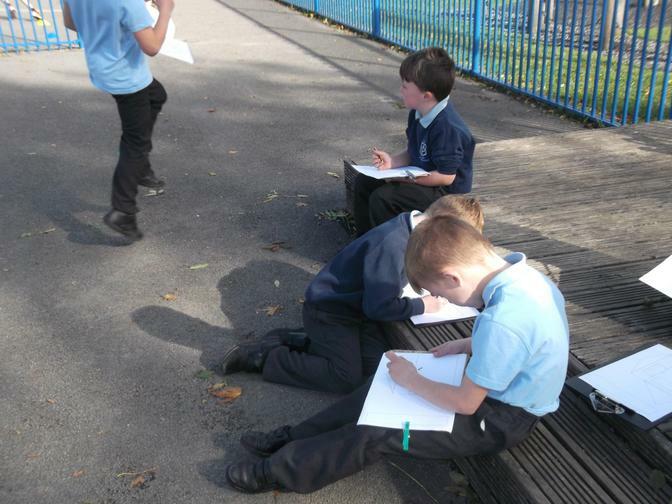 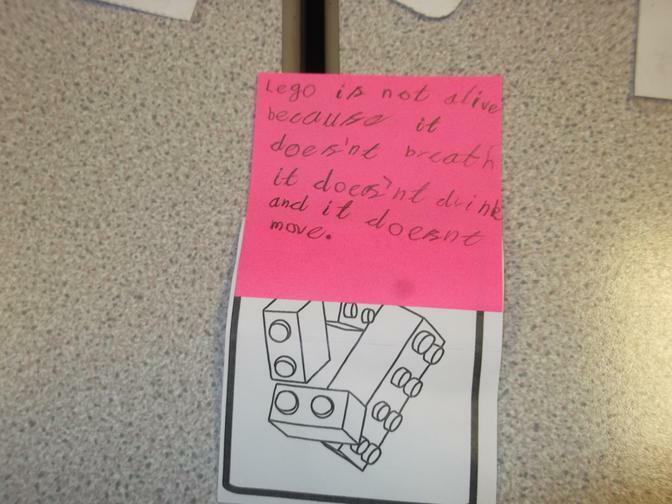 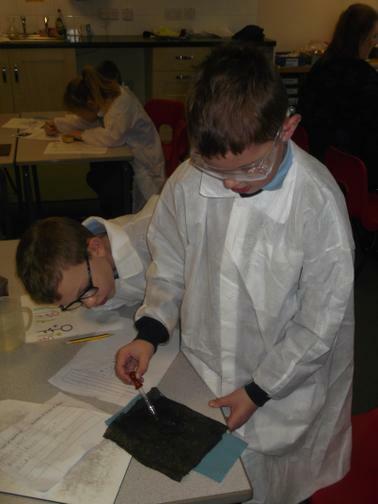 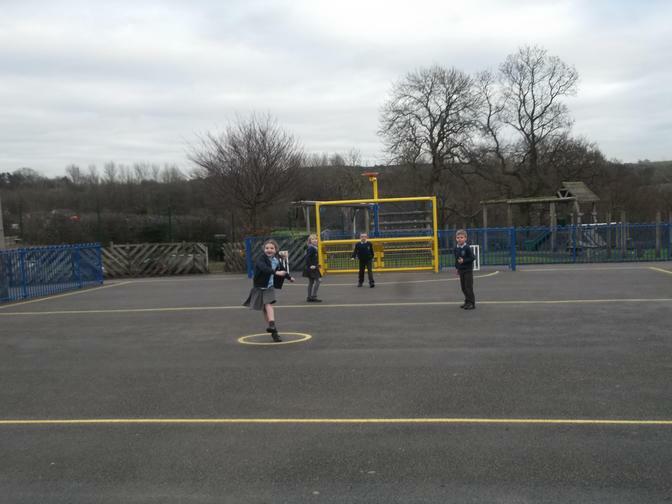 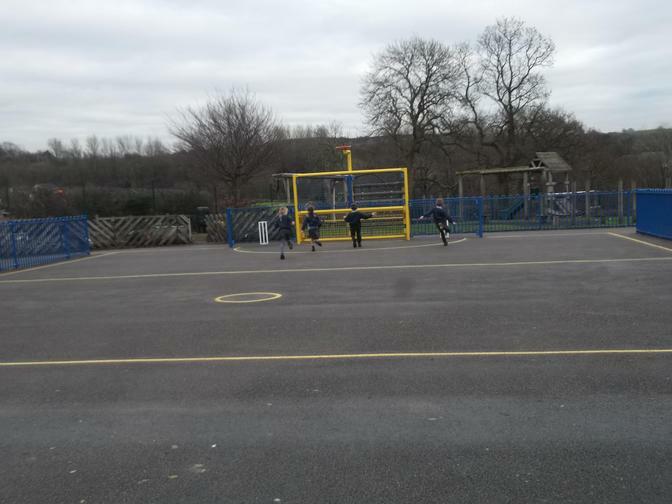 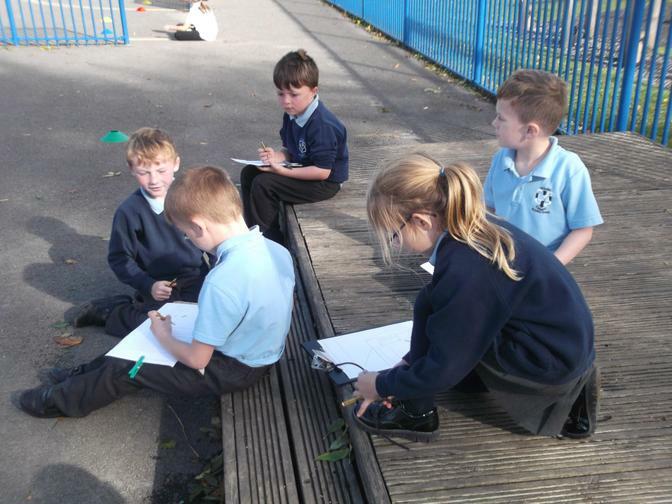 Science Investigation - do children run faster as they get older? 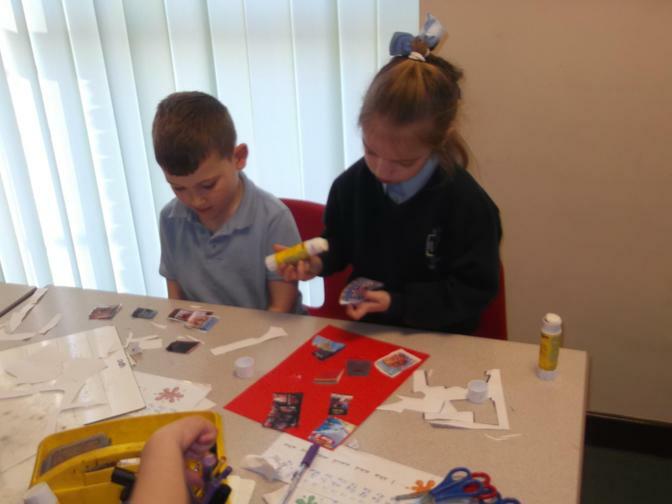 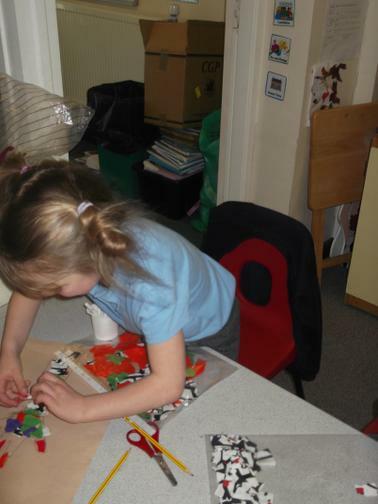 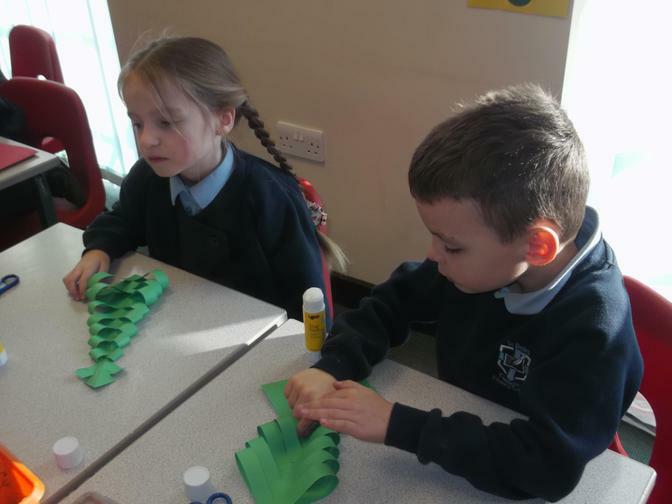 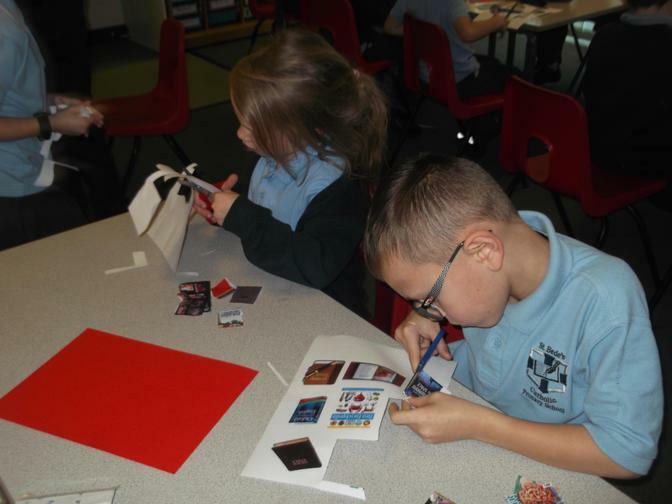 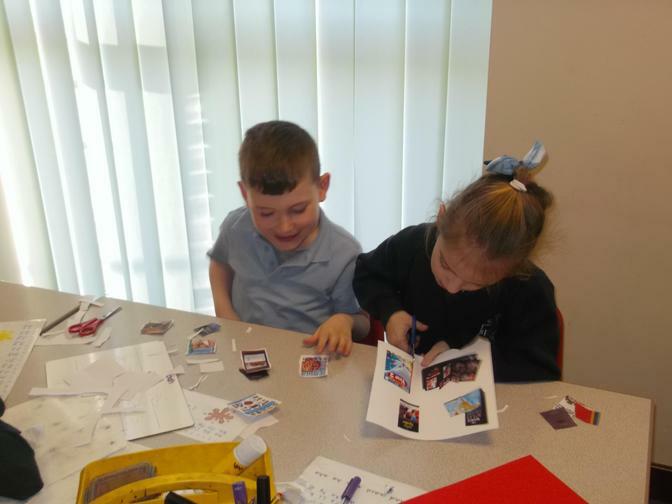 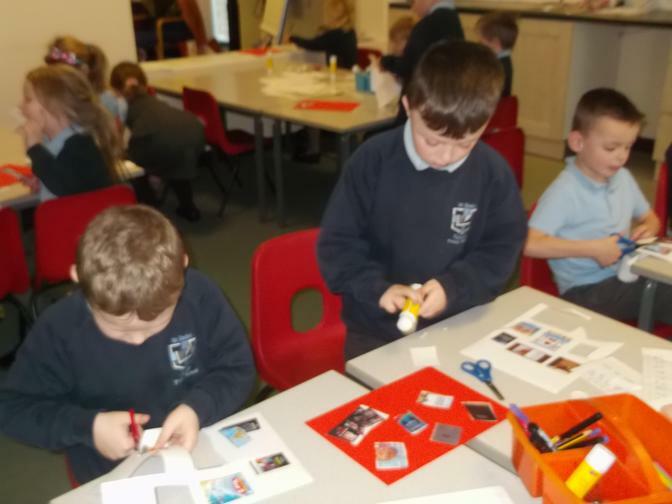 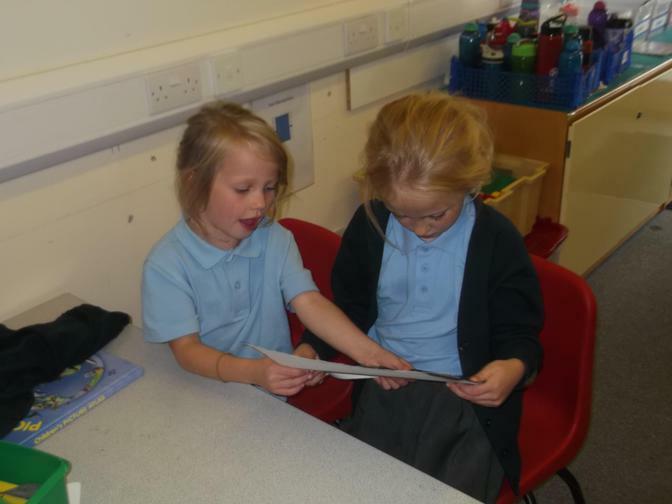 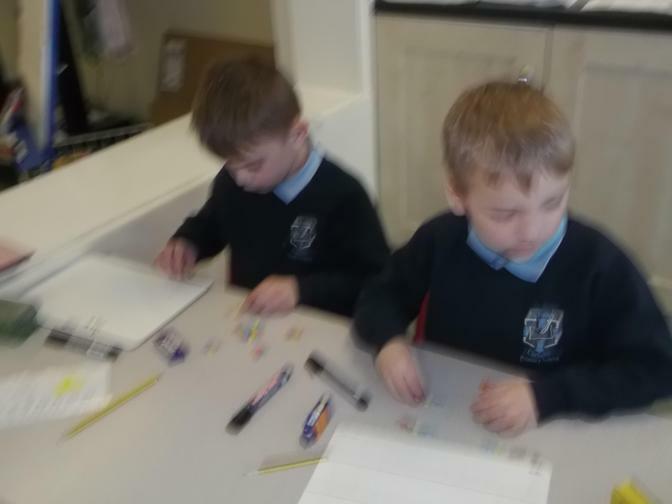 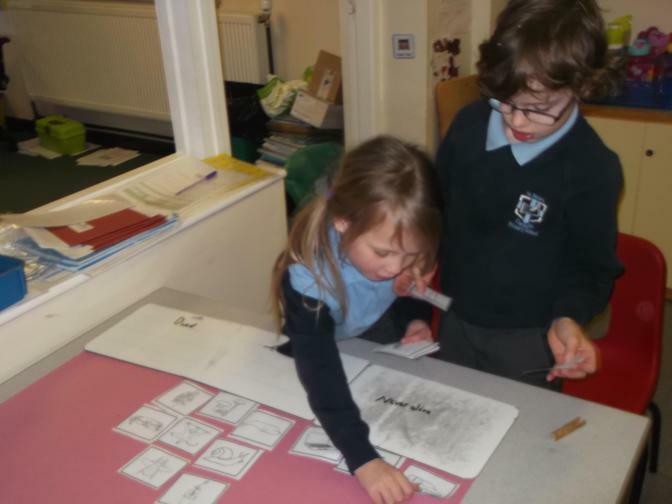 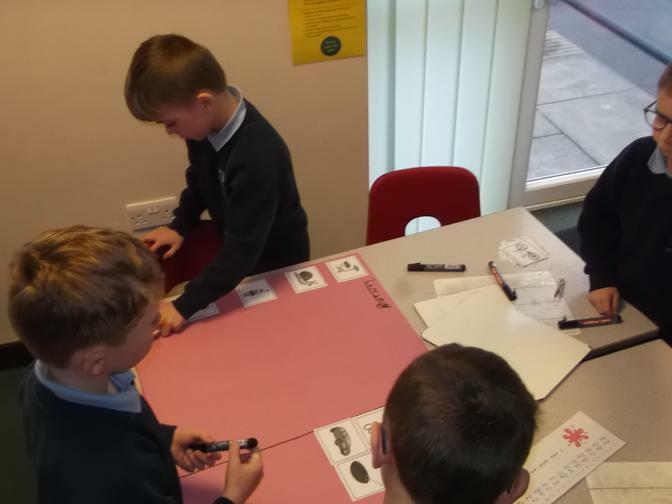 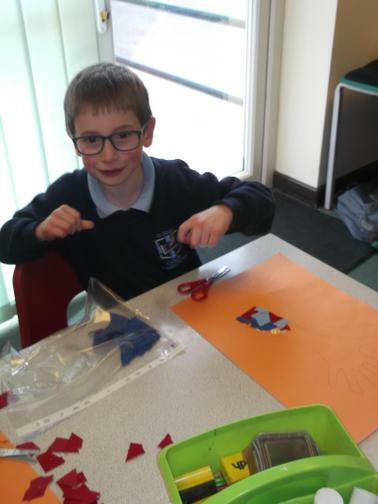 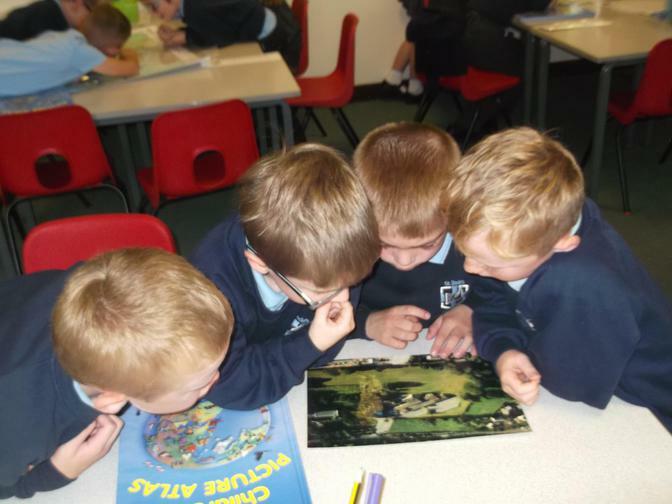 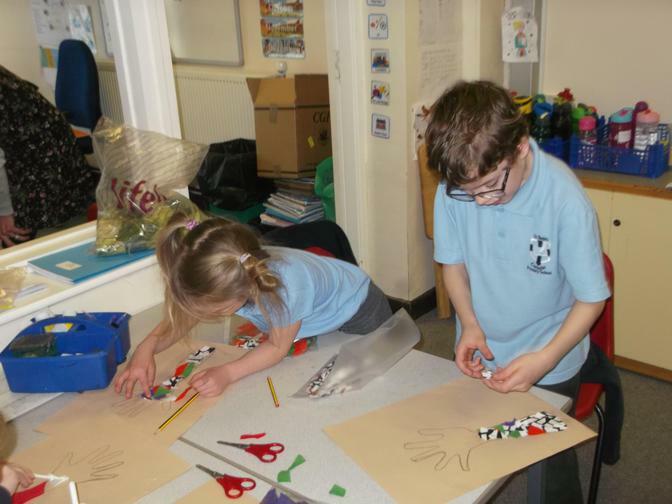 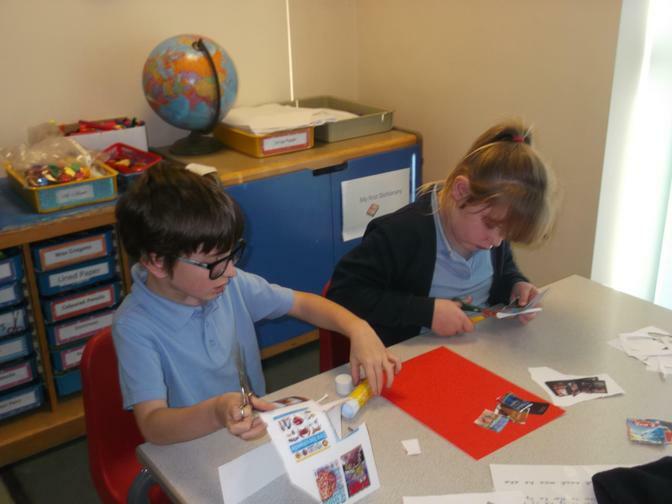 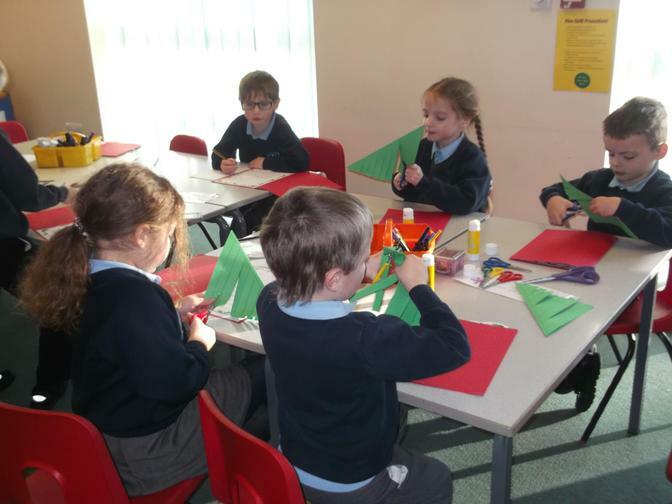 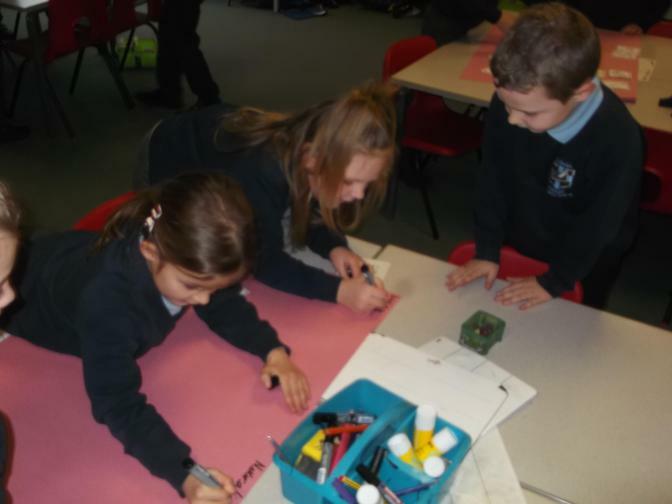 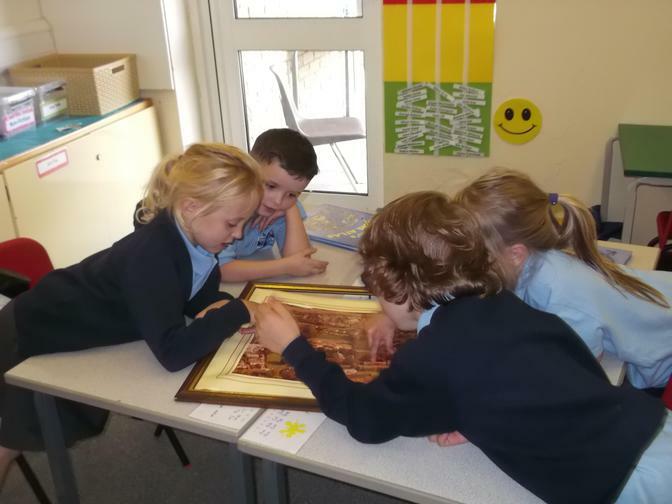 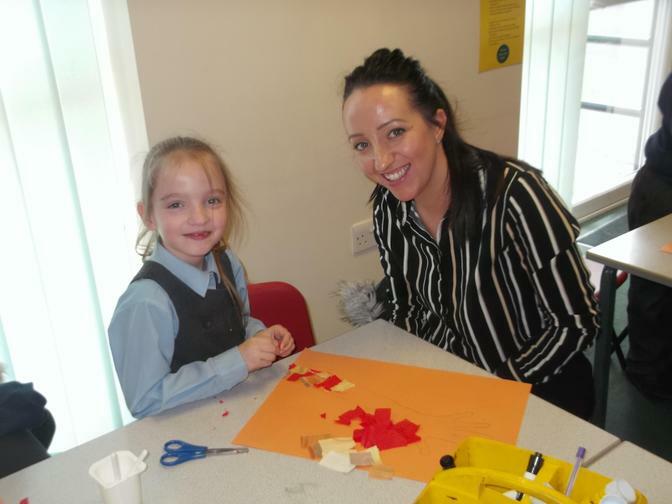 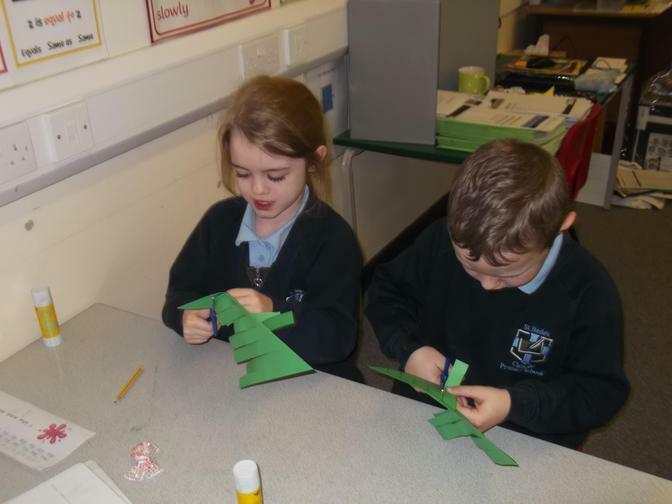 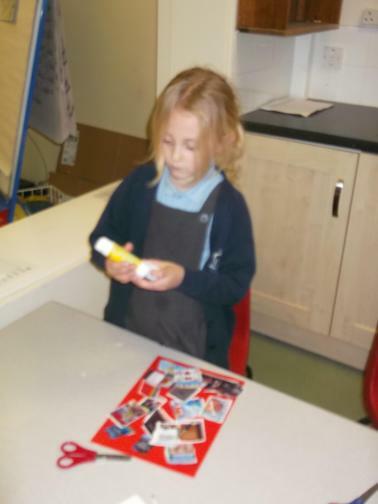 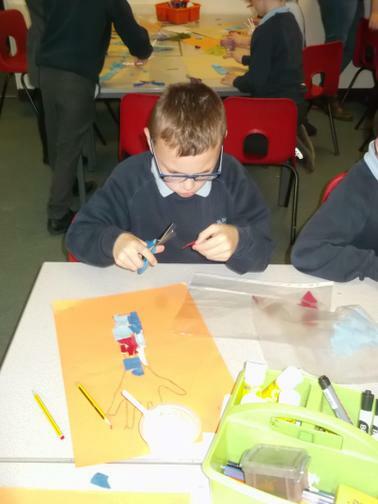 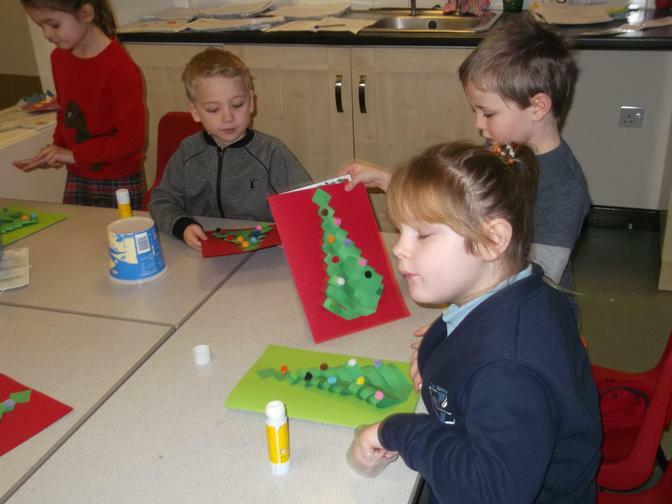 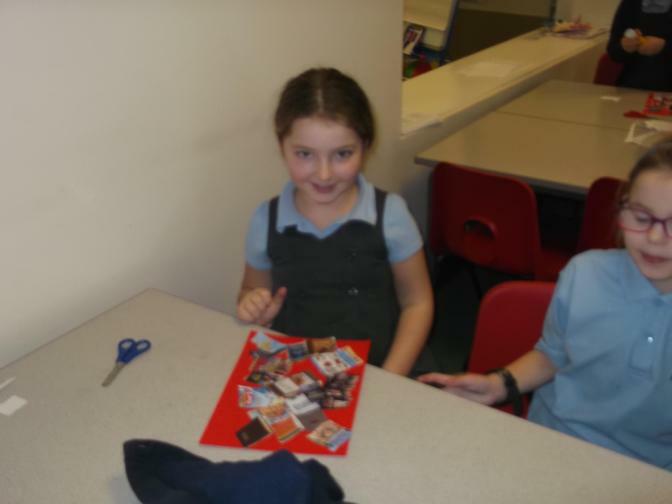 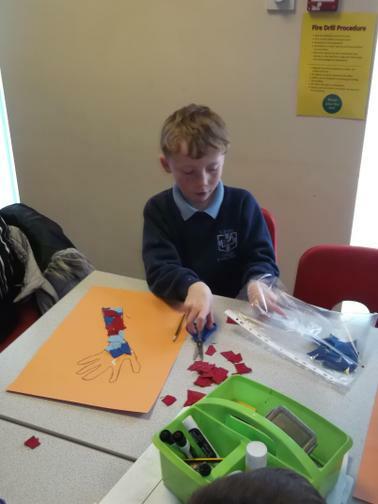 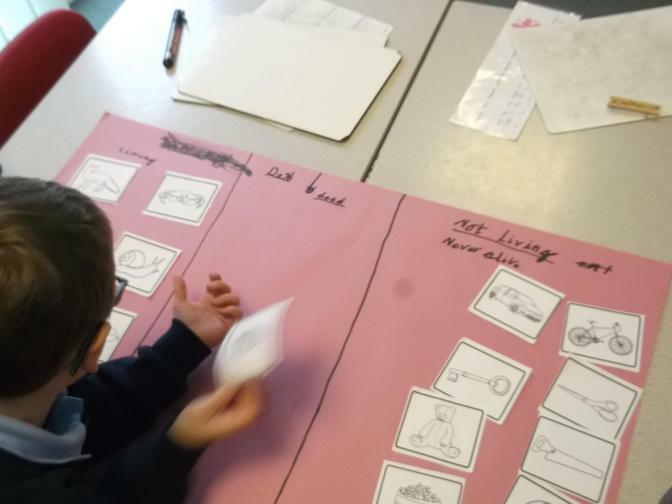 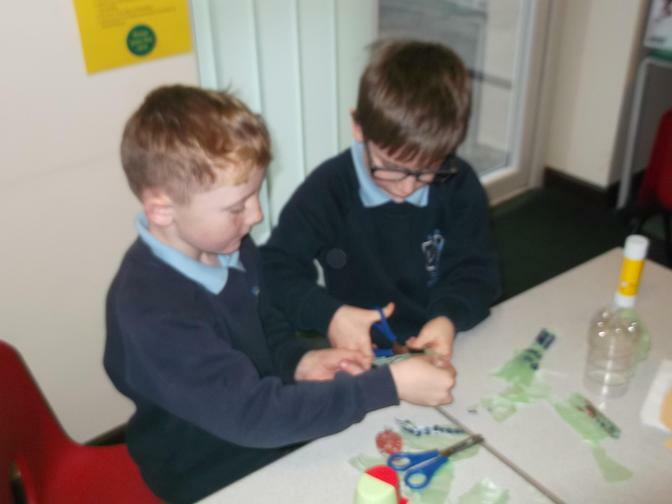 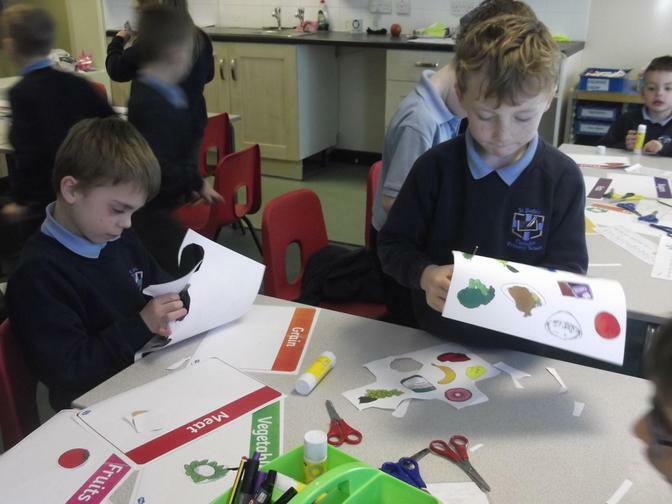 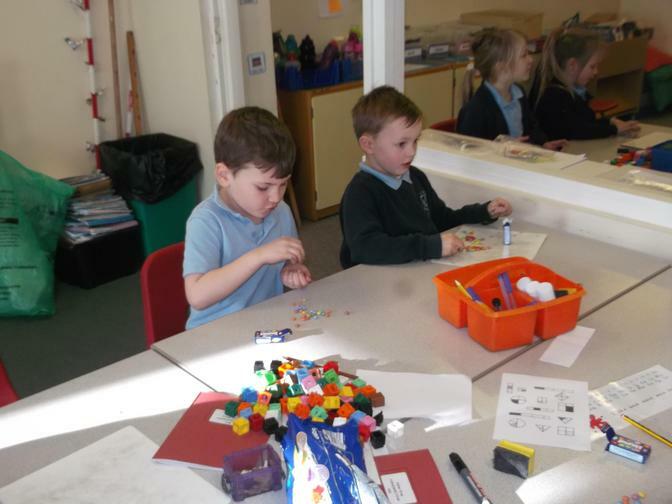 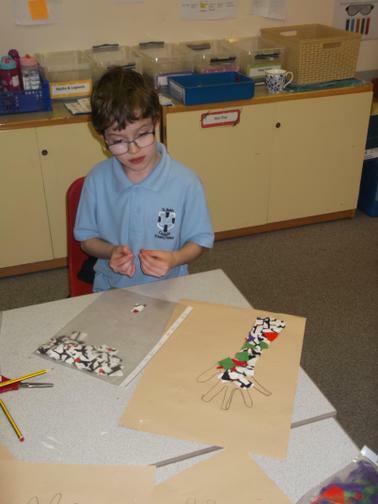 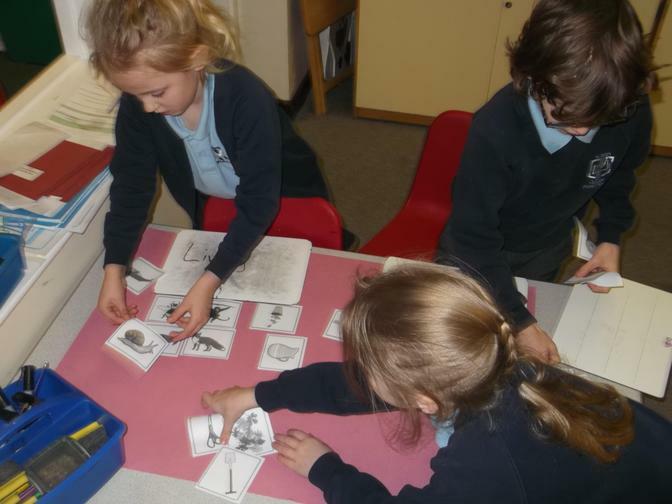 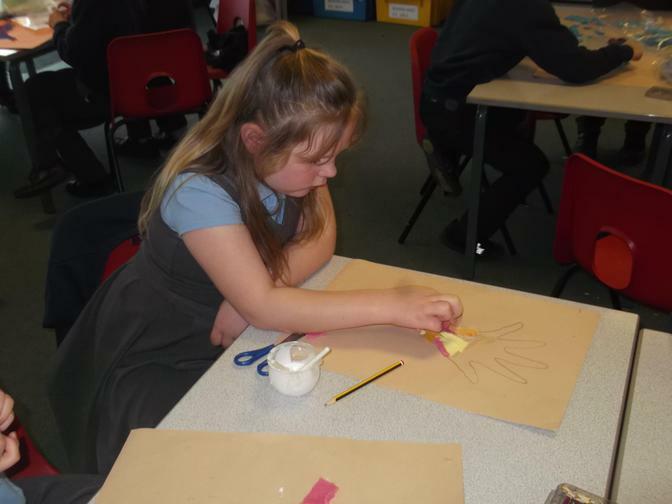 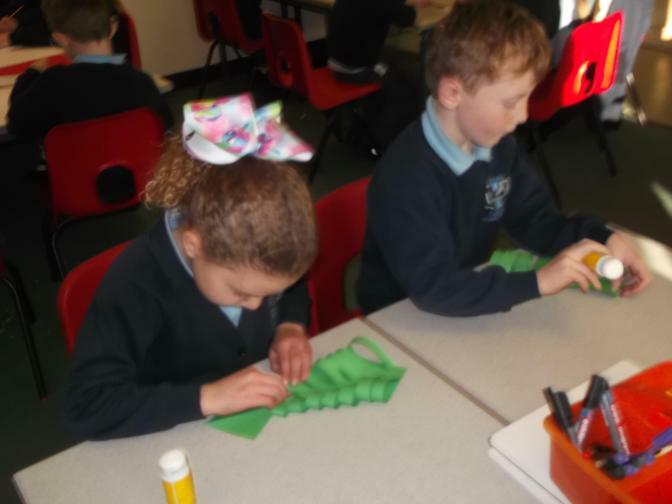 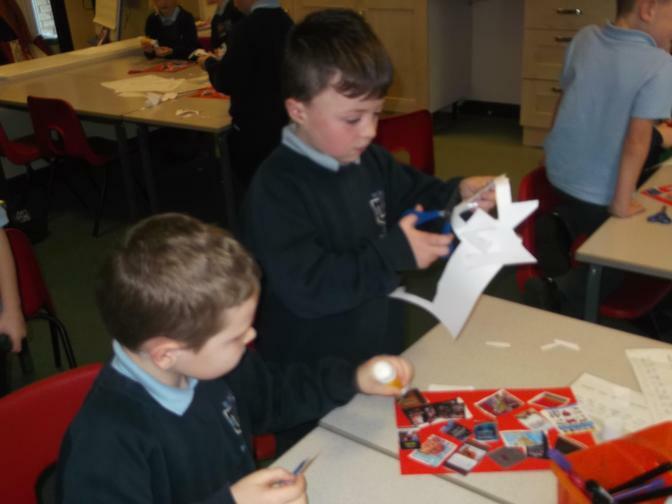 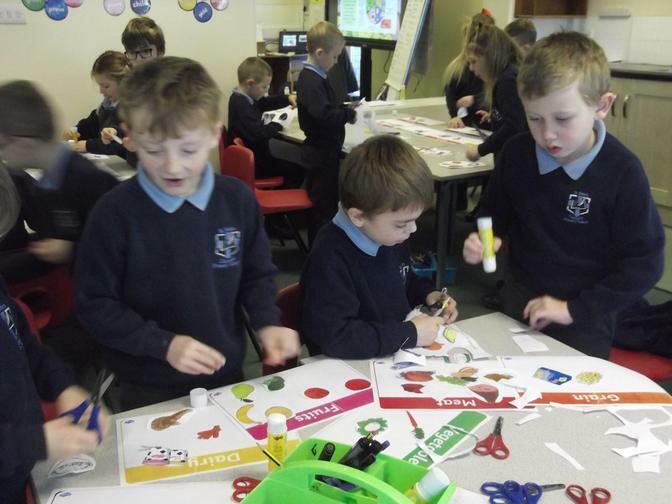 January 2019 - busy making a collage of books in RE. 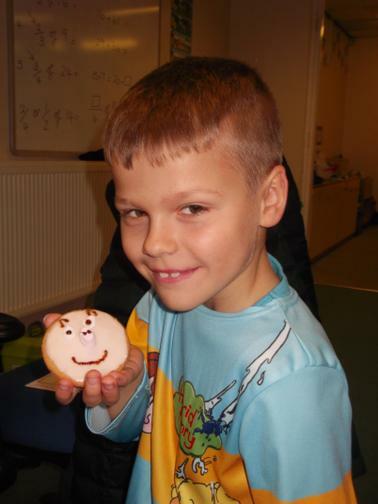 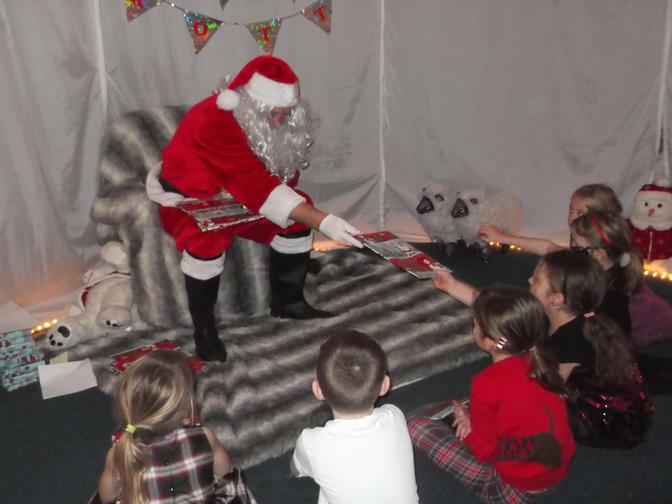 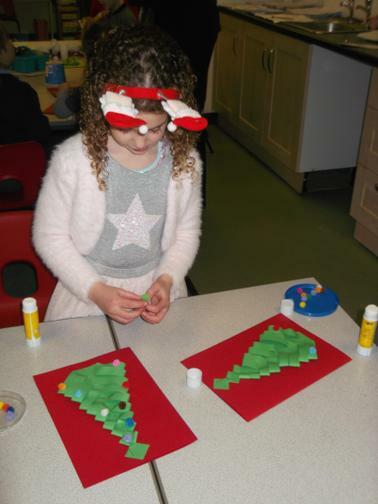 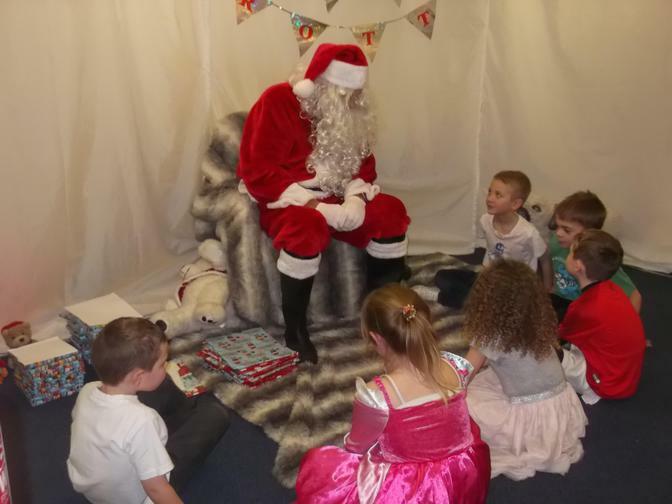 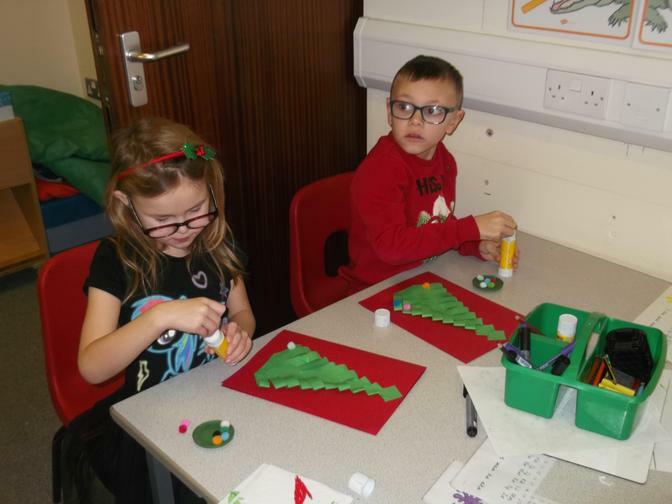 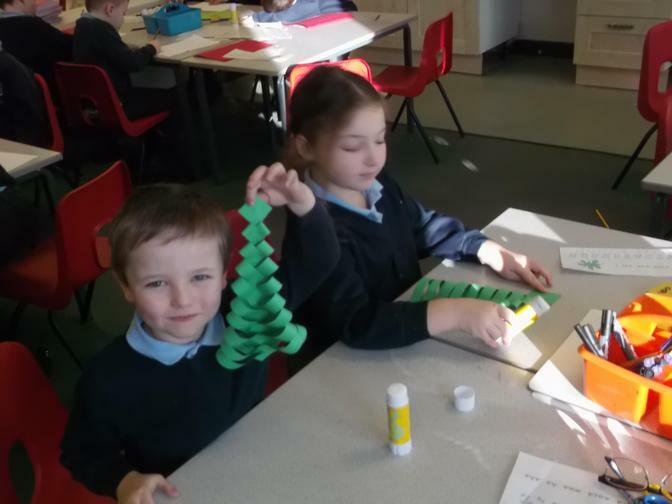 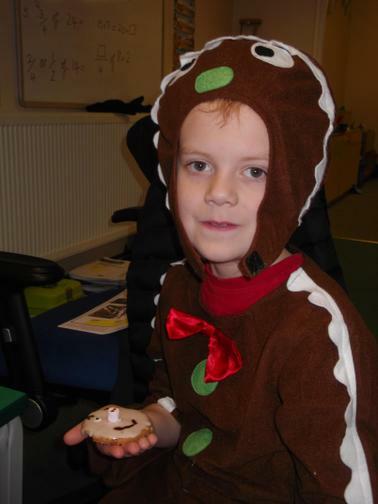 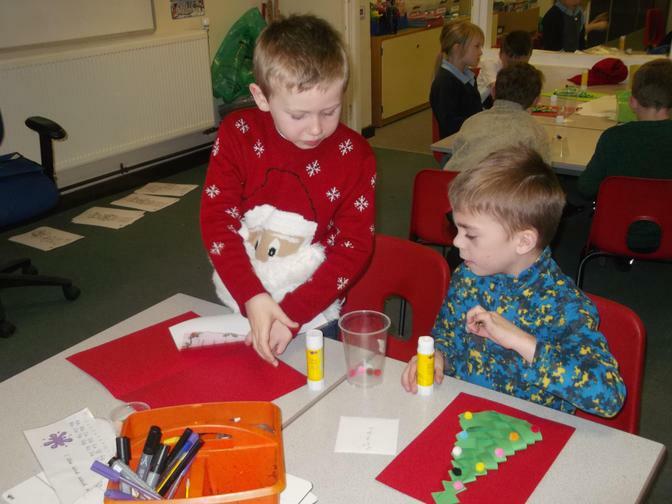 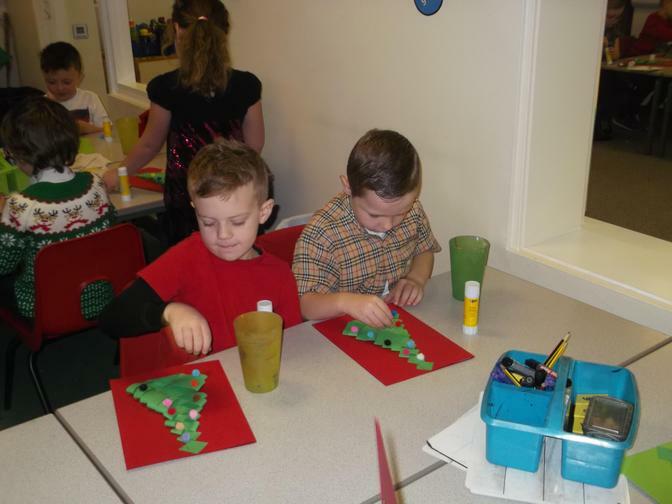 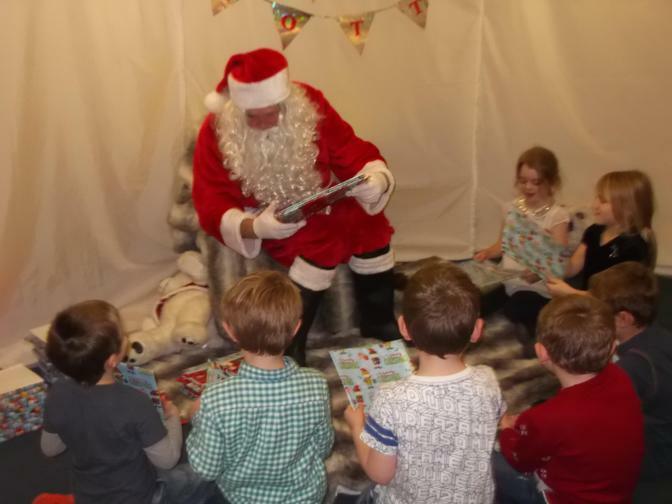 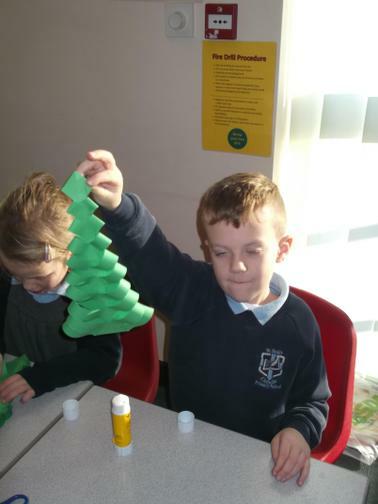 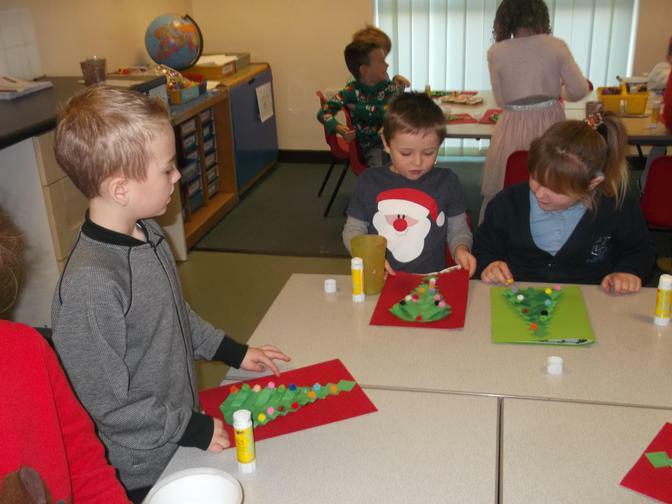 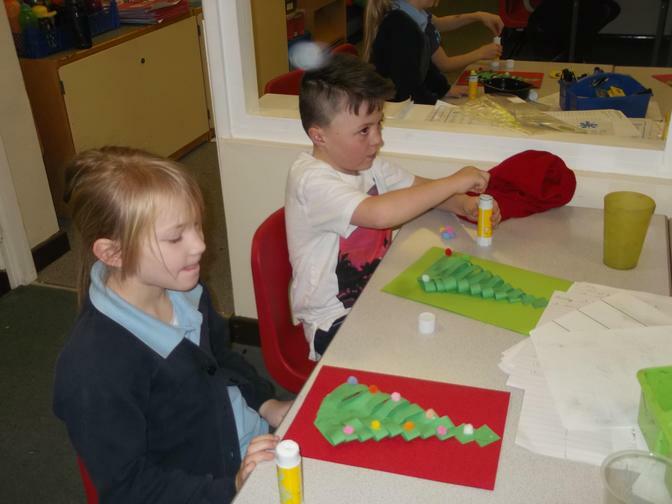 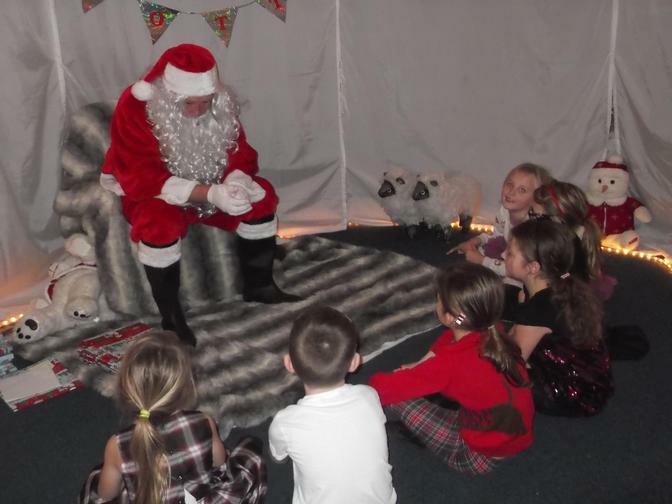 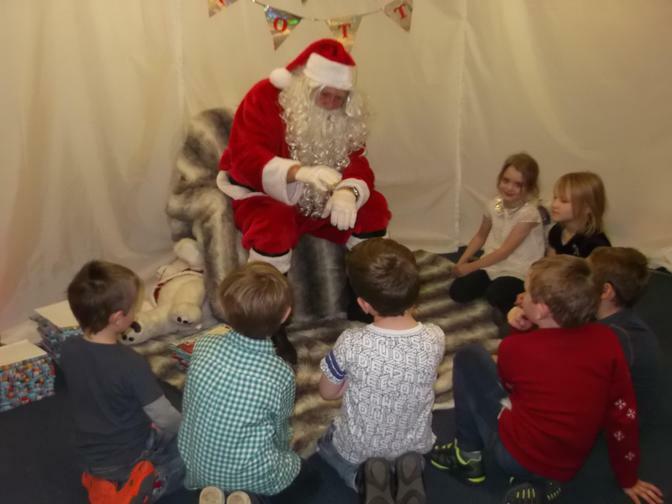 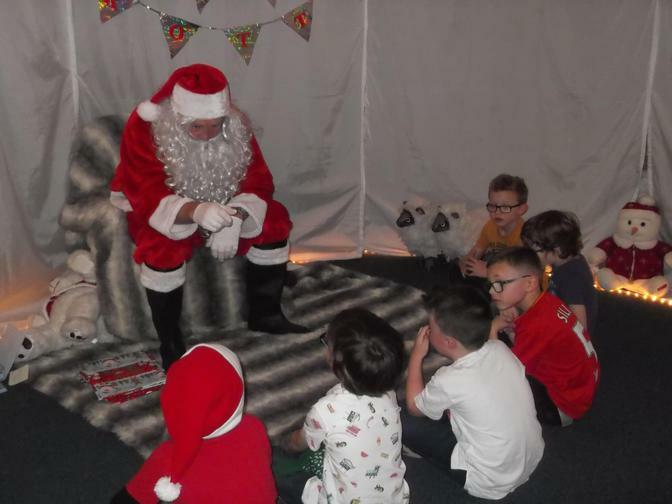 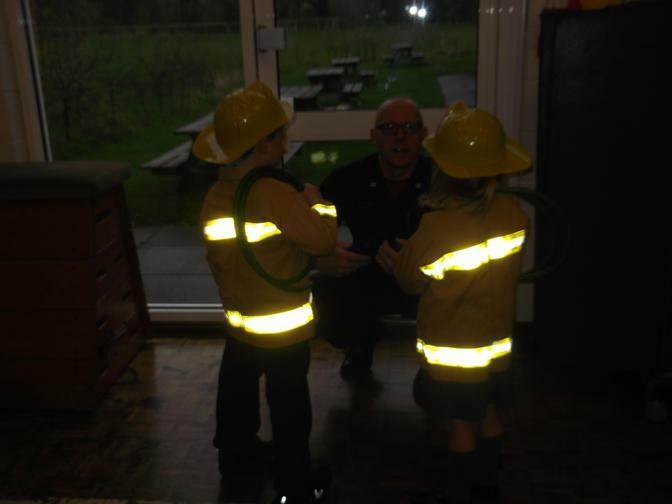 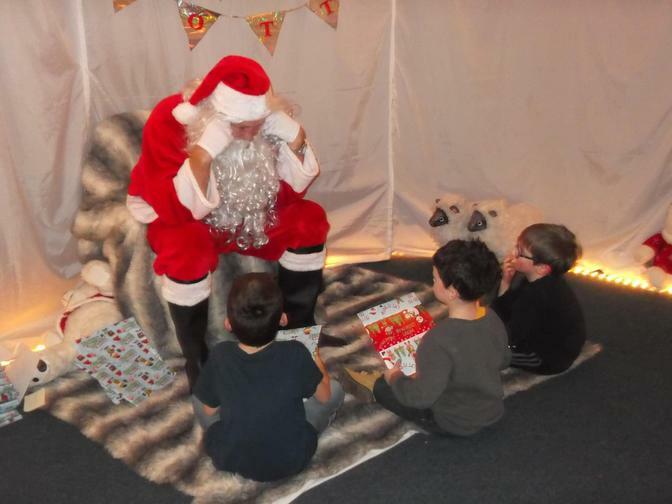 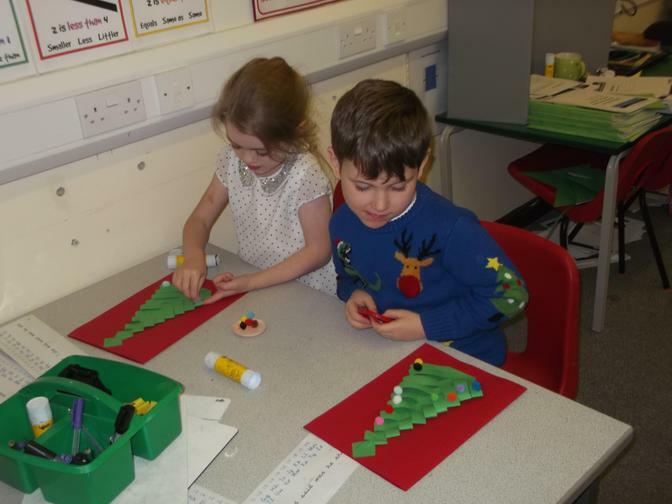 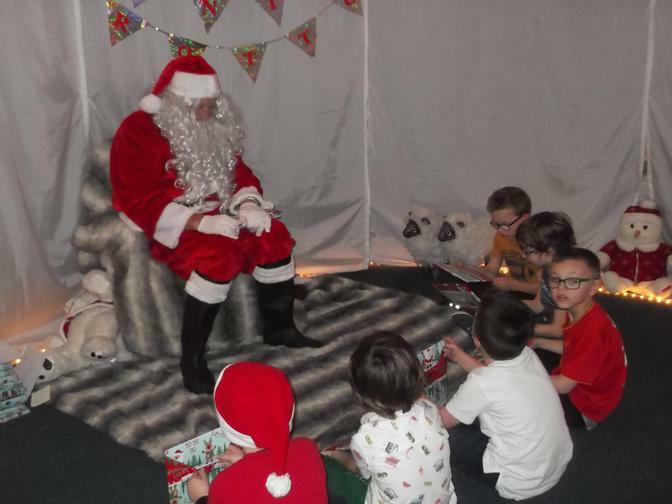 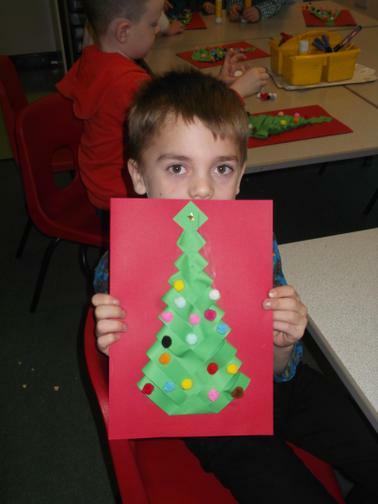 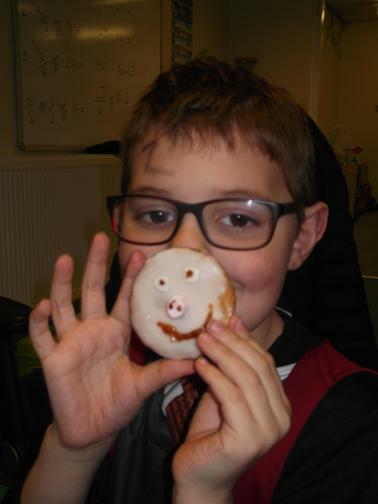 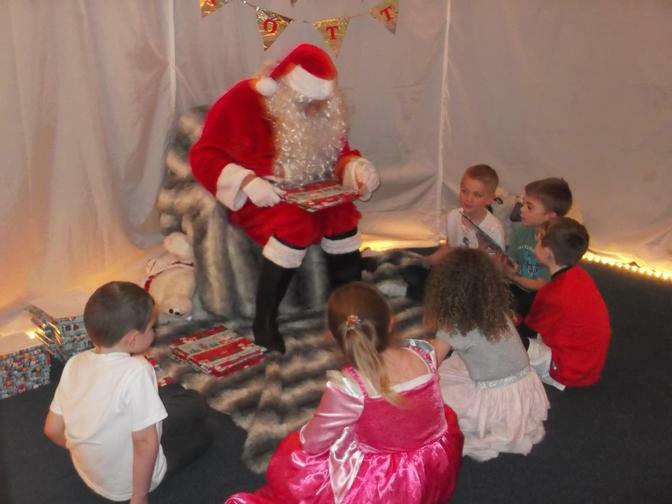 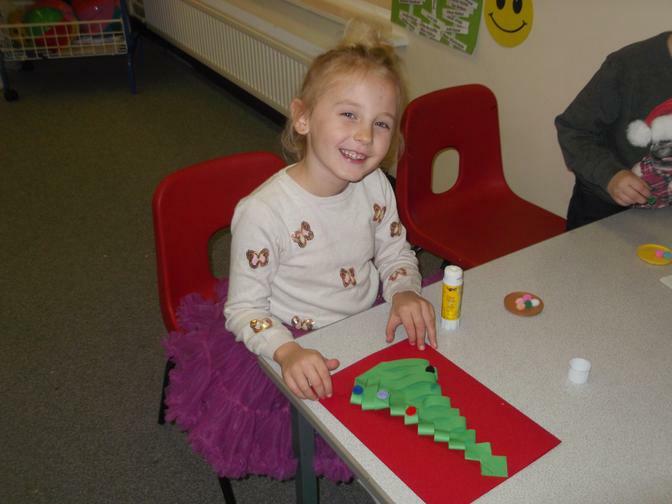 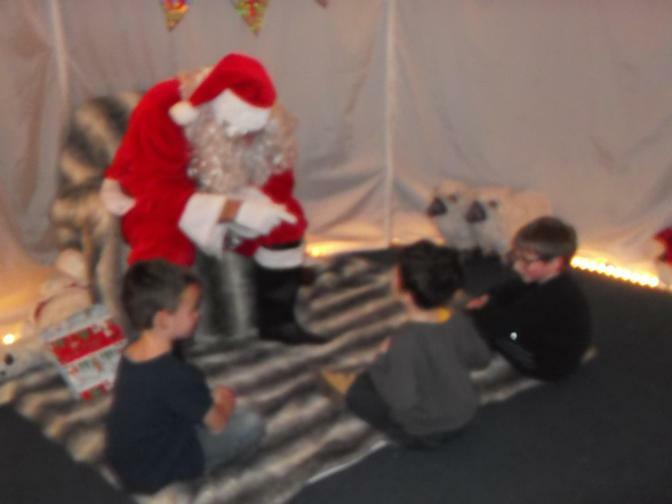 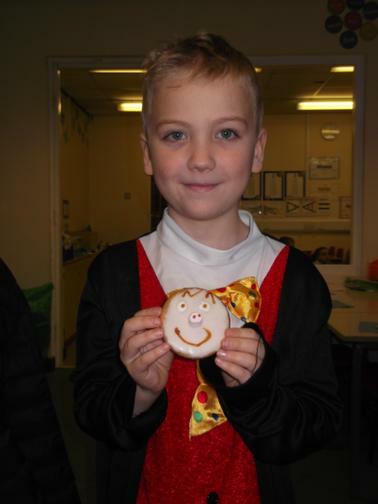 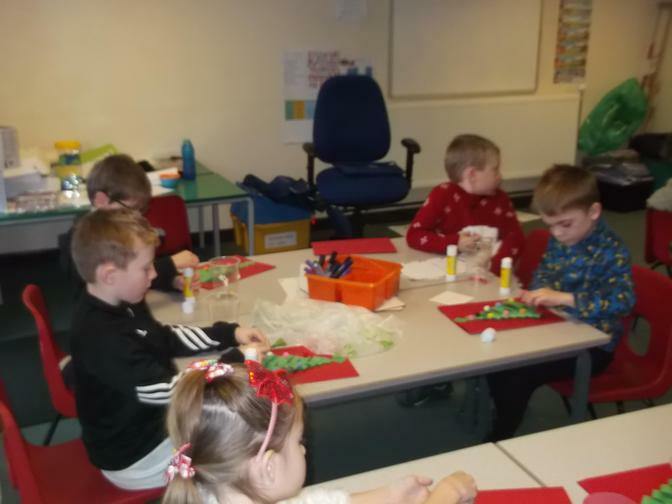 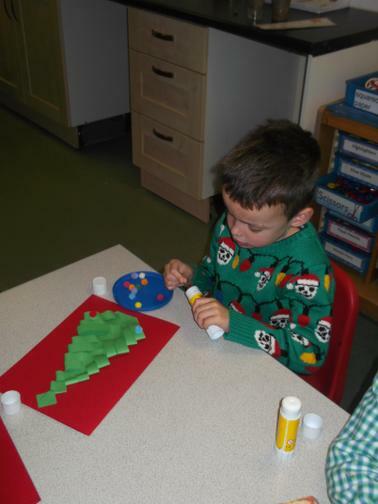 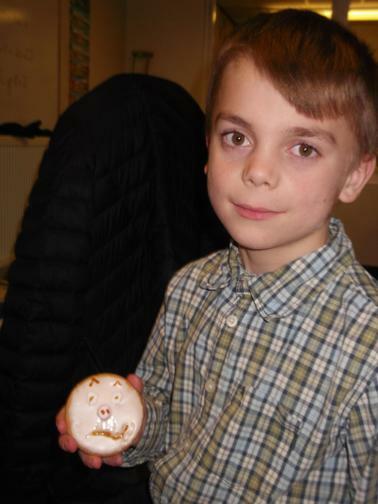 Guess who came to visit Year 2 at the Christmas party? 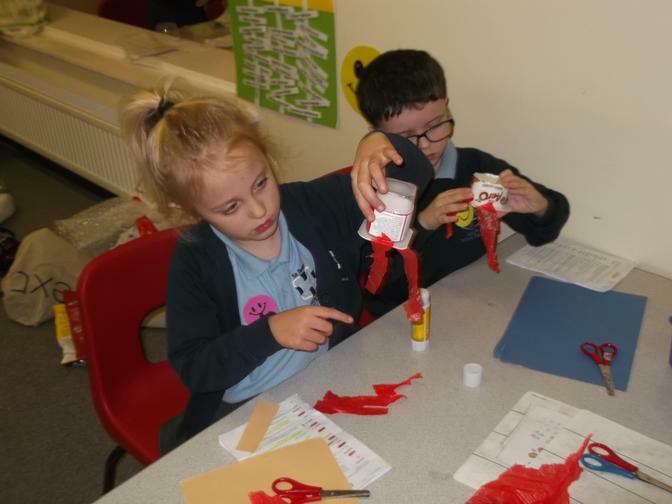 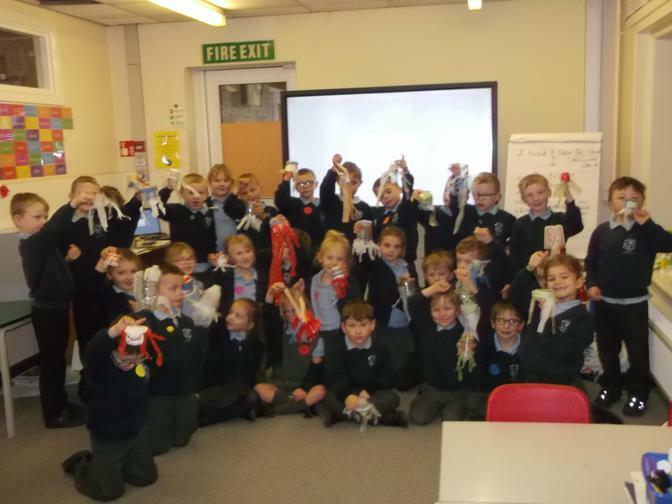 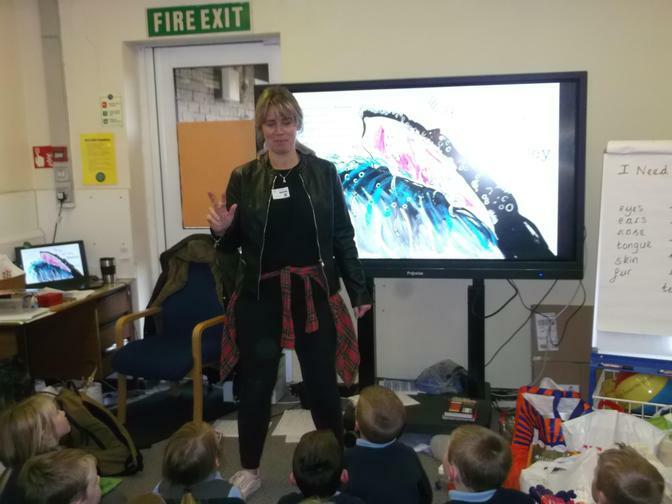 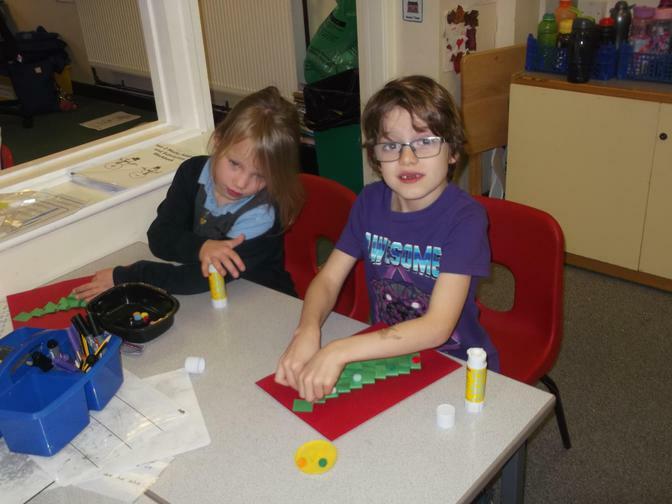 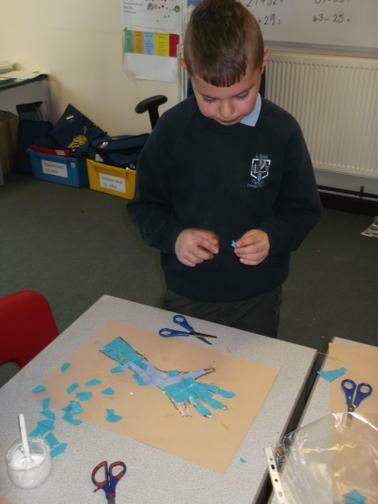 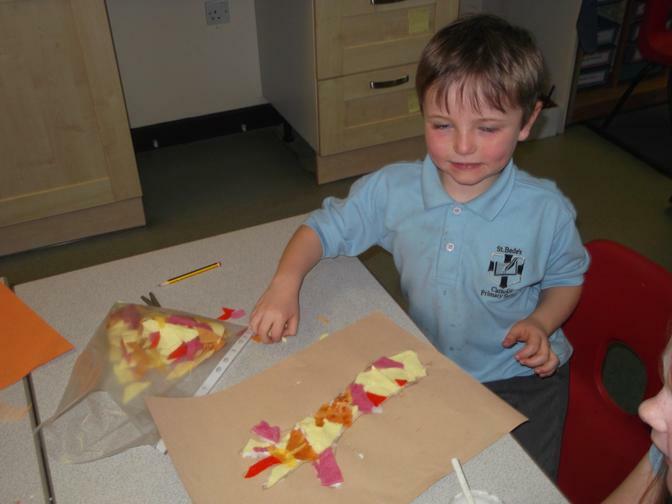 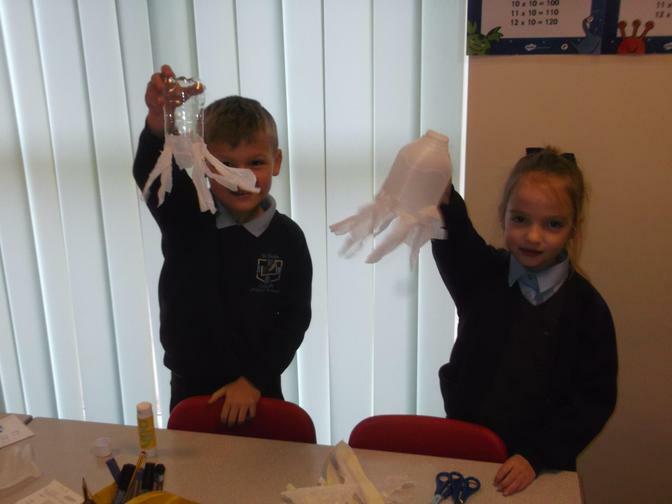 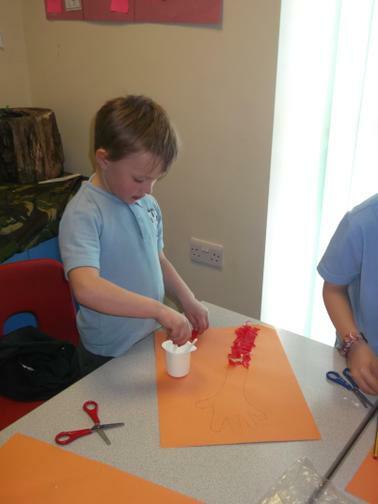 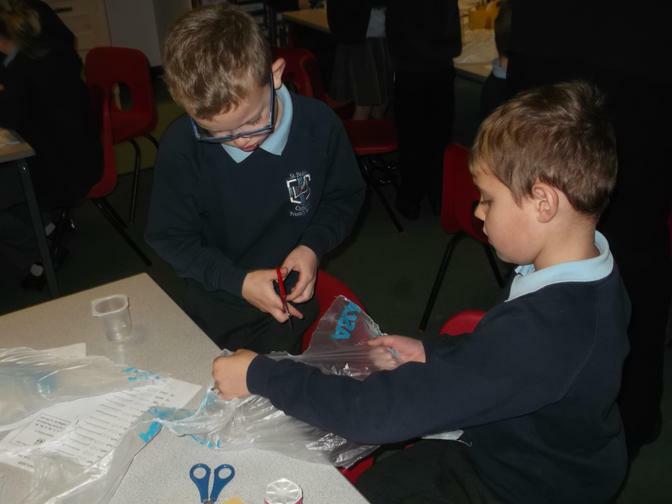 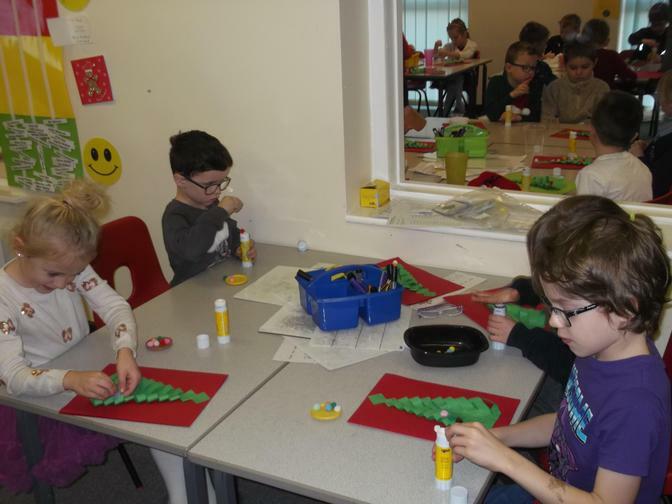 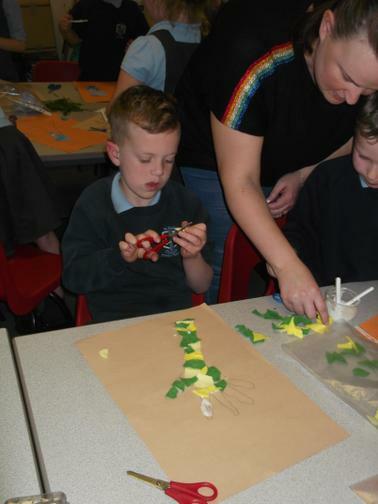 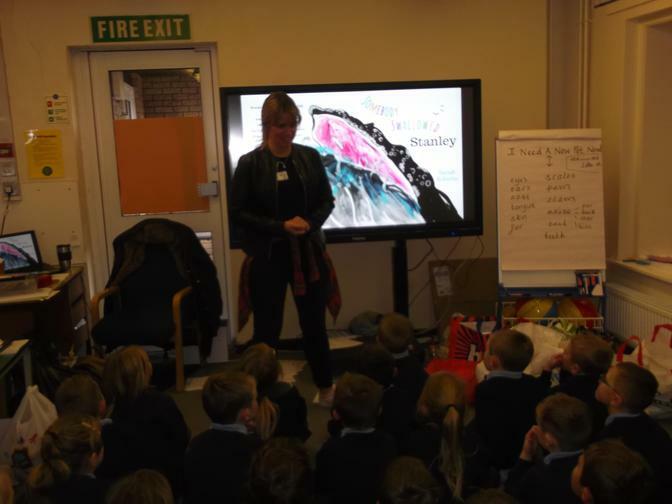 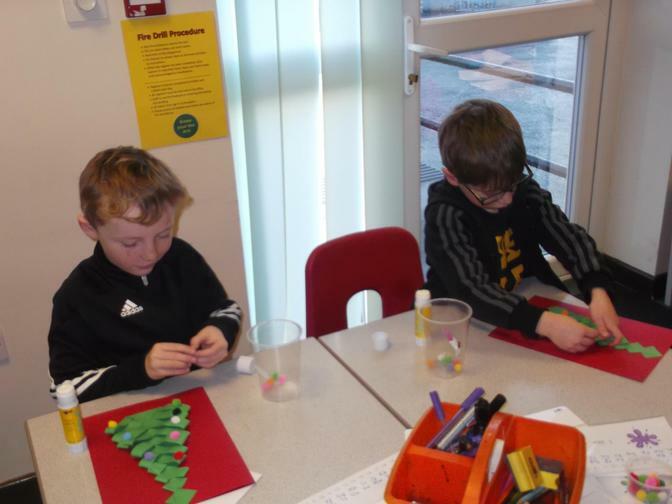 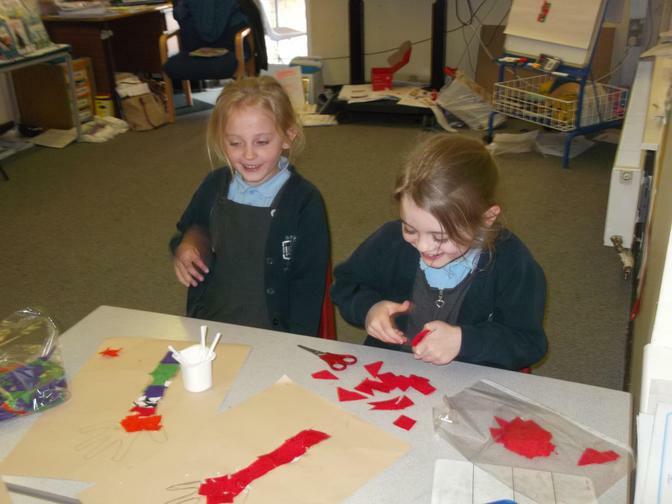 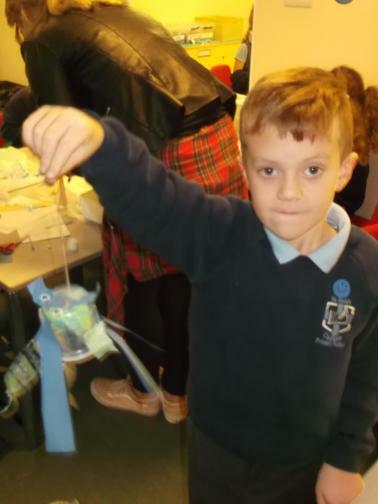 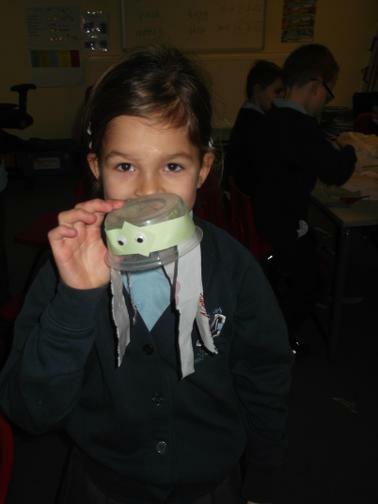 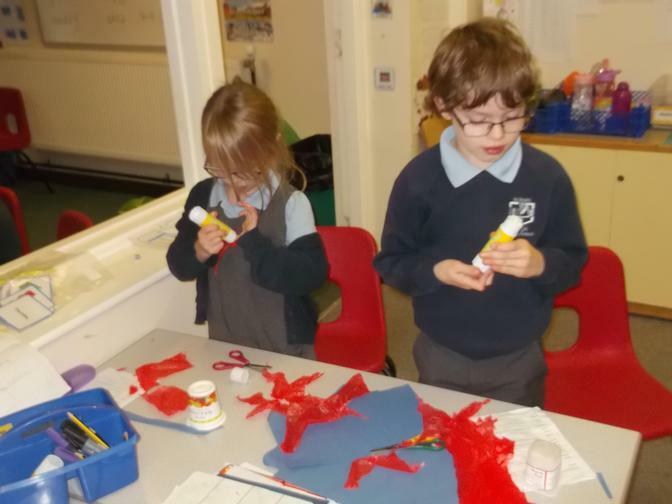 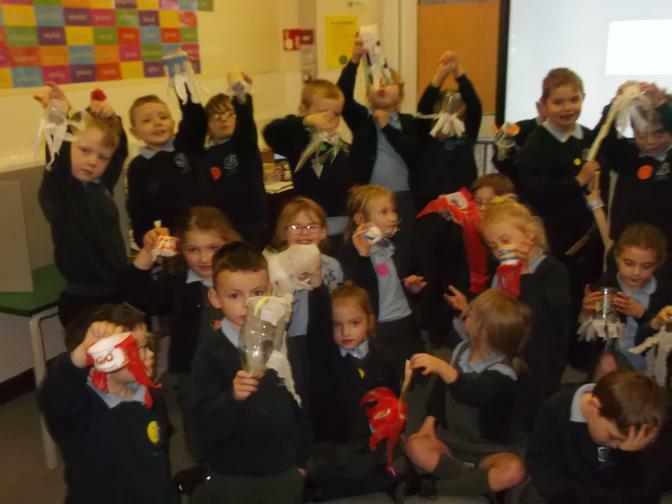 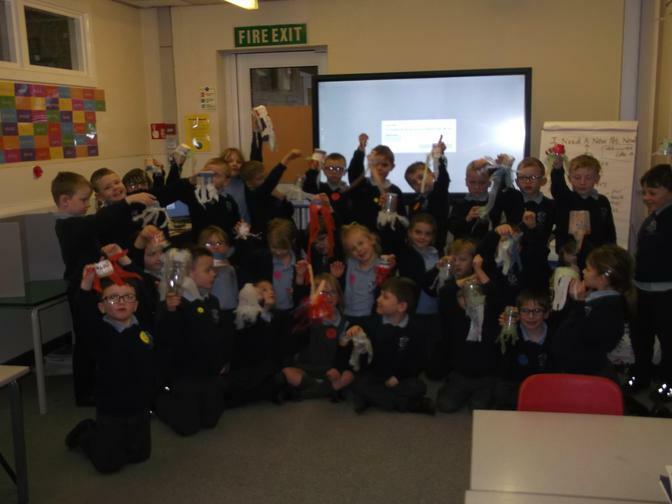 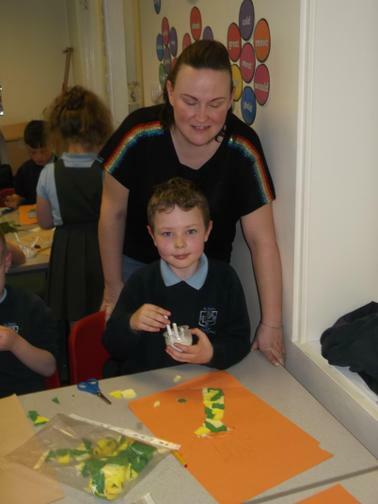 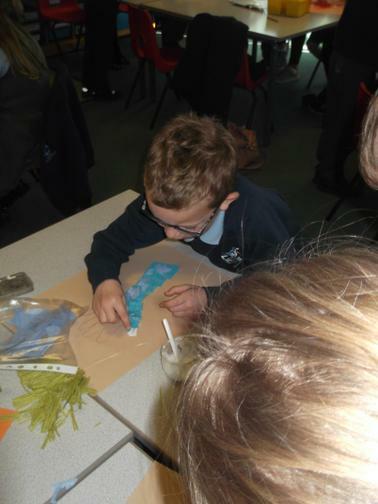 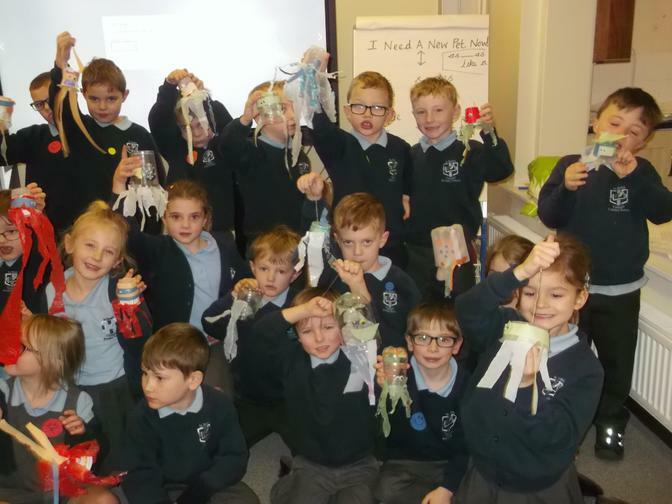 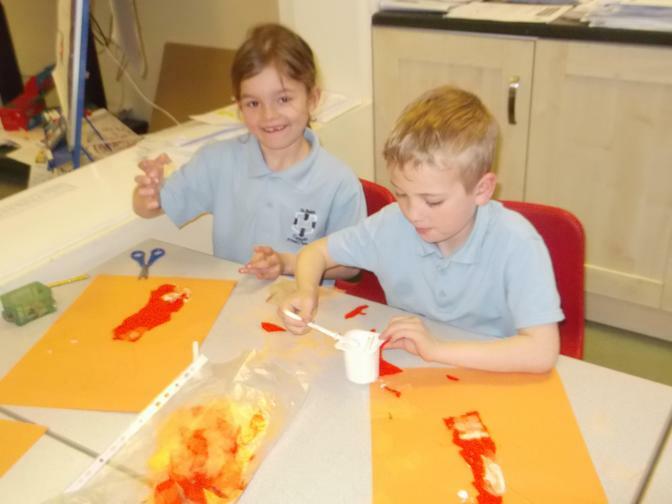 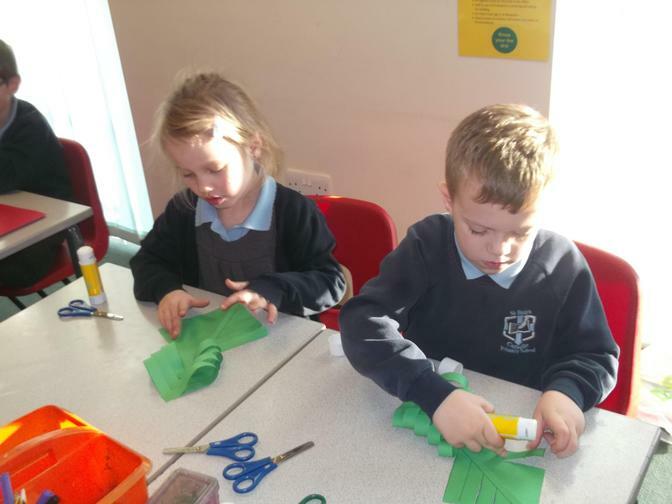 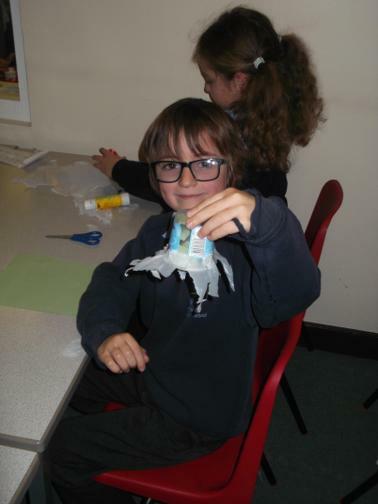 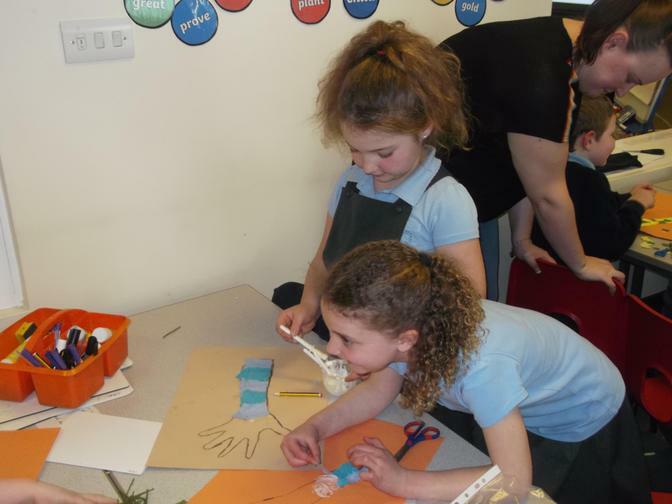 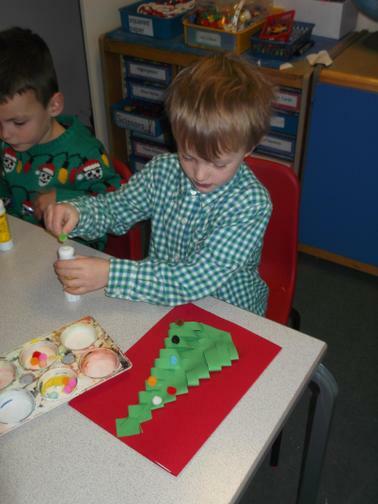 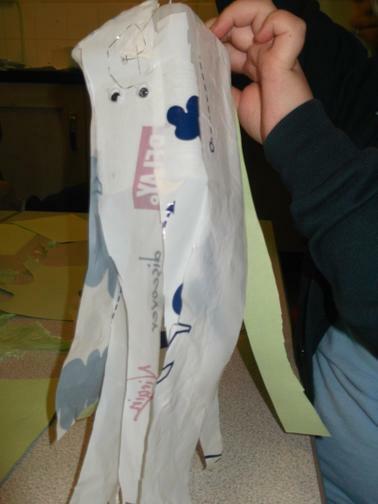 Plastics Day - making our own Stanley the jellyfish out of recycled plastic. 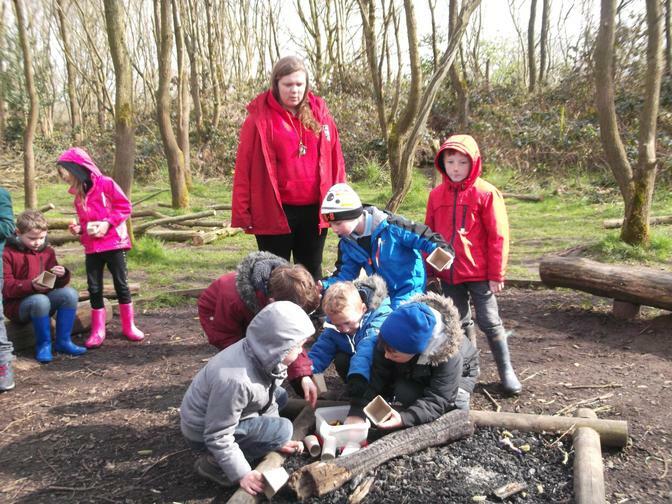 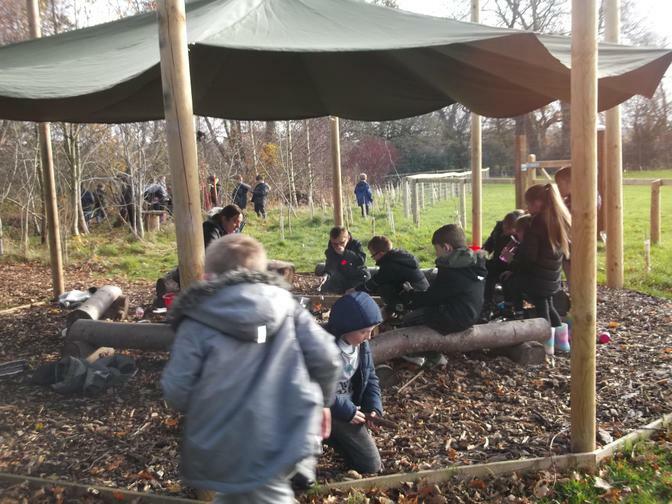 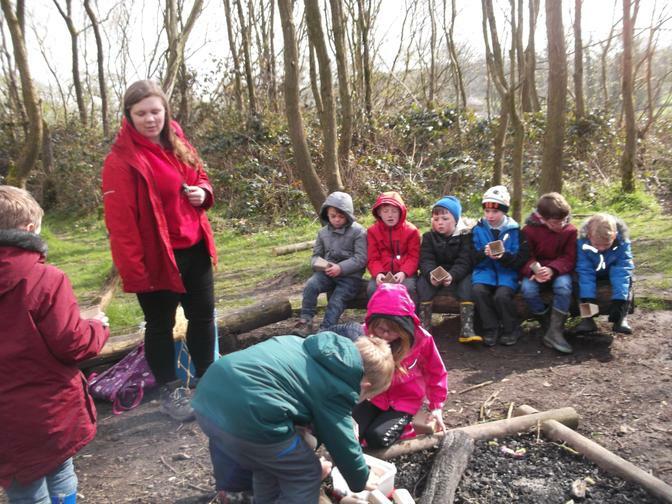 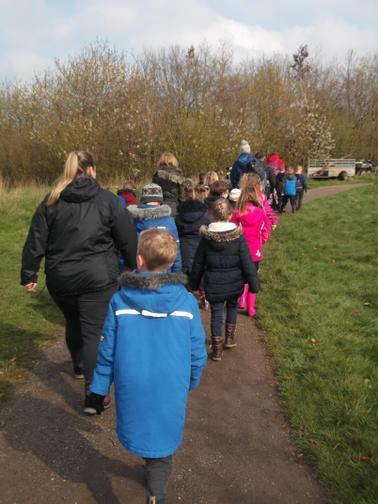 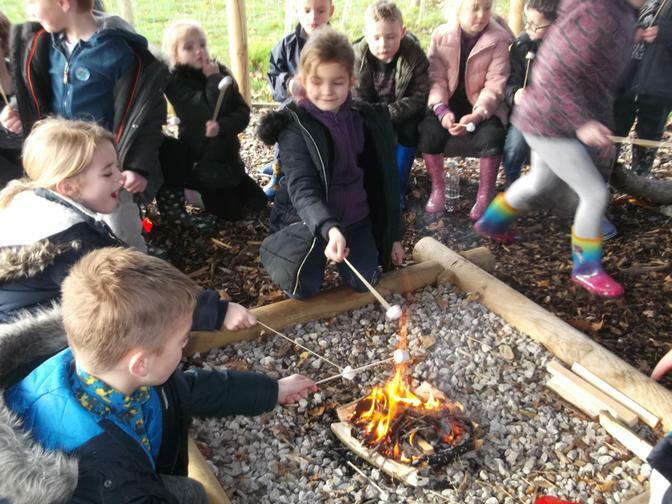 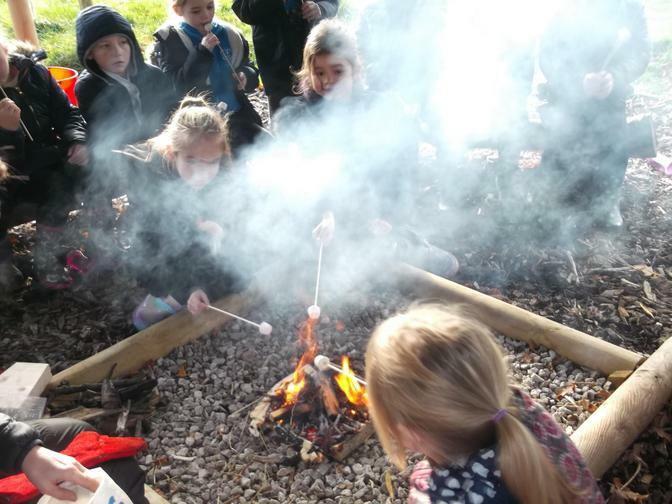 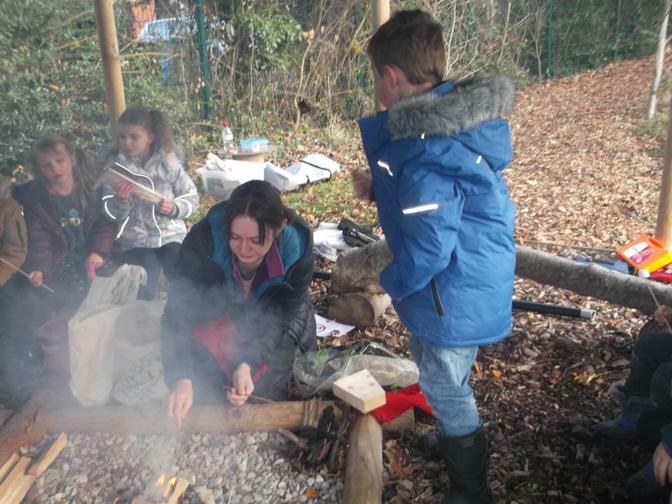 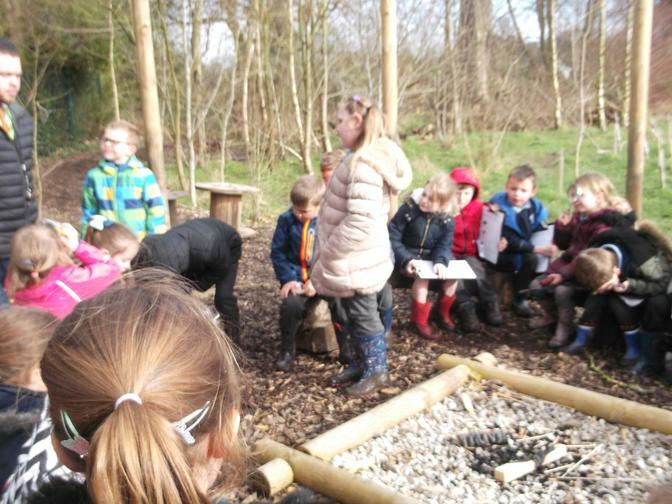 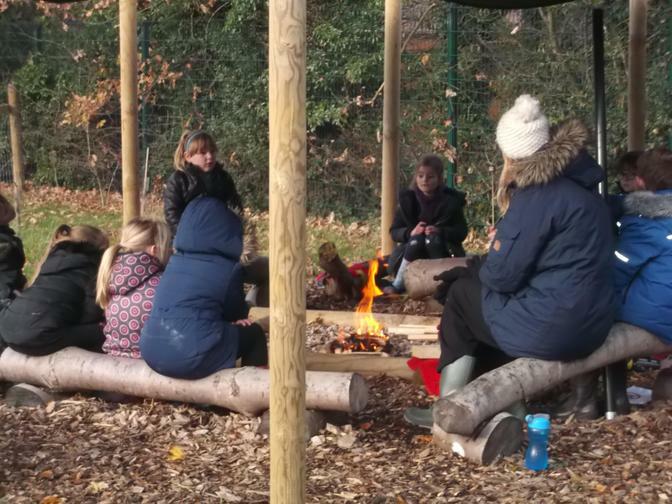 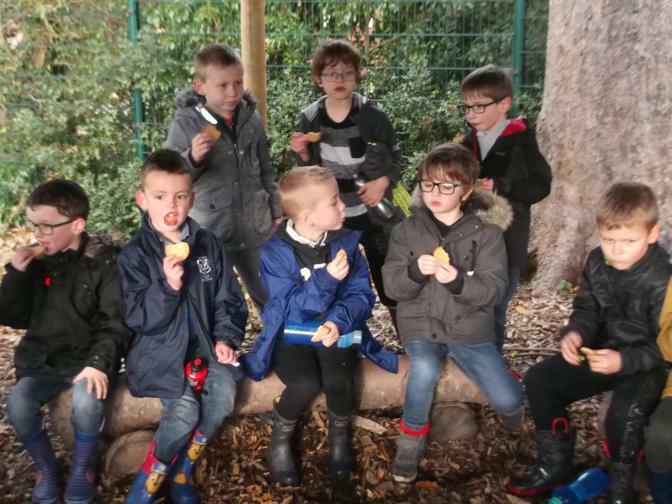 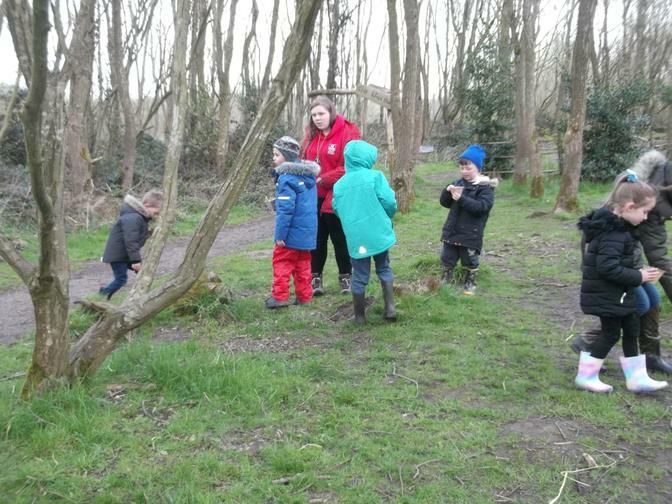 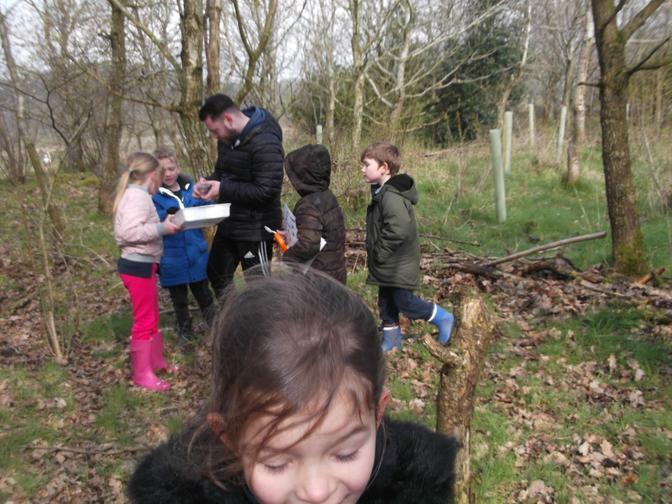 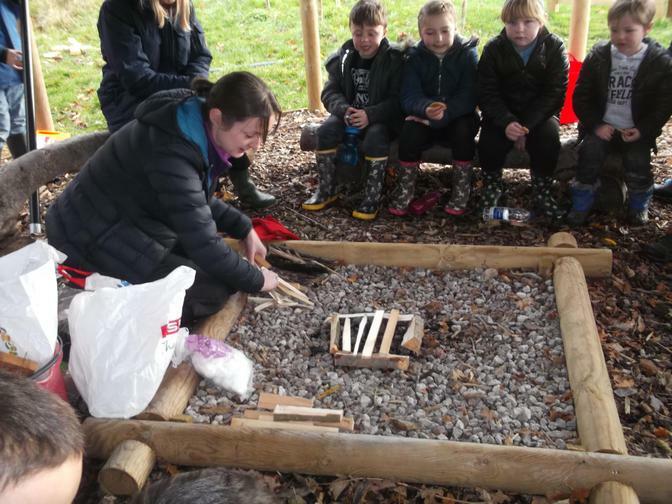 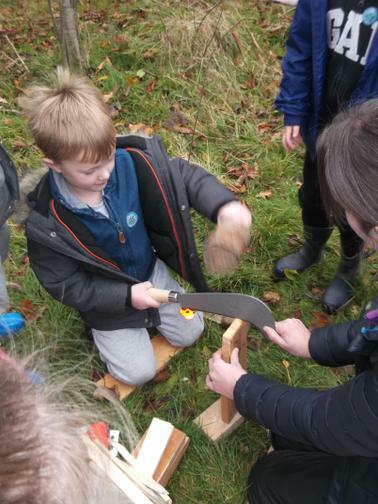 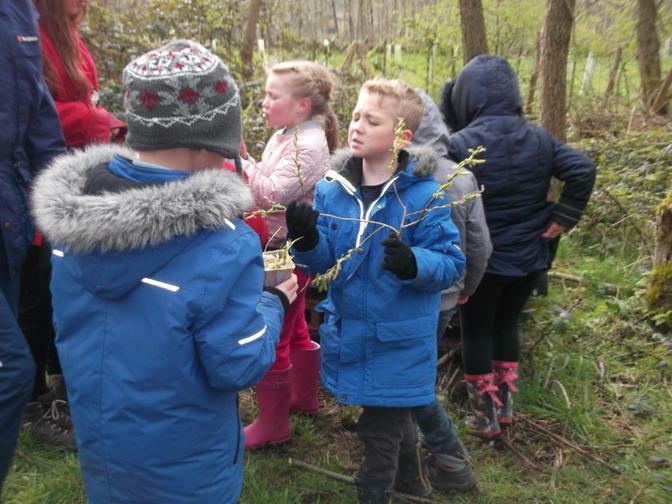 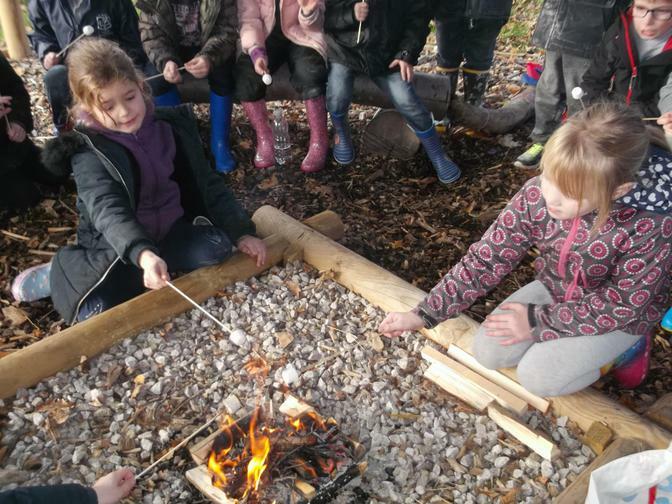 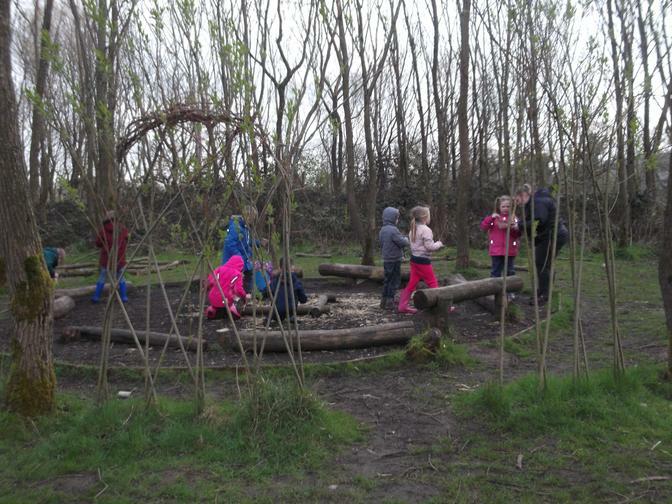 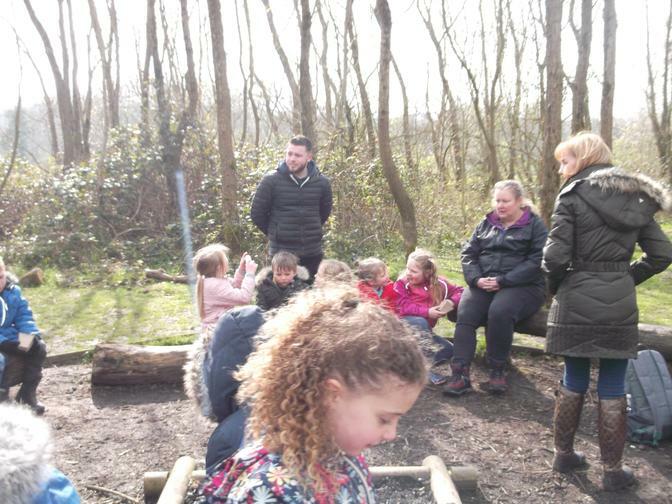 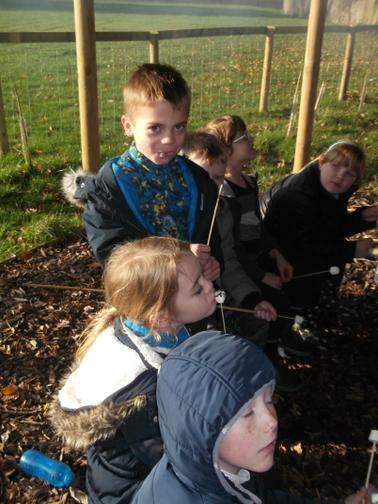 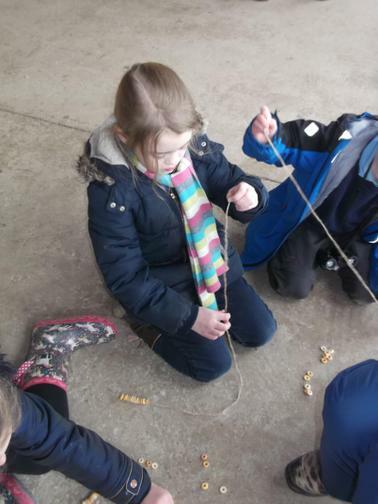 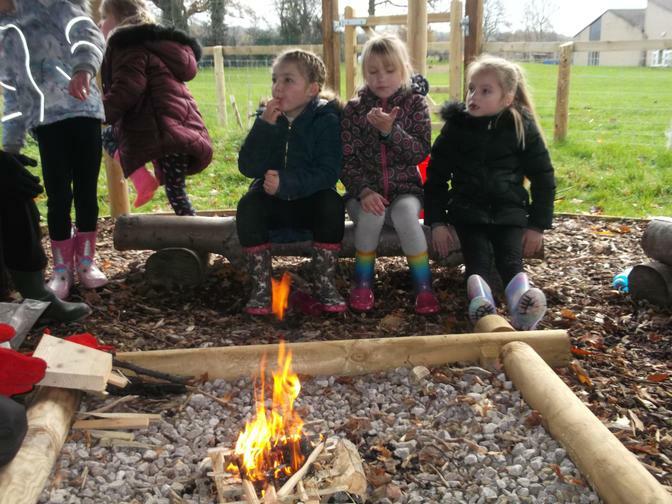 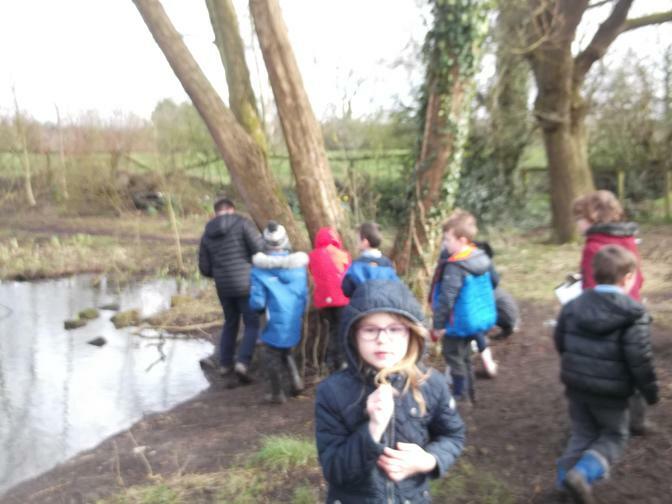 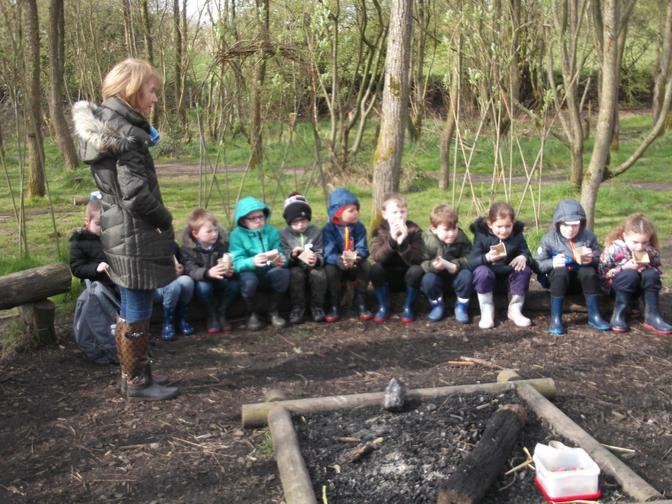 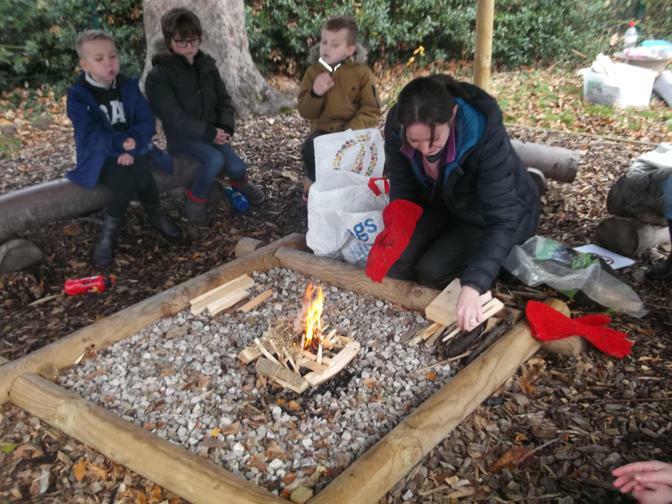 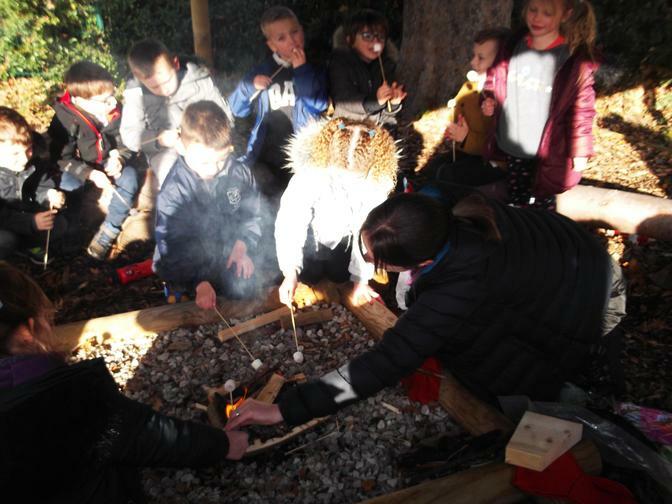 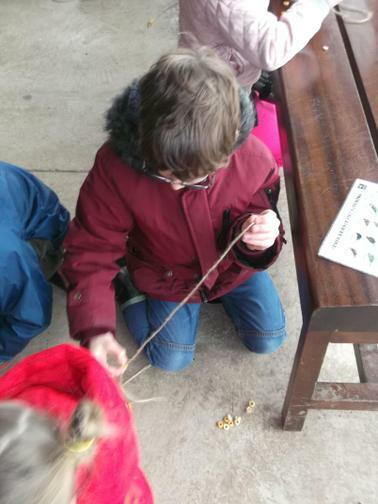 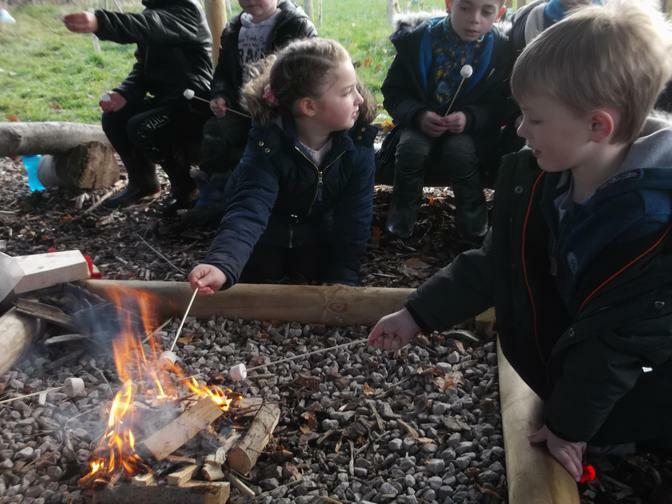 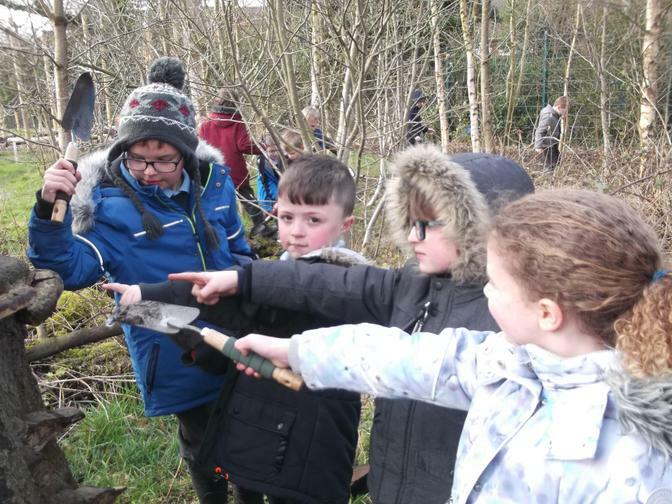 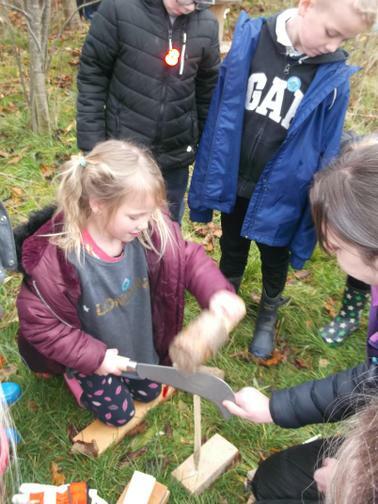 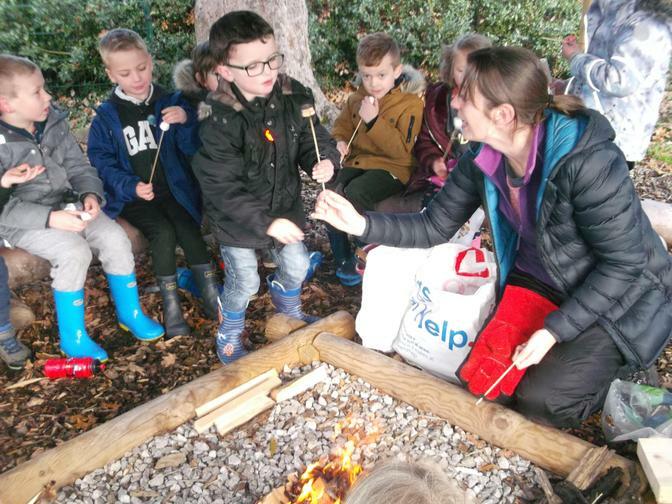 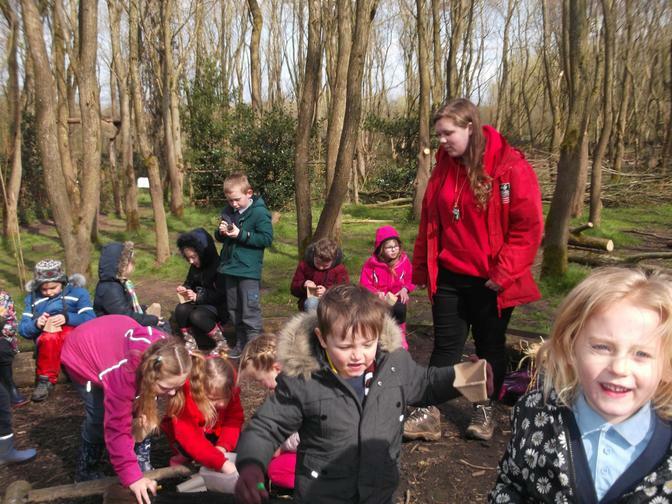 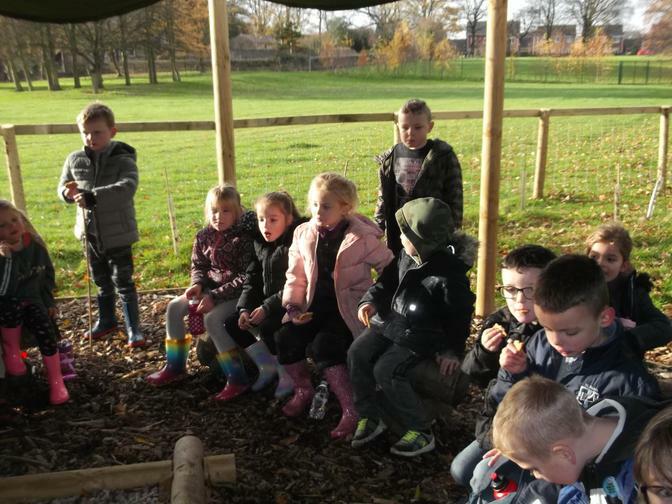 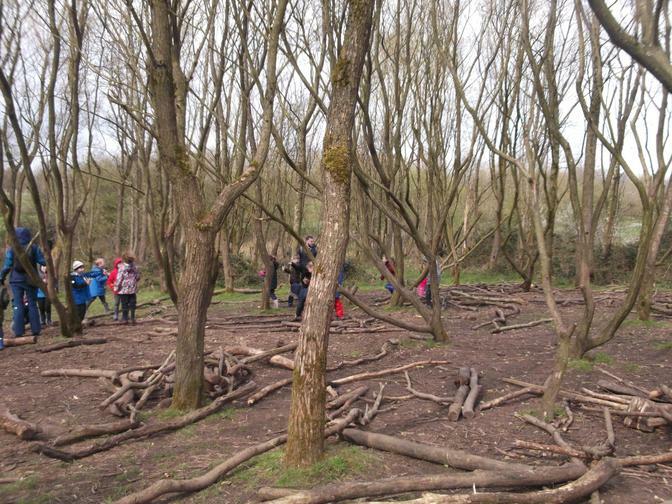 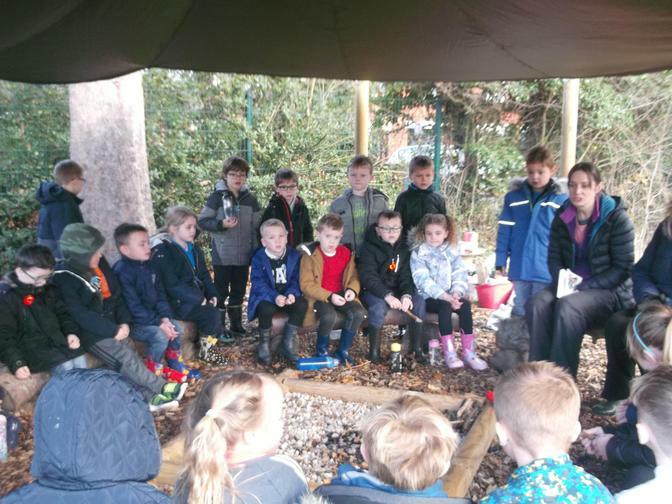 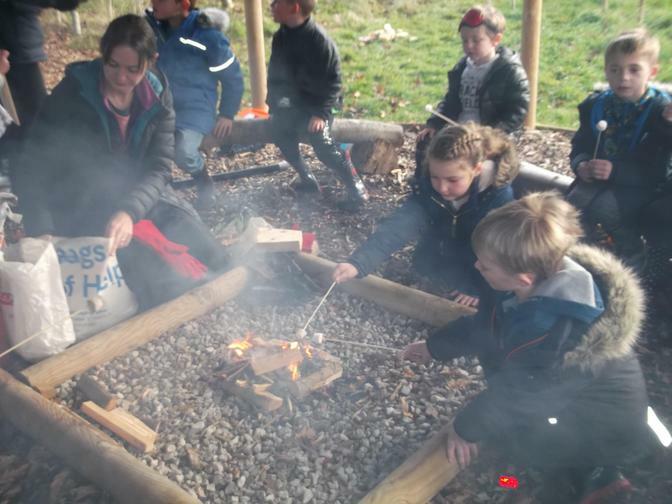 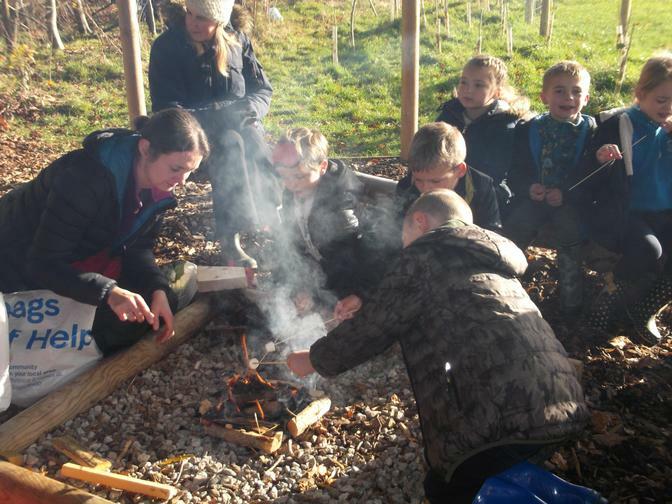 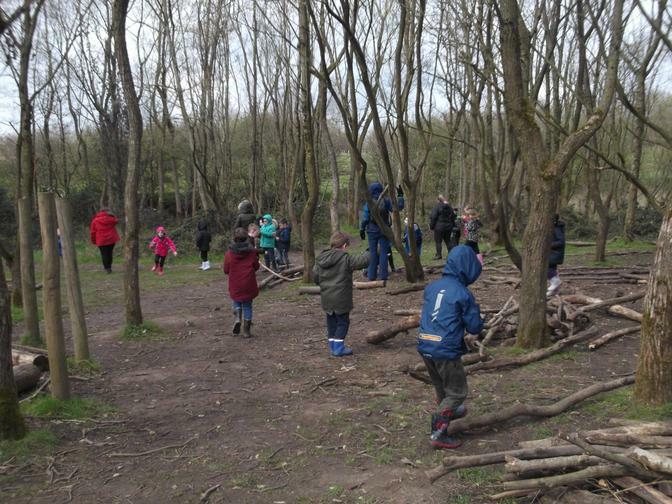 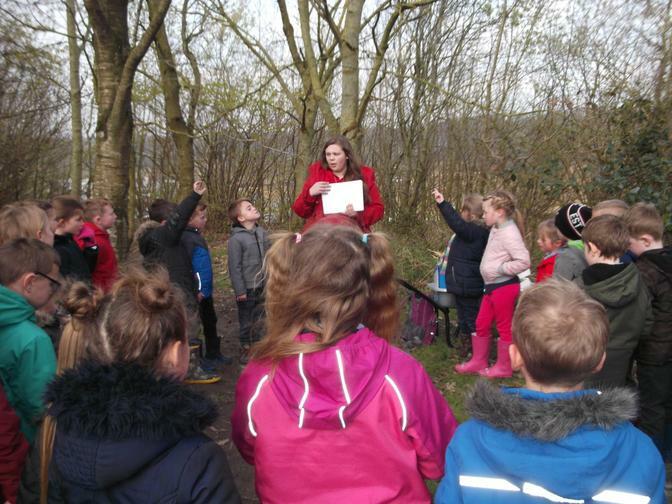 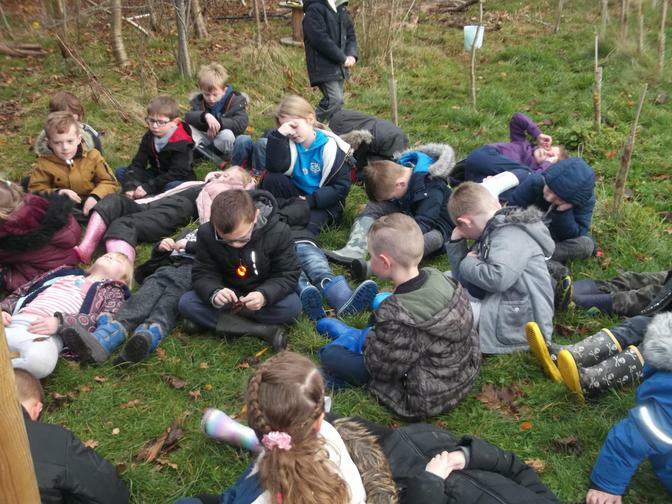 Year 2 enjoying their Forest School session. 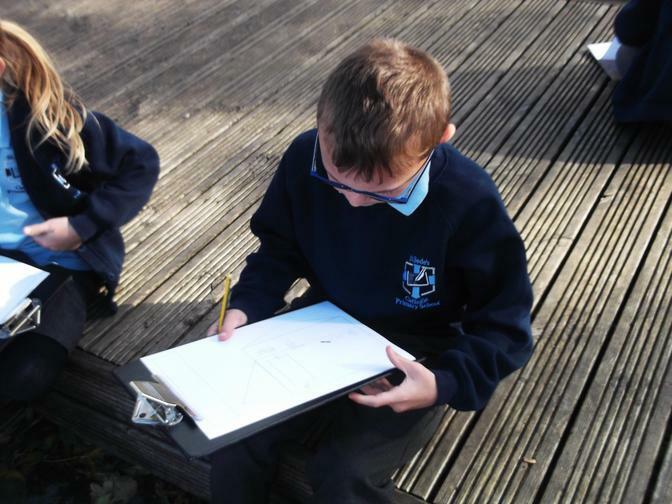 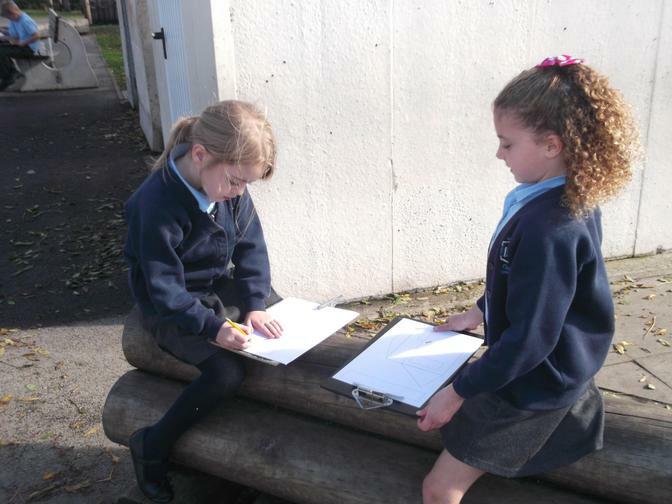 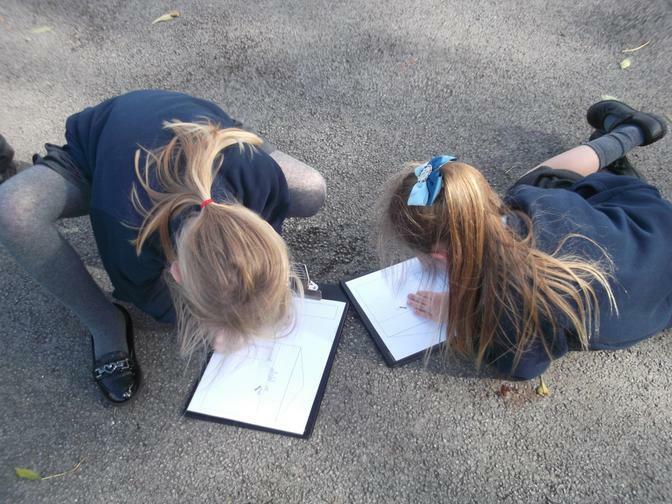 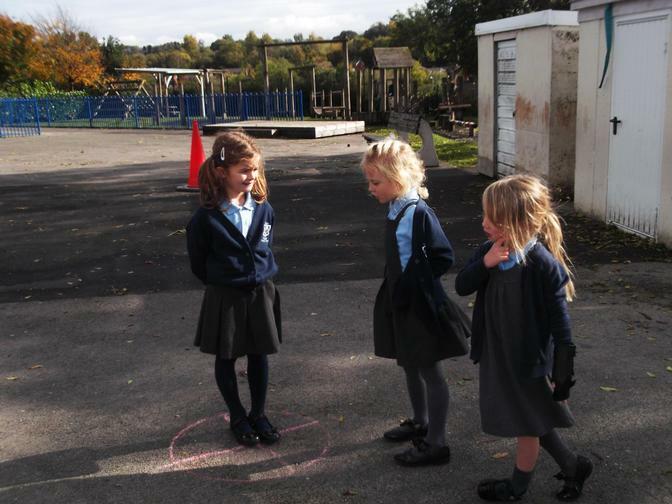 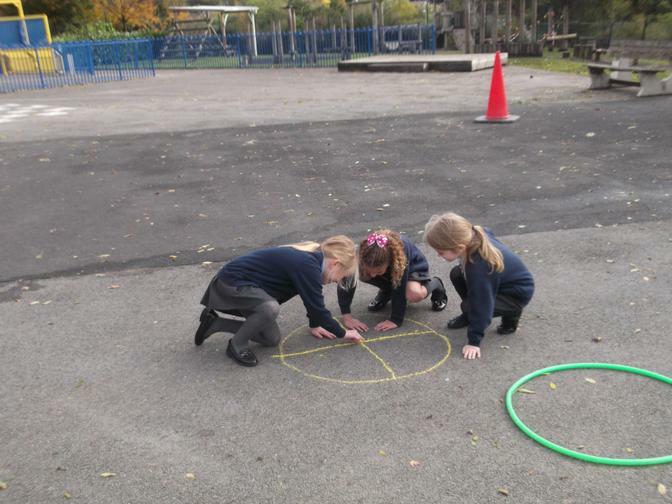 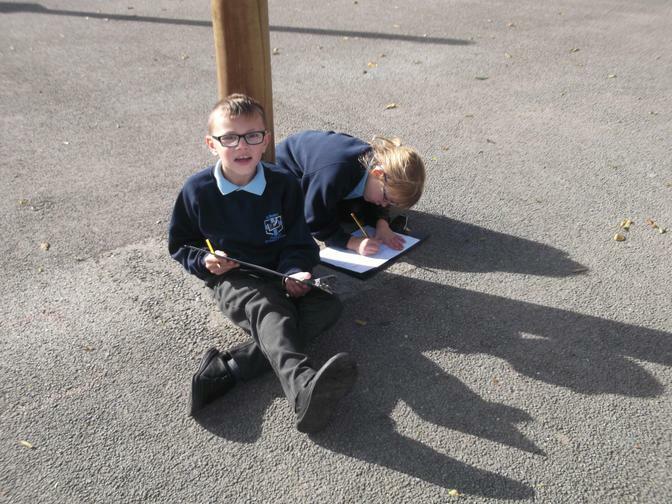 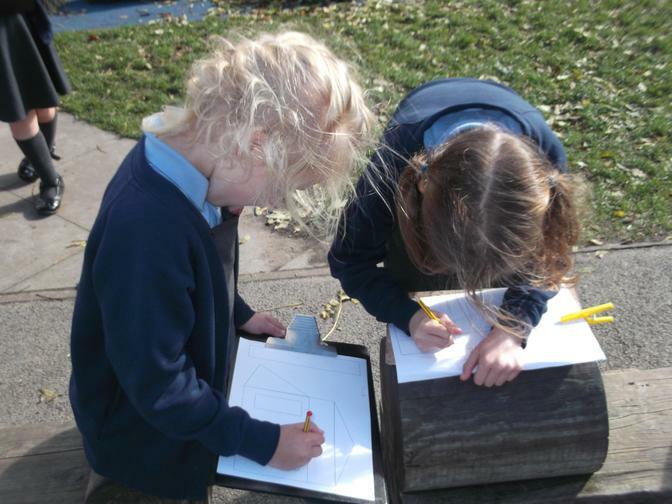 Working together to position physical and man-made features on our school playground plan. 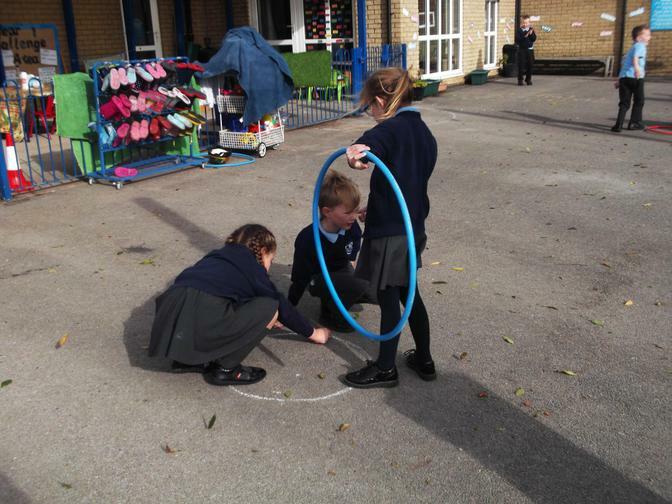 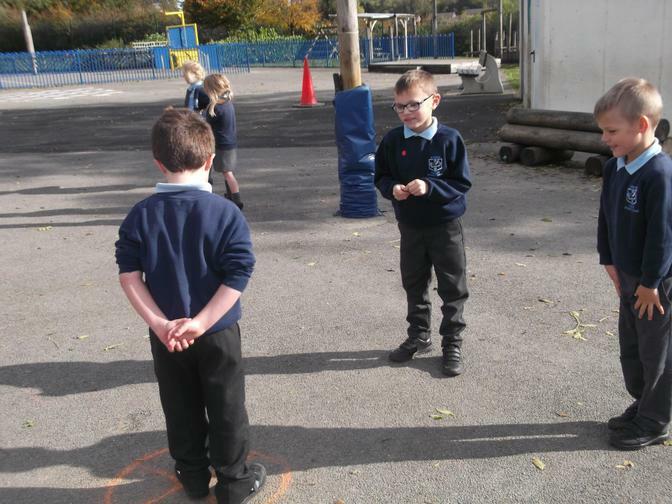 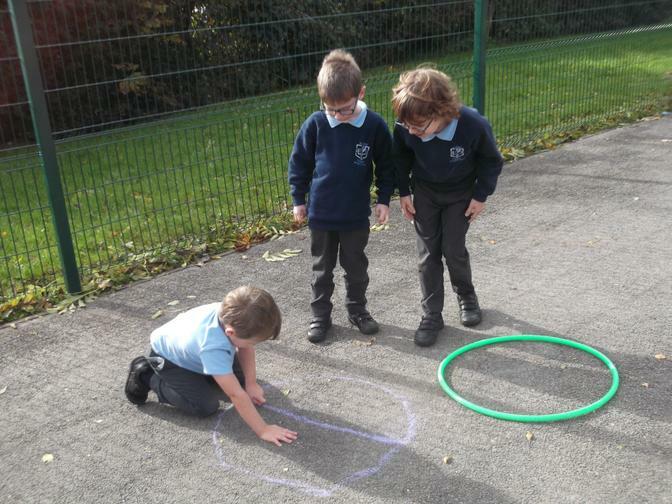 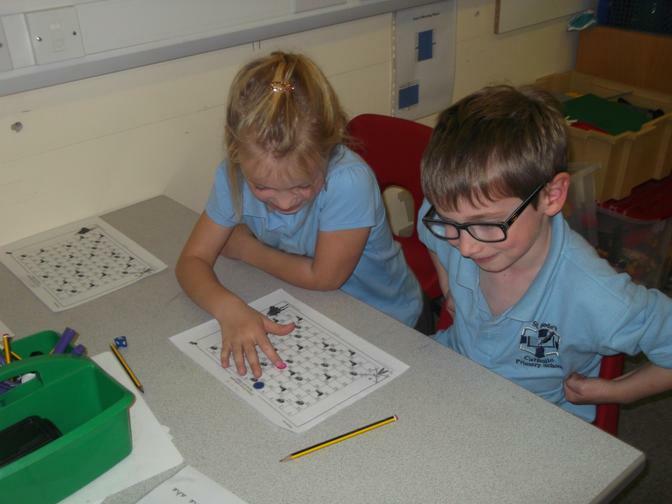 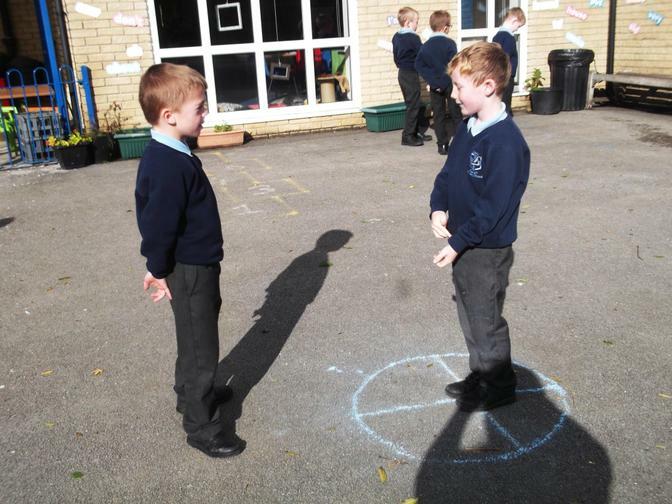 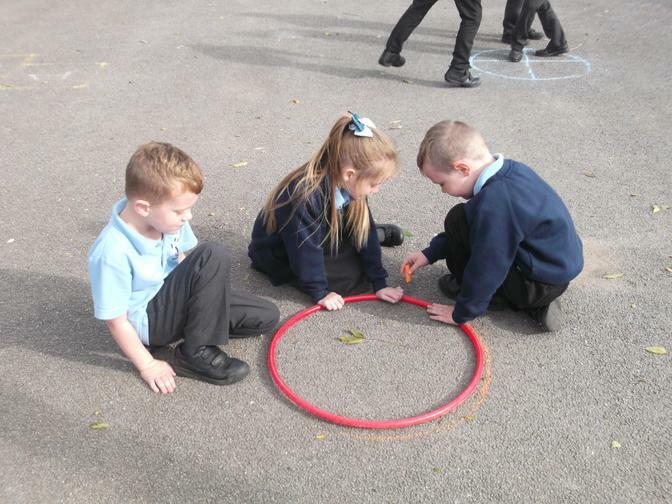 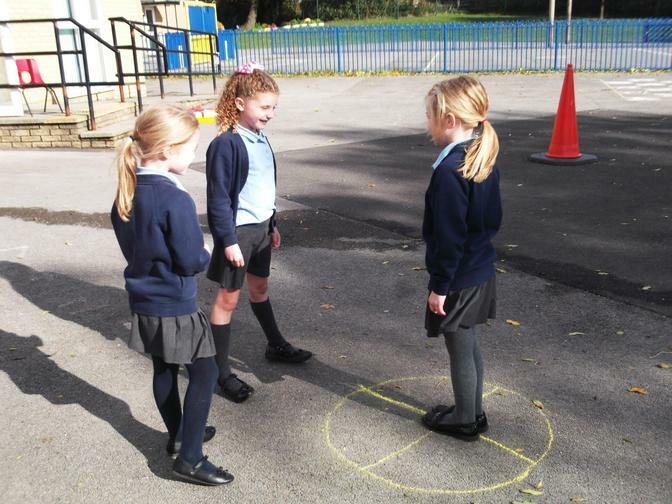 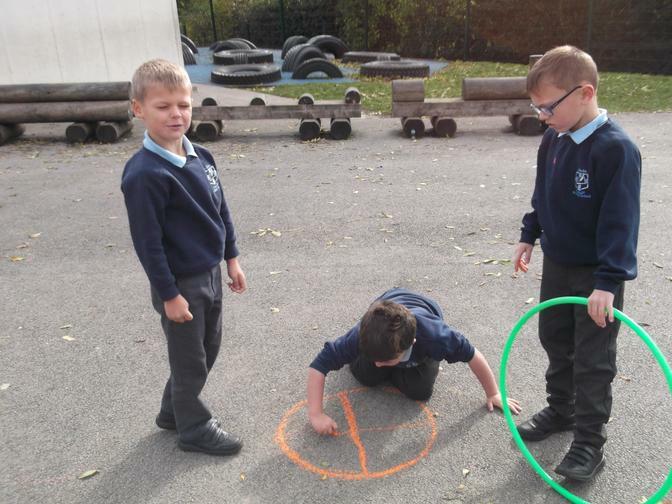 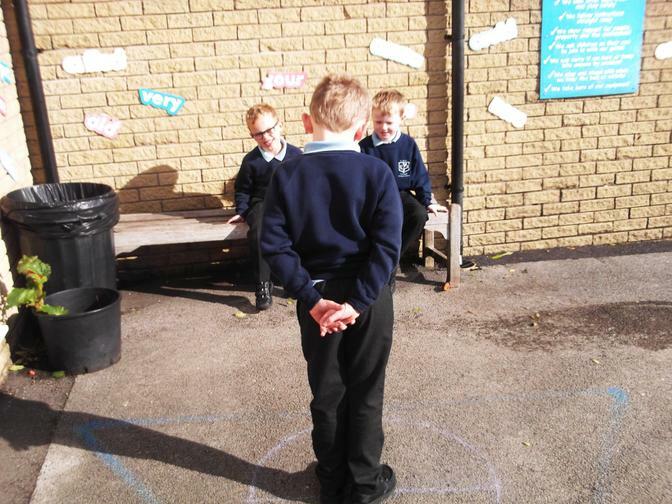 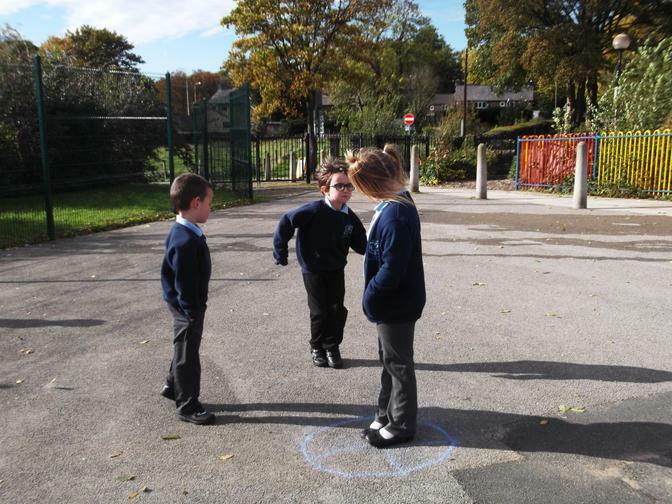 Practising making quarter, half and full turns, clockwise and anti-clockwise. 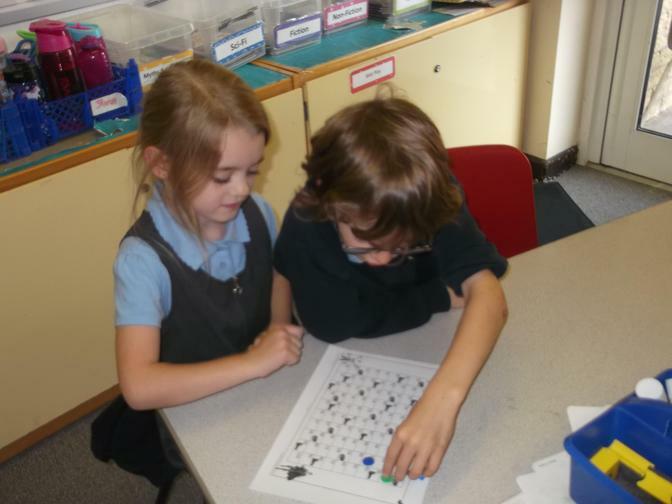 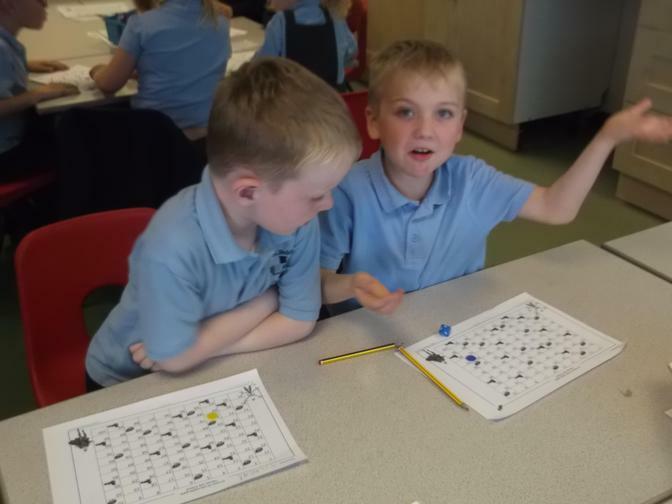 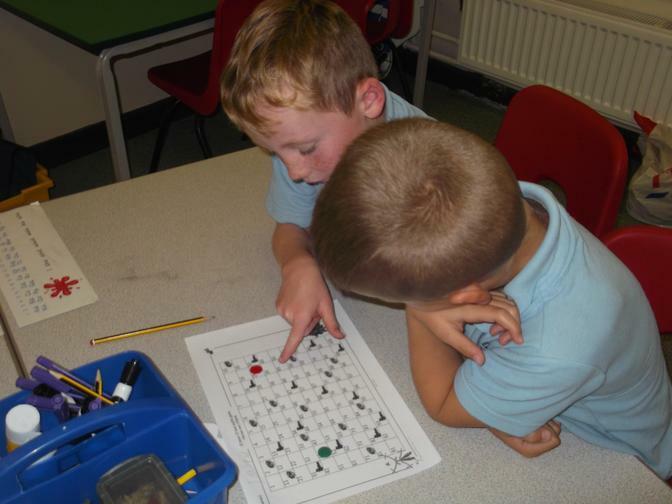 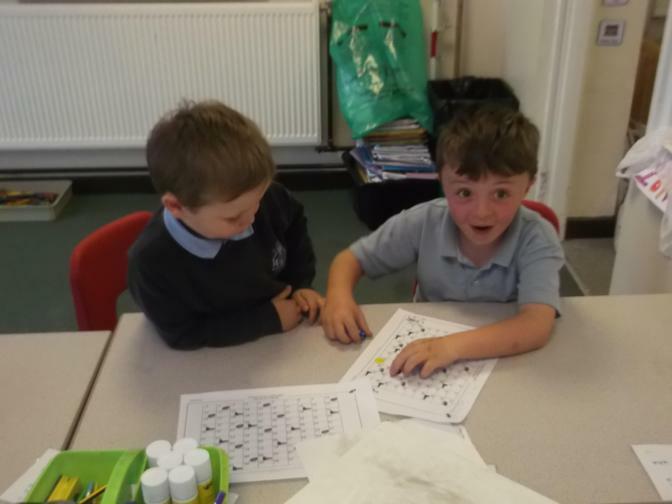 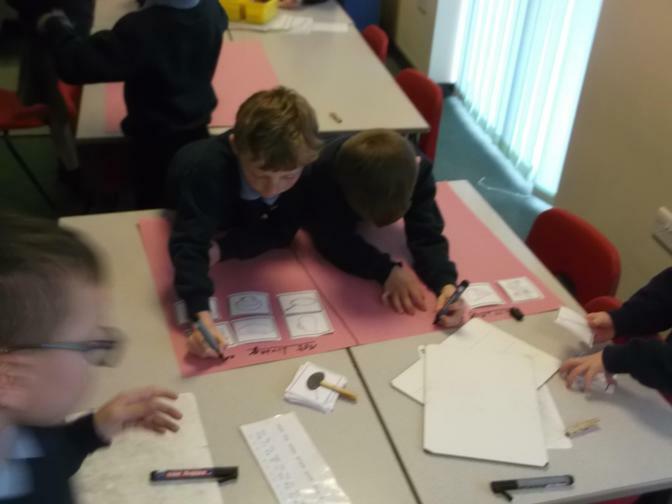 Playing Heroes and Villains - finding 10 more and 10 less. 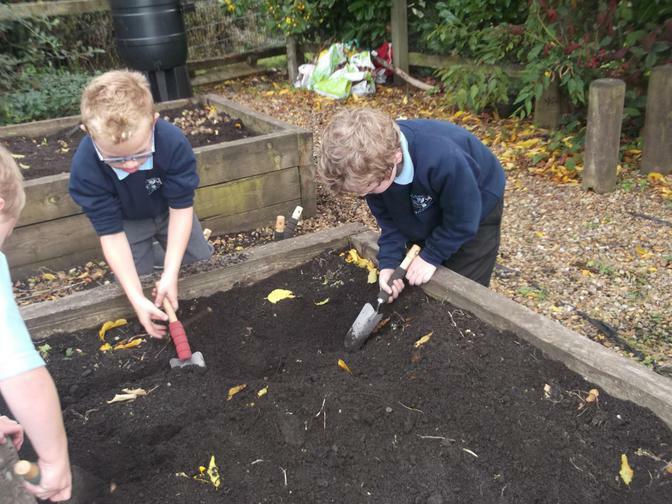 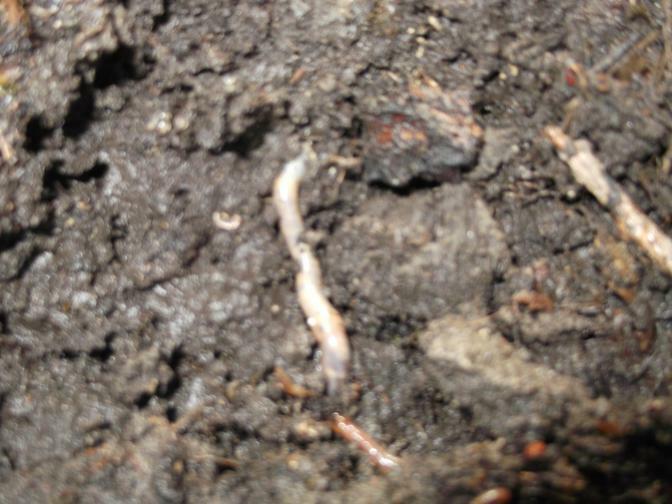 Preparing the soil for the planting of Spring bulbs. 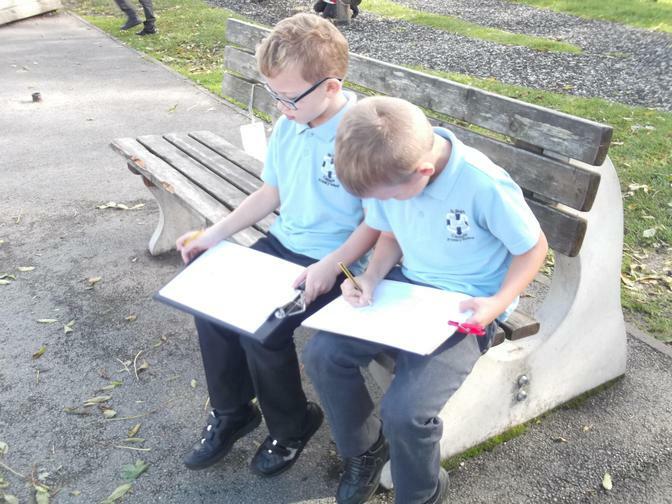 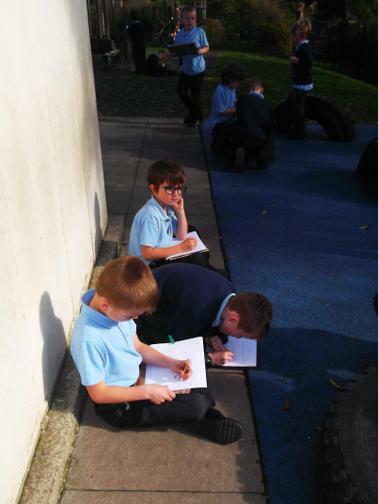 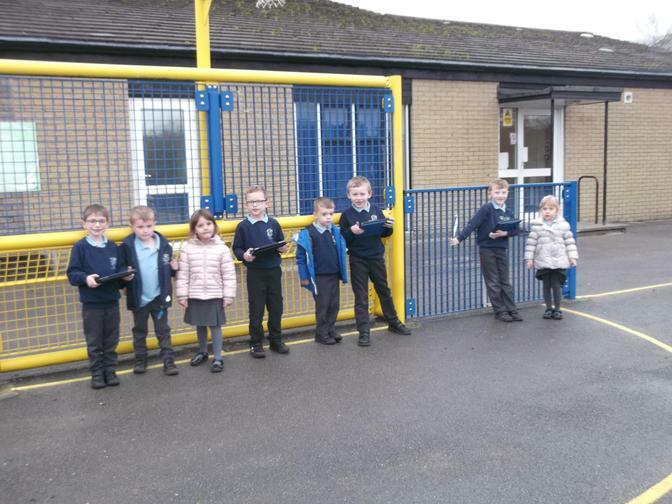 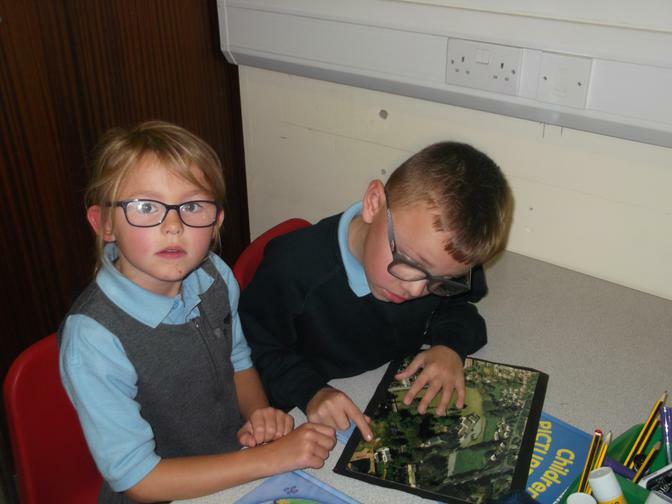 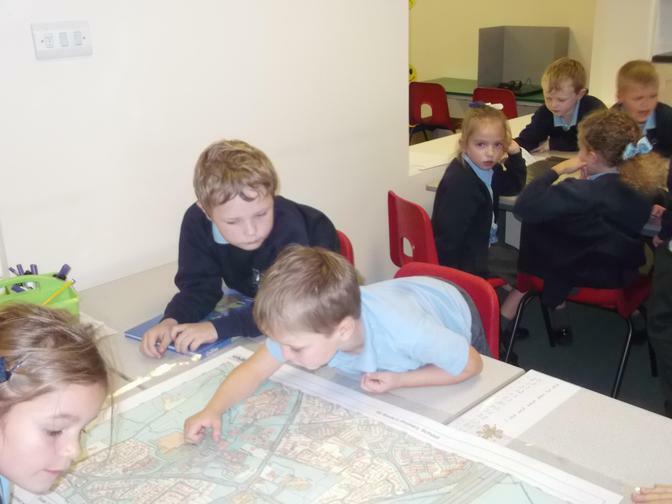 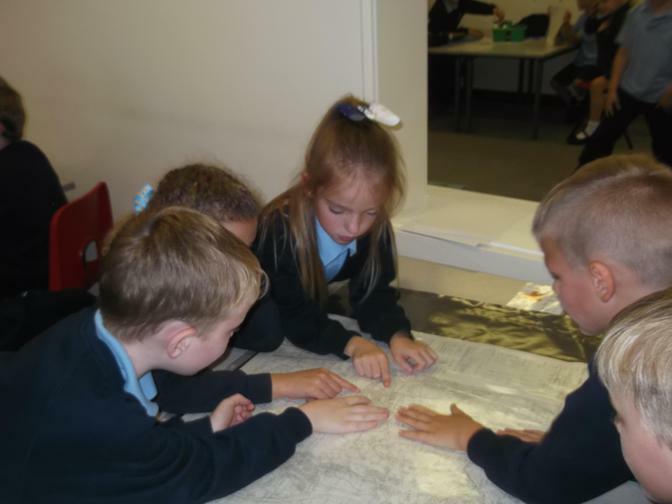 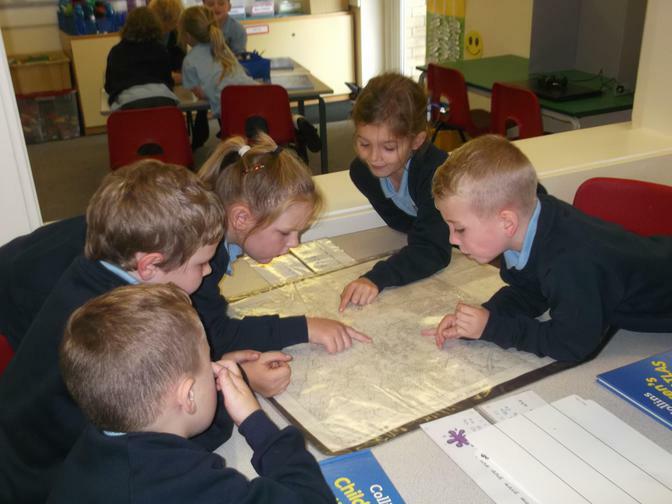 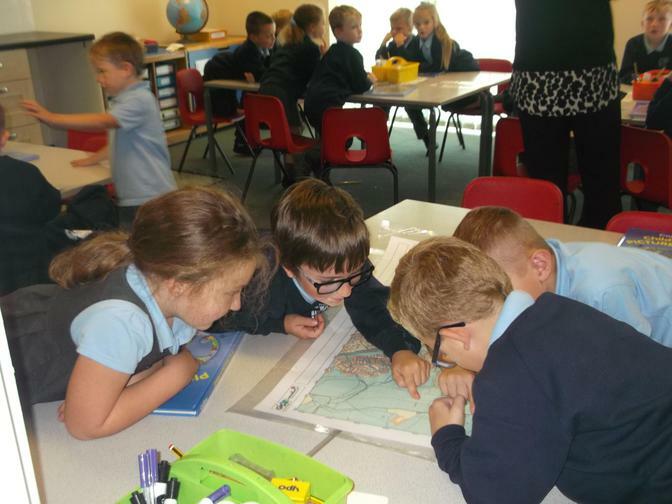 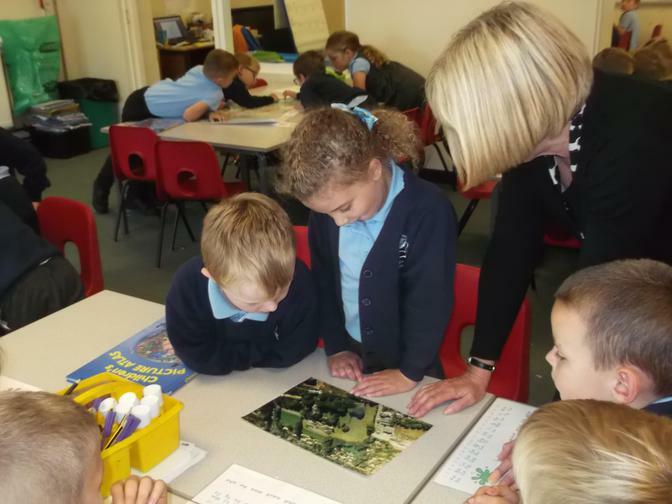 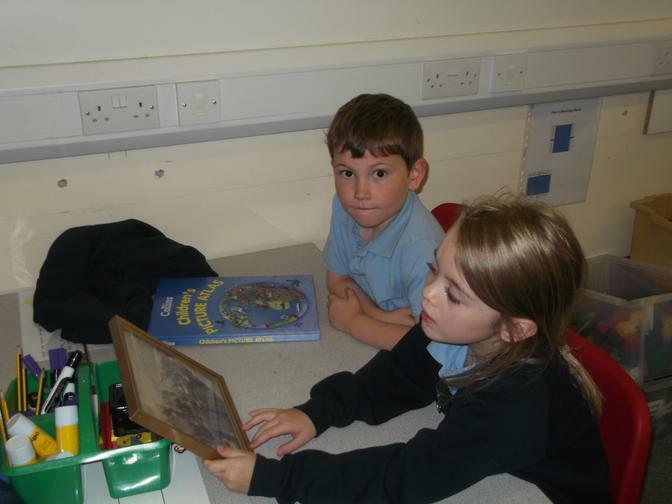 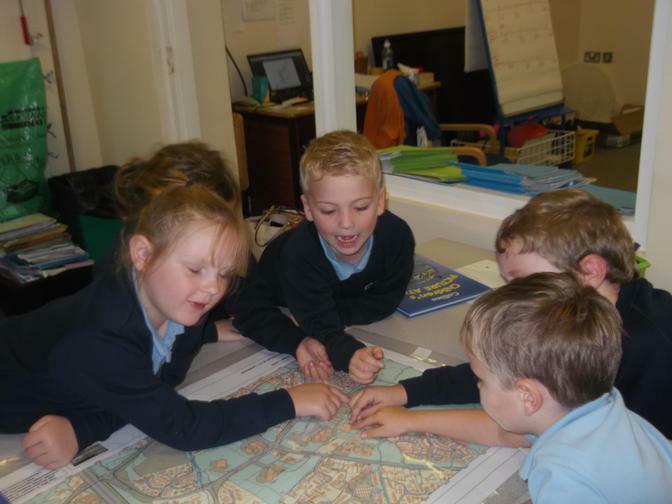 Observing our school and local area in days gone by. 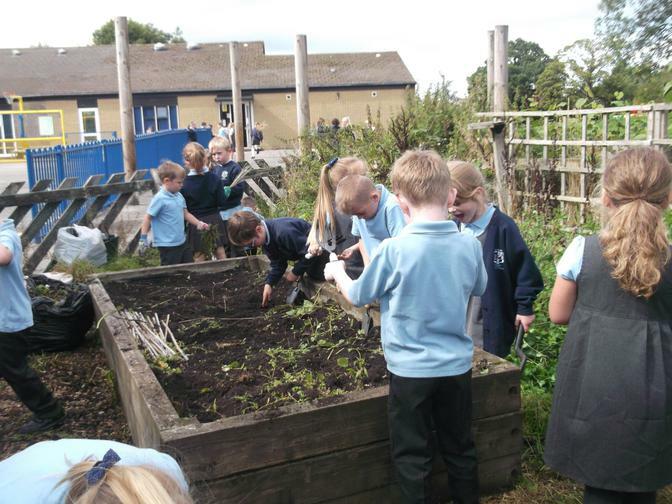 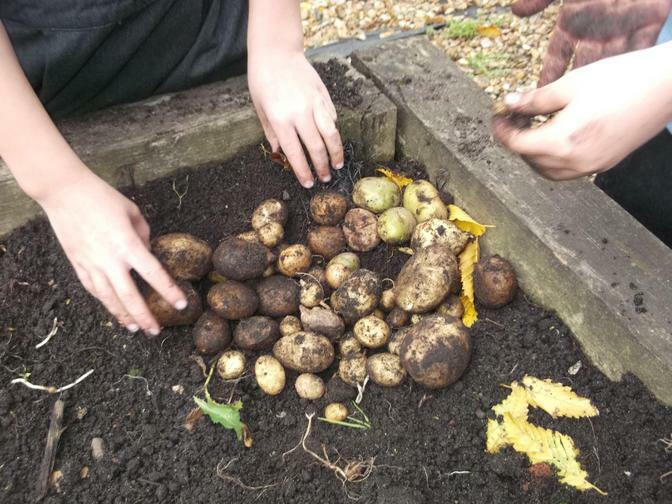 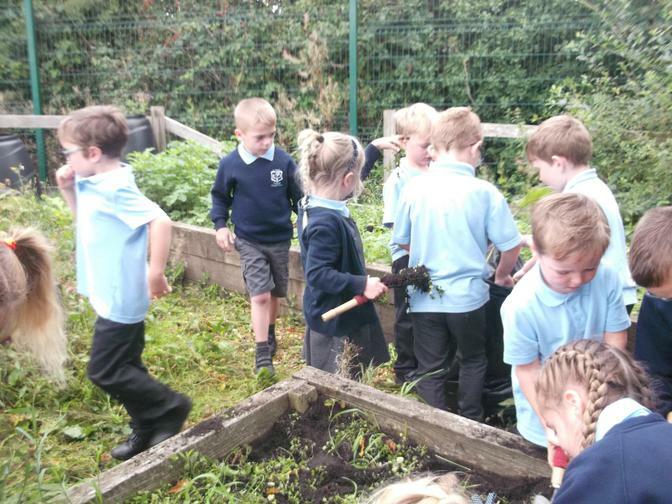 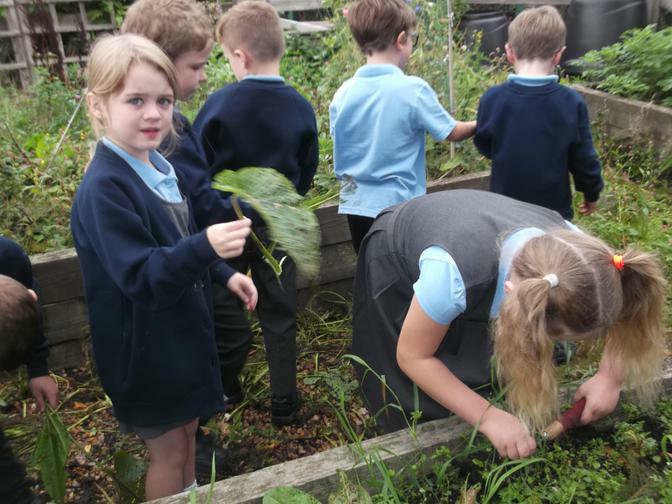 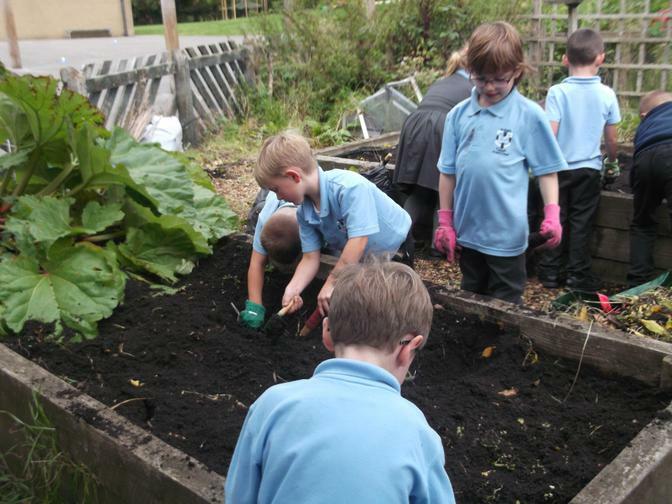 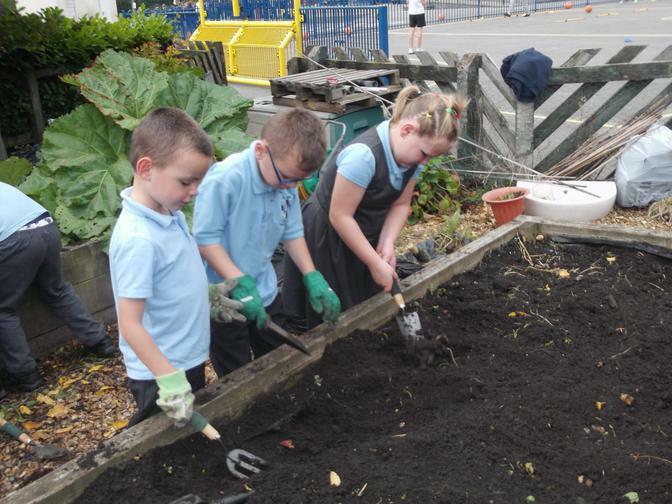 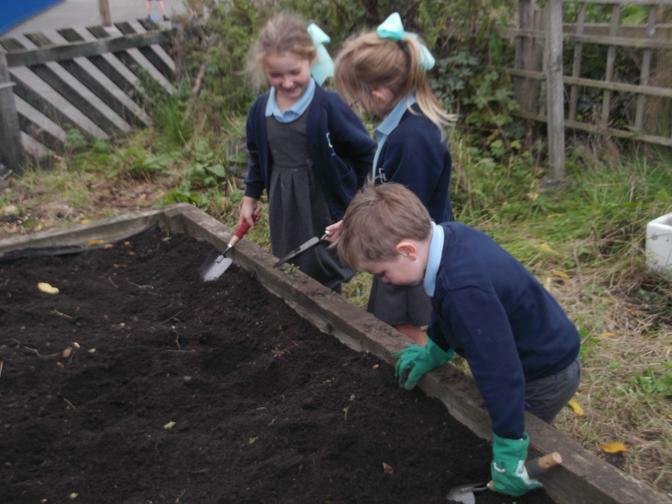 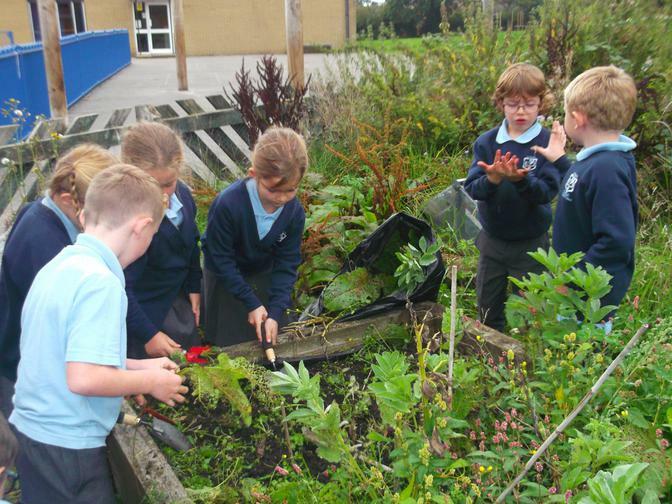 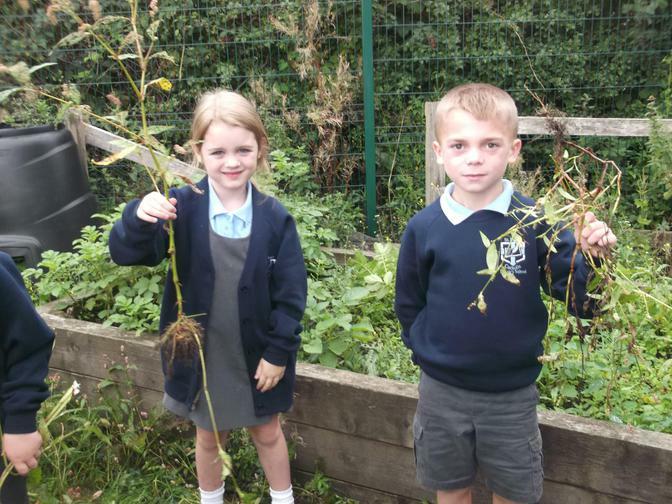 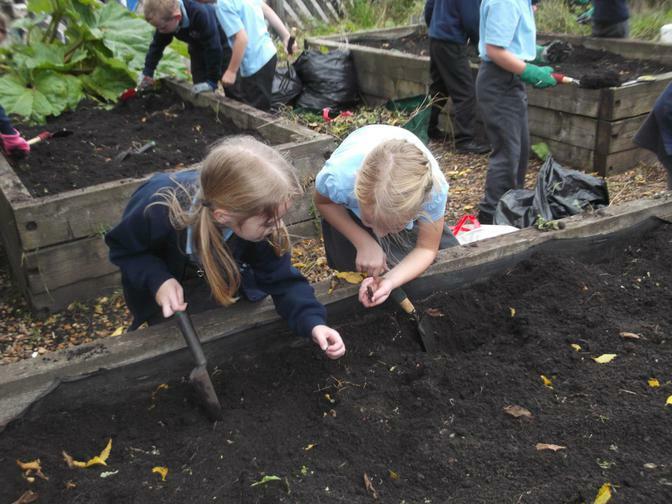 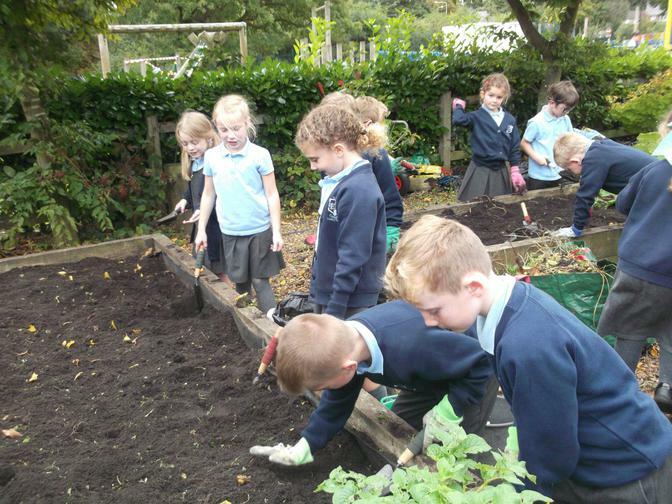 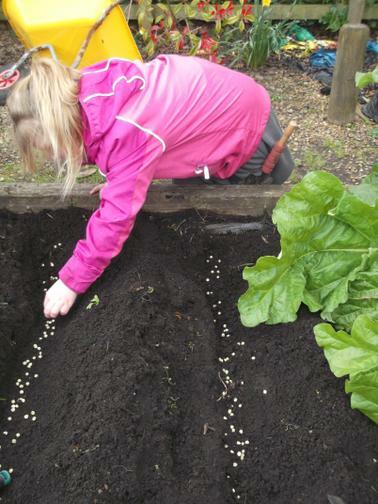 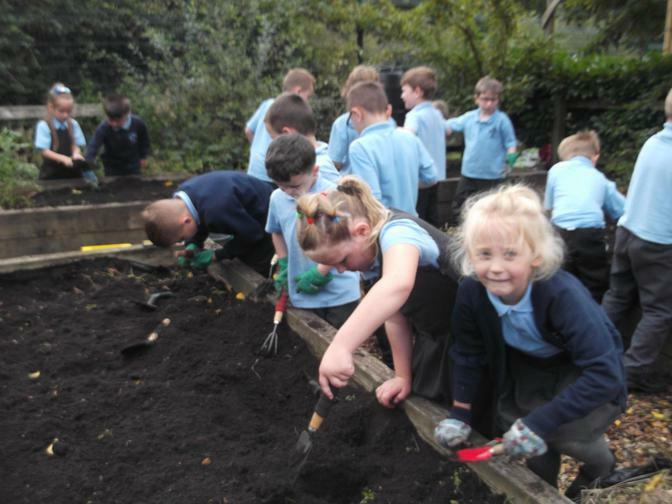 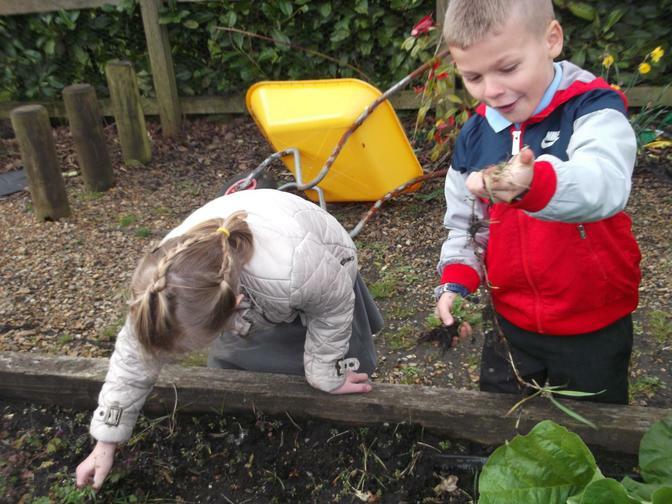 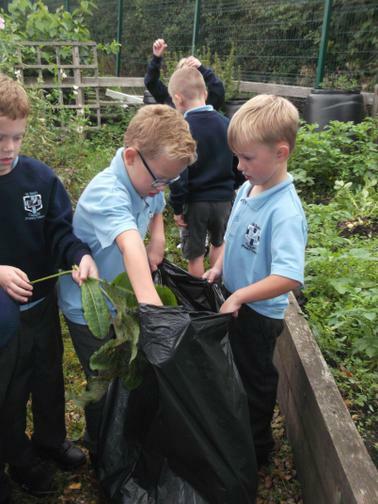 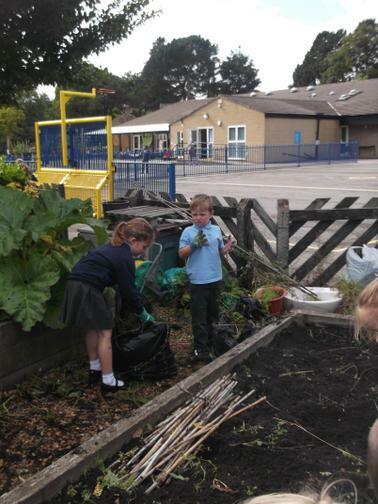 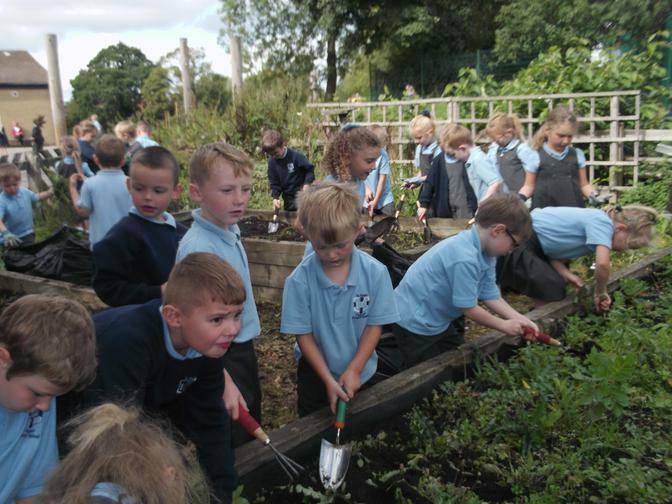 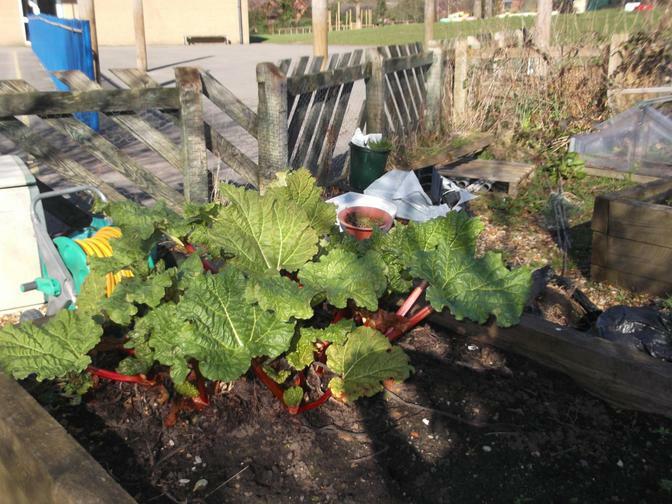 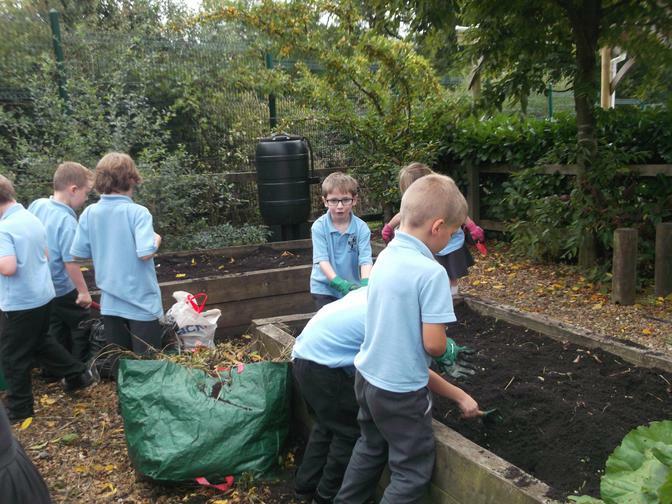 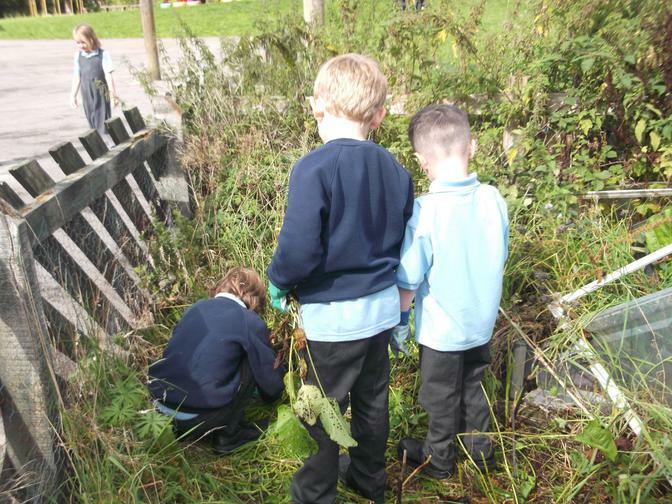 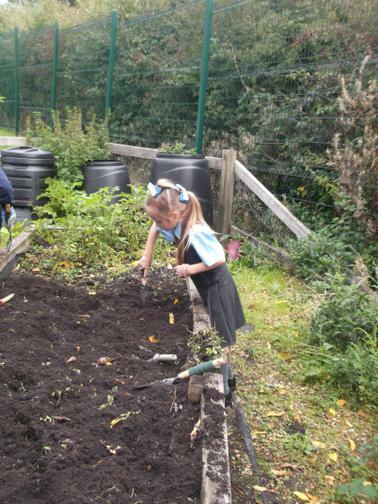 Our first day back at school - weeding in the school garden.